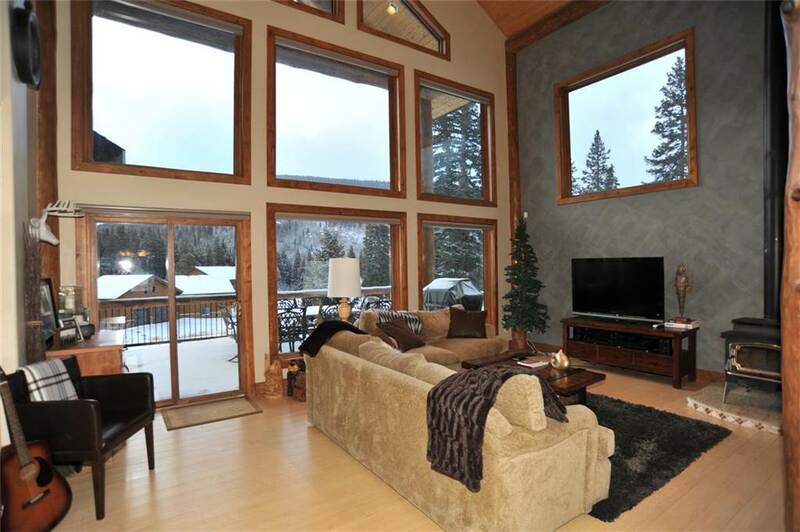 The main feature of this house is the view of the Ten Mile Mountain Range. 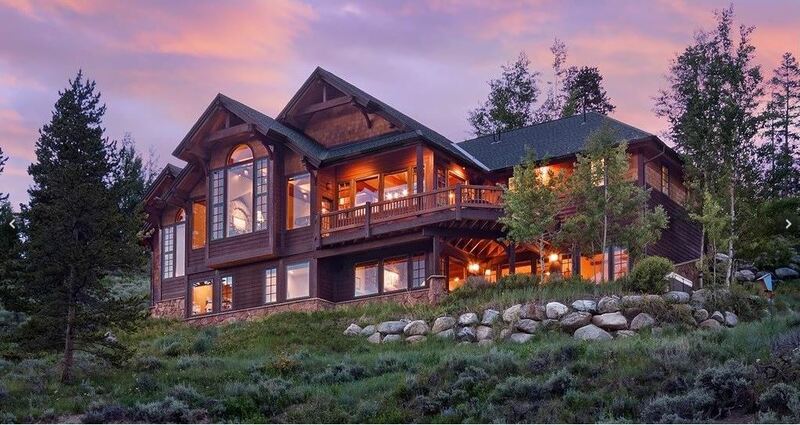 If you want to plan a family retreat with great views this would be the house. 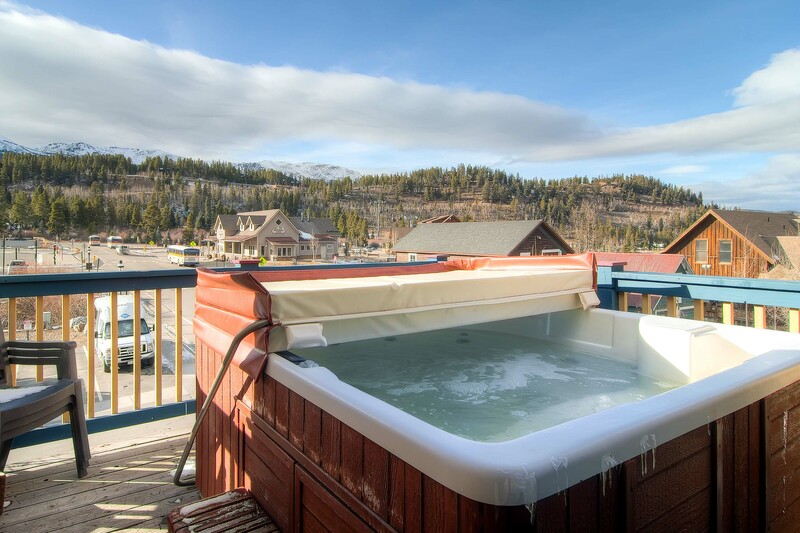 The Hot tub is on the wrap around deck allowing you to lounge and experience the breathtaking mountain scenery. 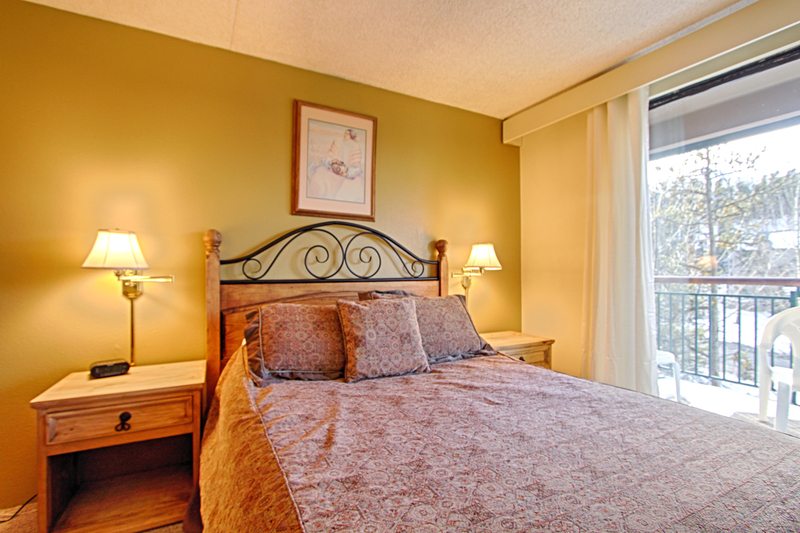 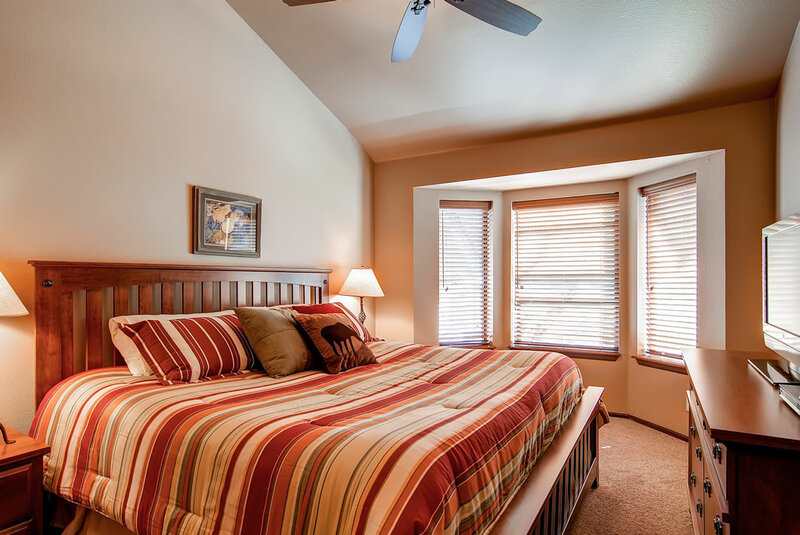 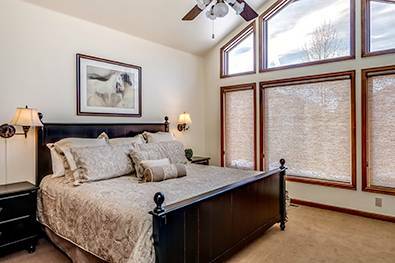 You will find it very easy to relax in this peaceful setting. 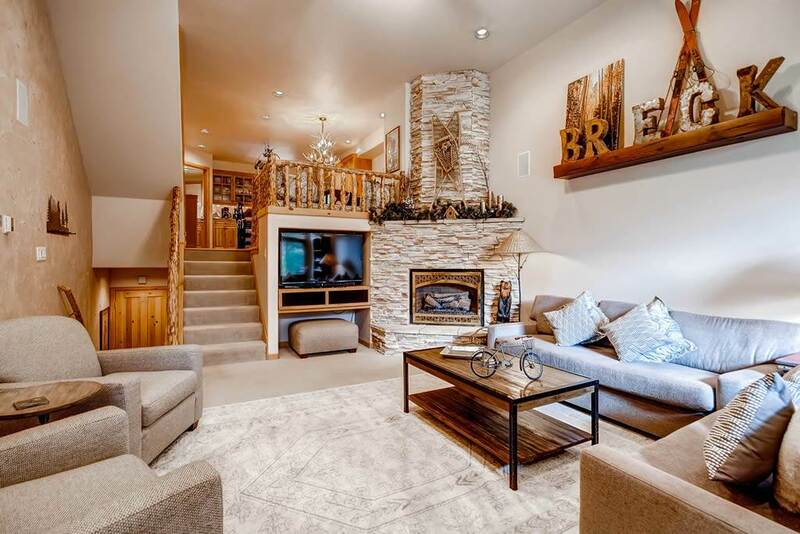 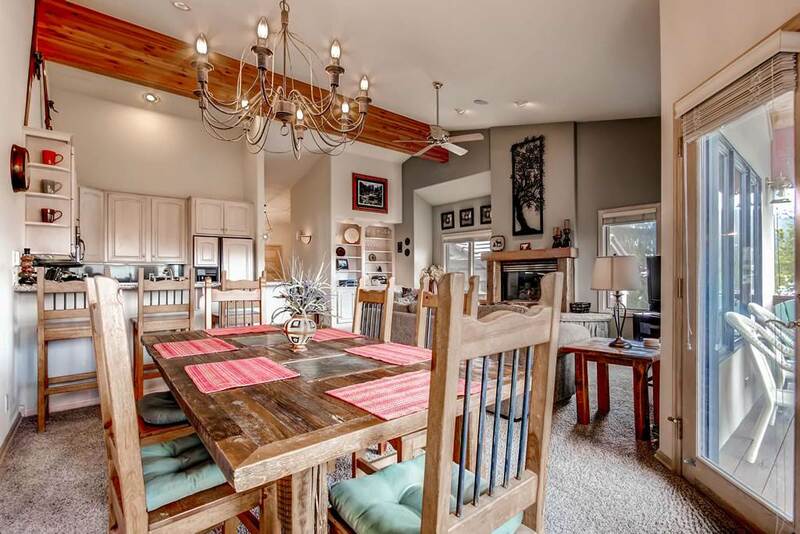 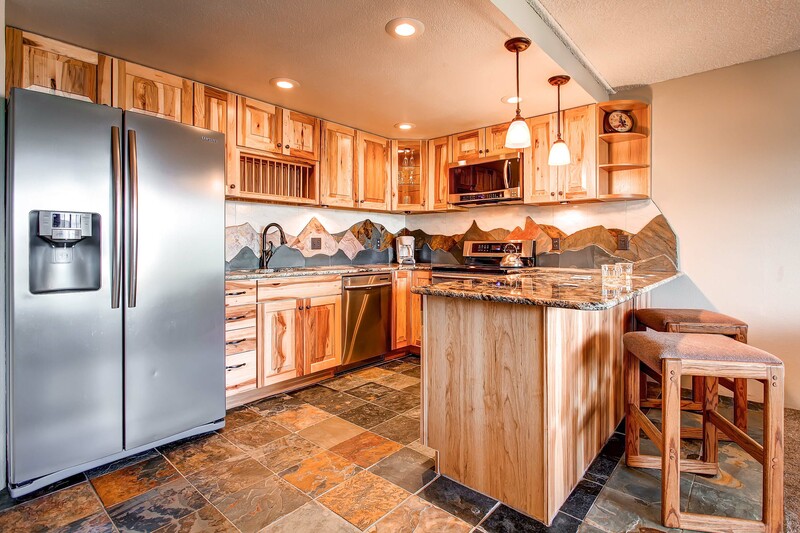 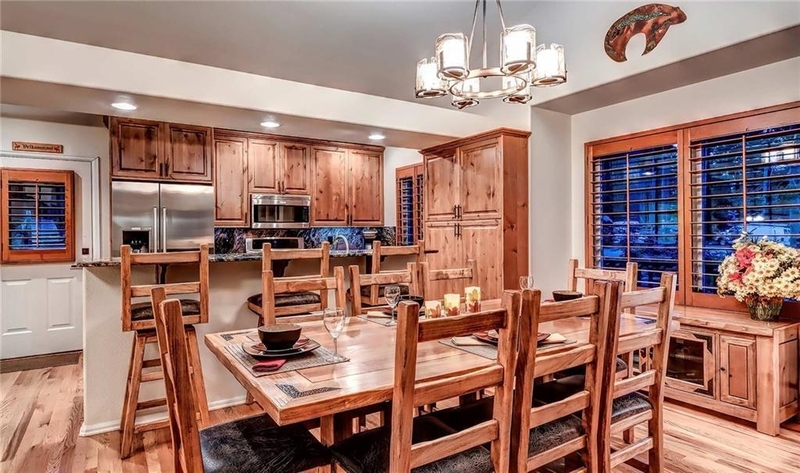 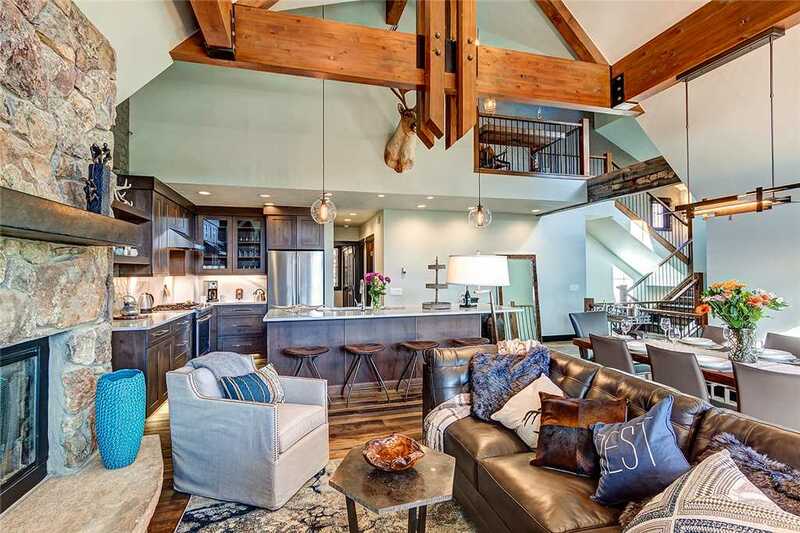 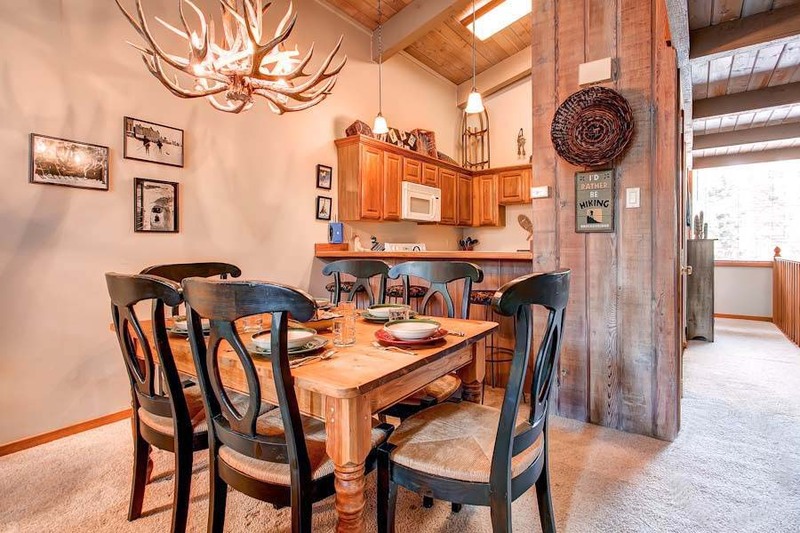 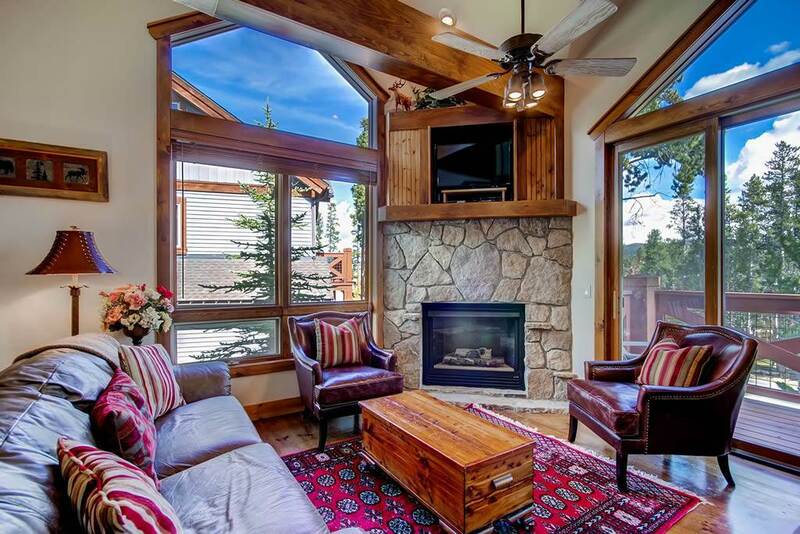 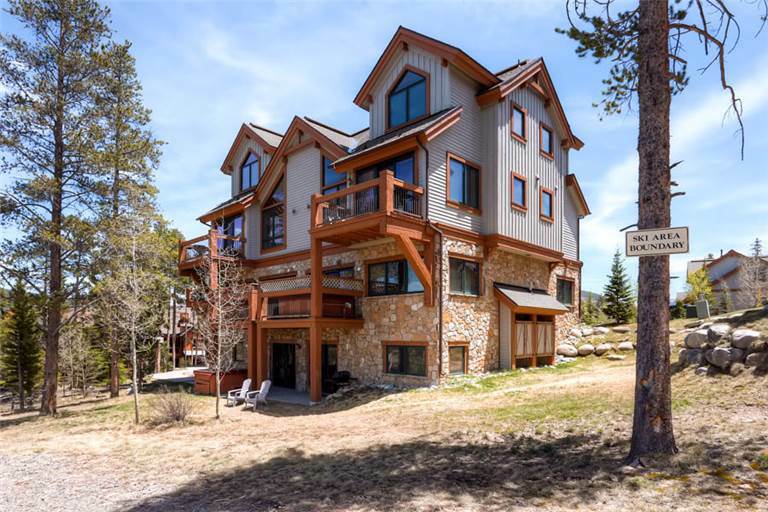 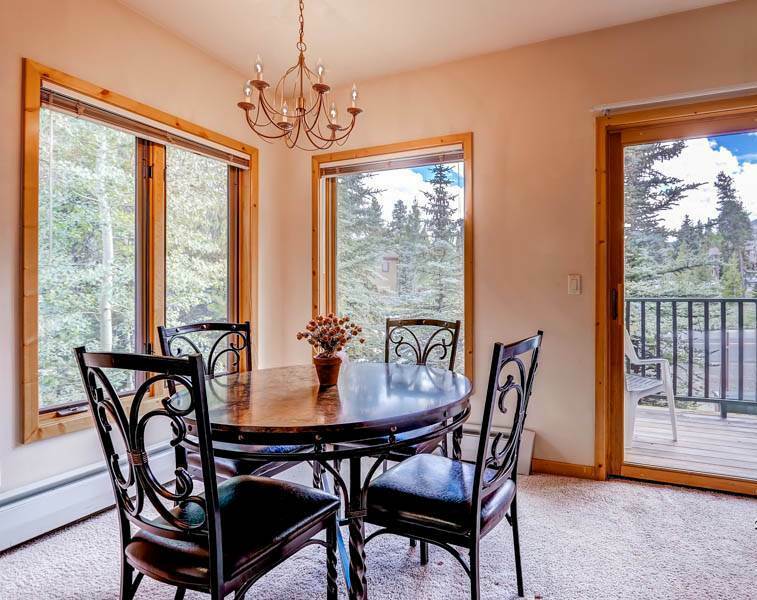 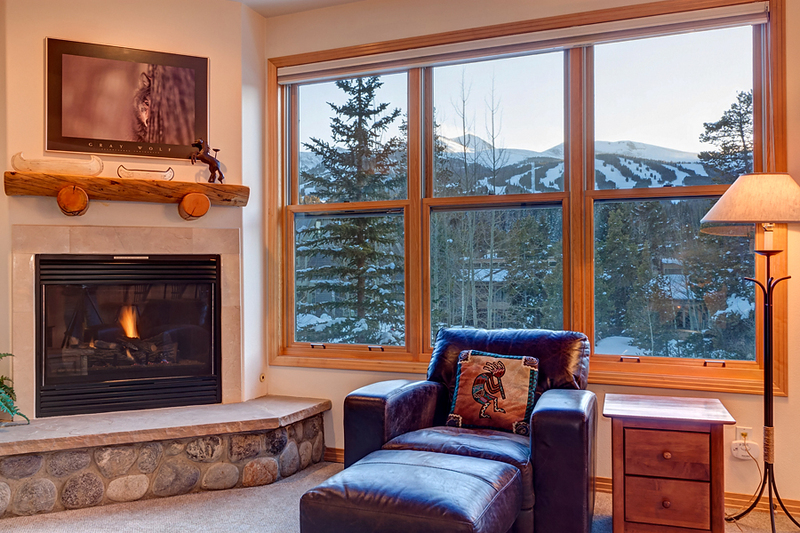 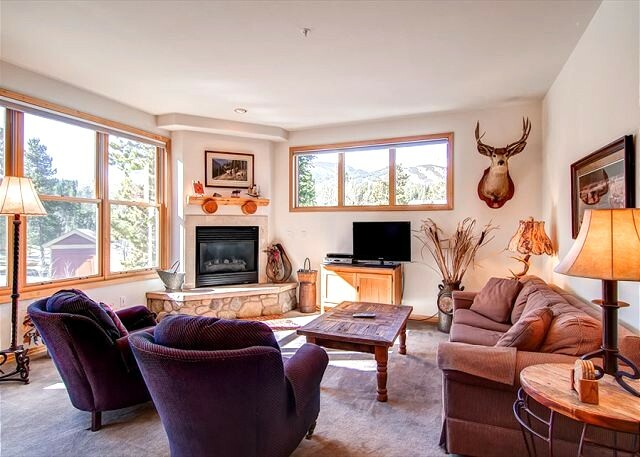 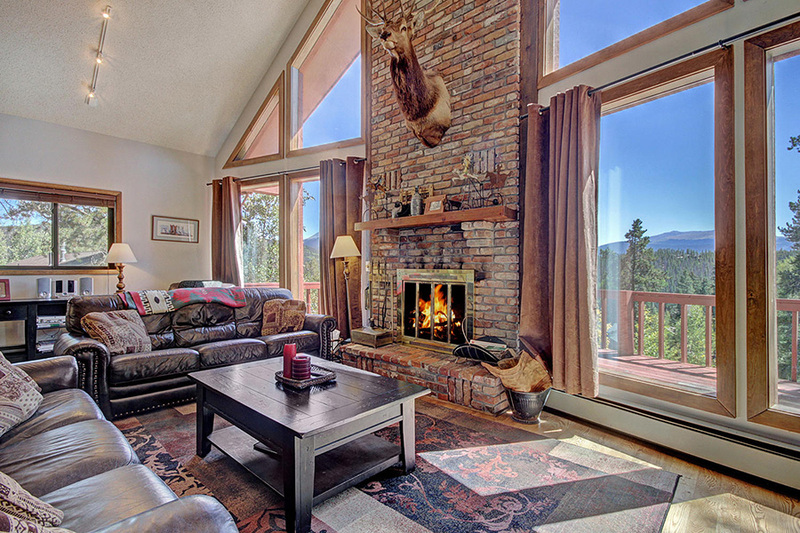 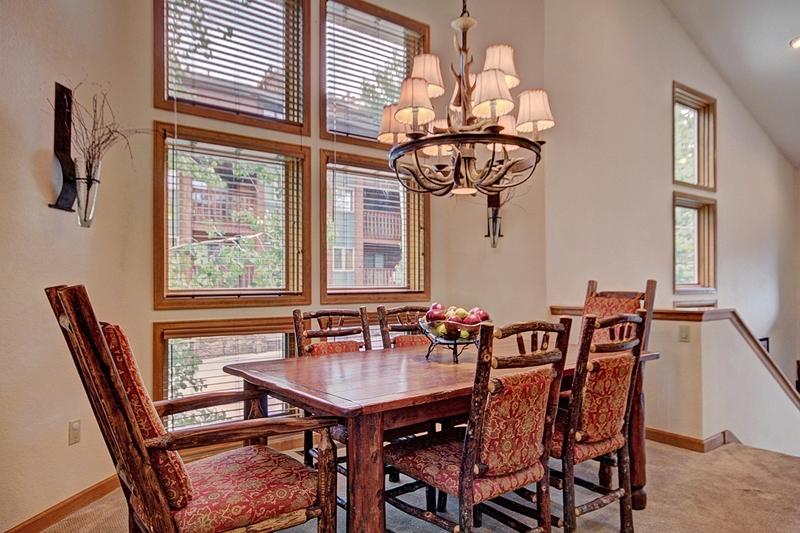 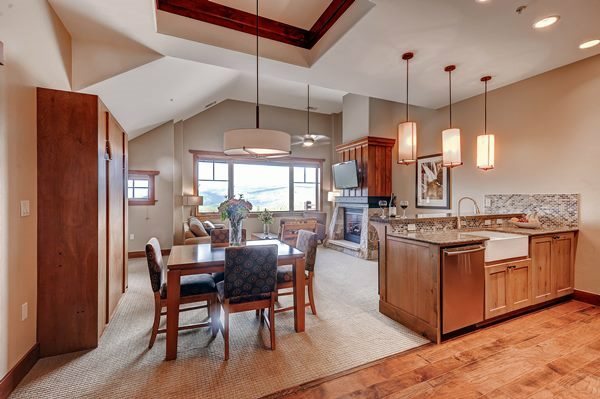 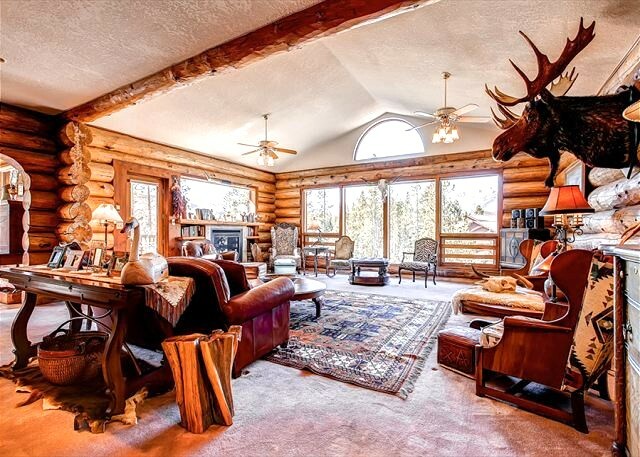 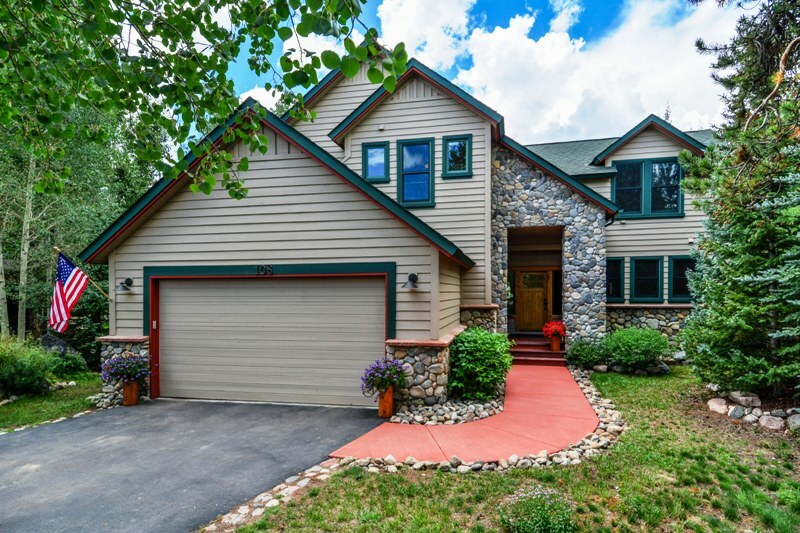 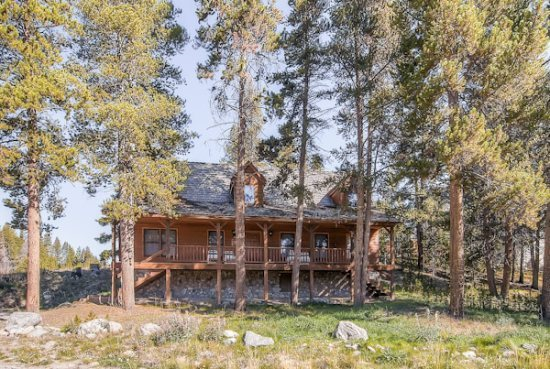 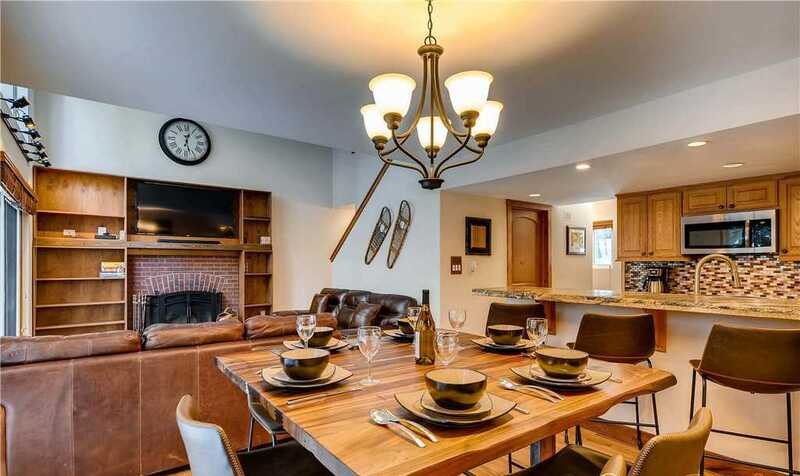 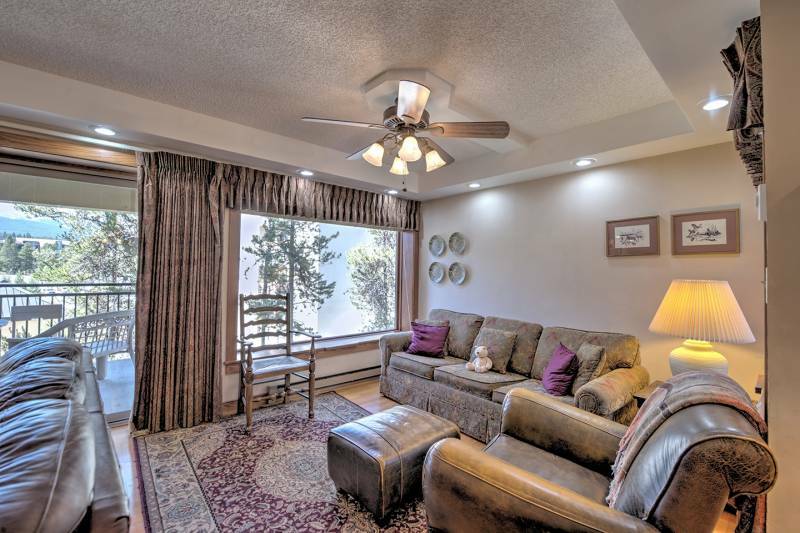 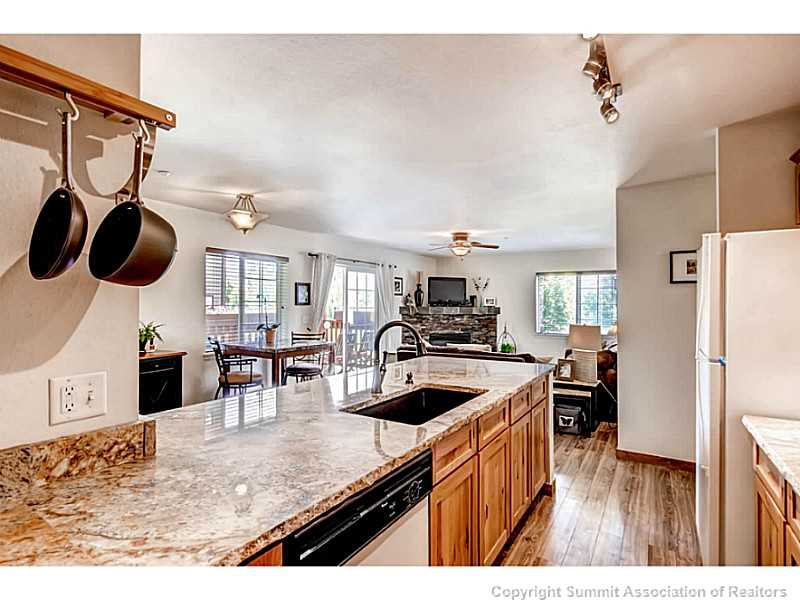 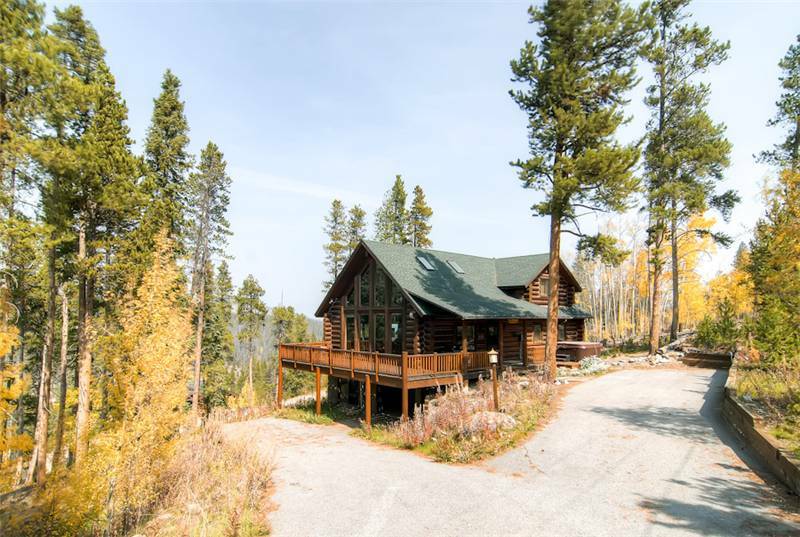 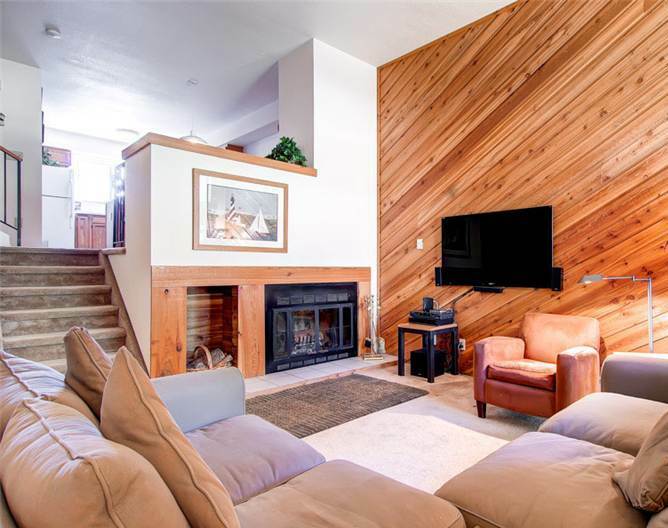 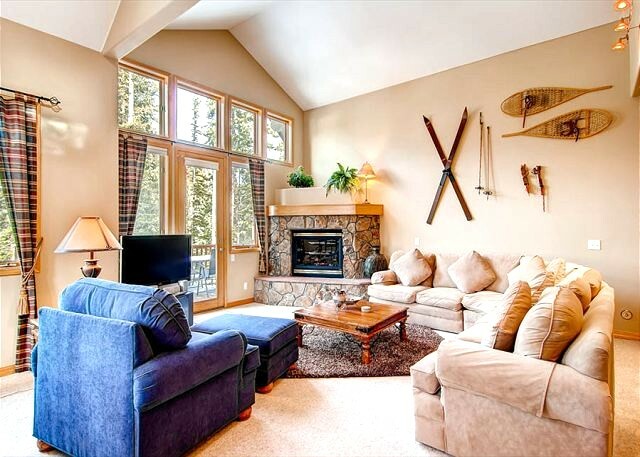 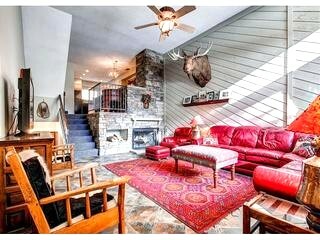 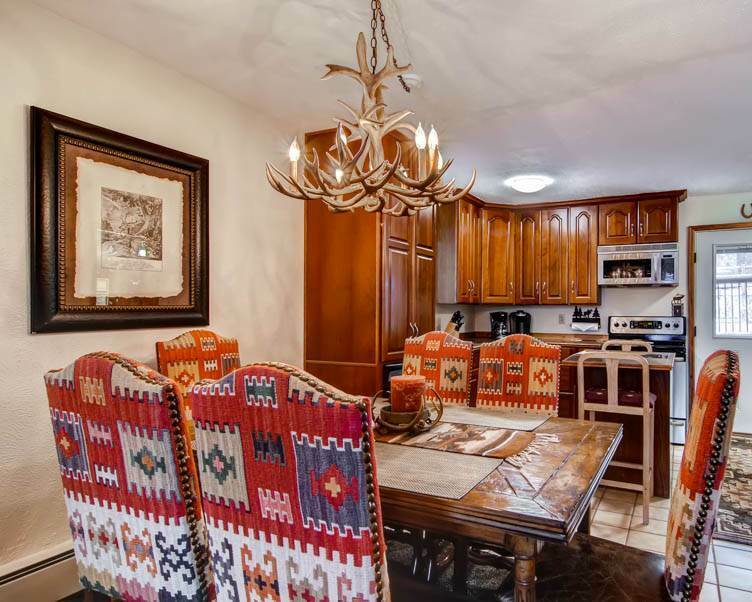 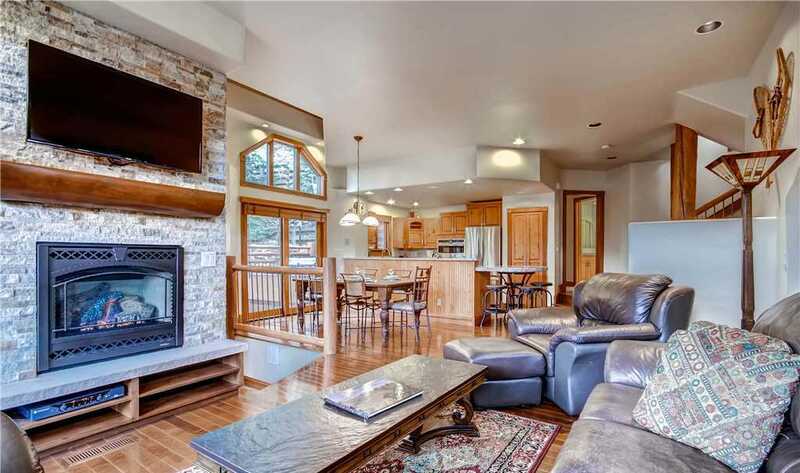 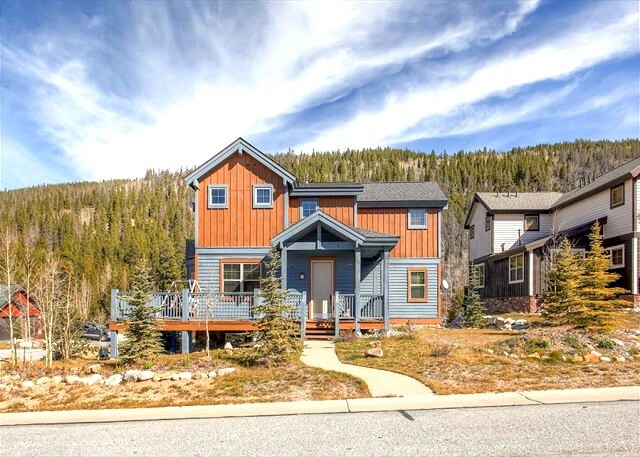 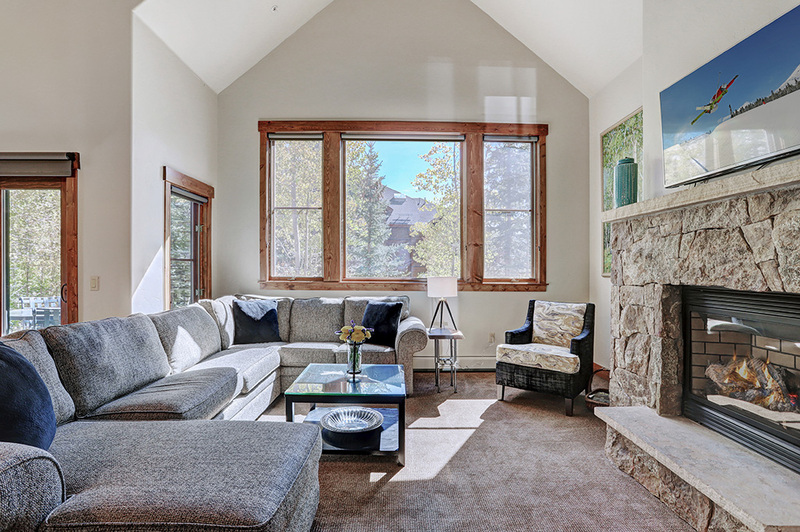 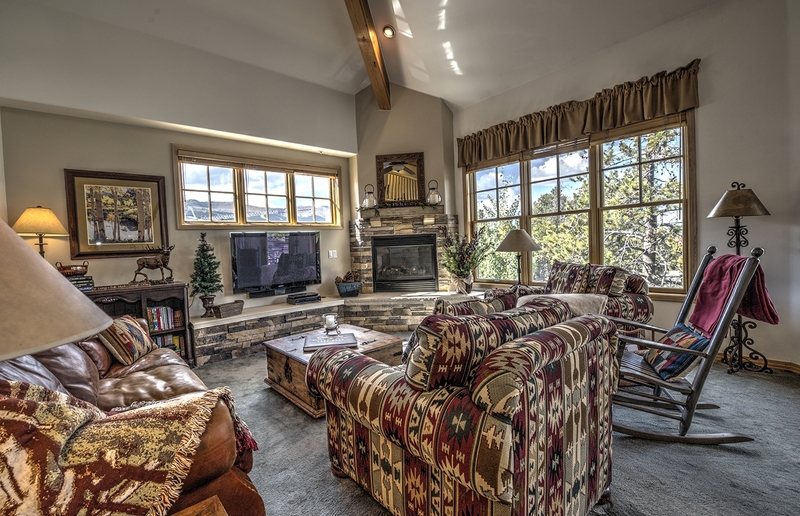 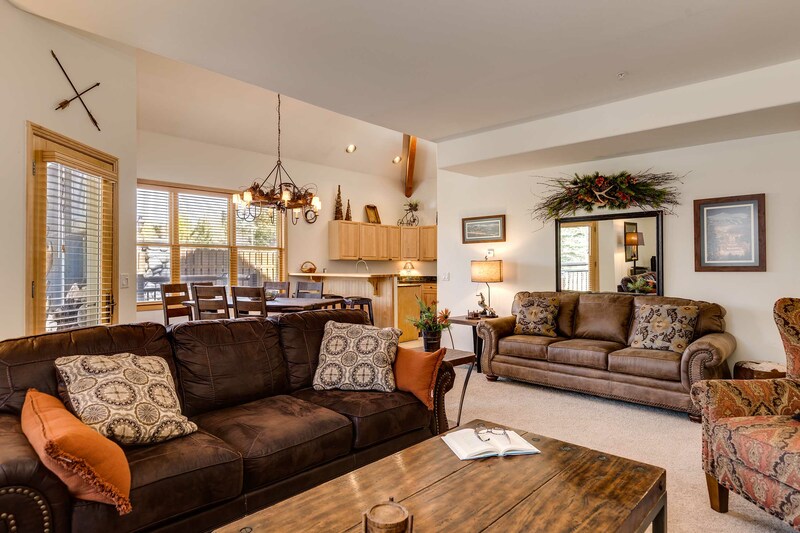 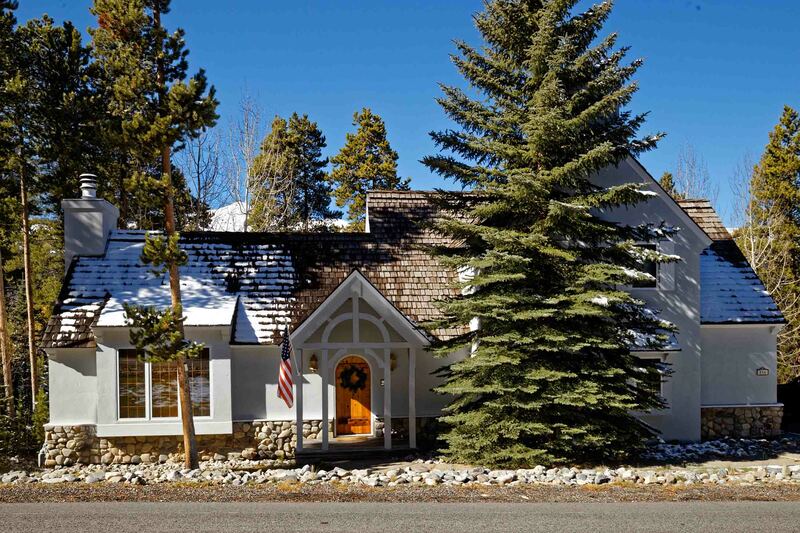 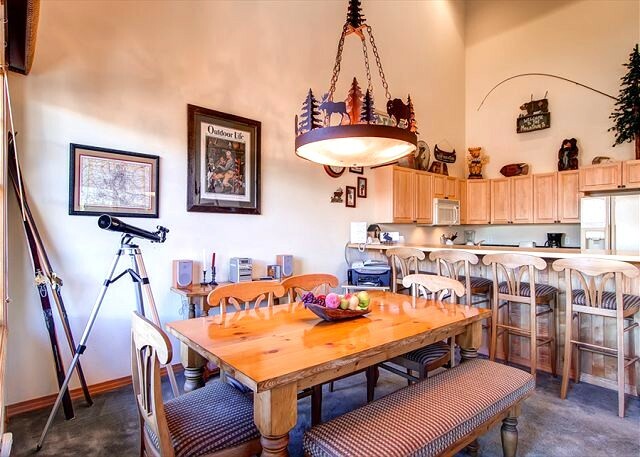 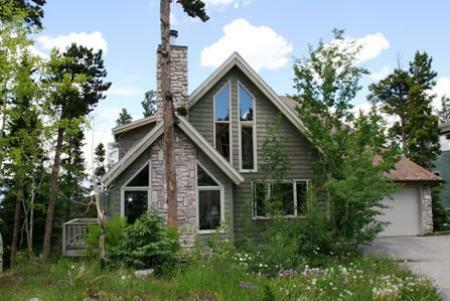 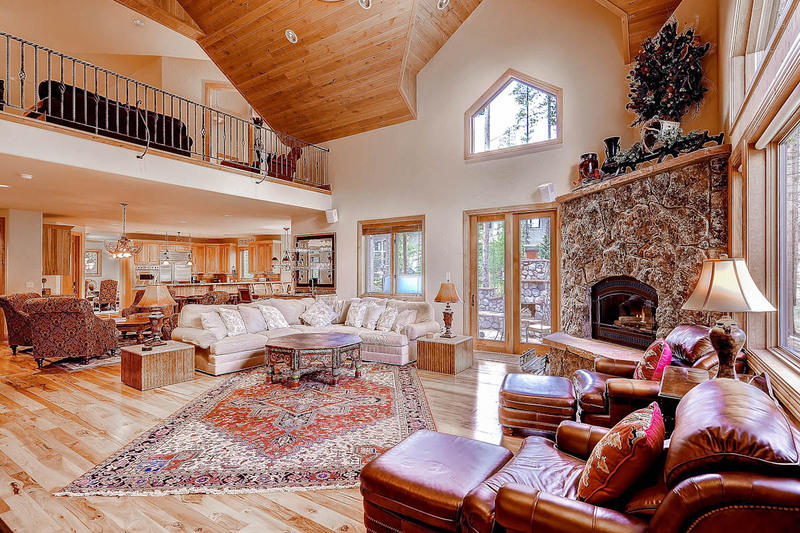 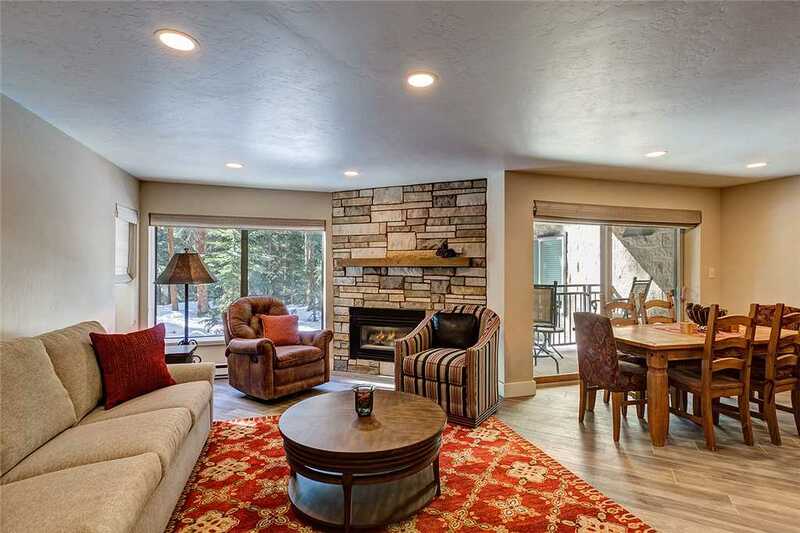 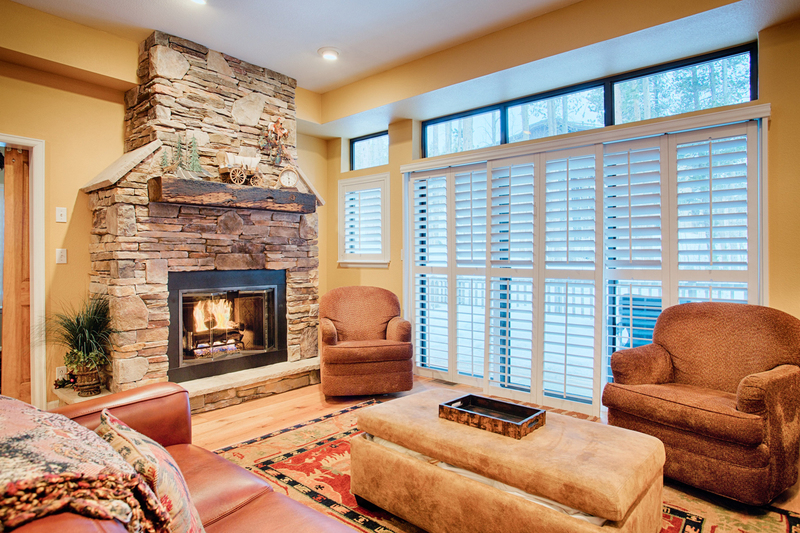 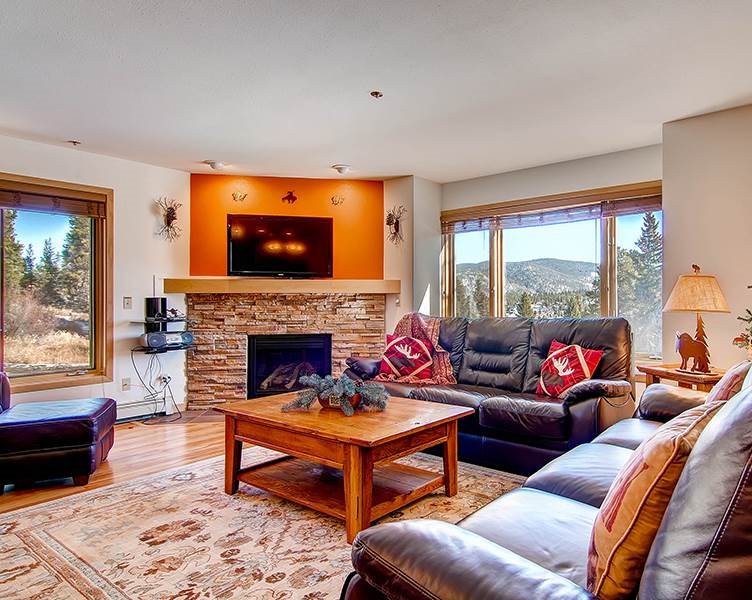 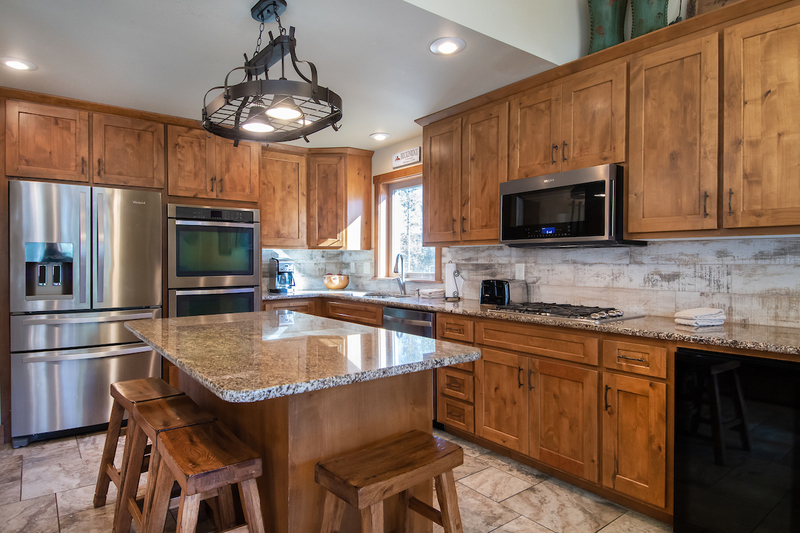 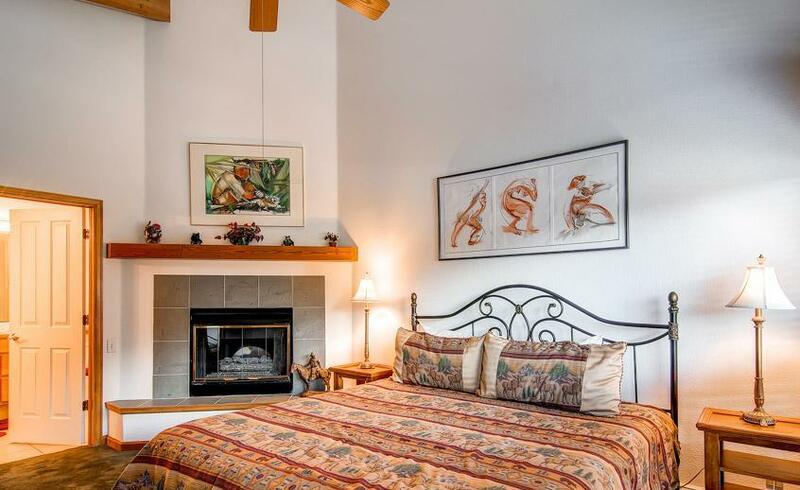 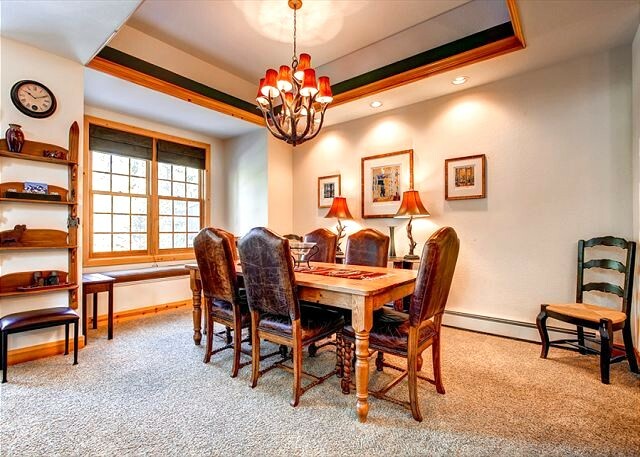 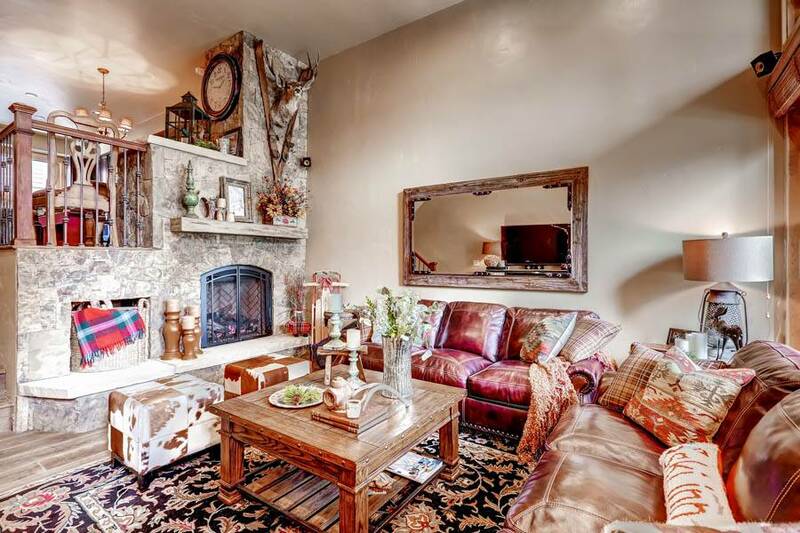 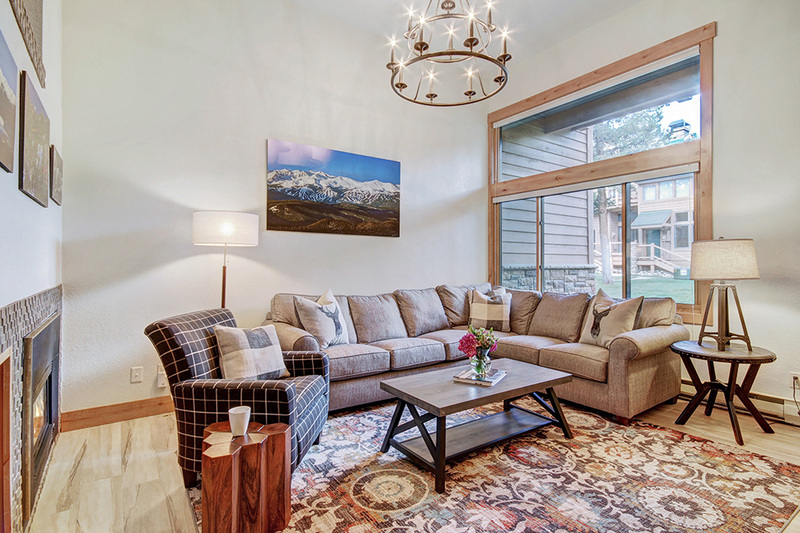 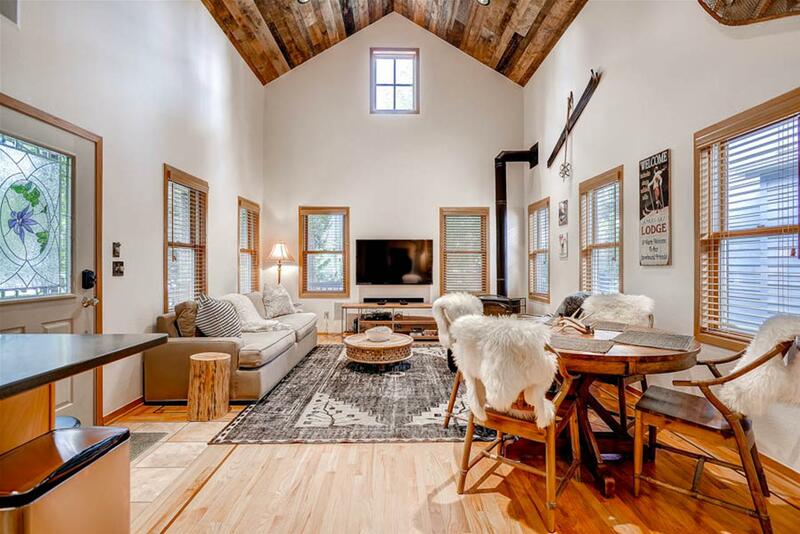 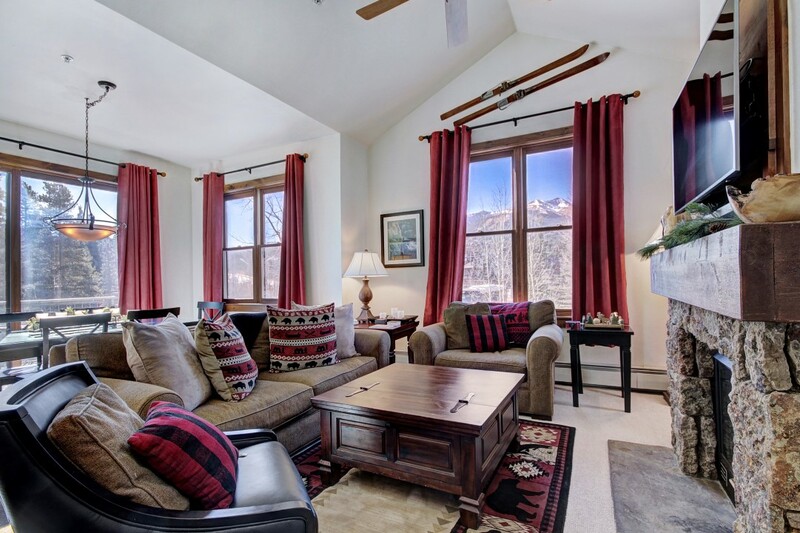 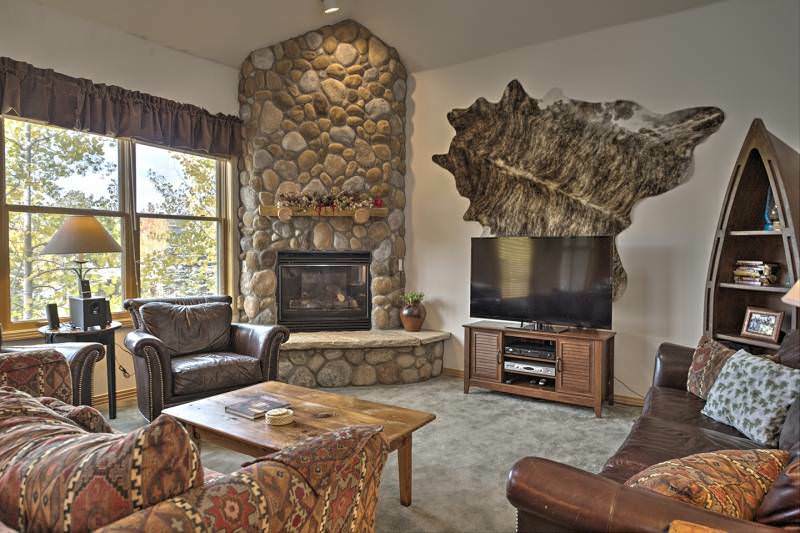 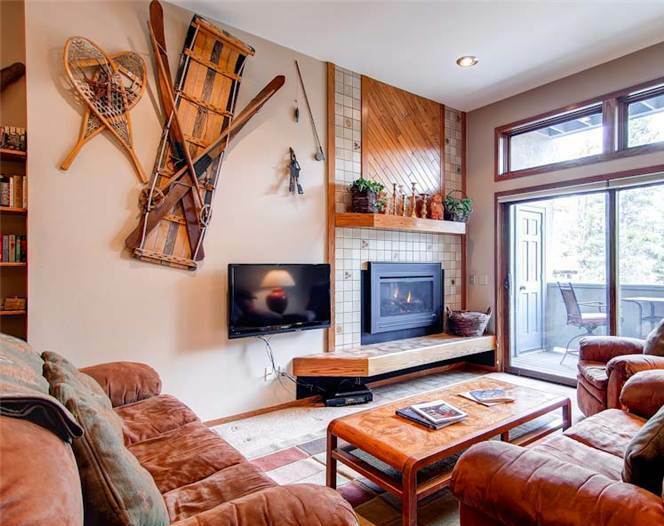 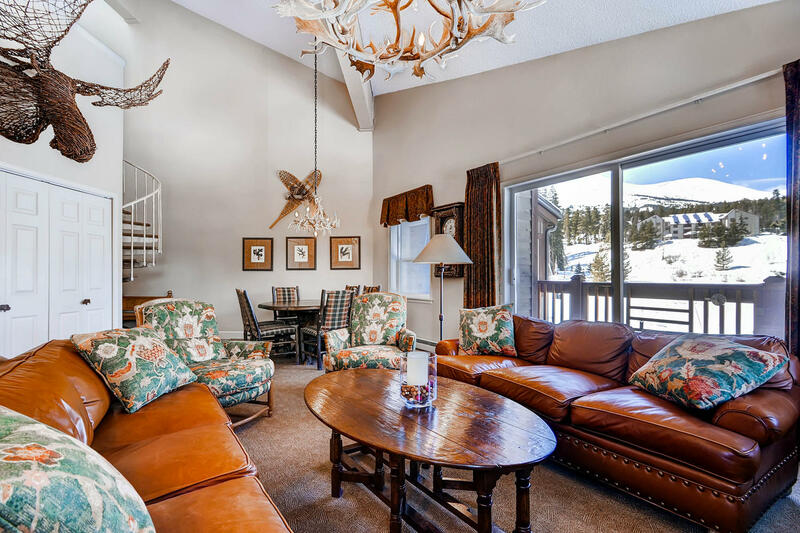 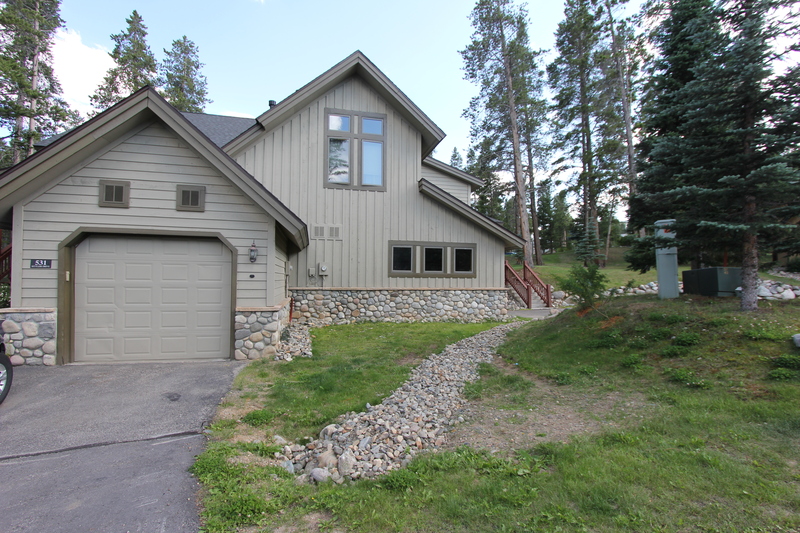 You are going to love your mountain experience in this home. 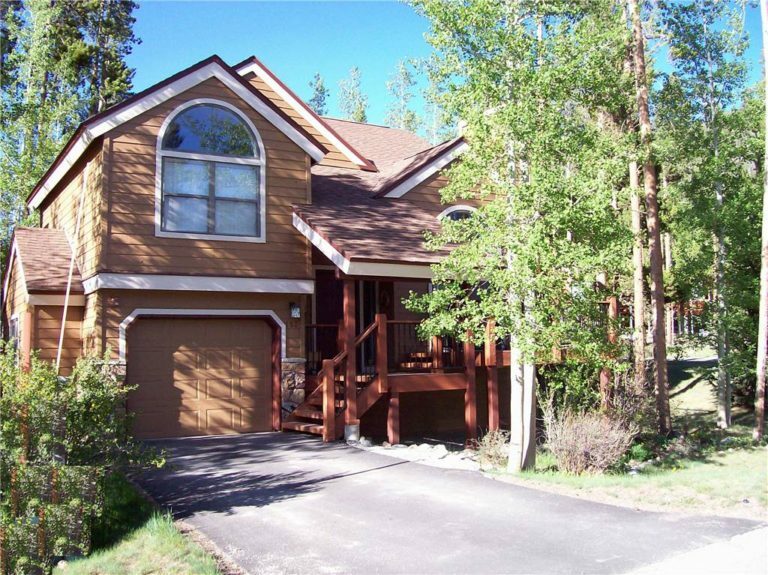 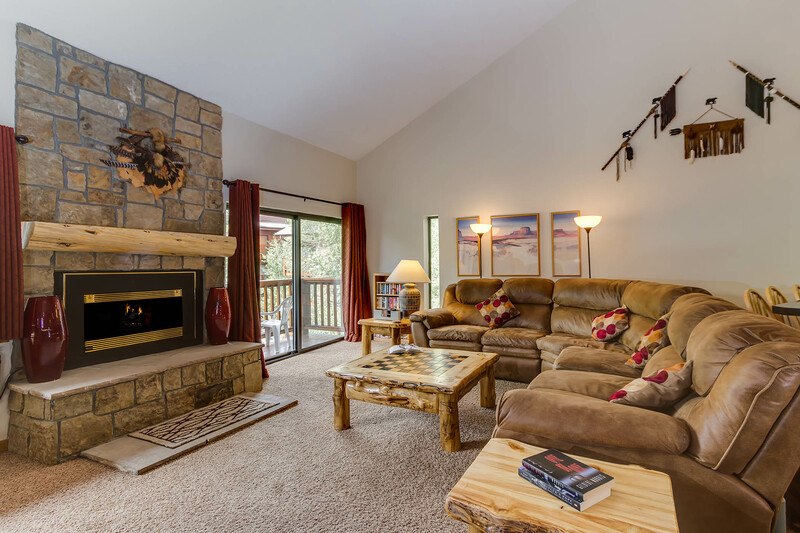 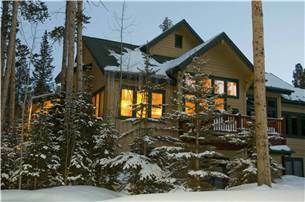 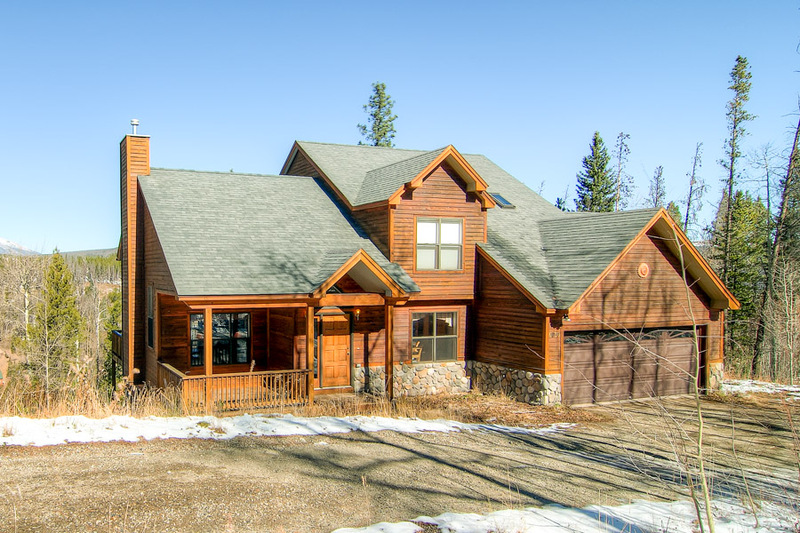 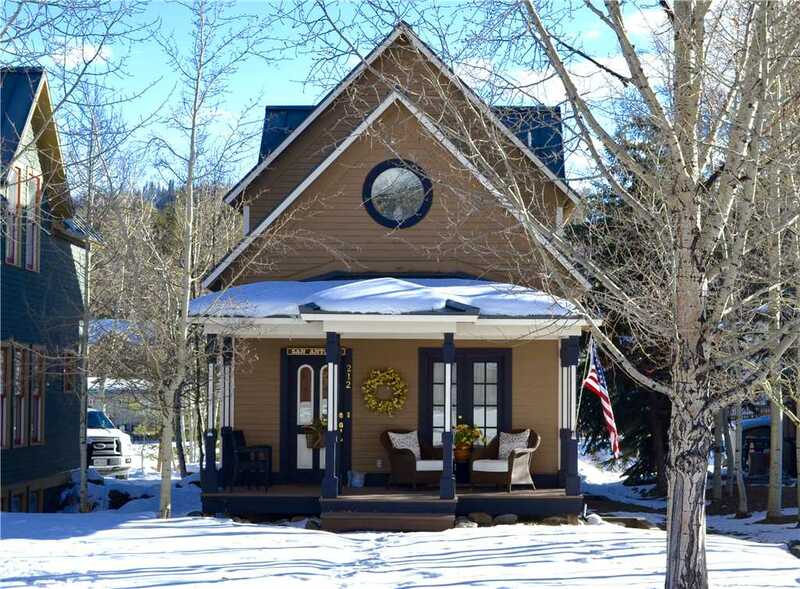 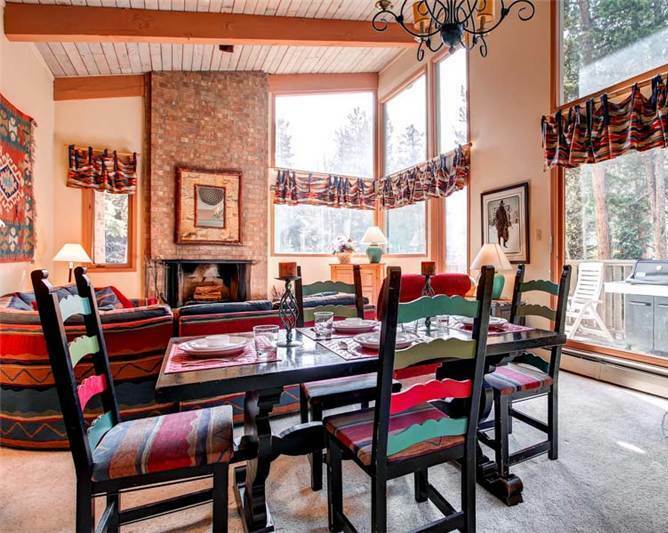 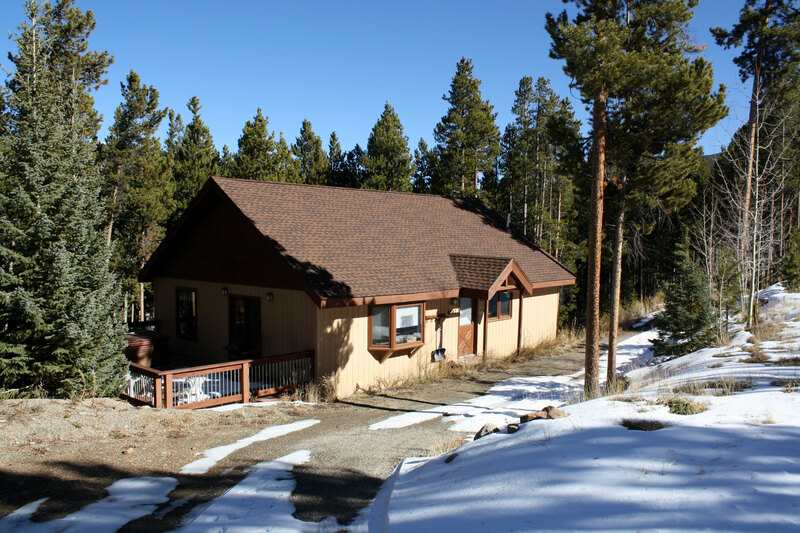 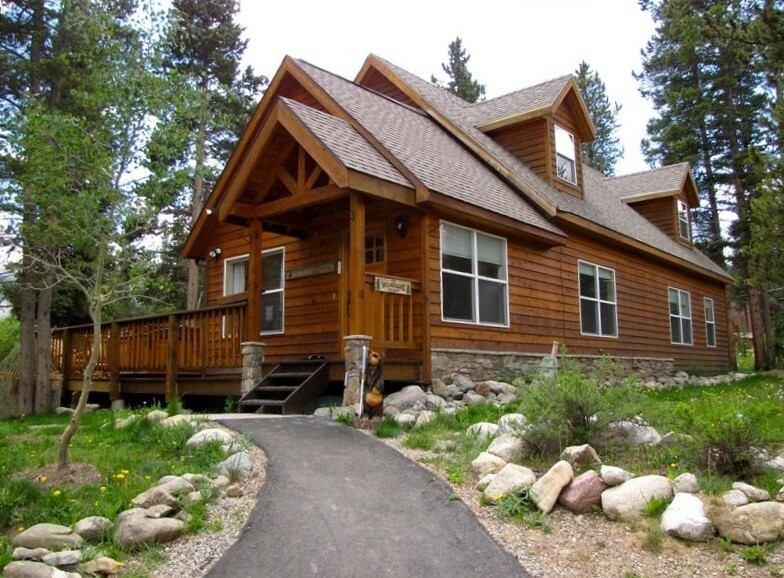 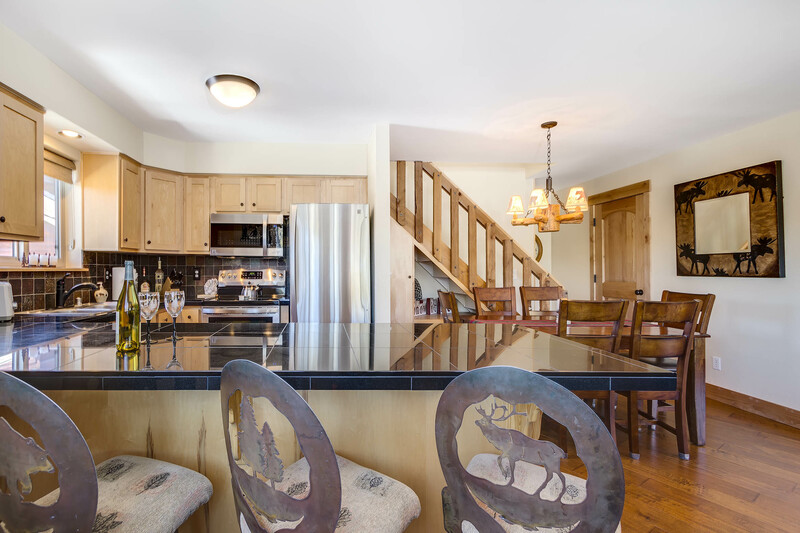 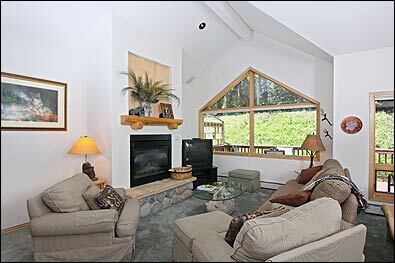 This 4-bedroom, 3.5-bathroom moderate home is the perfect getaway for large families or groups of up to 14 people. 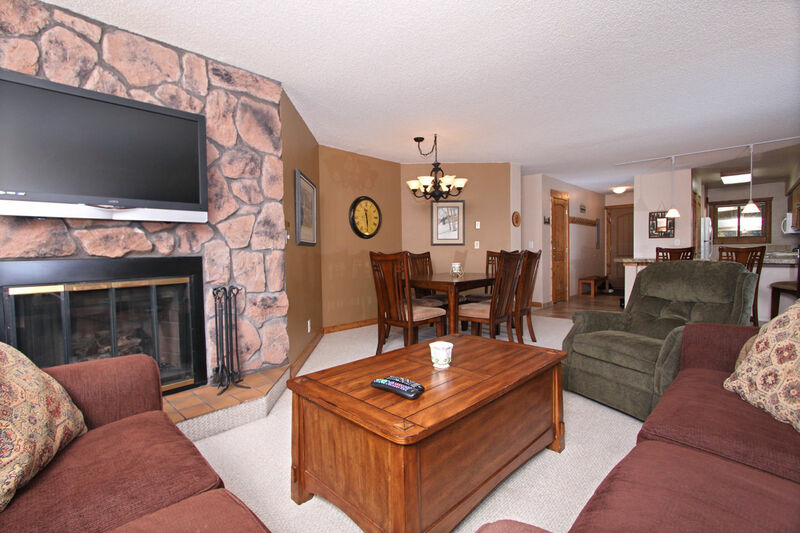 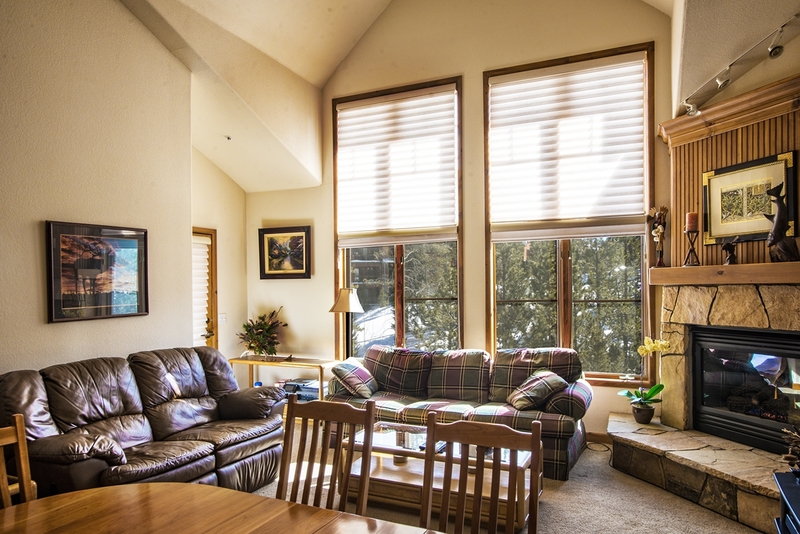 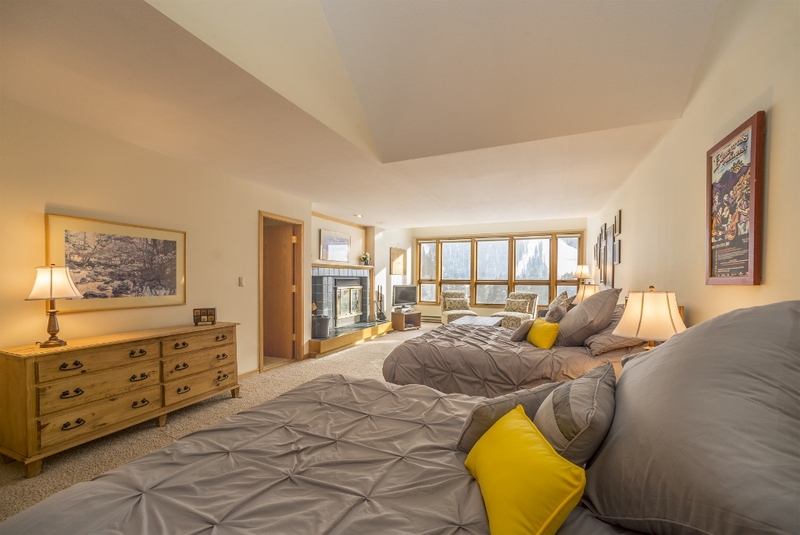 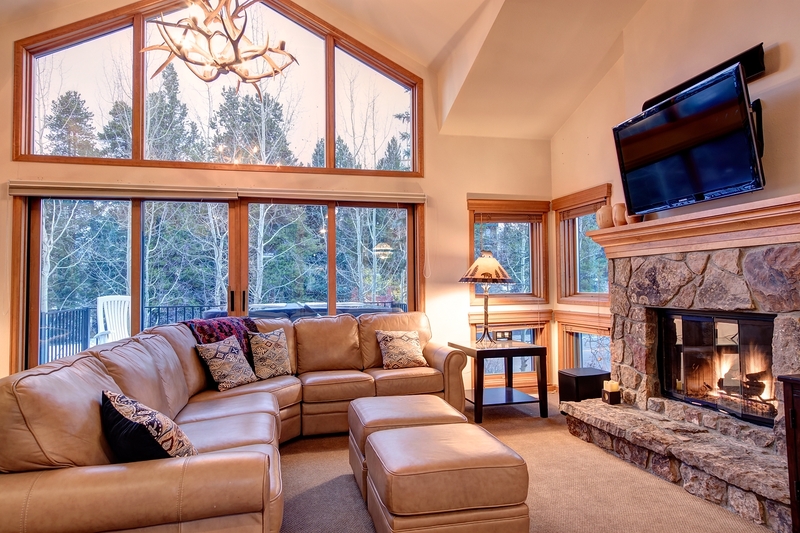 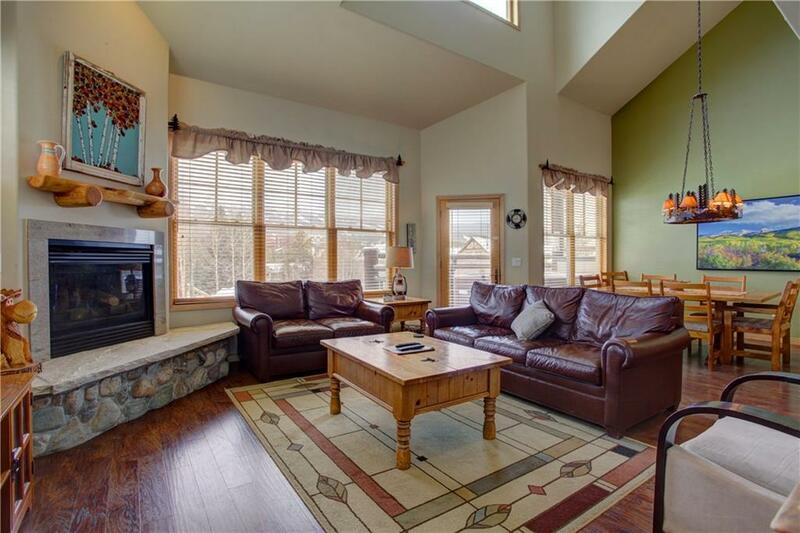 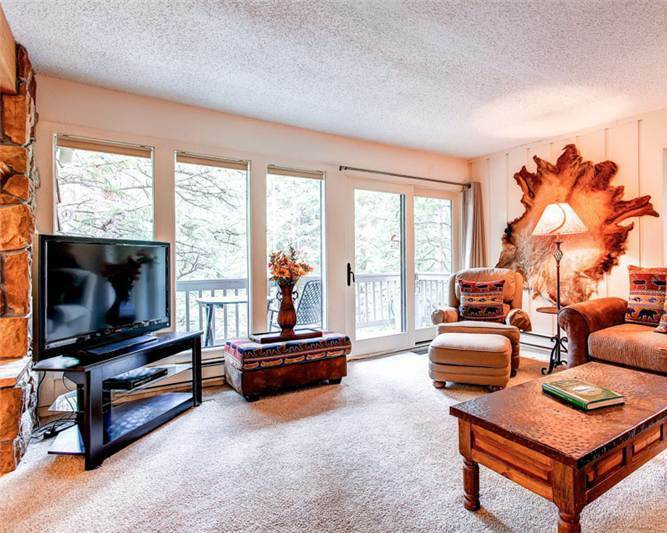 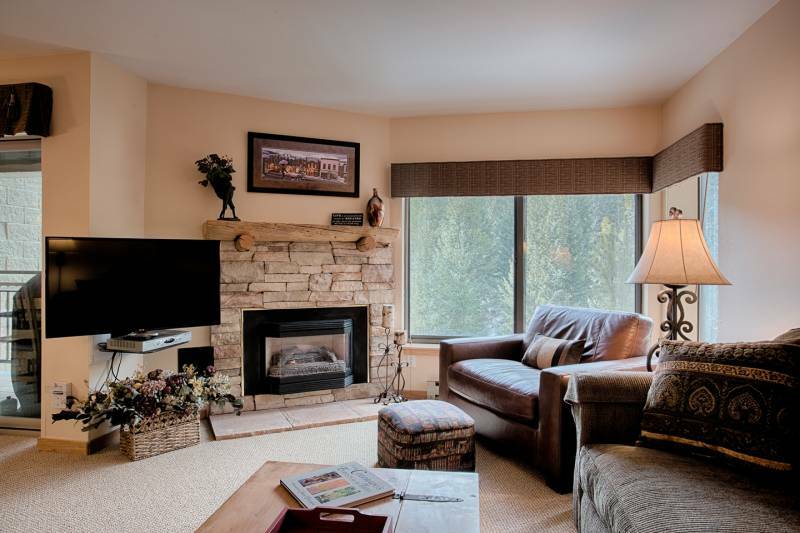 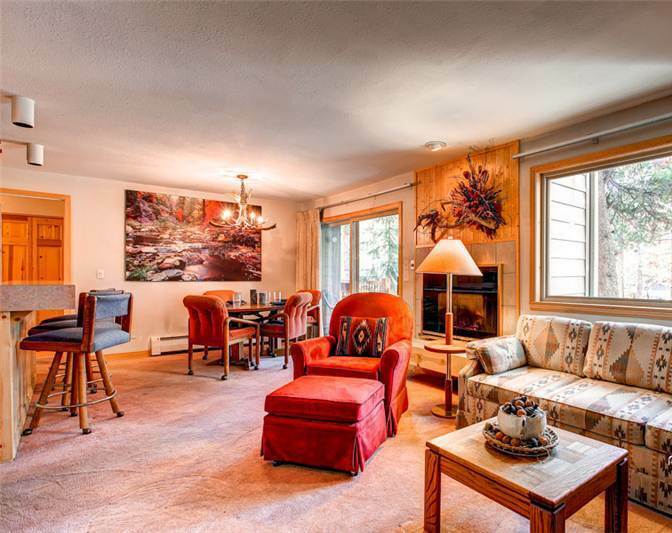 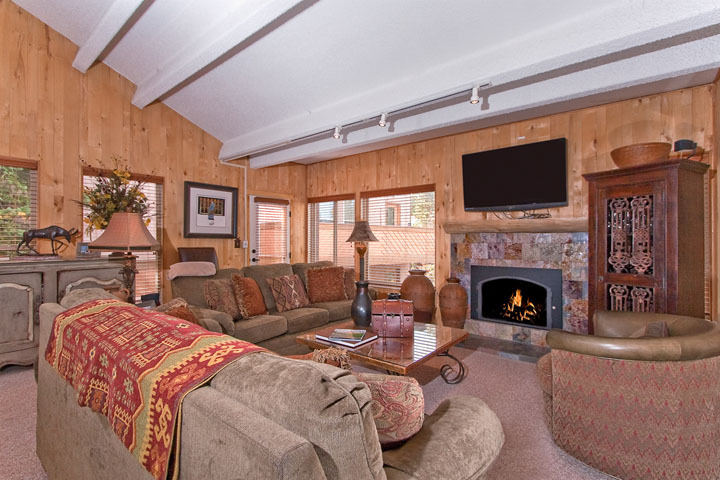 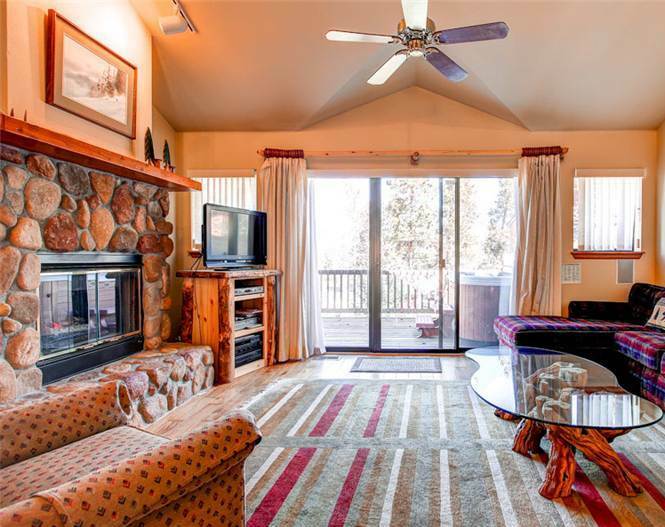 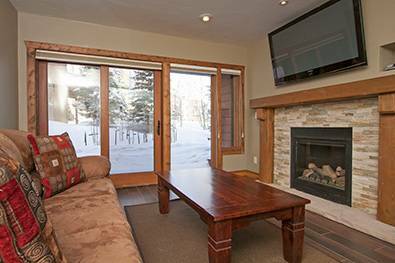 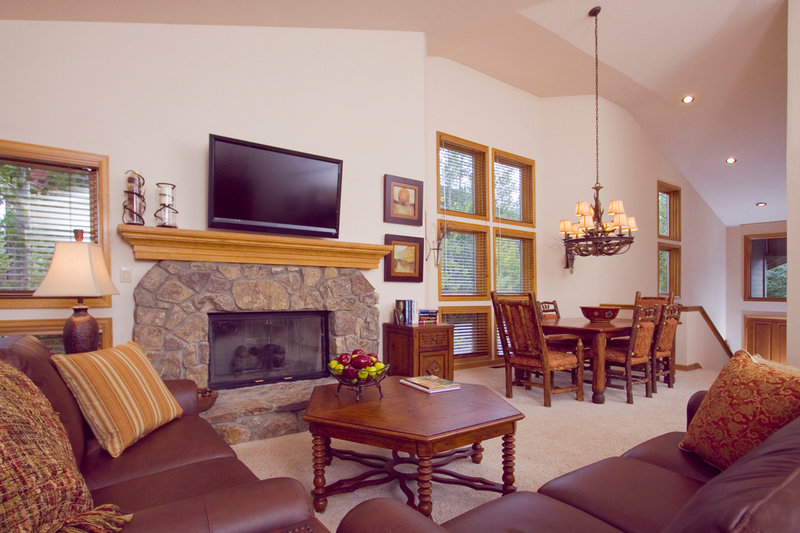 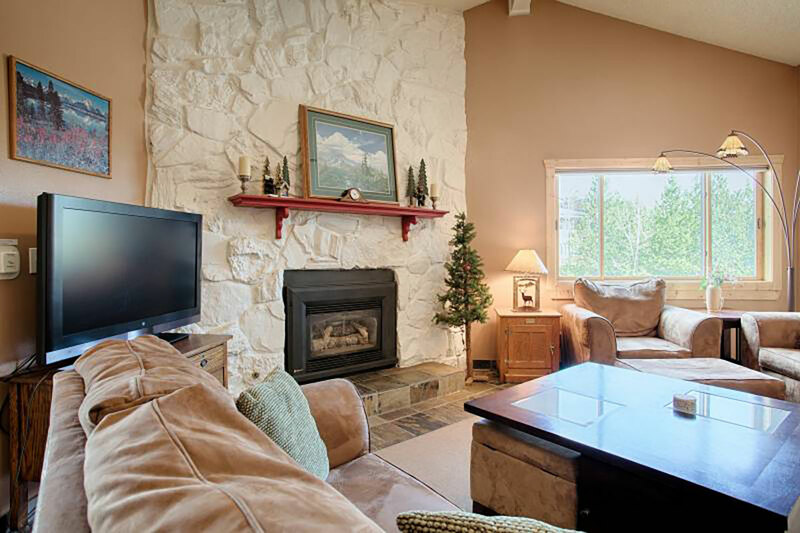 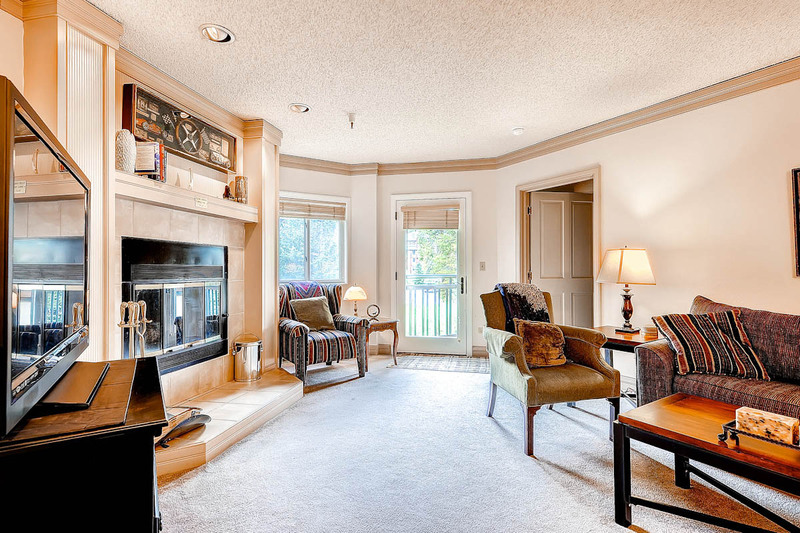 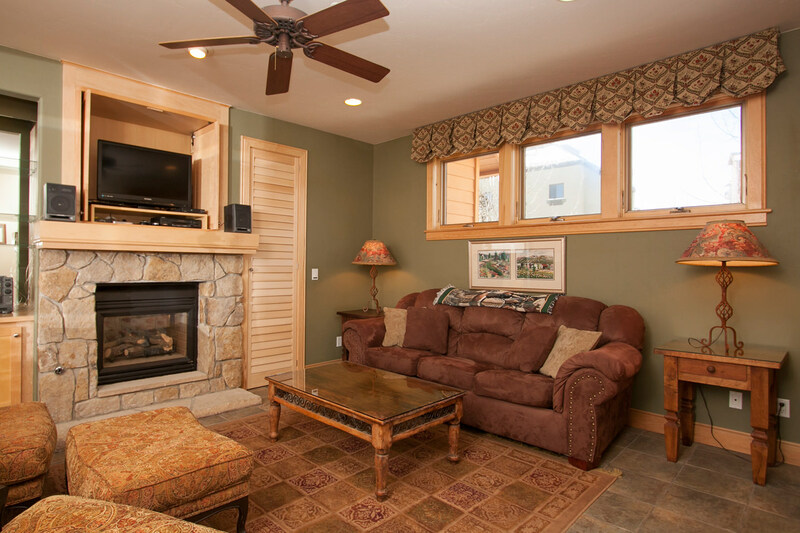 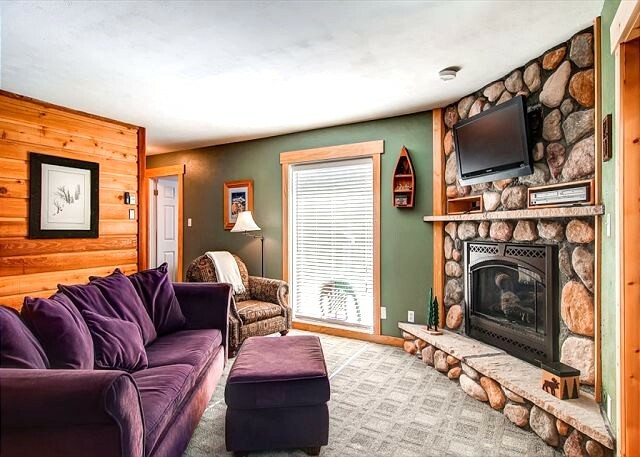 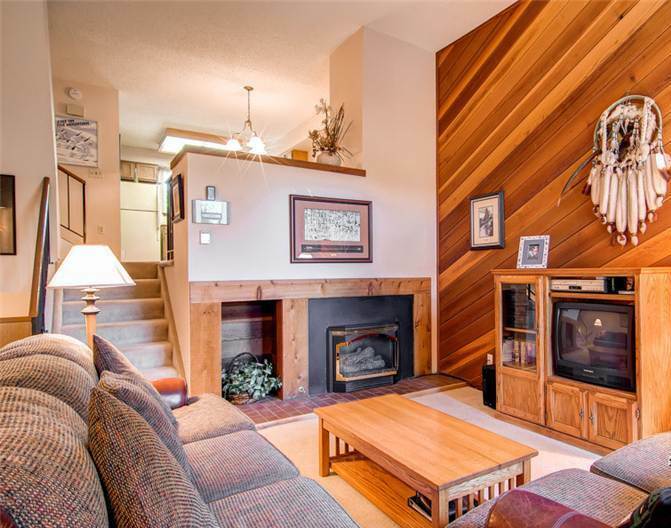 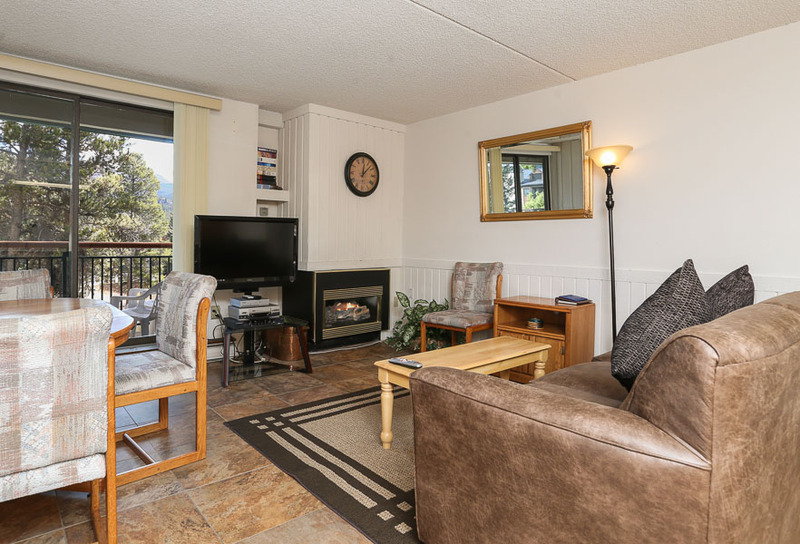 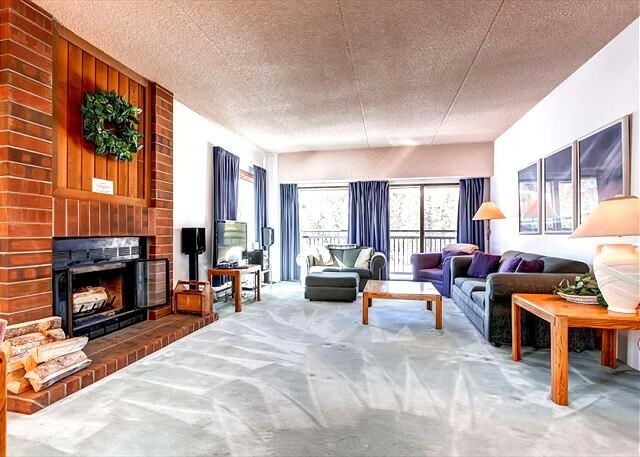 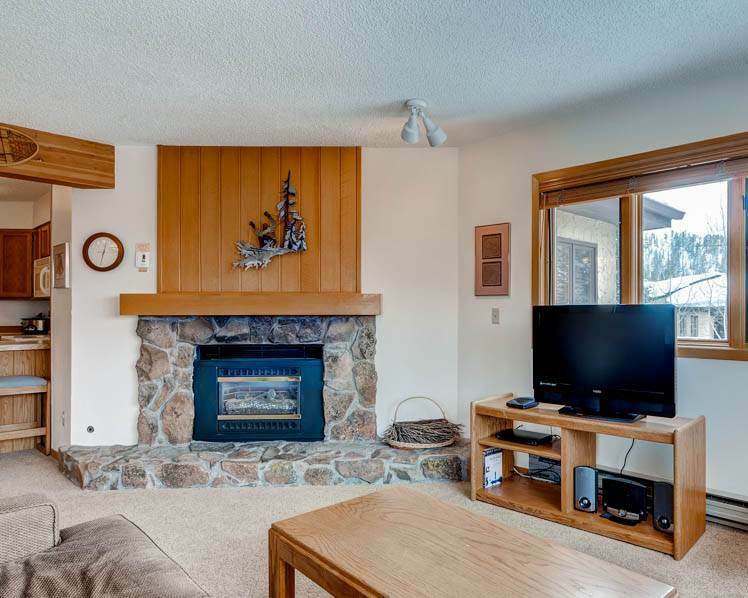 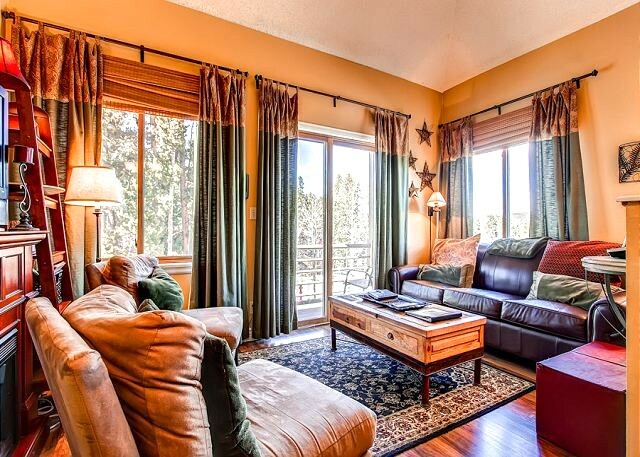 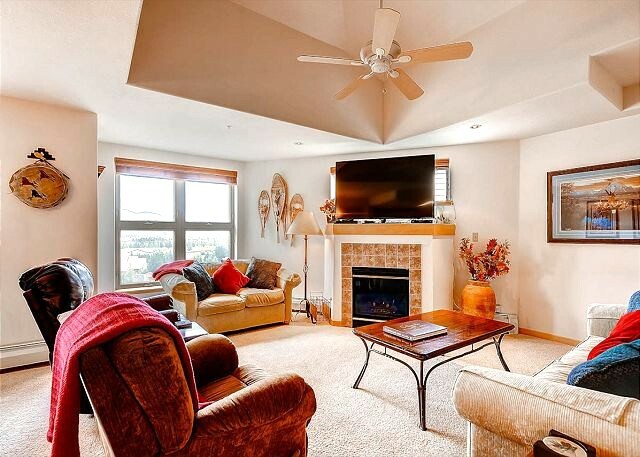 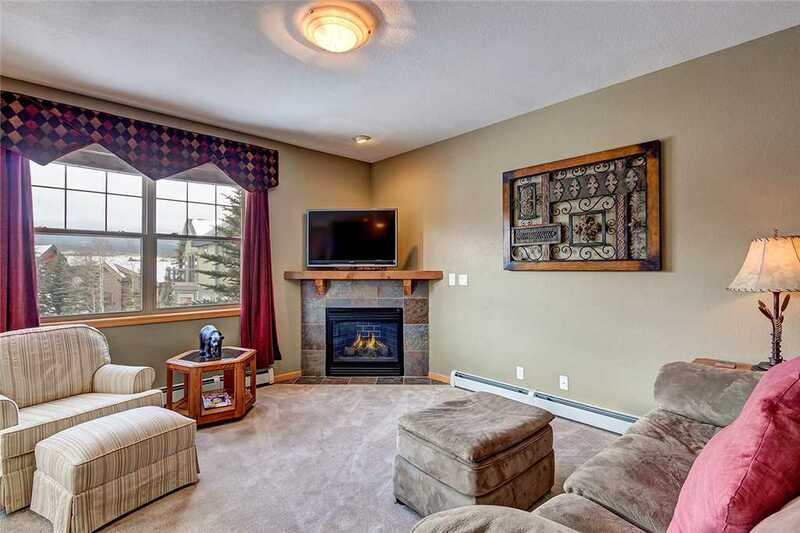 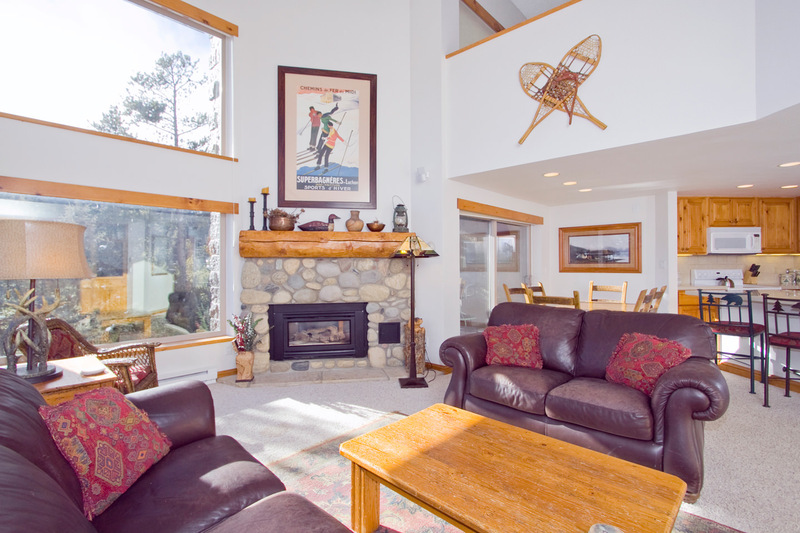 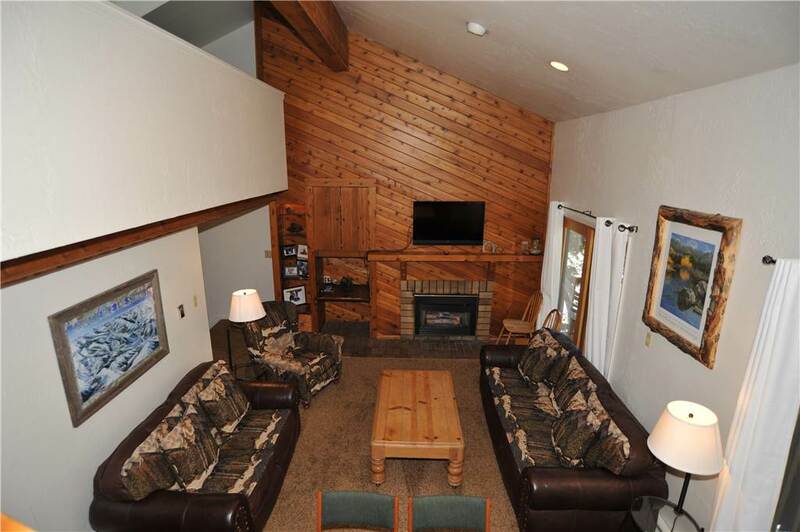 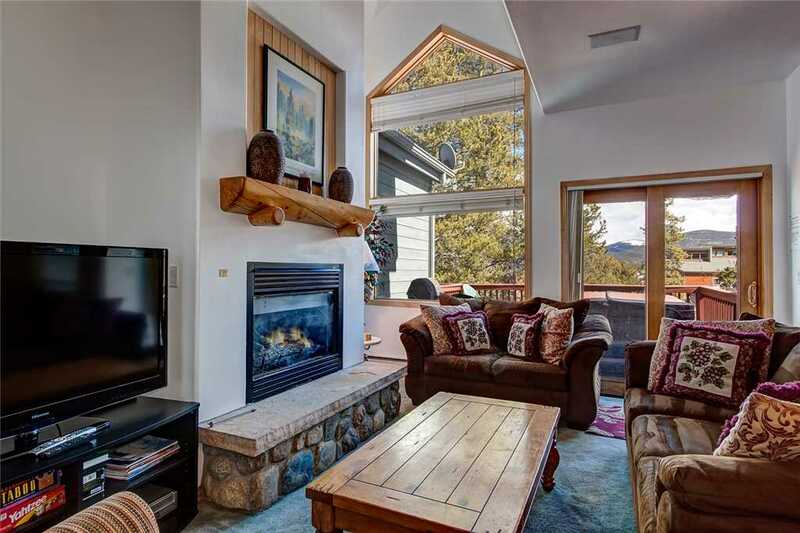 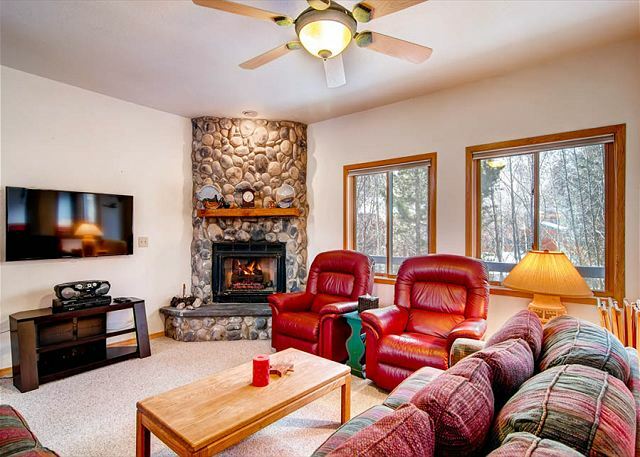 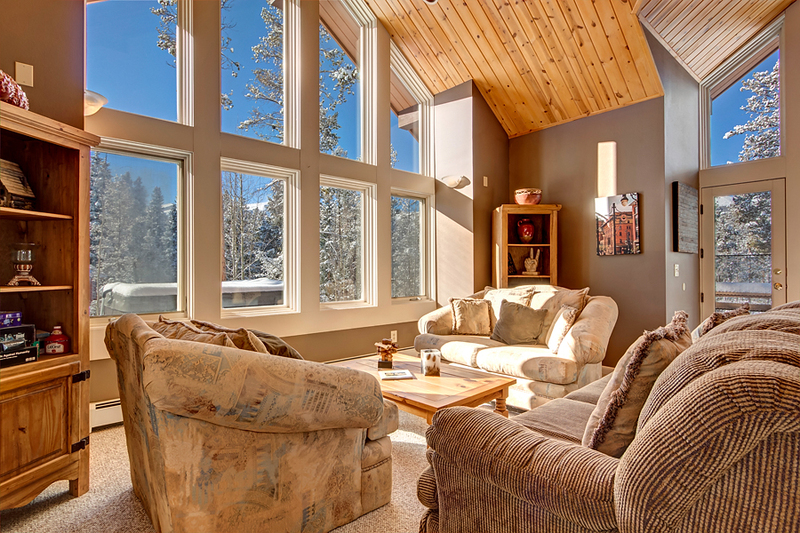 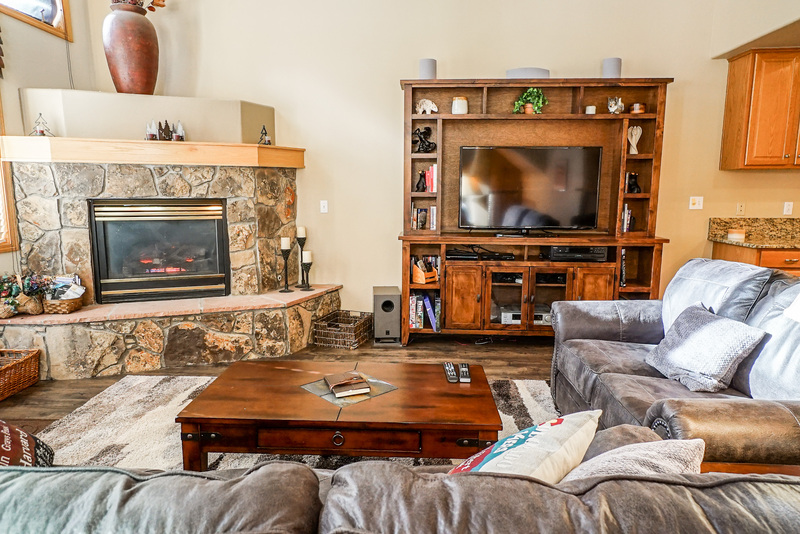 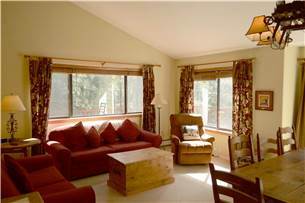 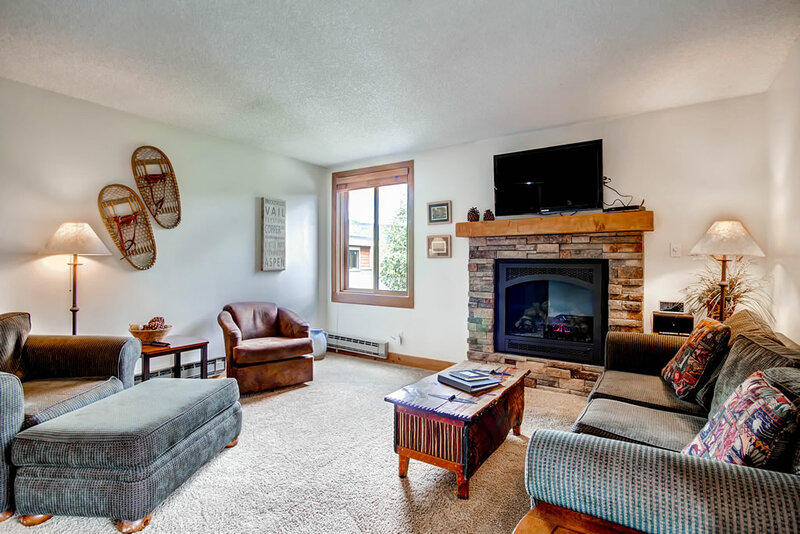 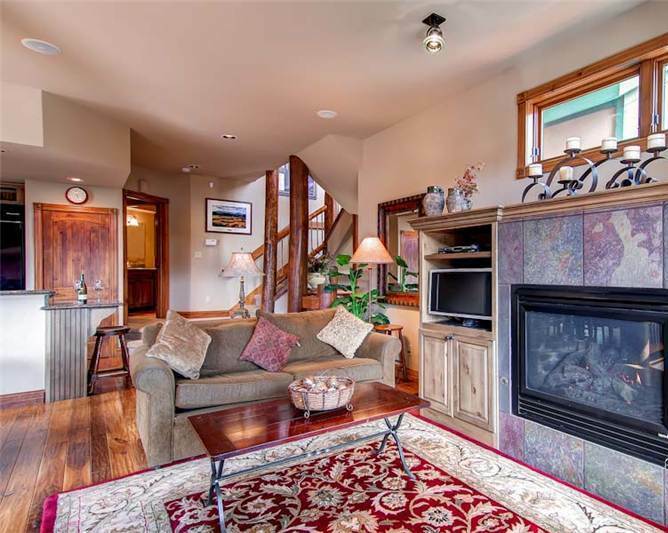 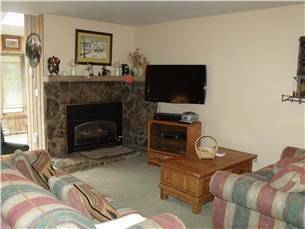 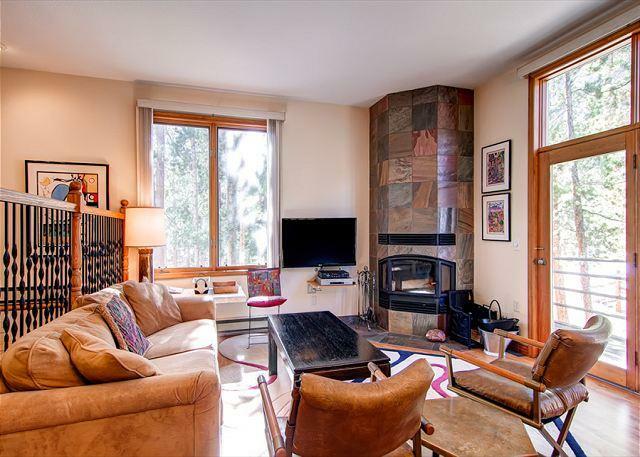 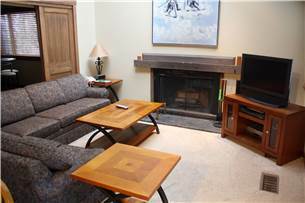 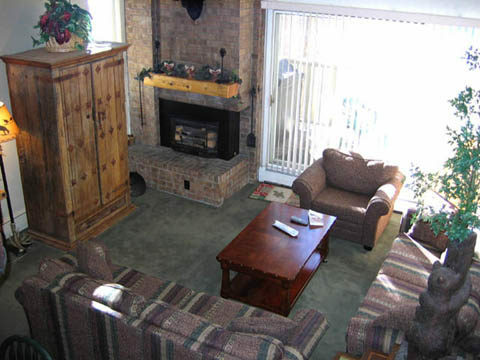 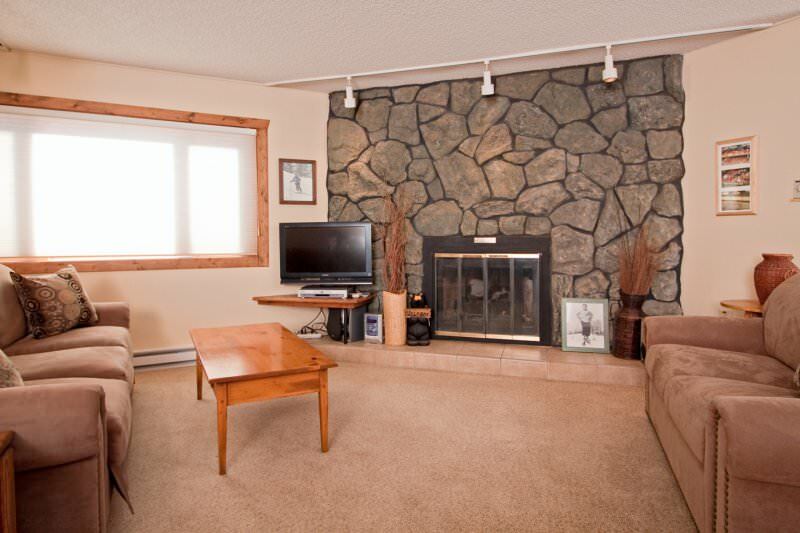 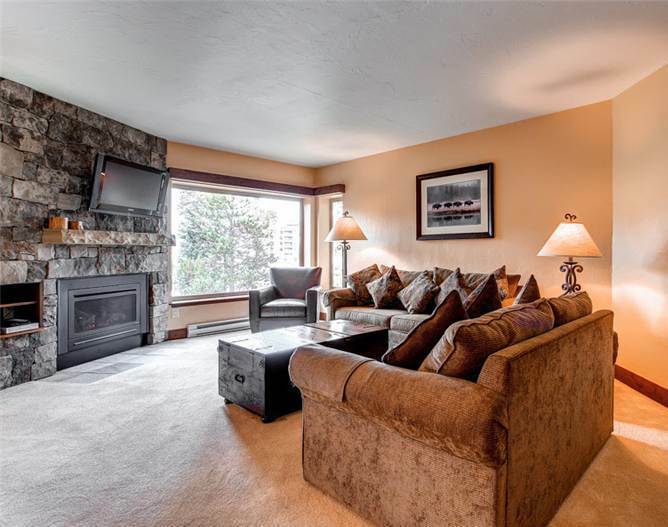 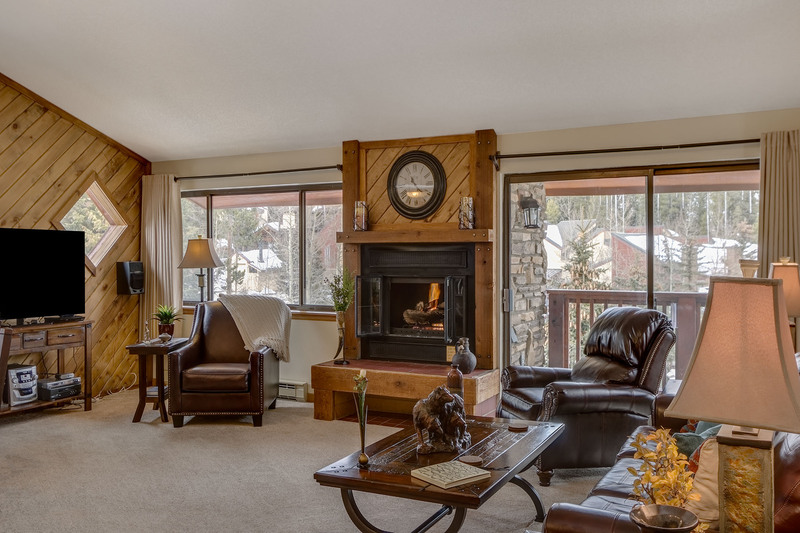 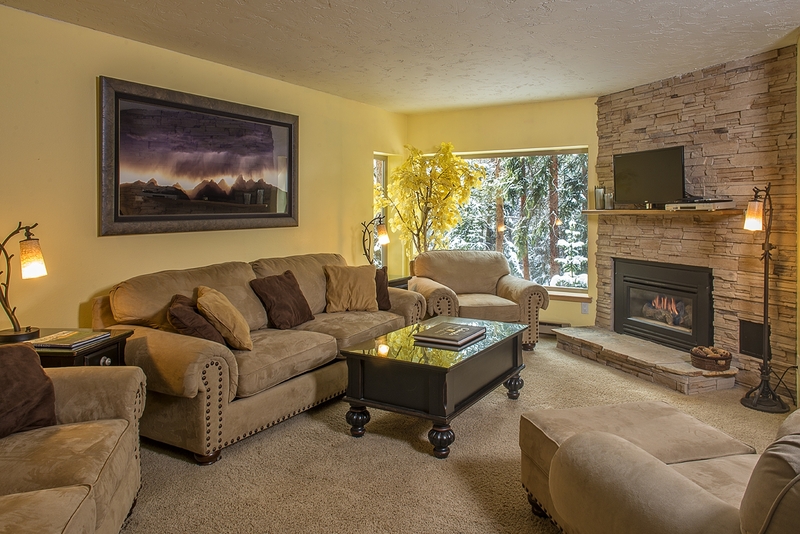 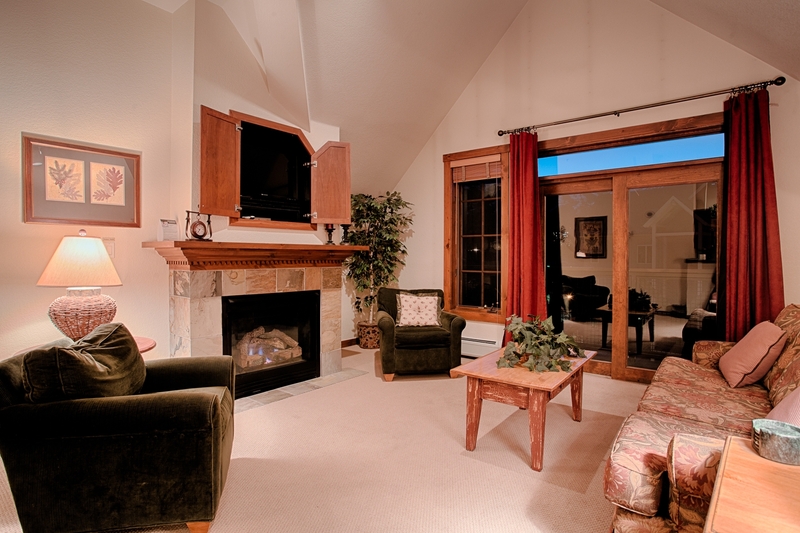 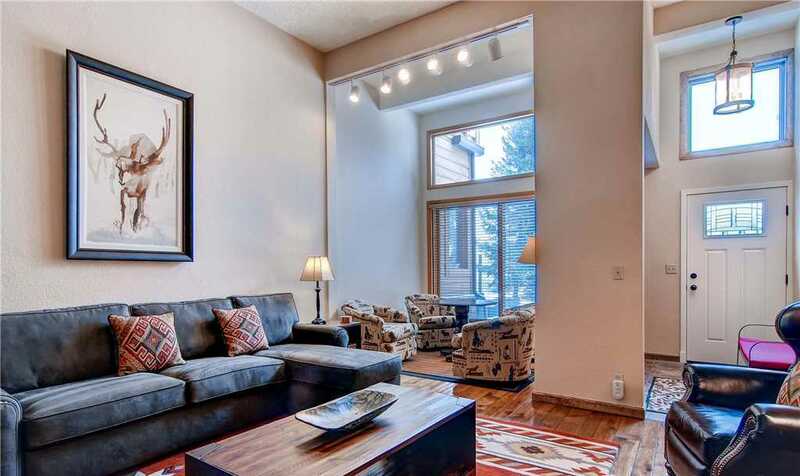 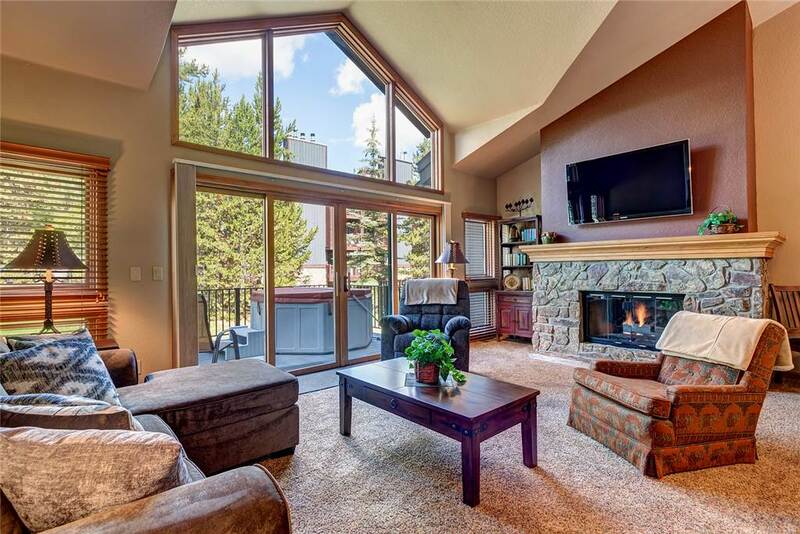 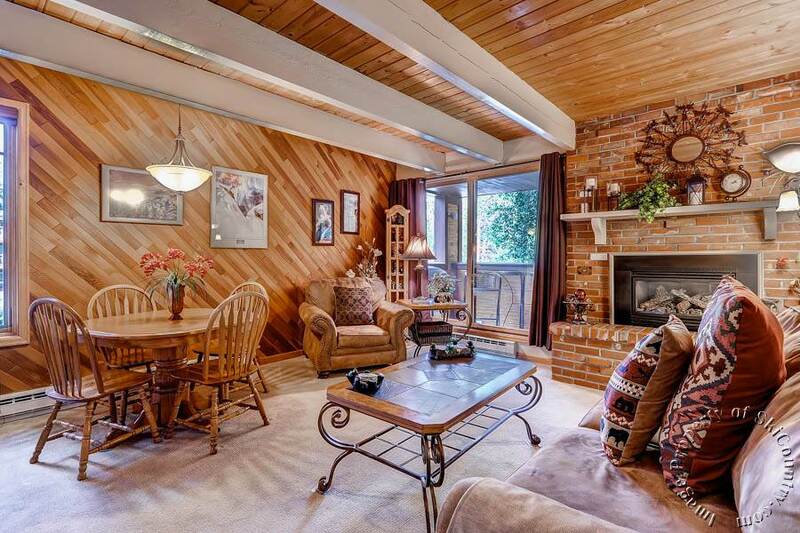 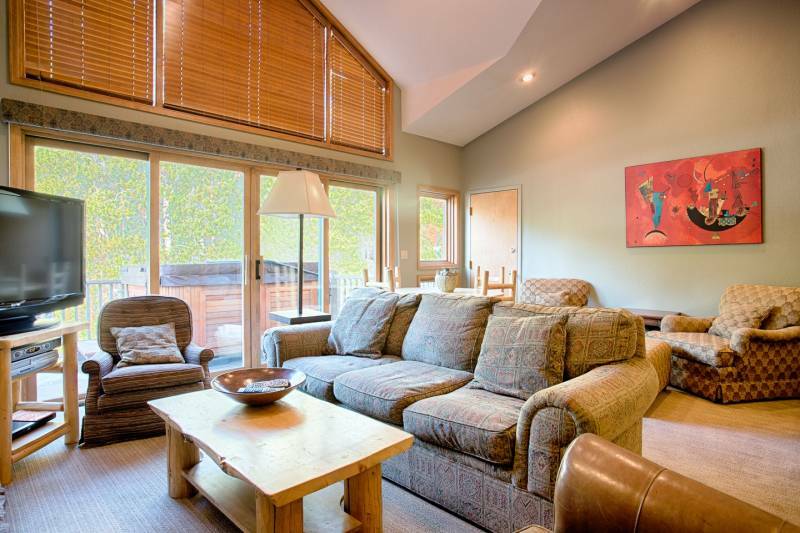 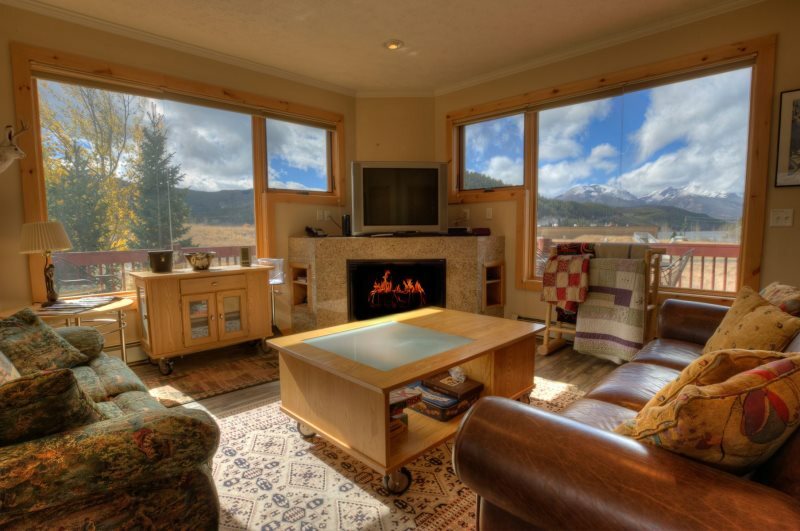 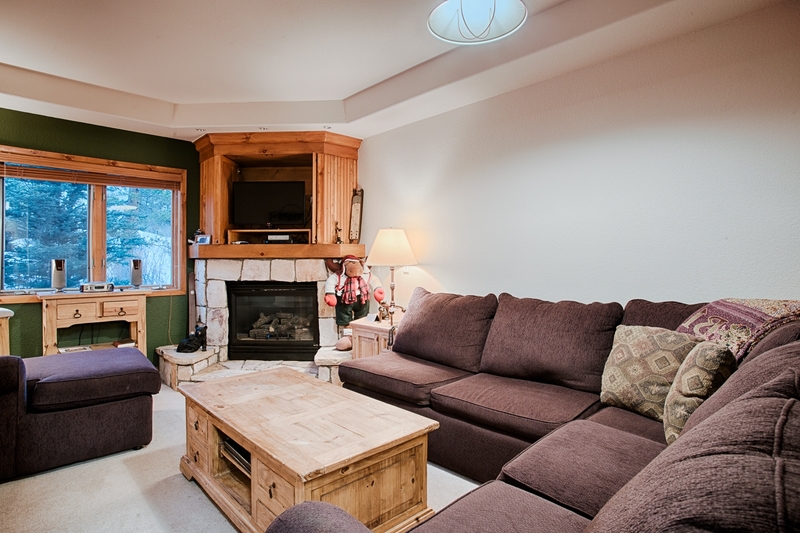 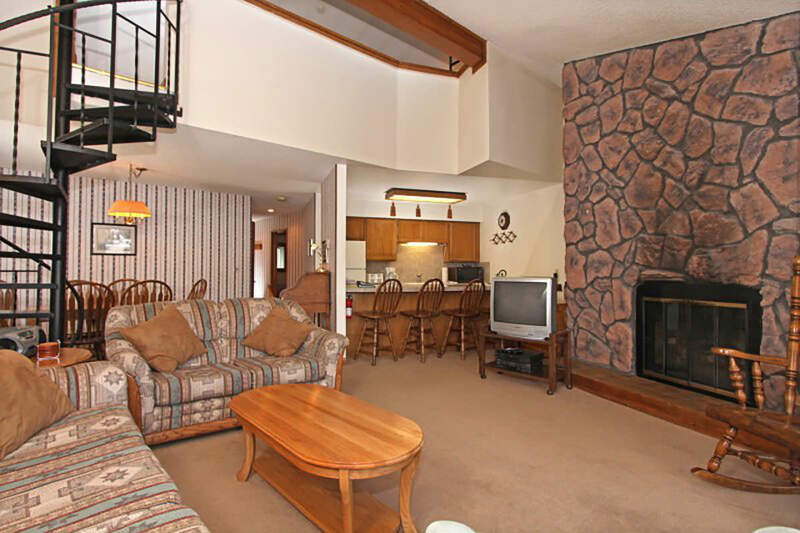 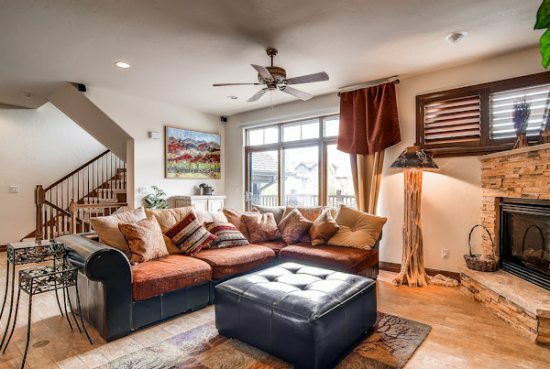 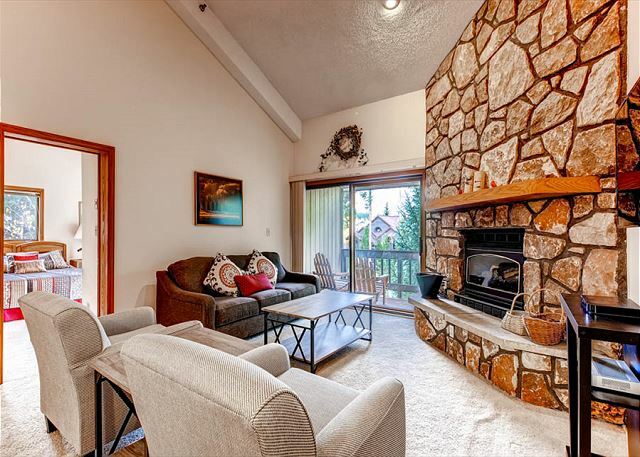 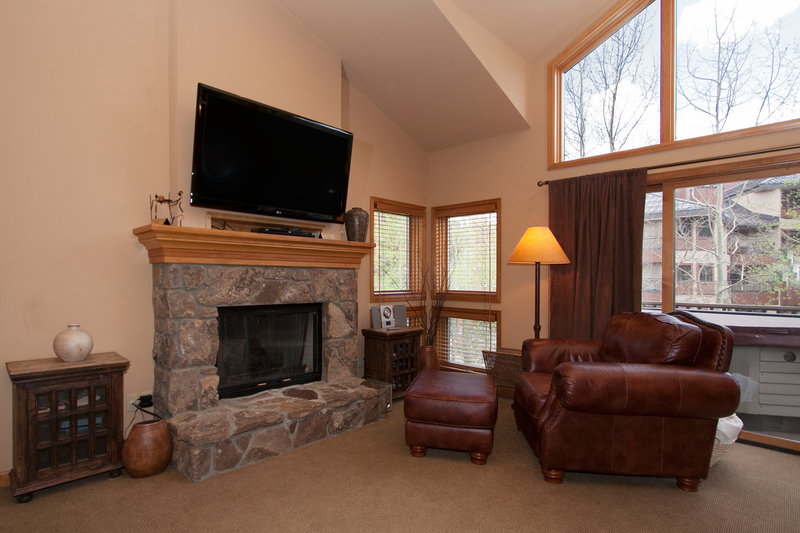 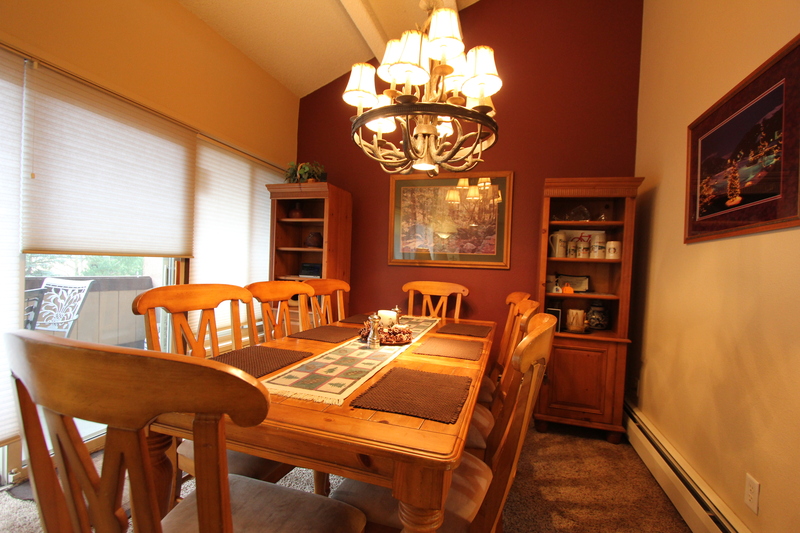 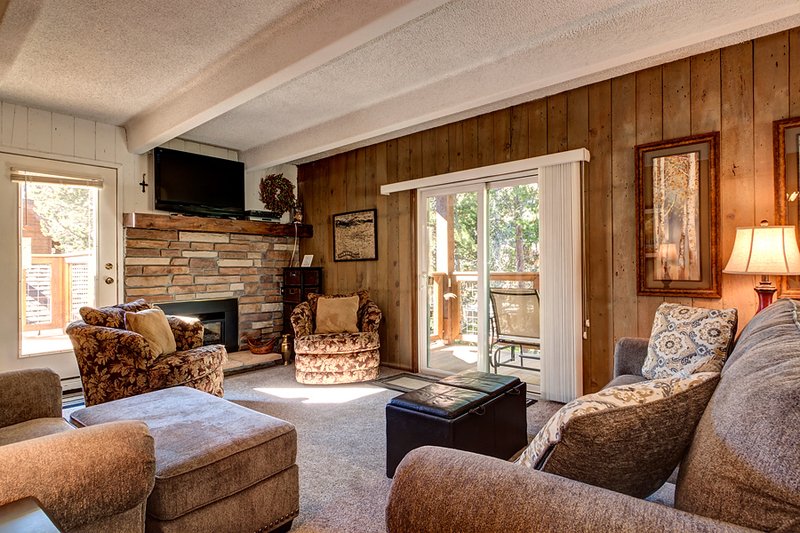 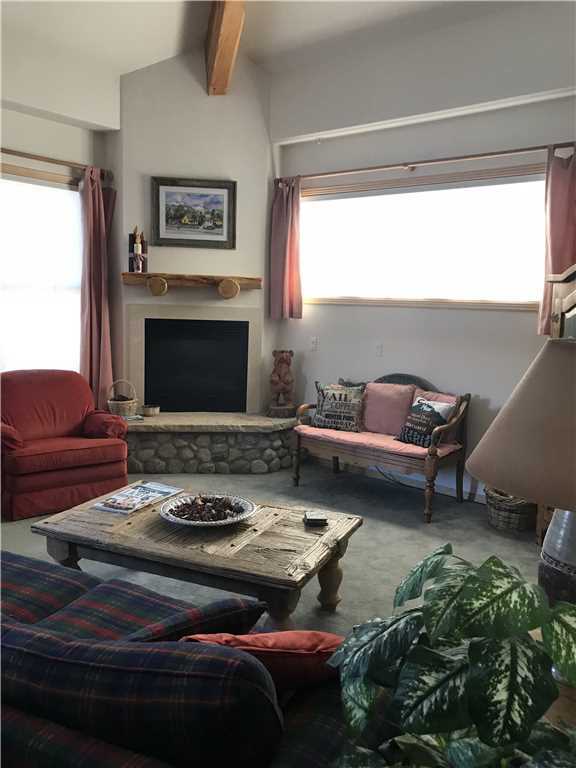 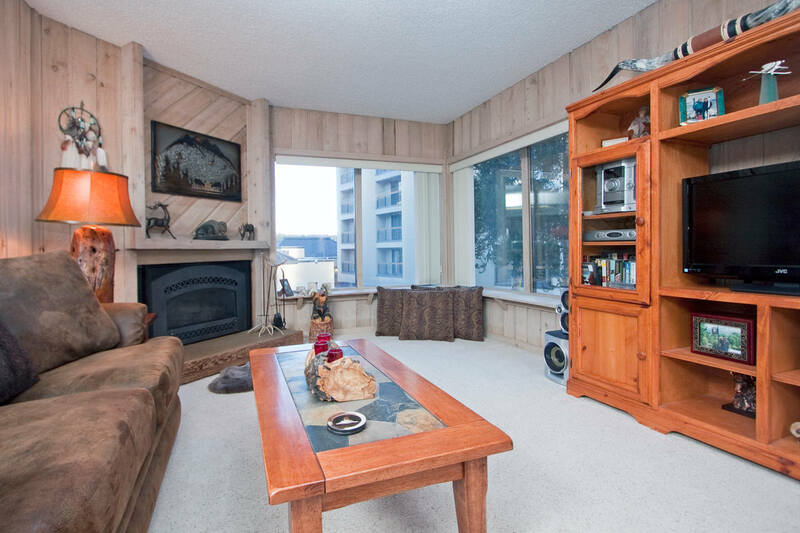 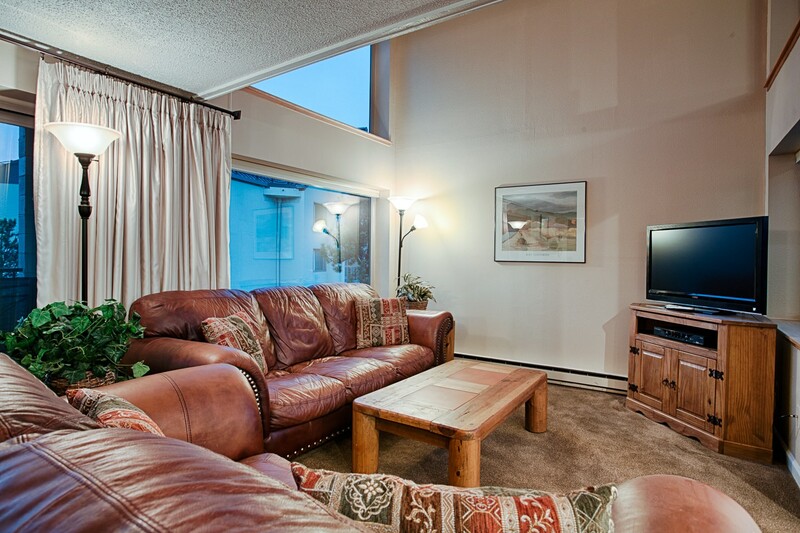 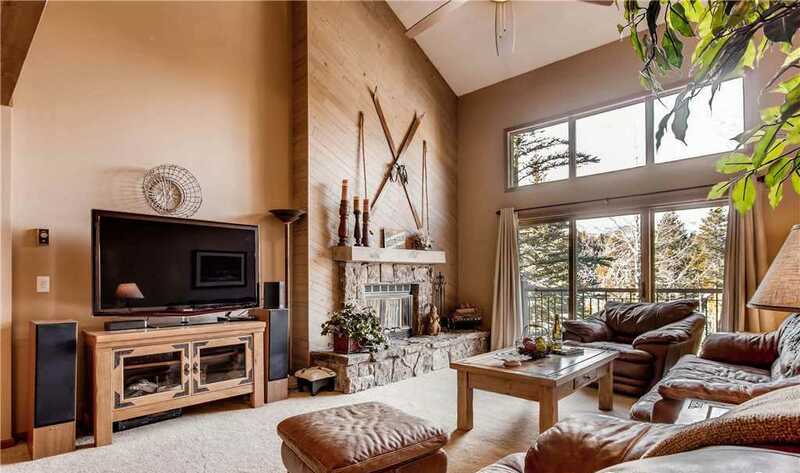 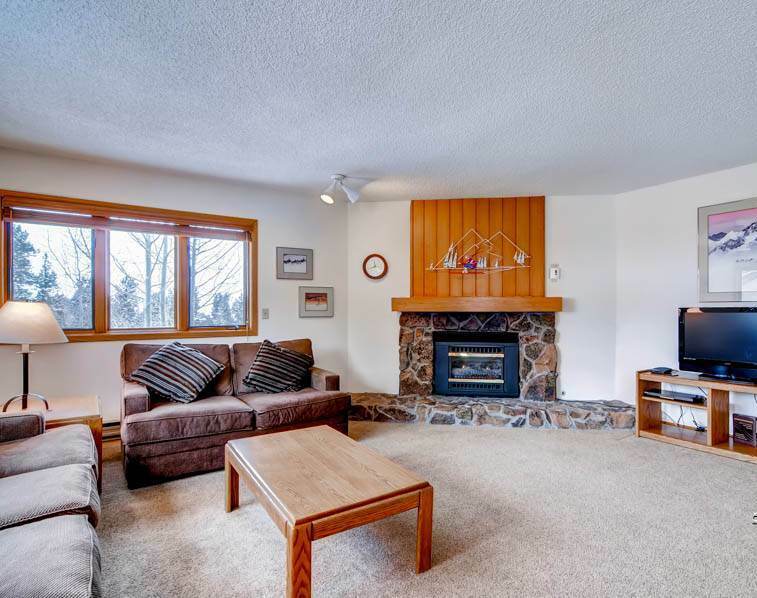 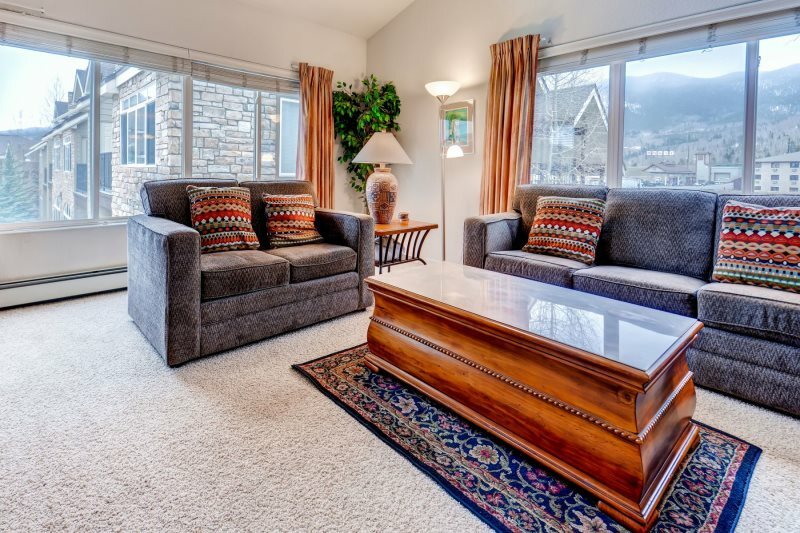 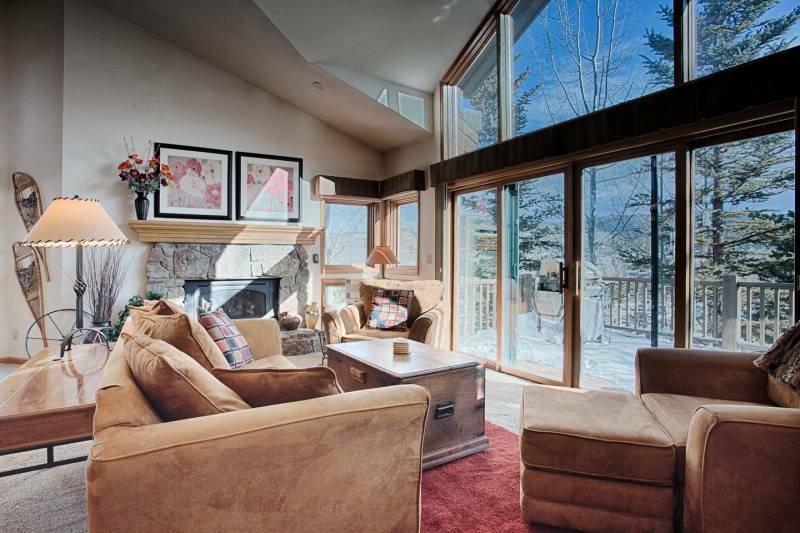 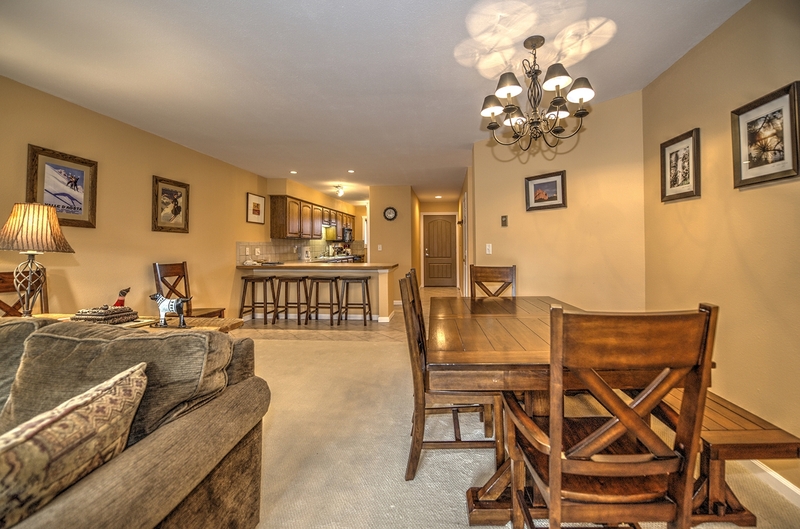 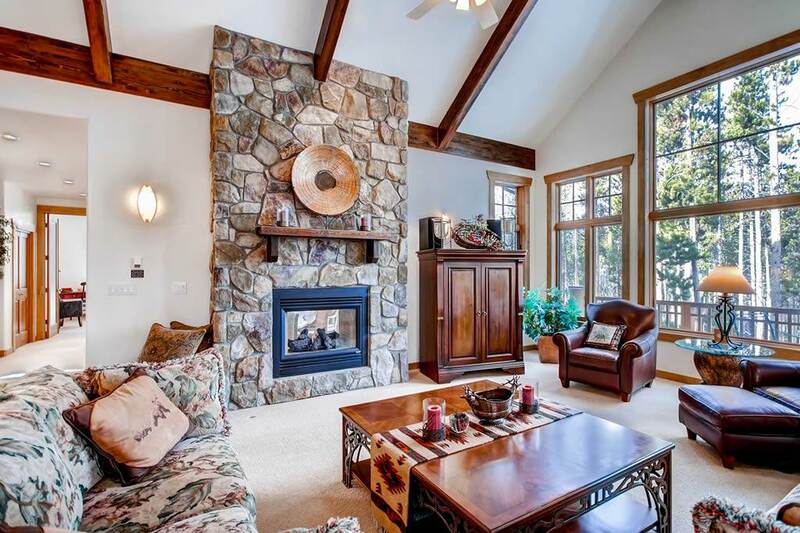 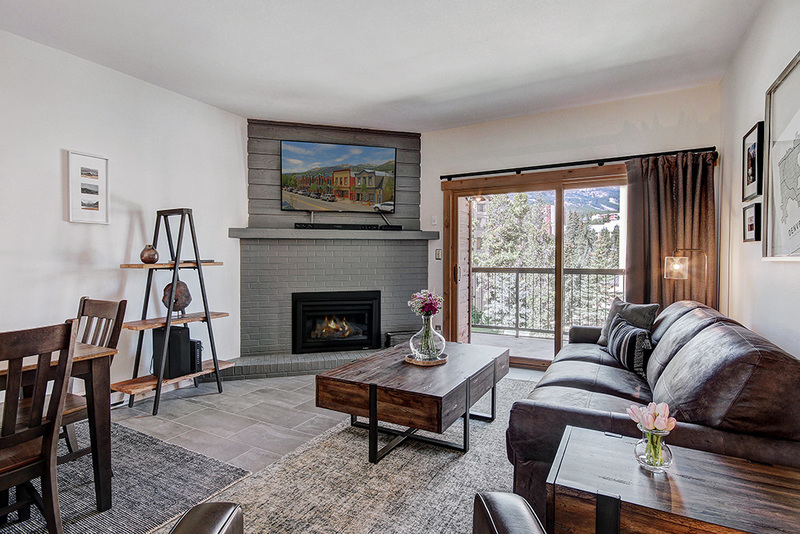 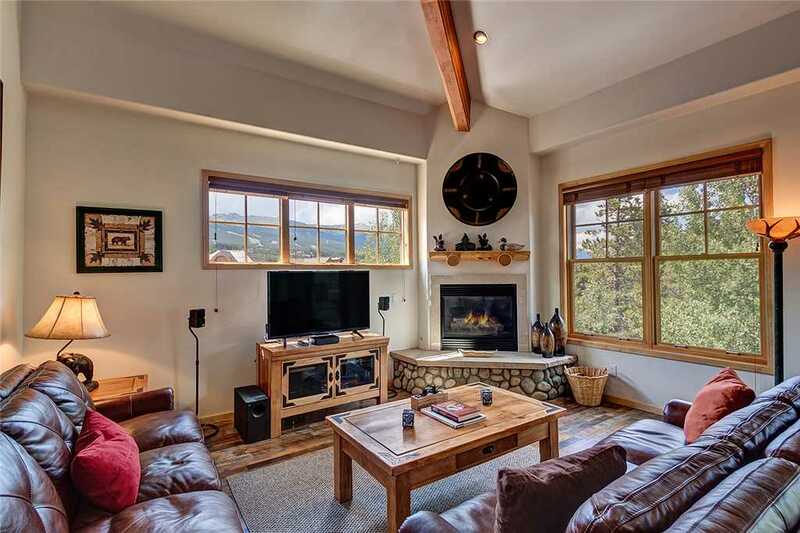 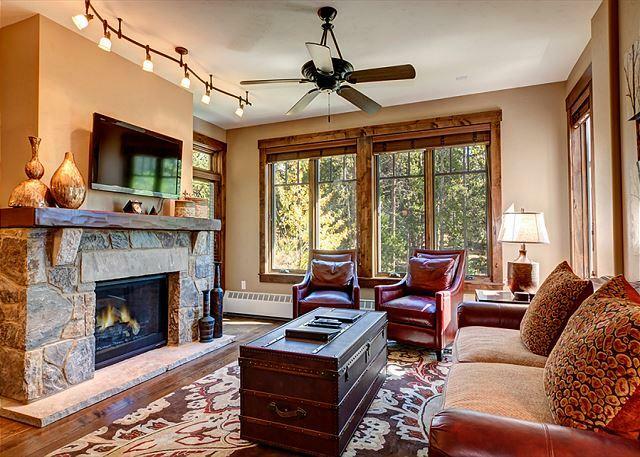 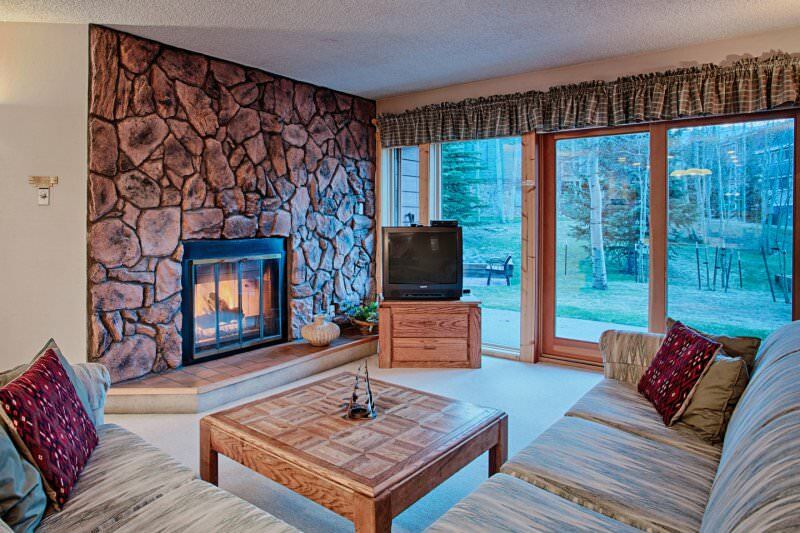 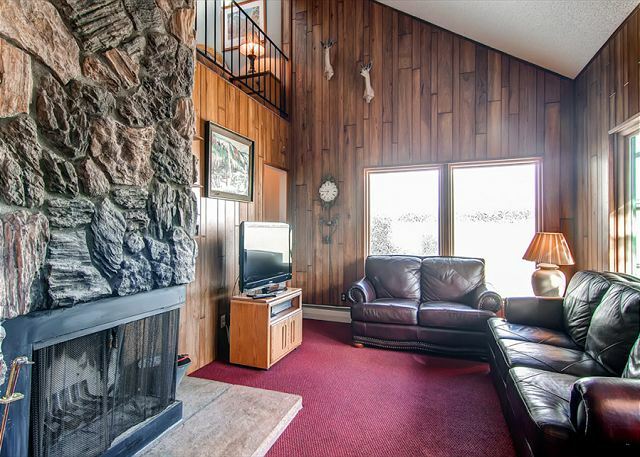 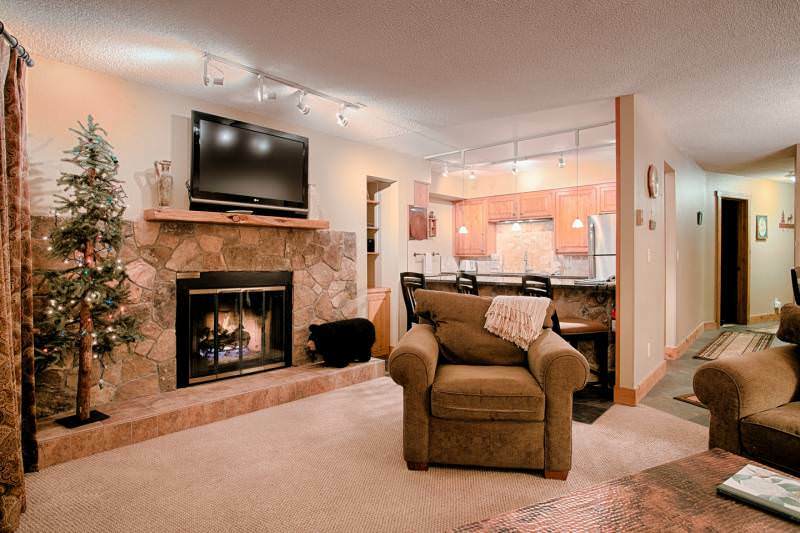 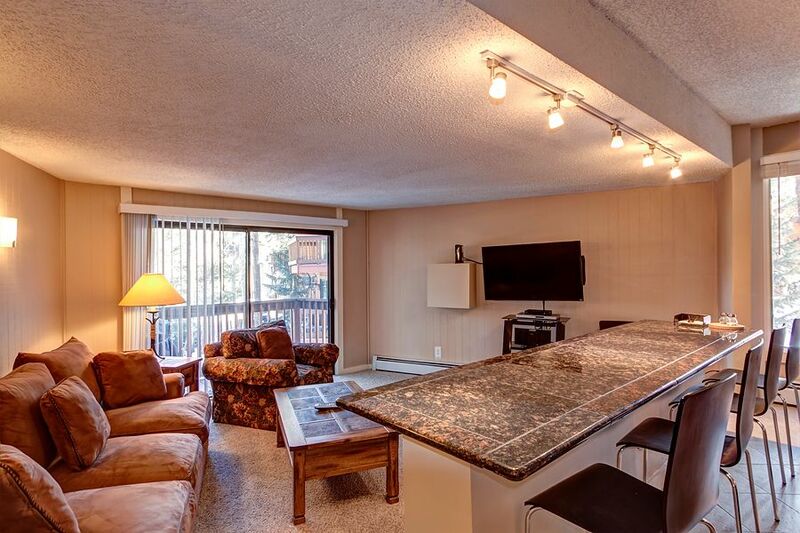 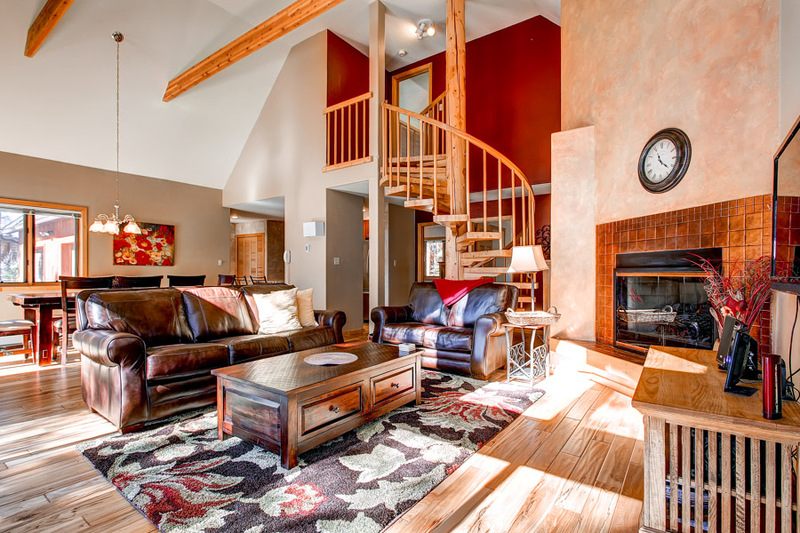 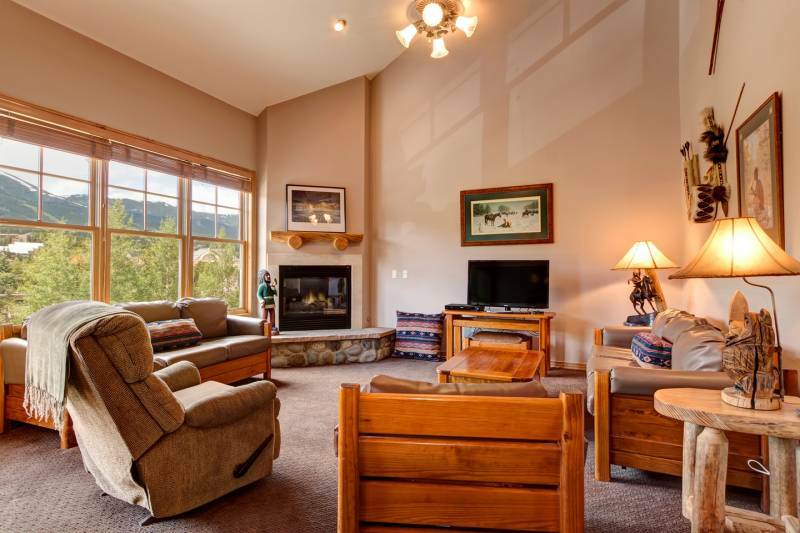 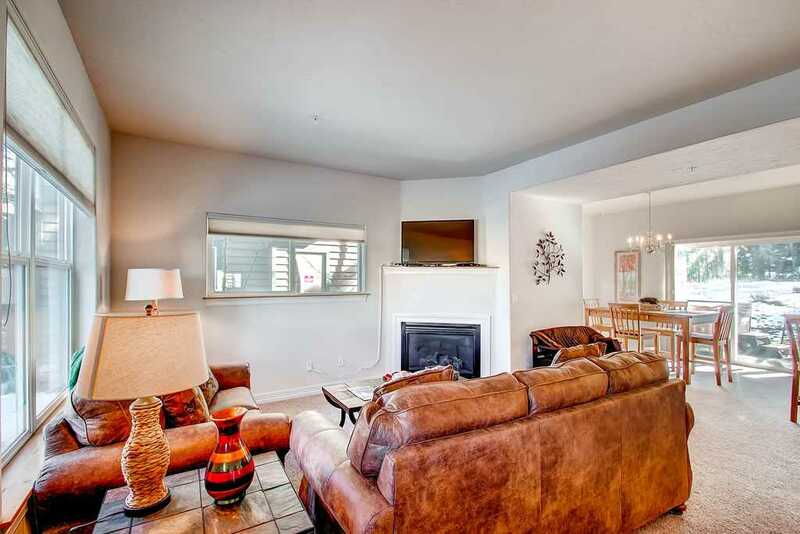 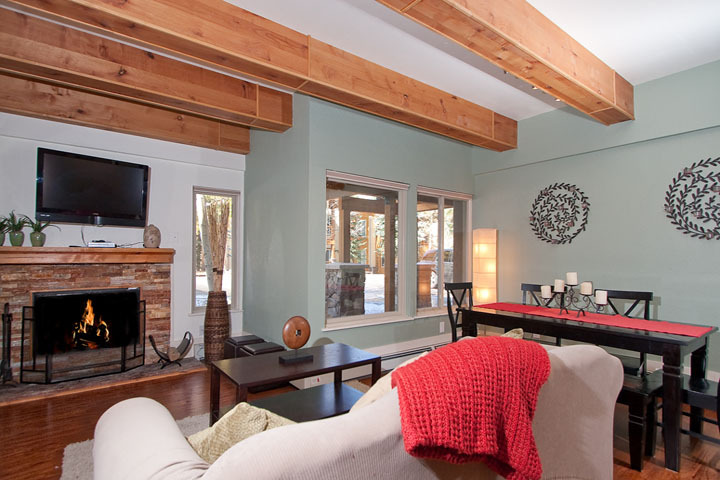 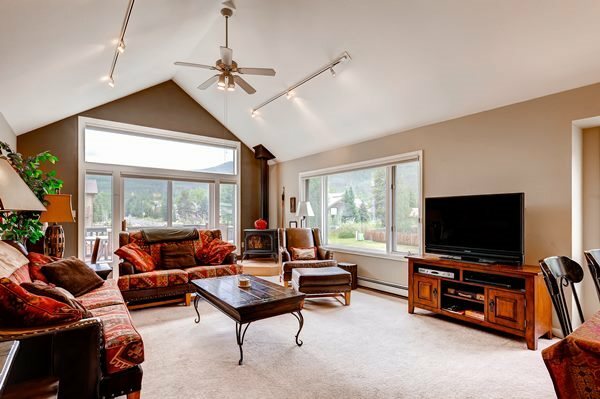 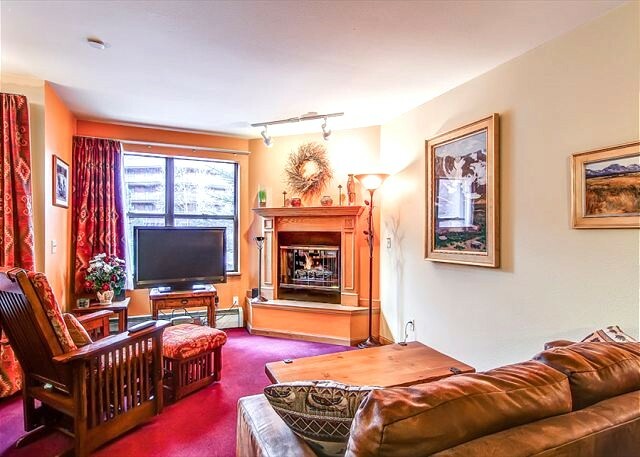 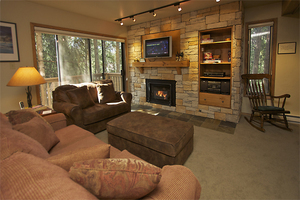 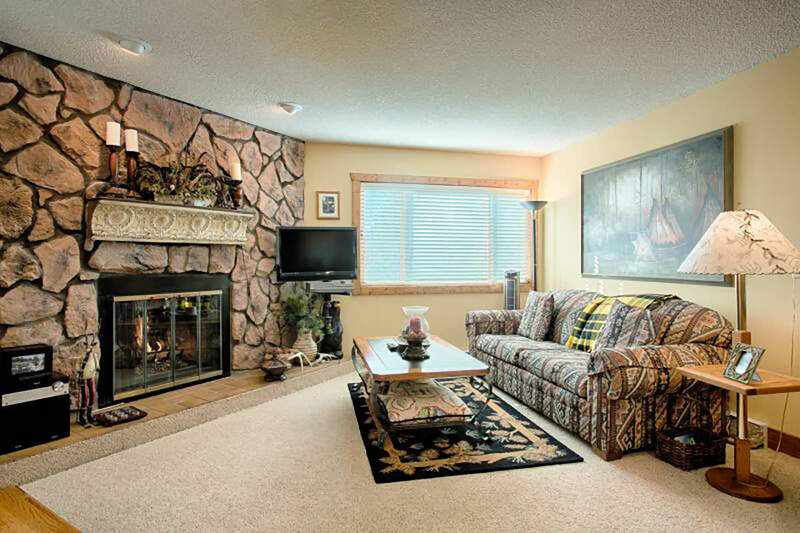 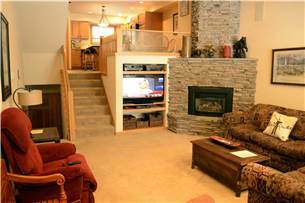 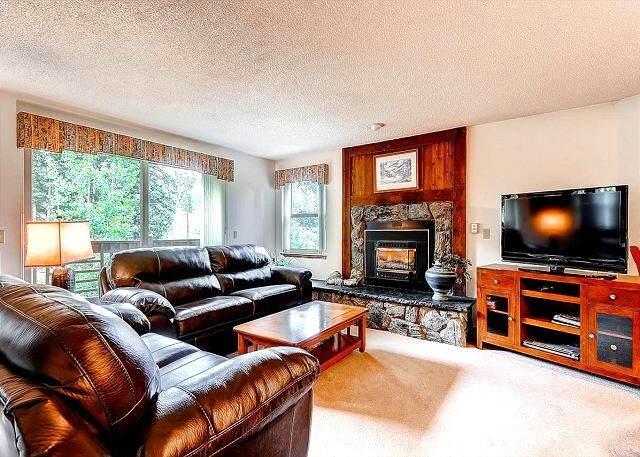 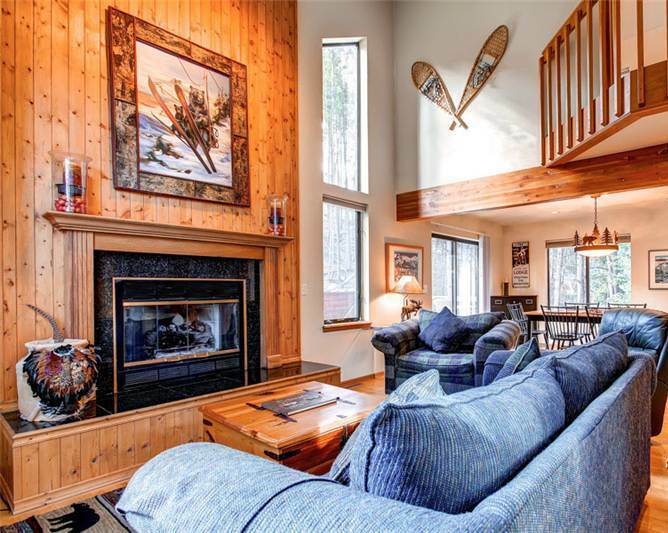 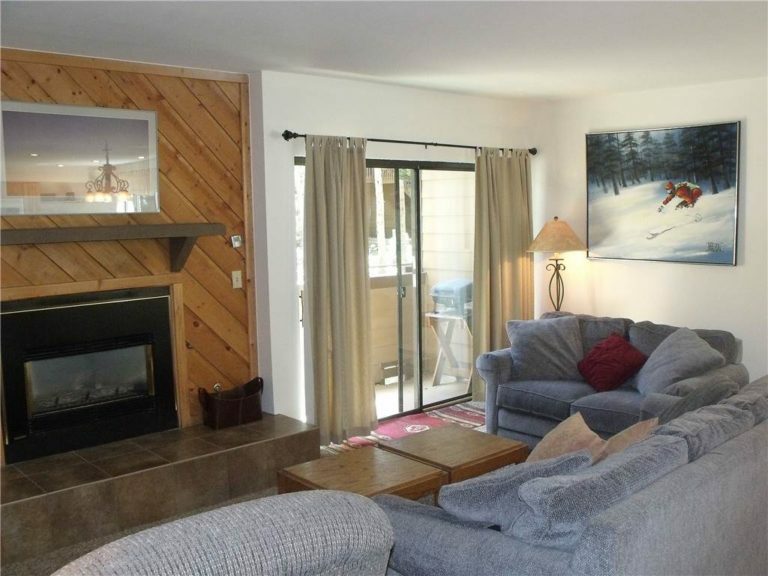 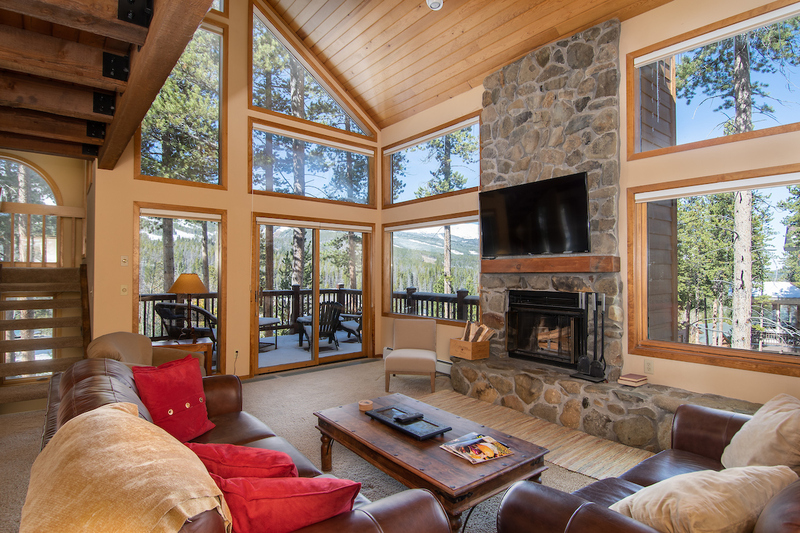 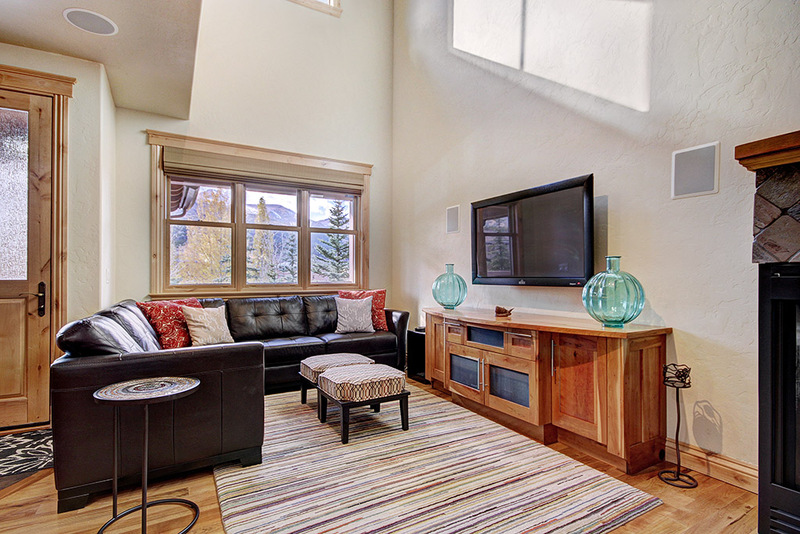 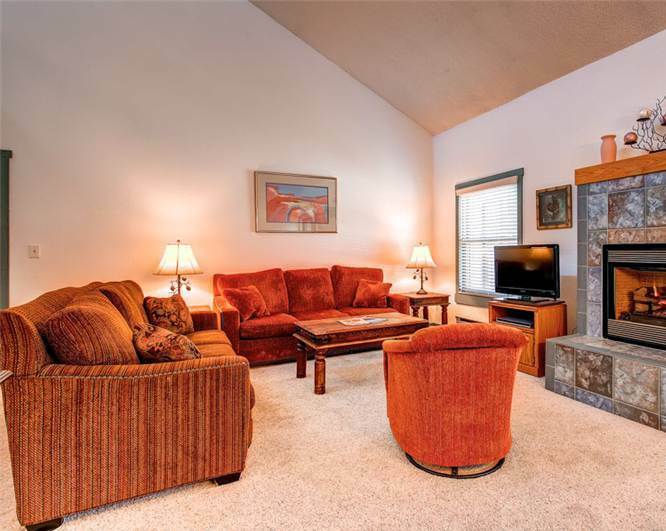 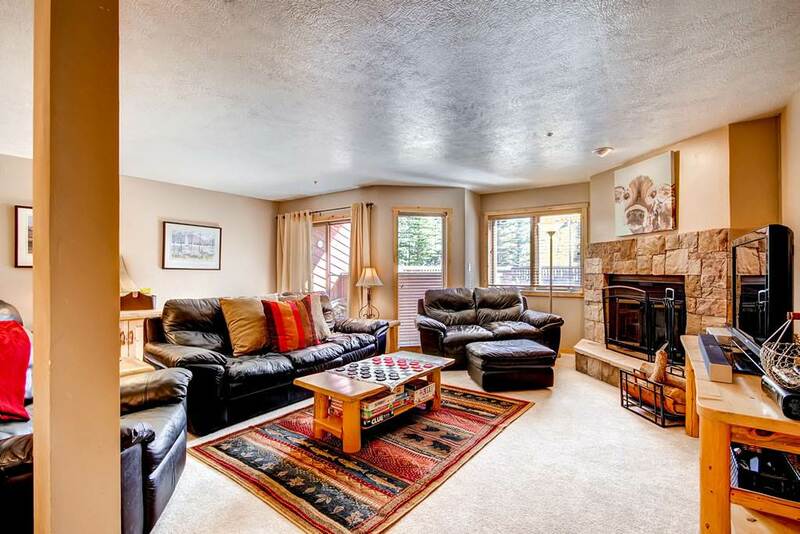 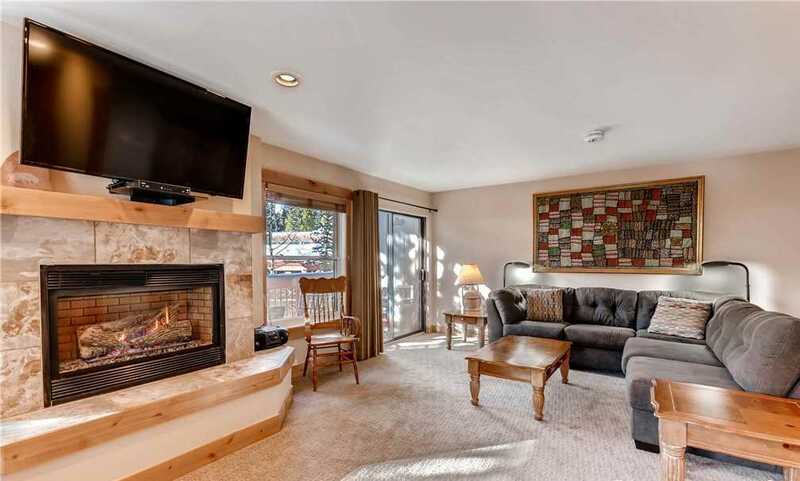 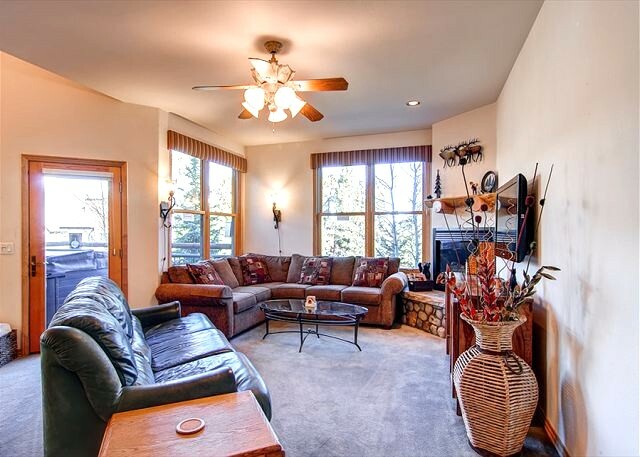 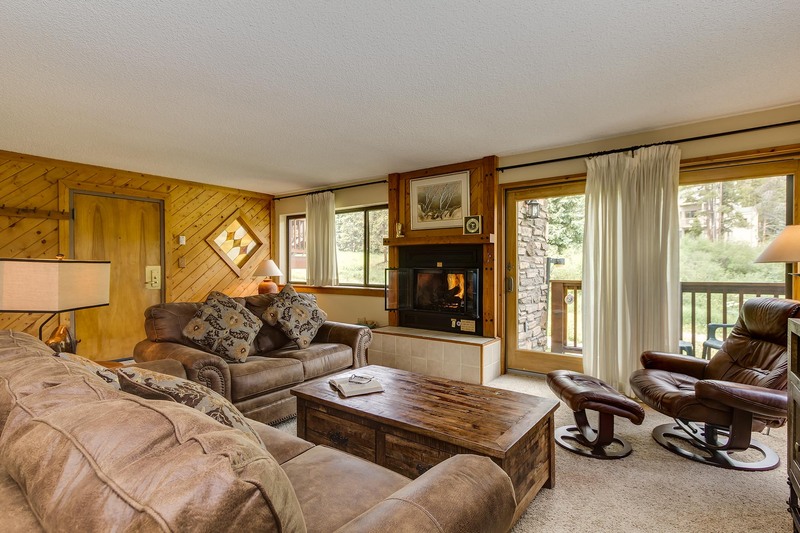 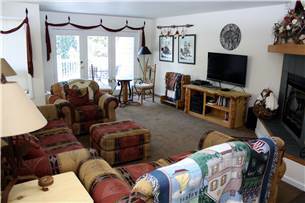 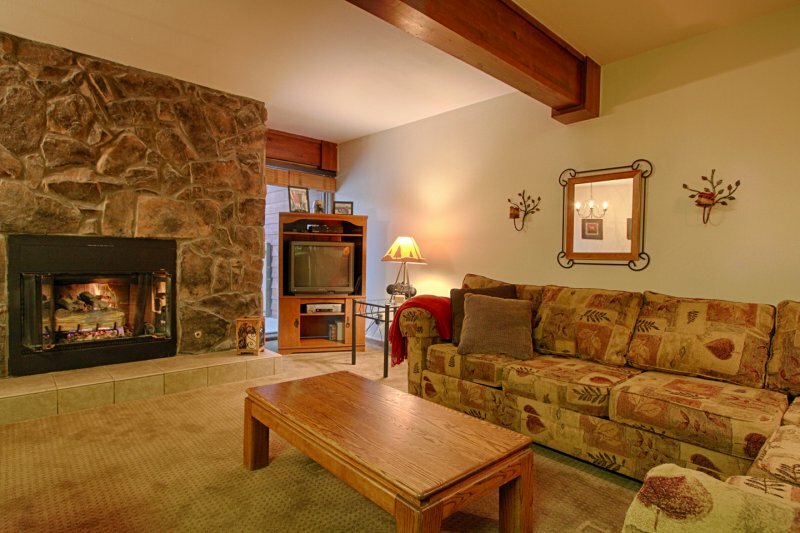 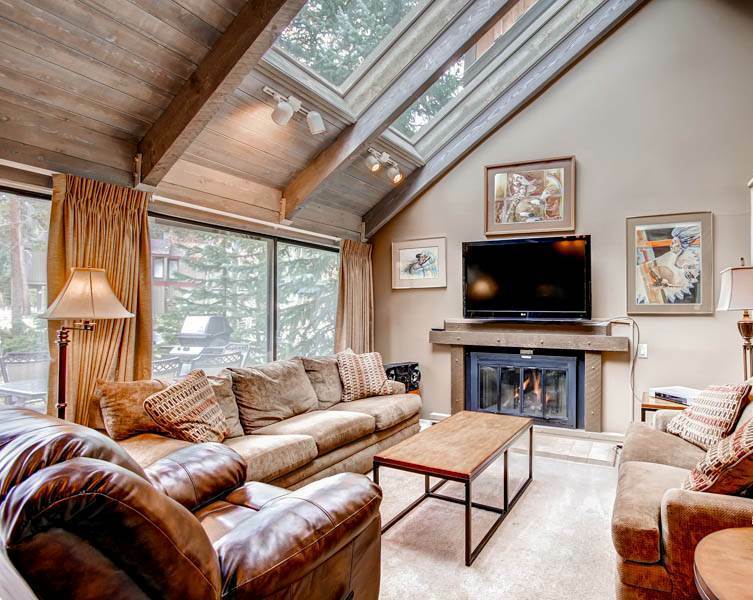 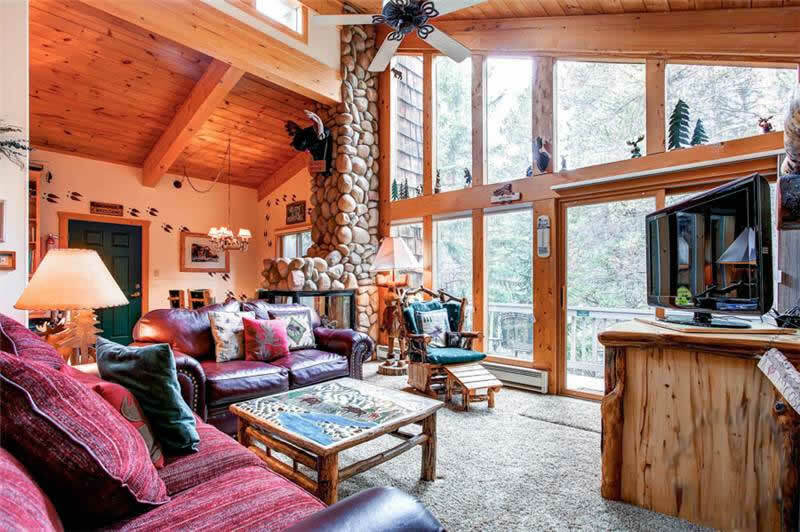 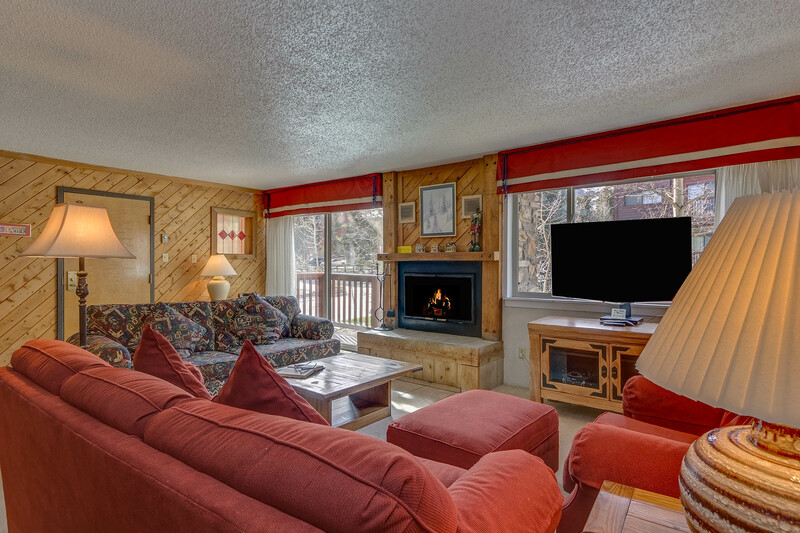 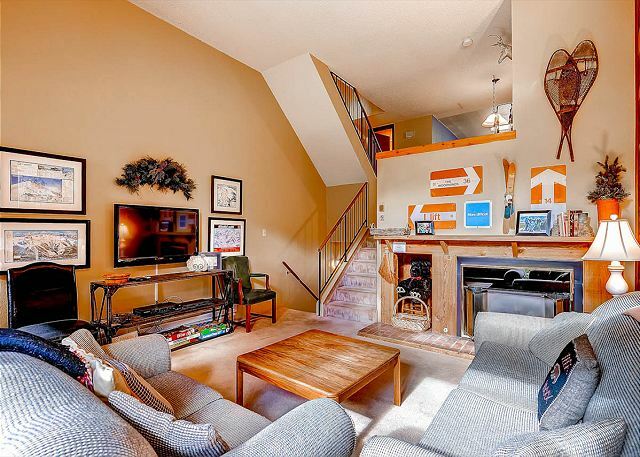 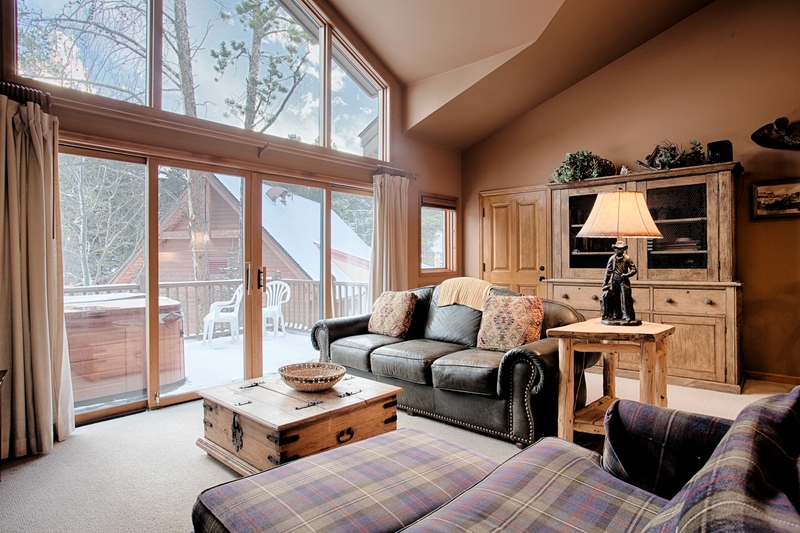 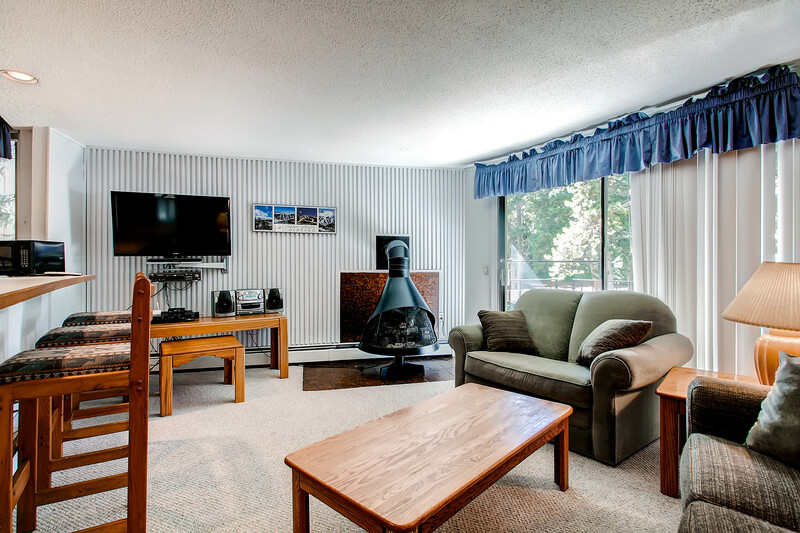 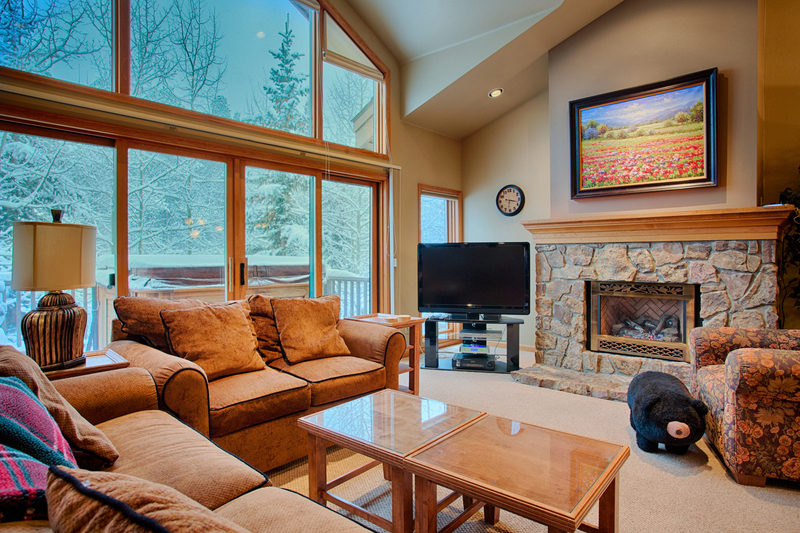 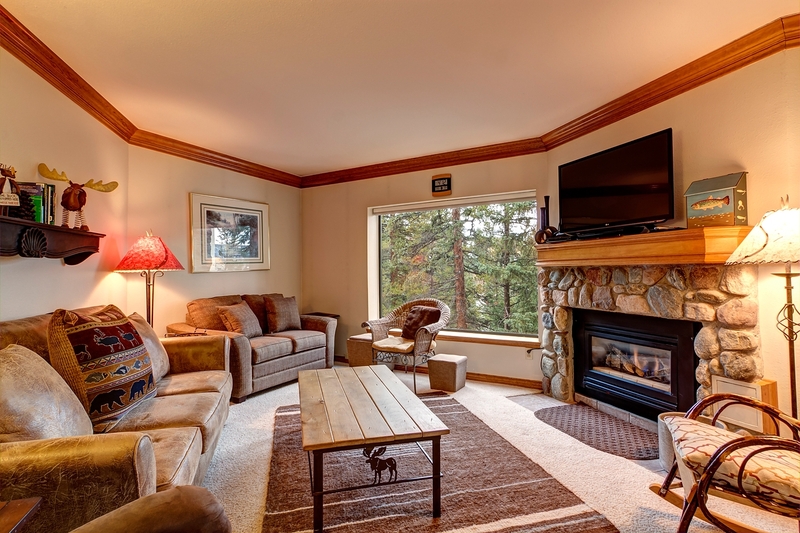 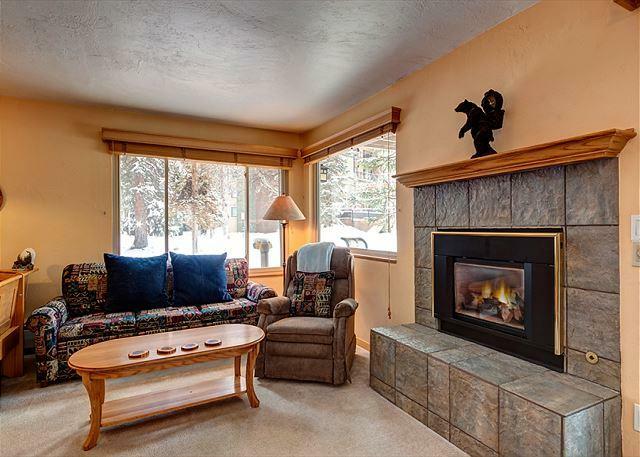 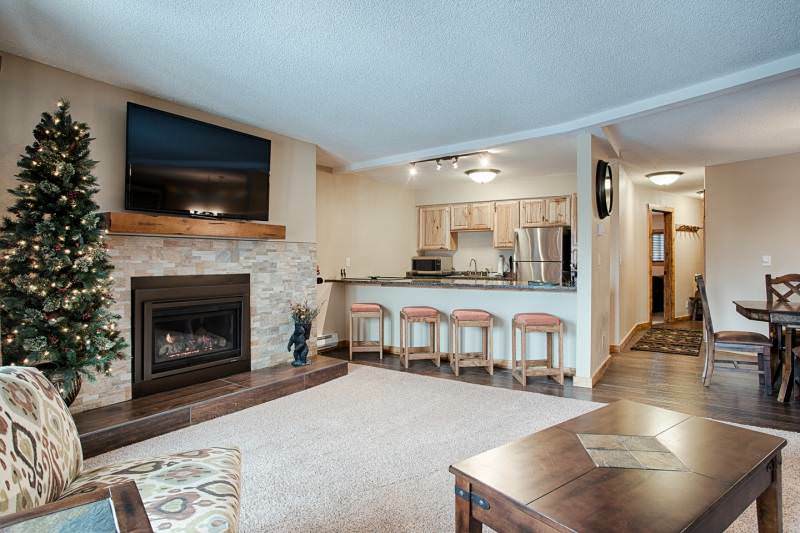 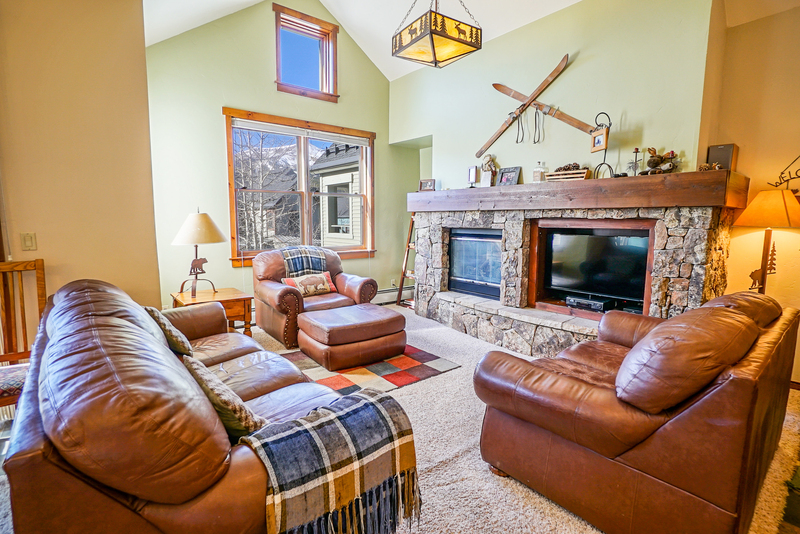 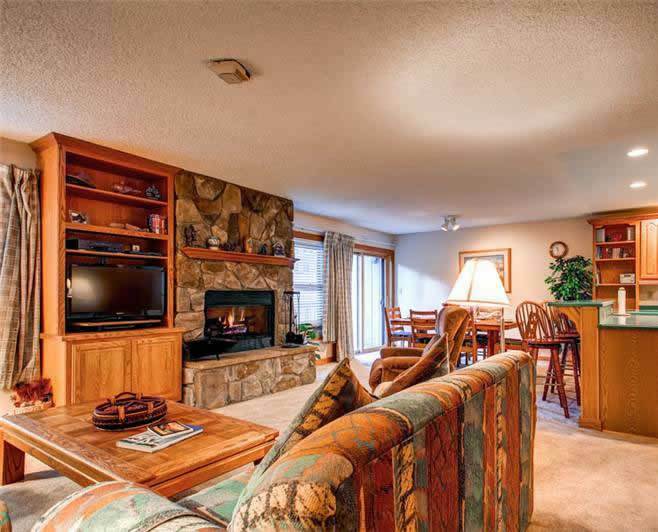 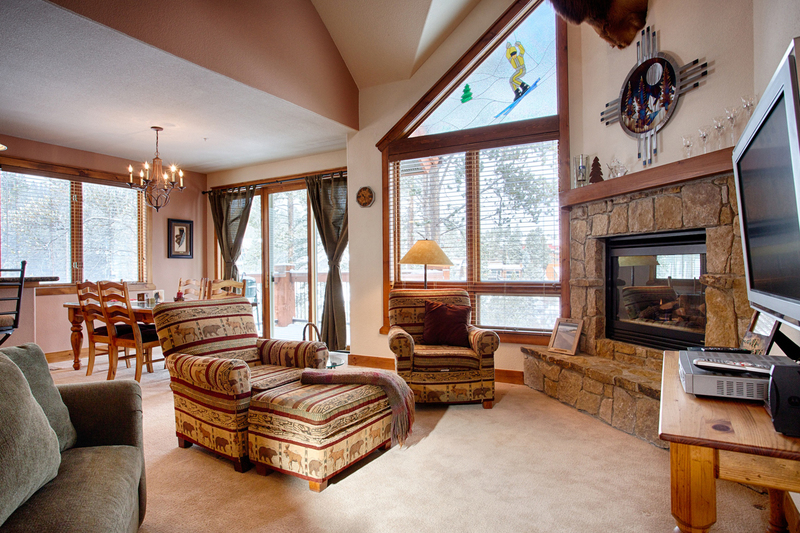 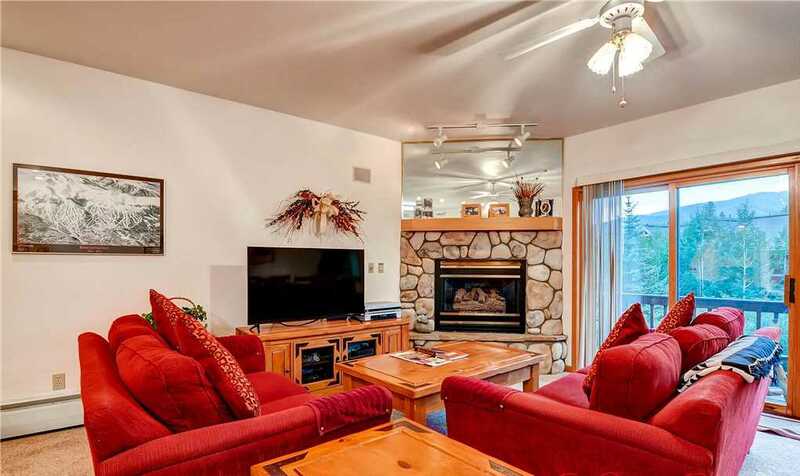 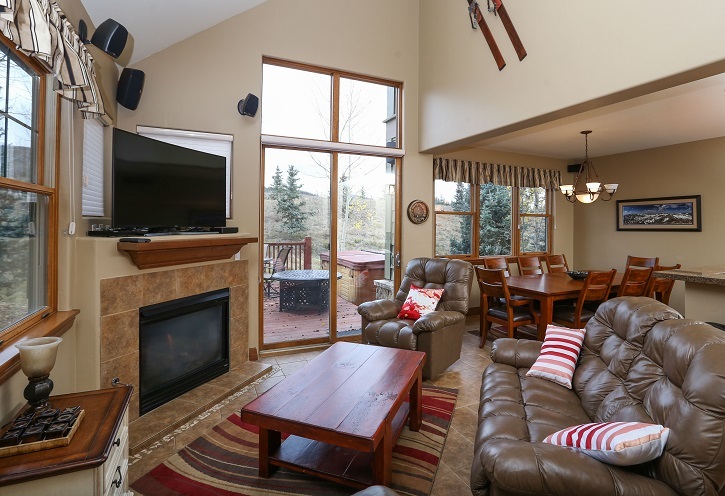 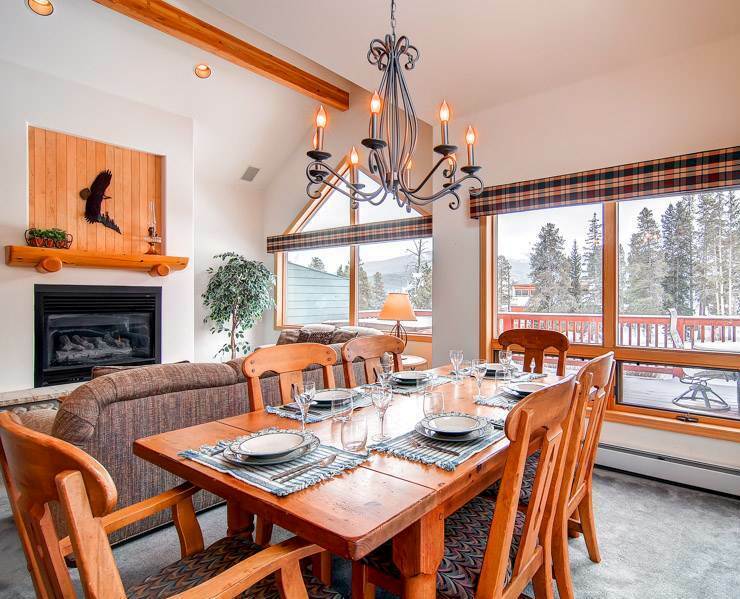 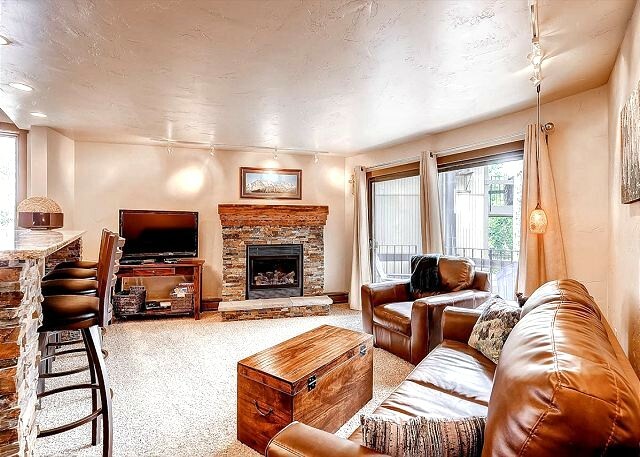 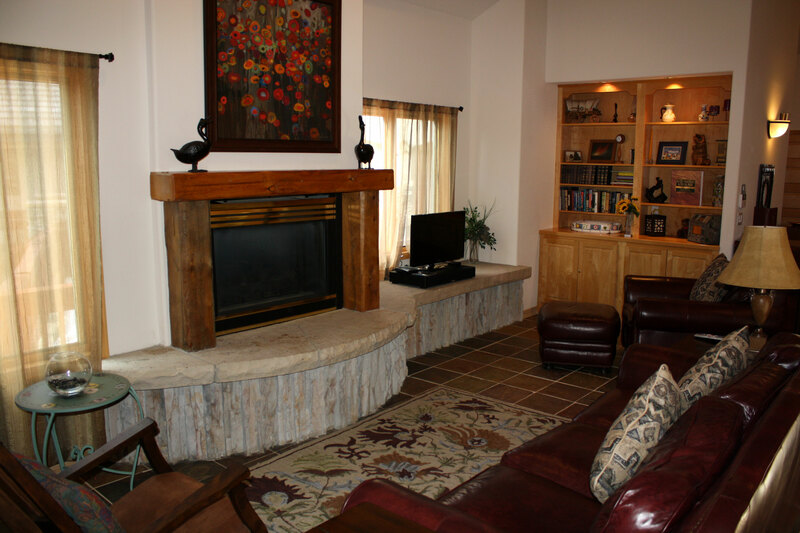 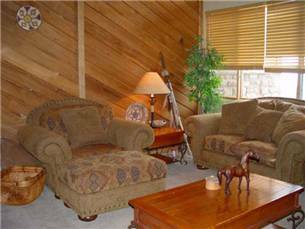 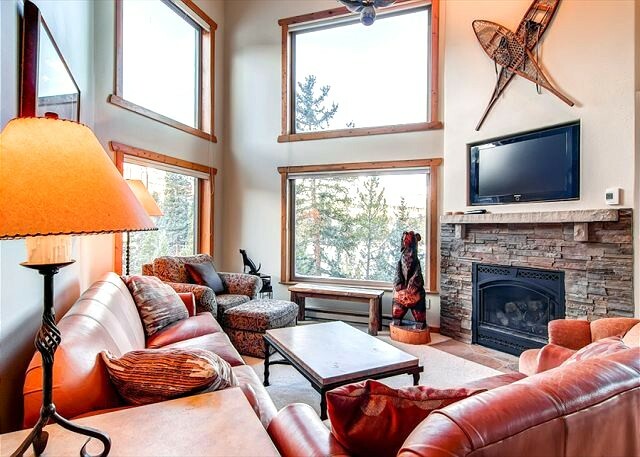 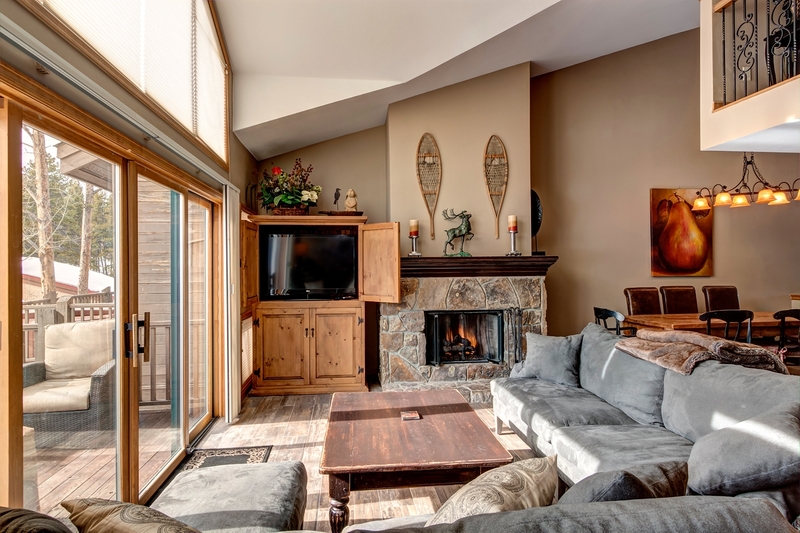 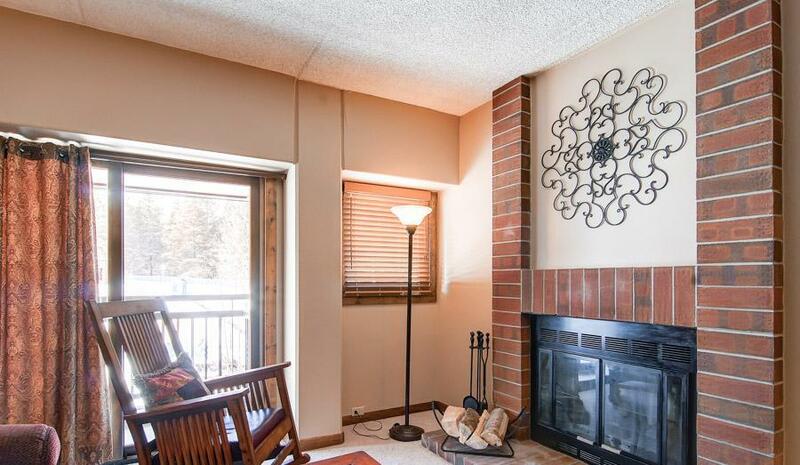 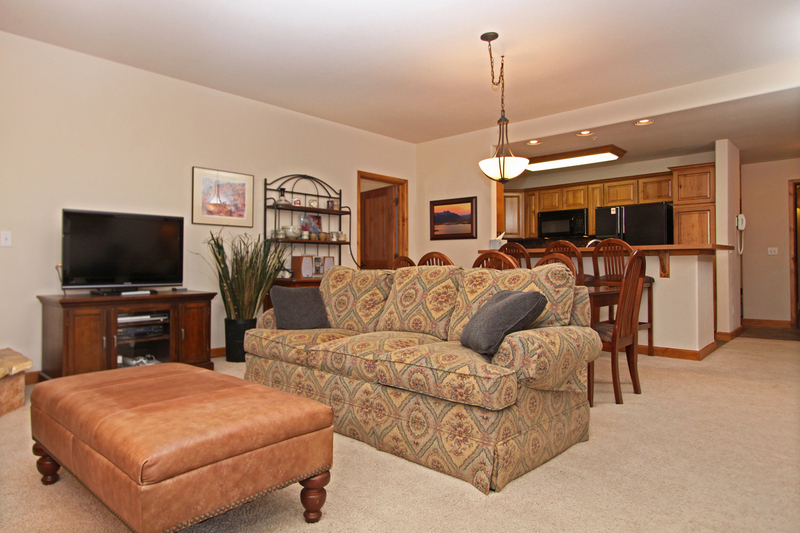 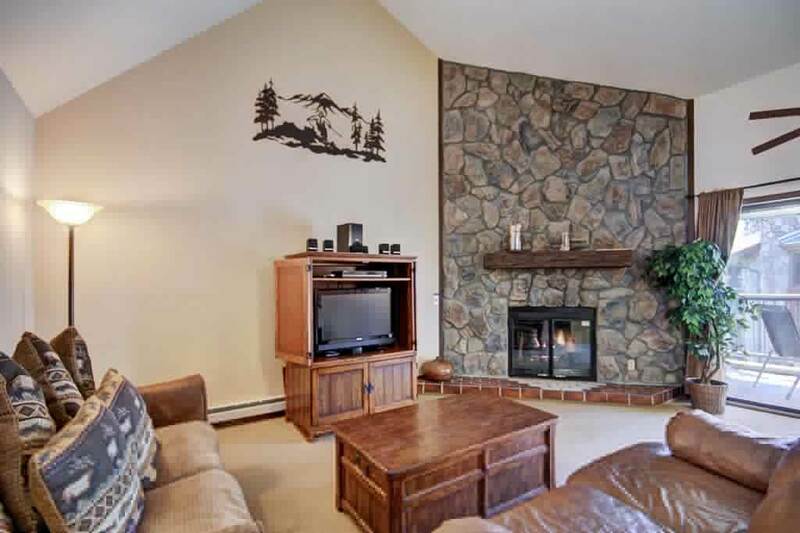 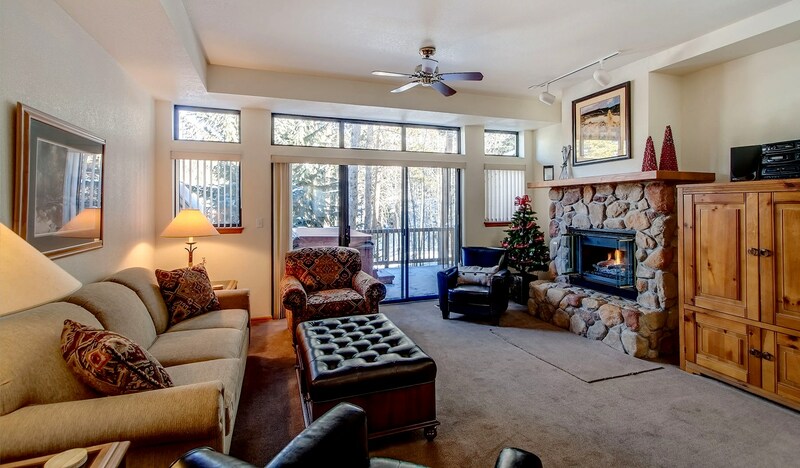 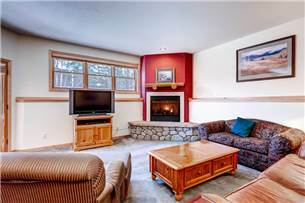 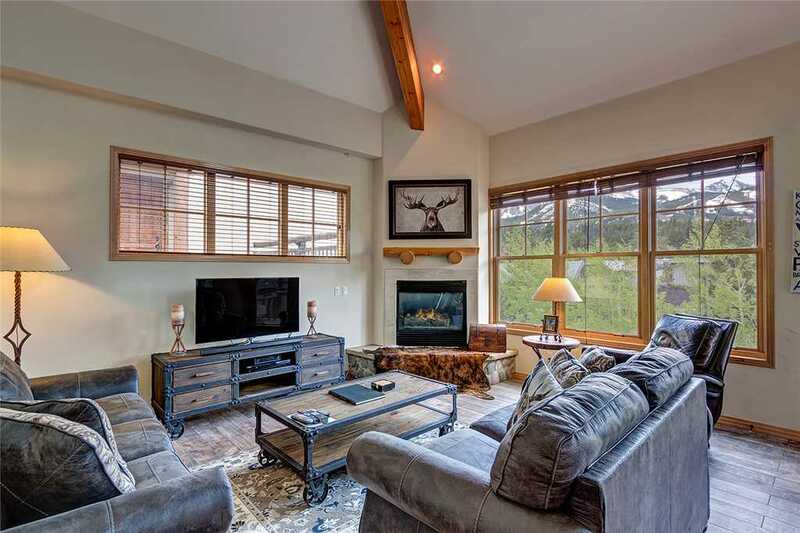 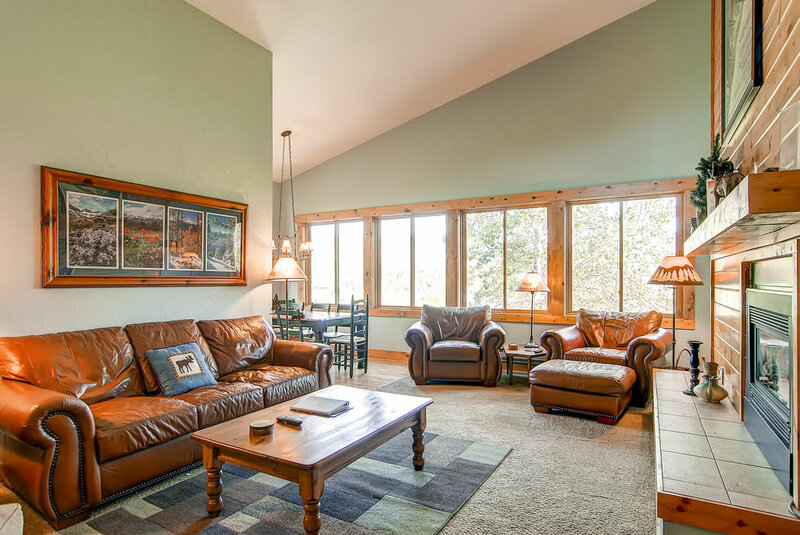 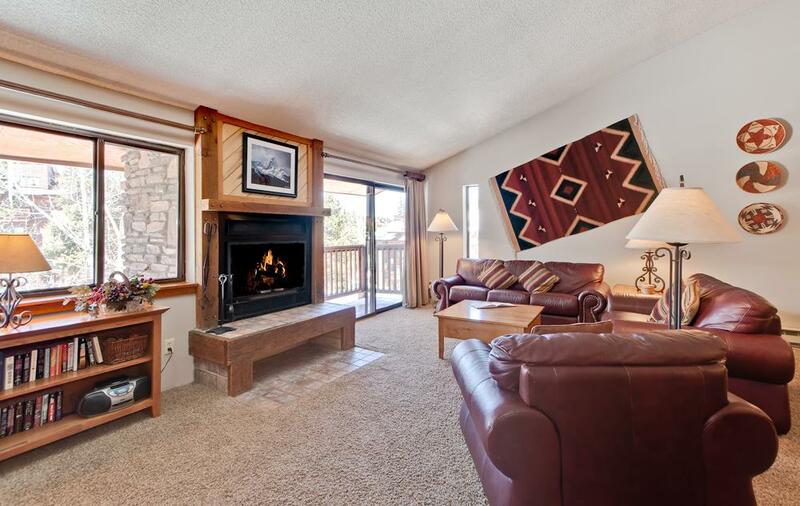 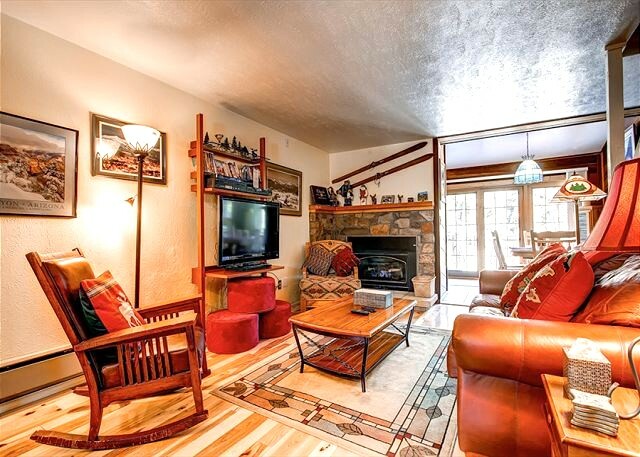 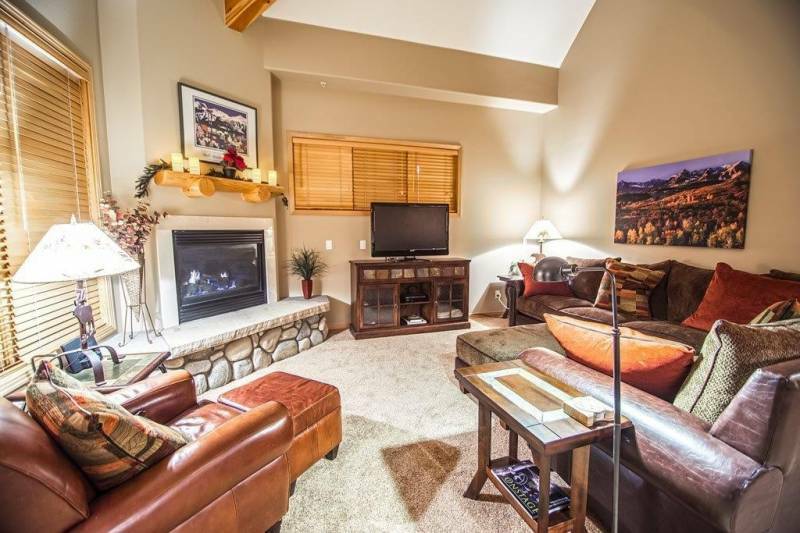 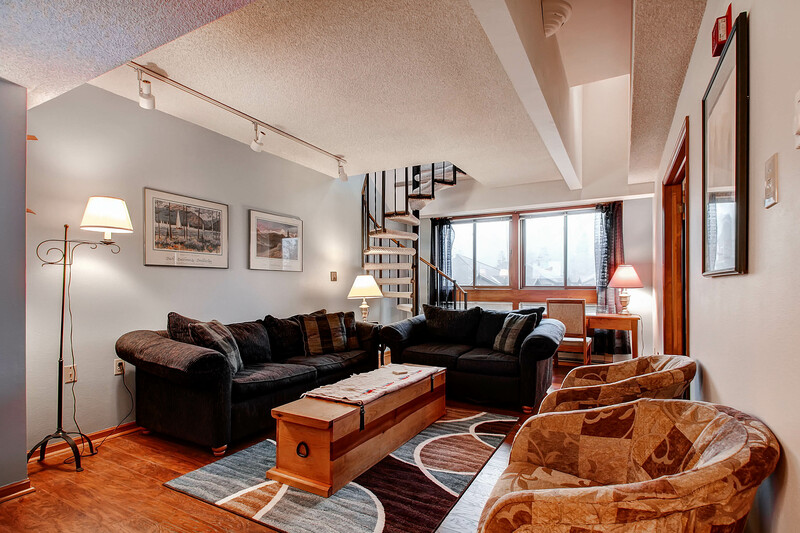 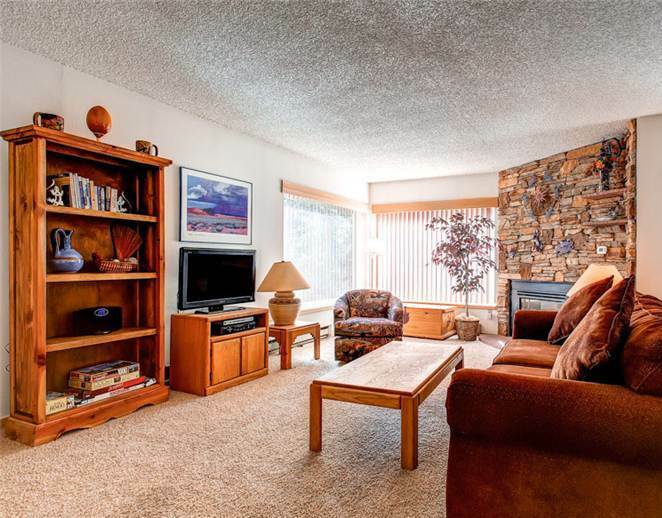 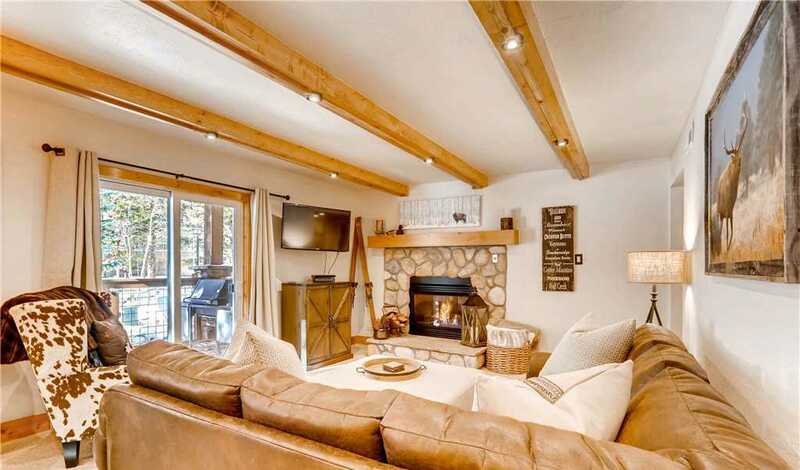 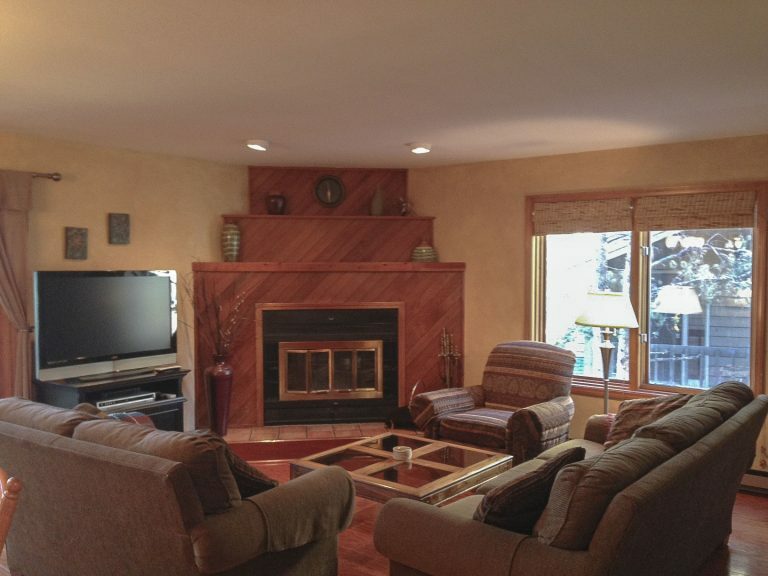 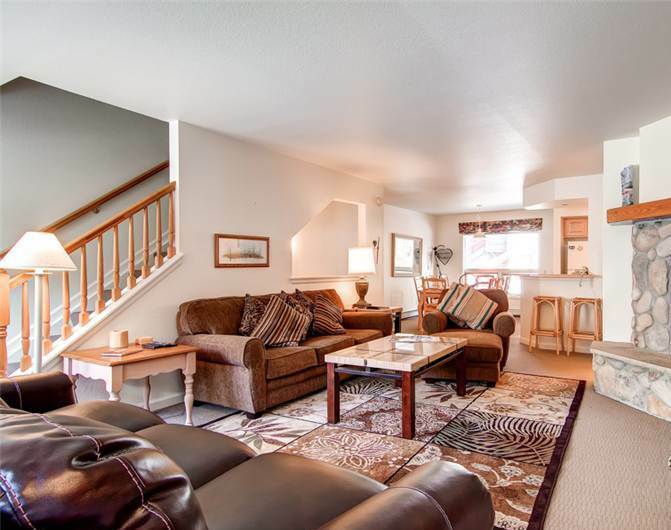 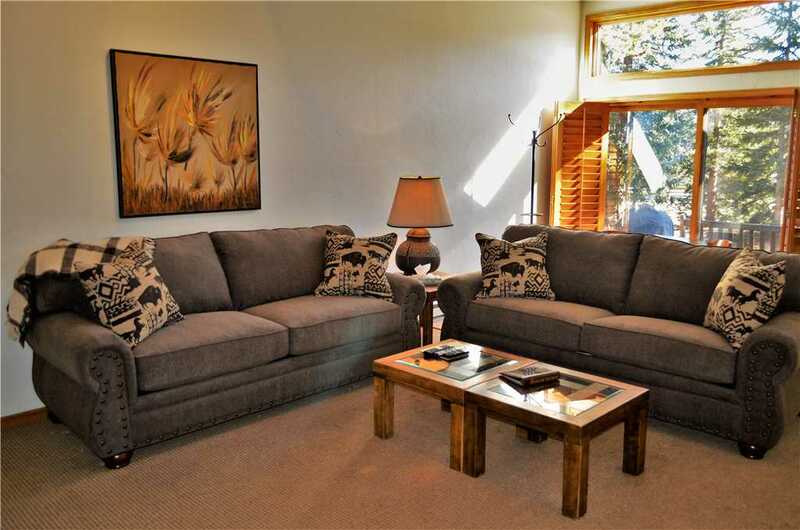 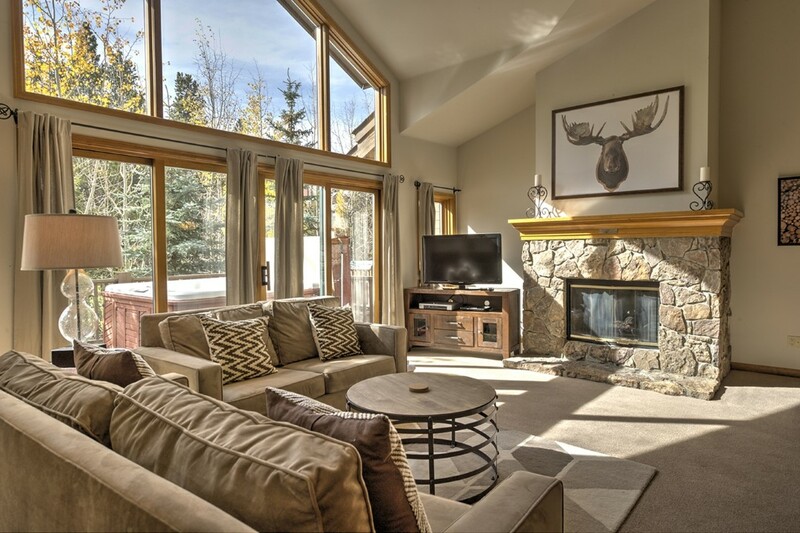 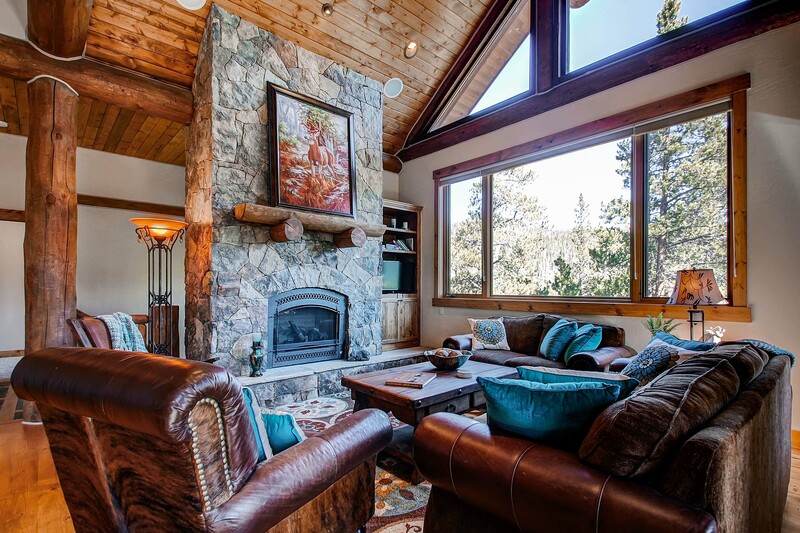 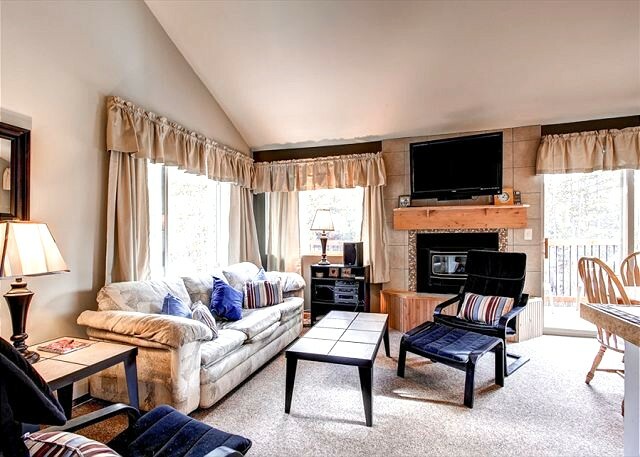 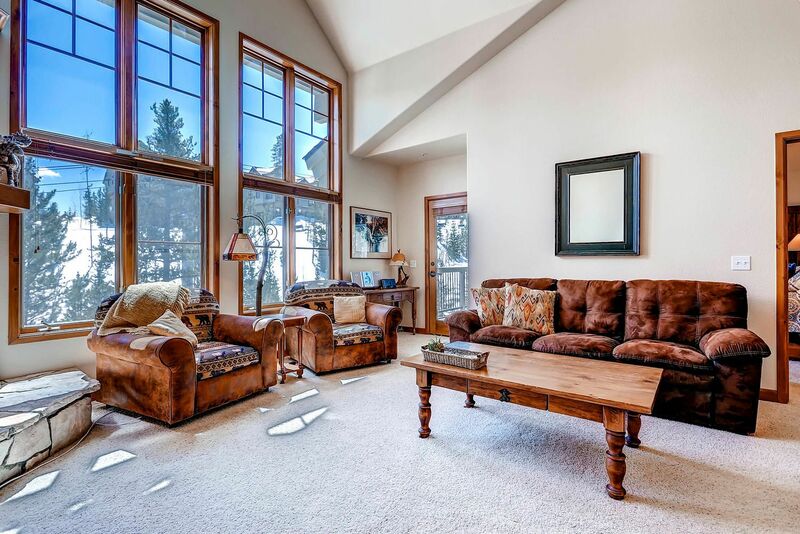 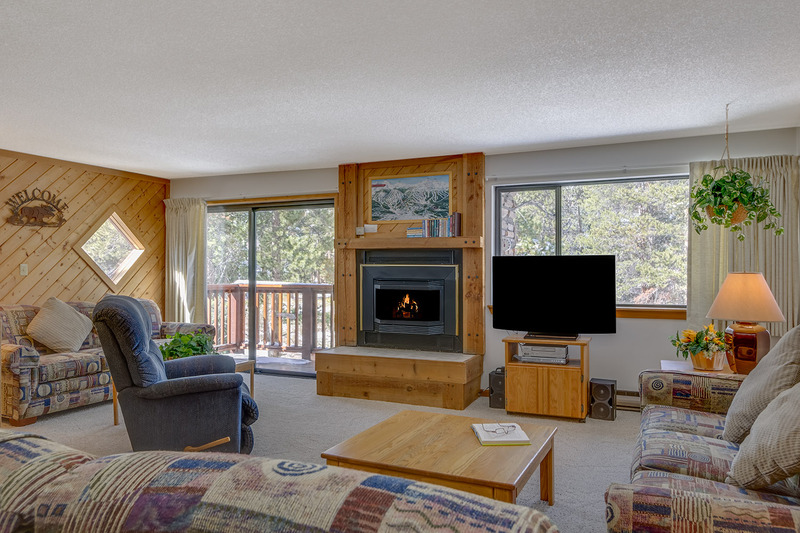 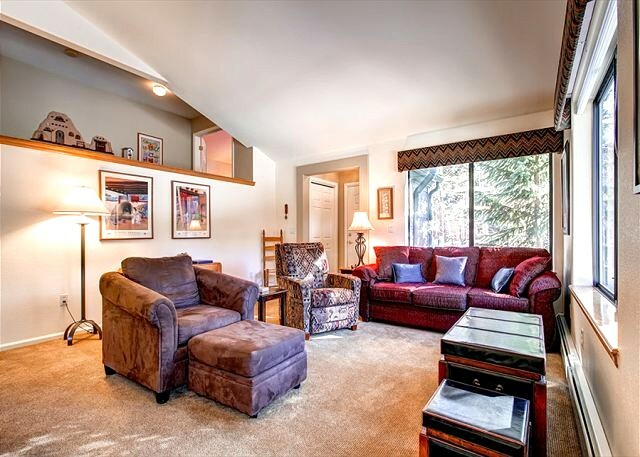 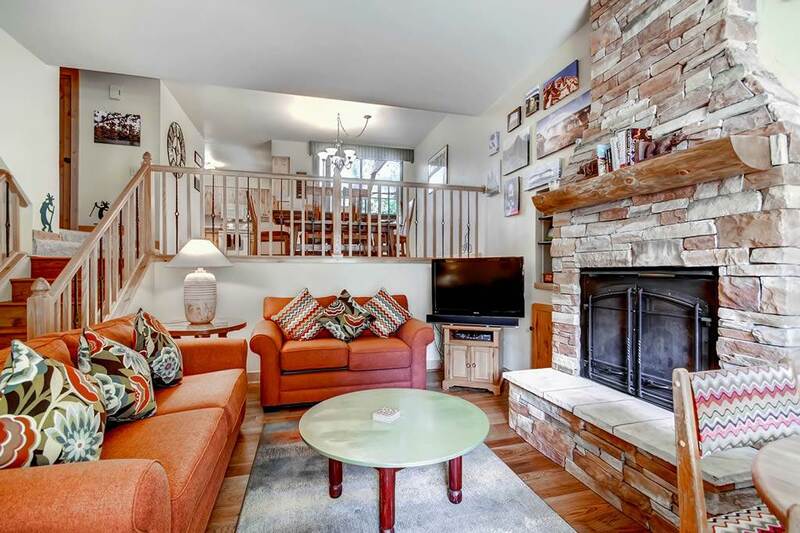 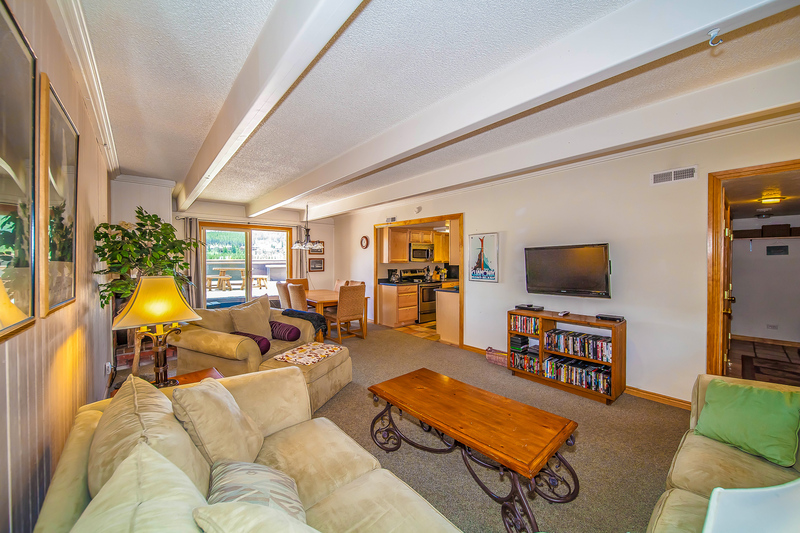 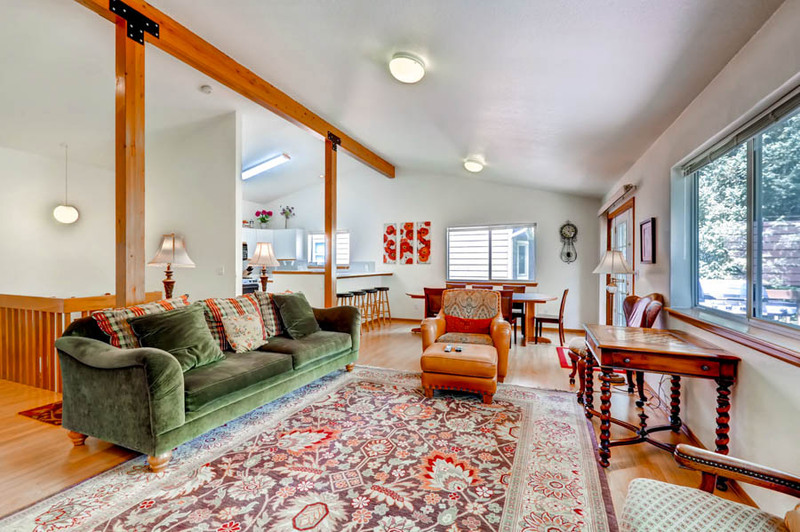 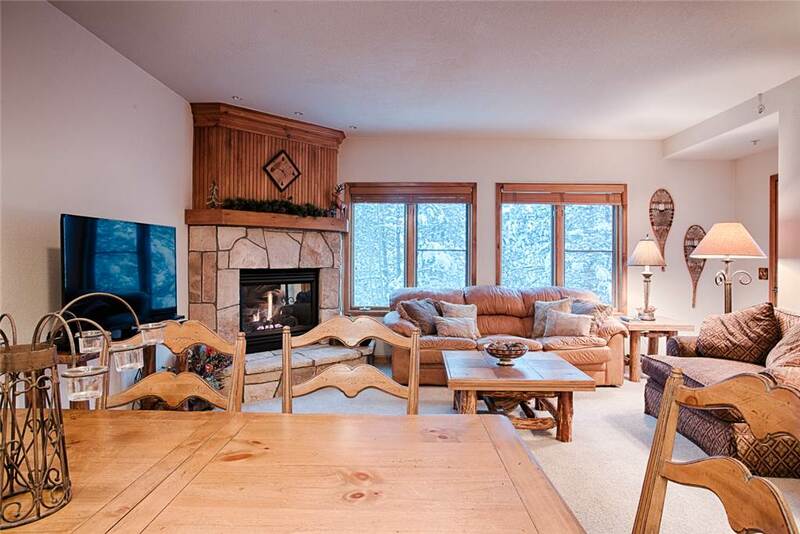 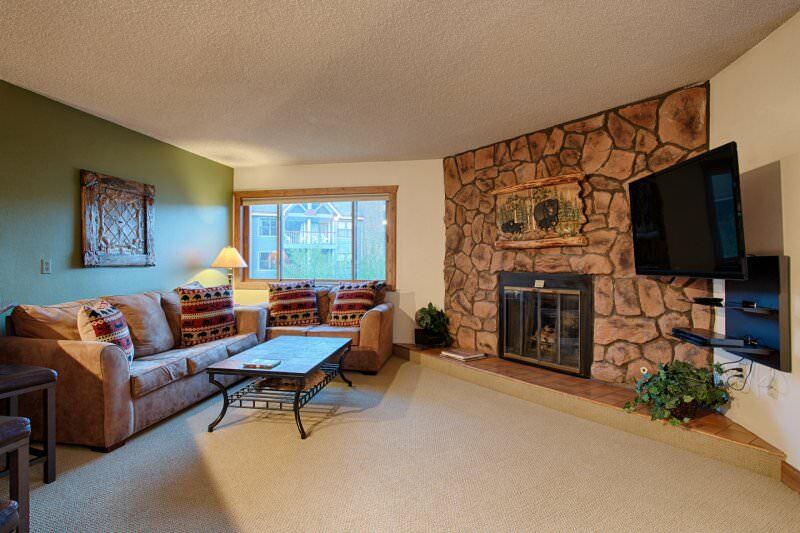 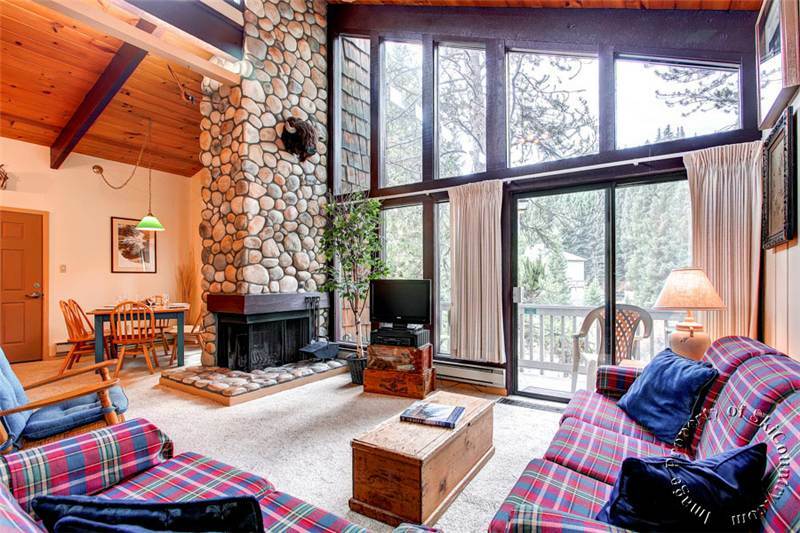 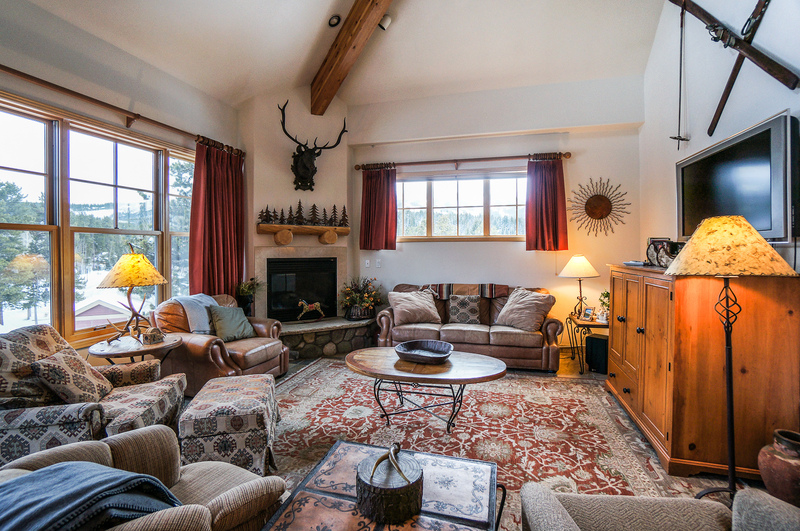 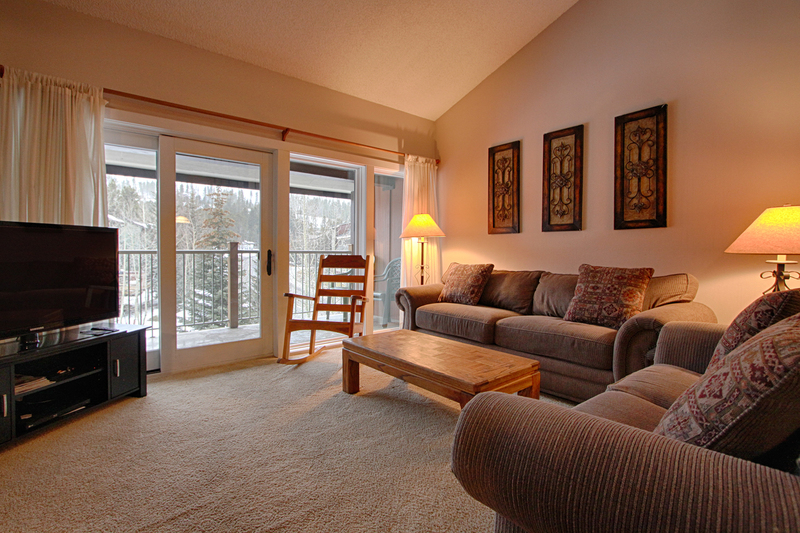 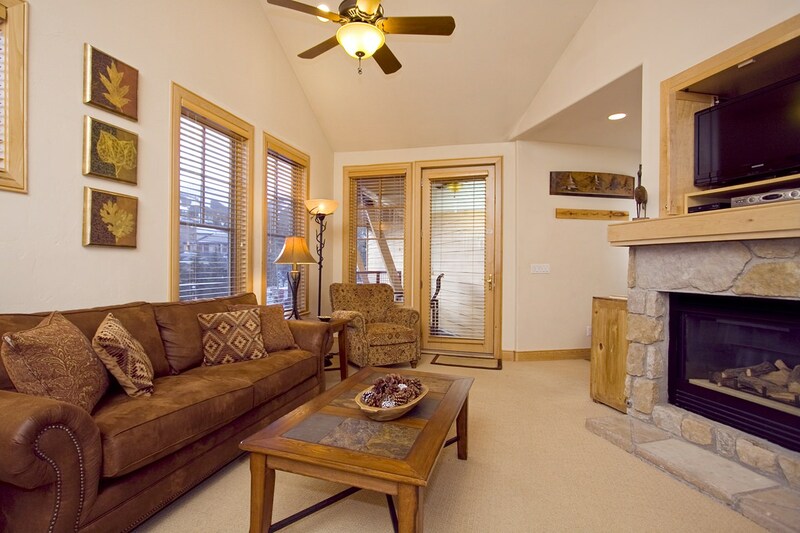 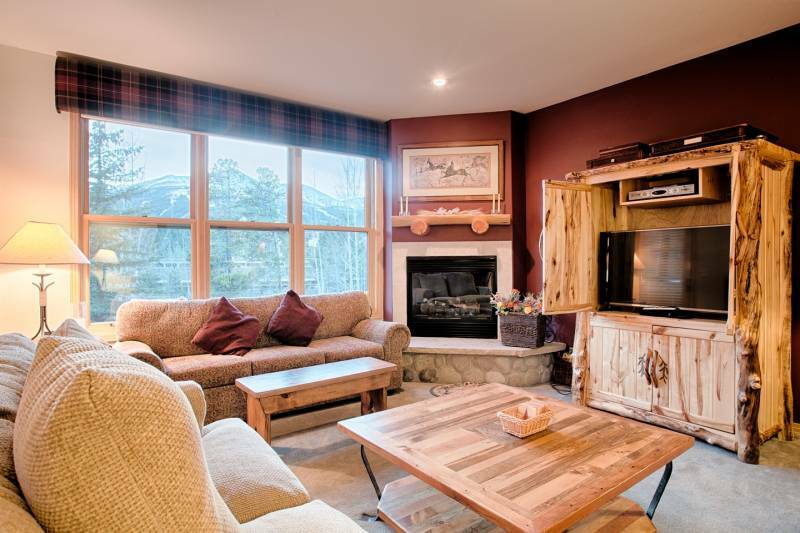 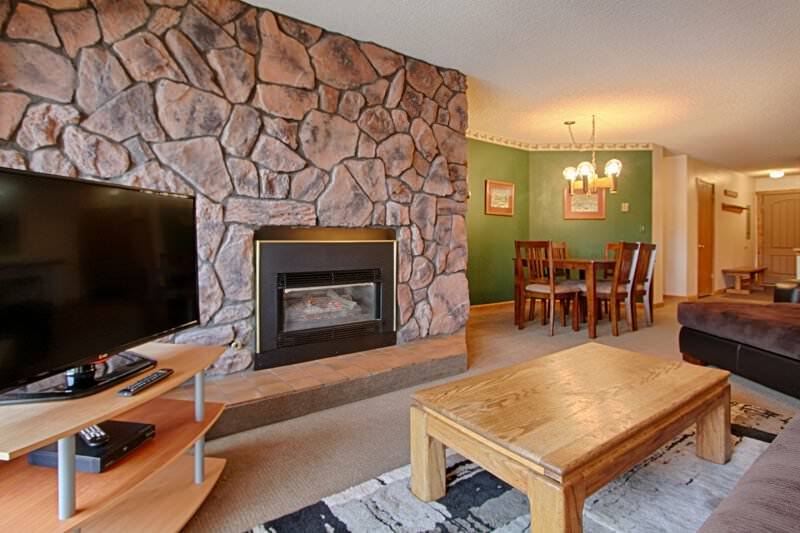 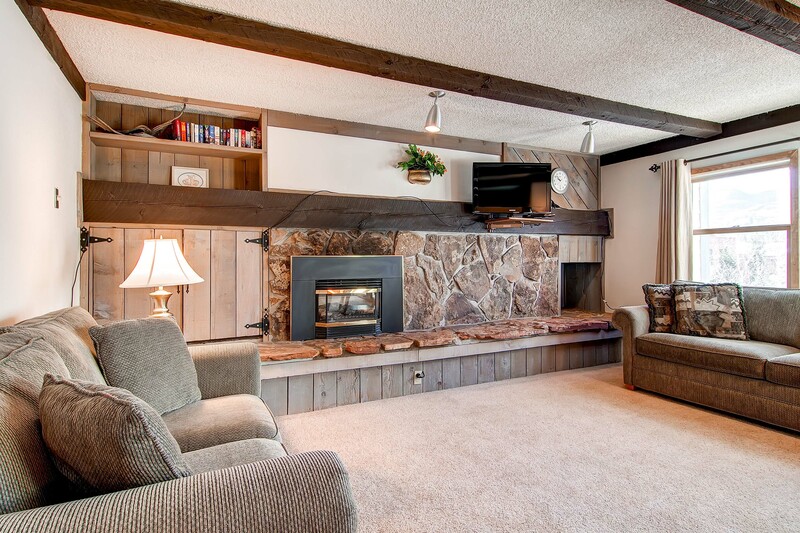 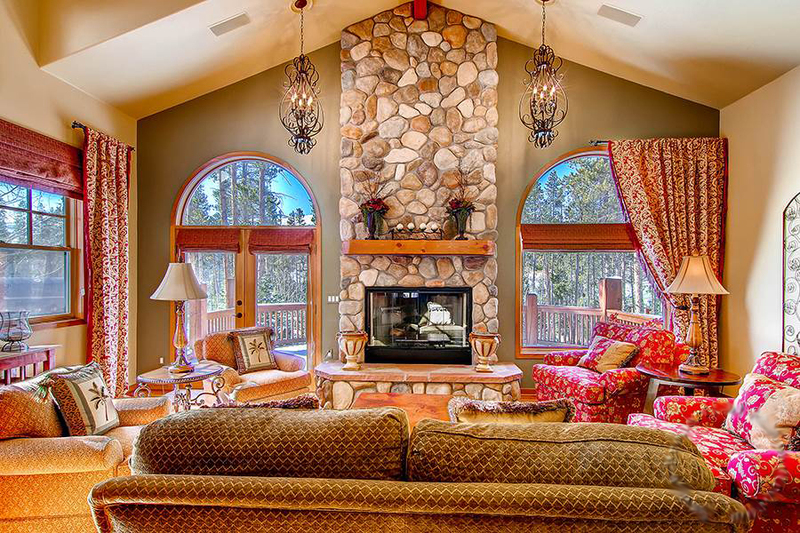 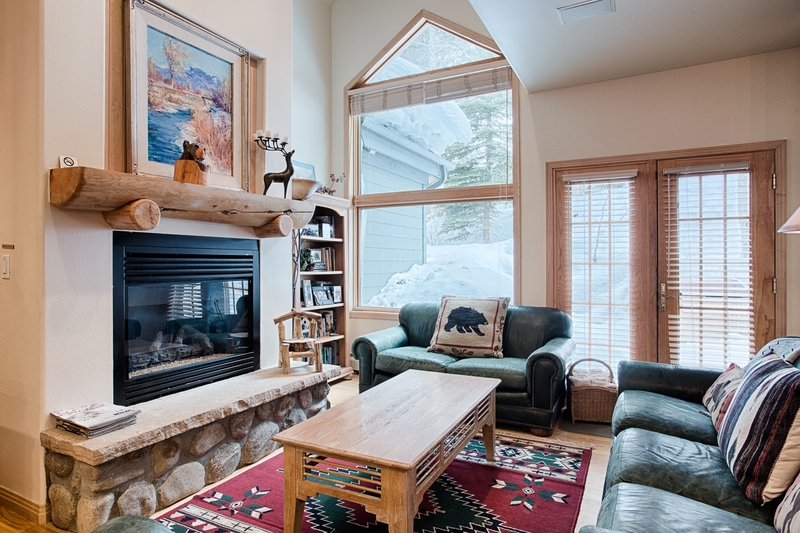 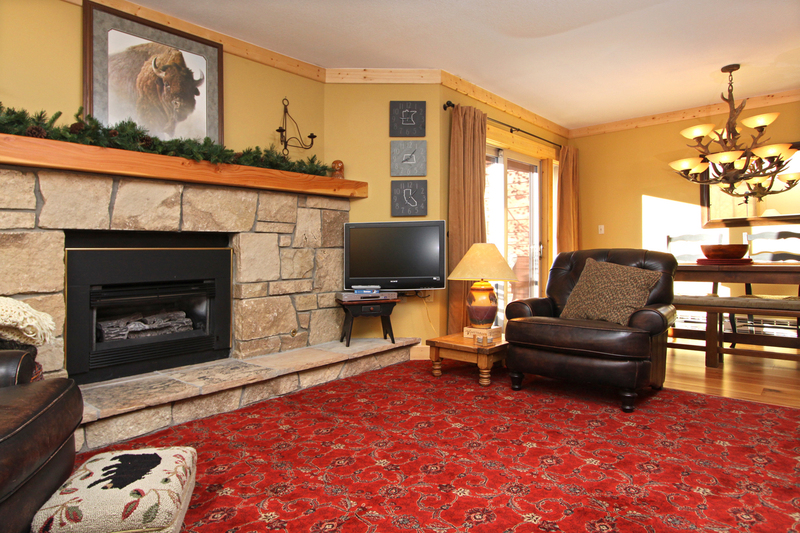 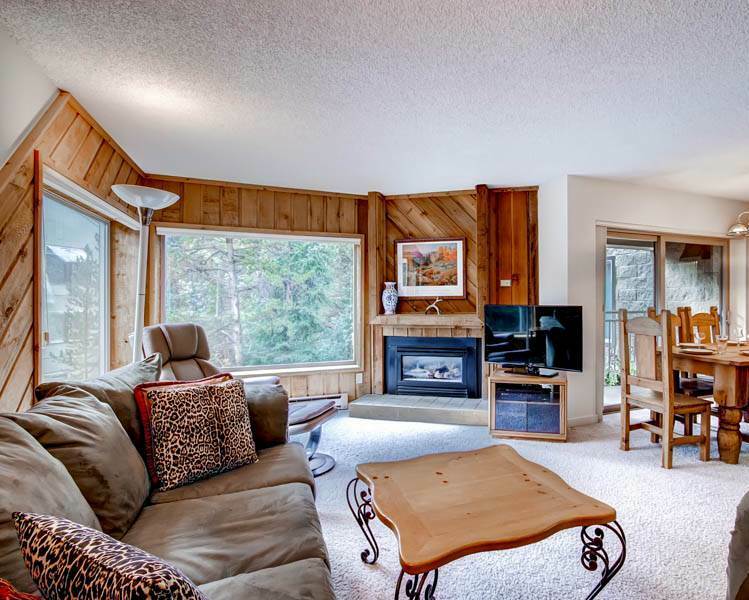 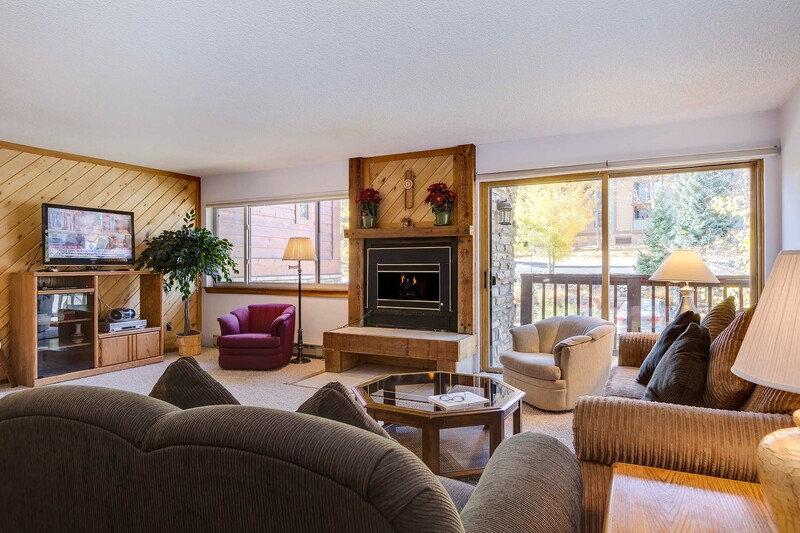 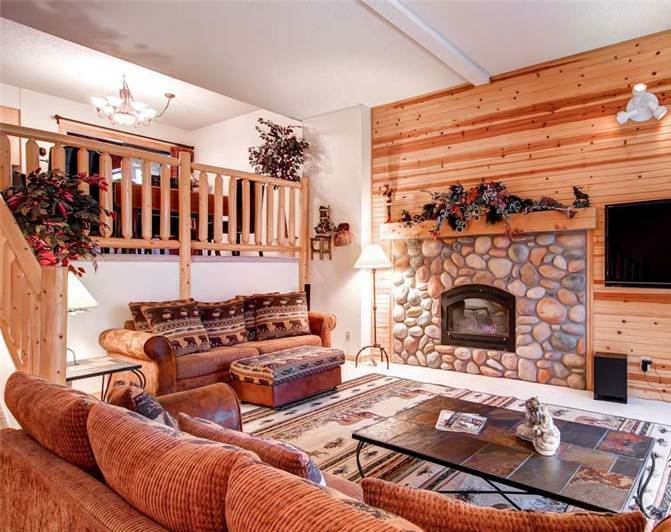 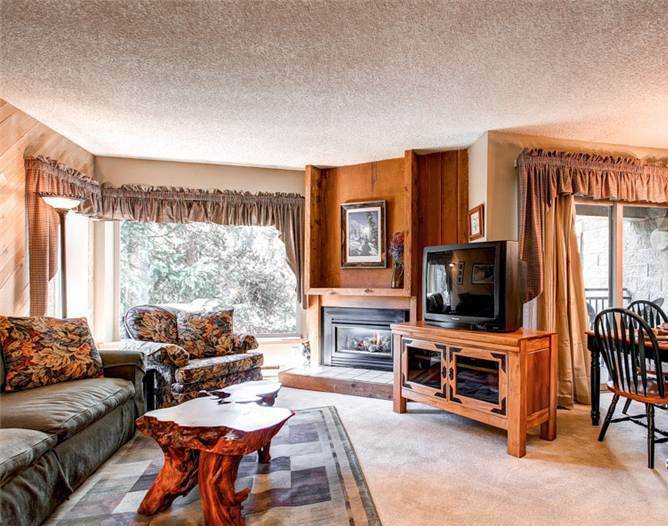 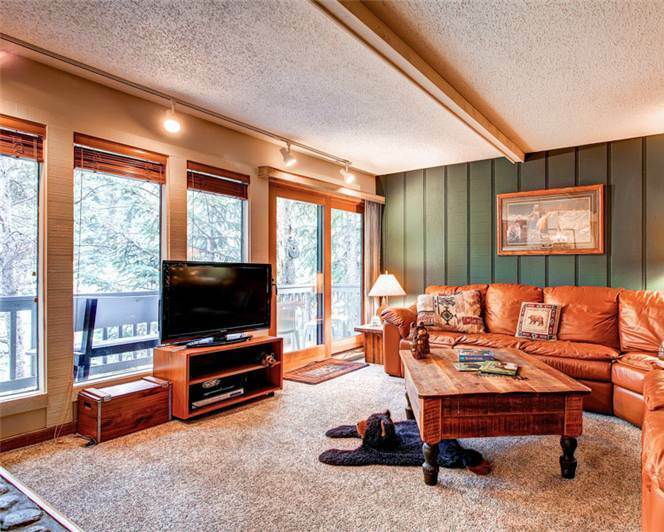 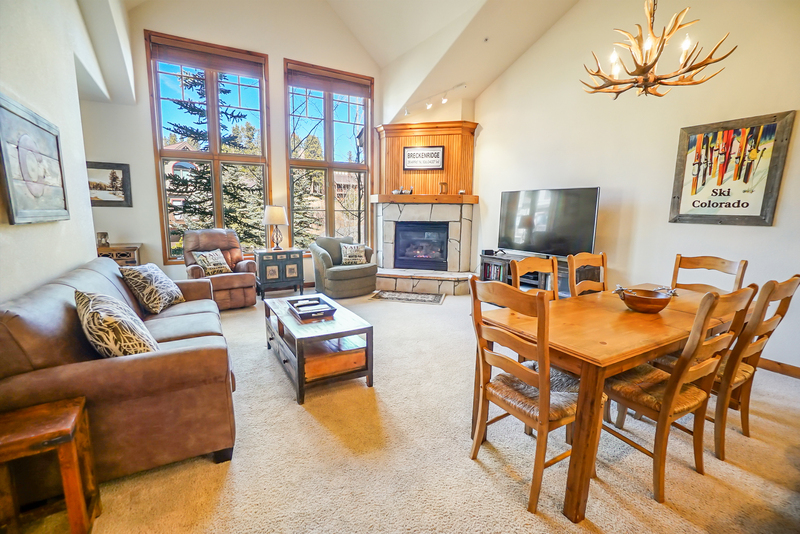 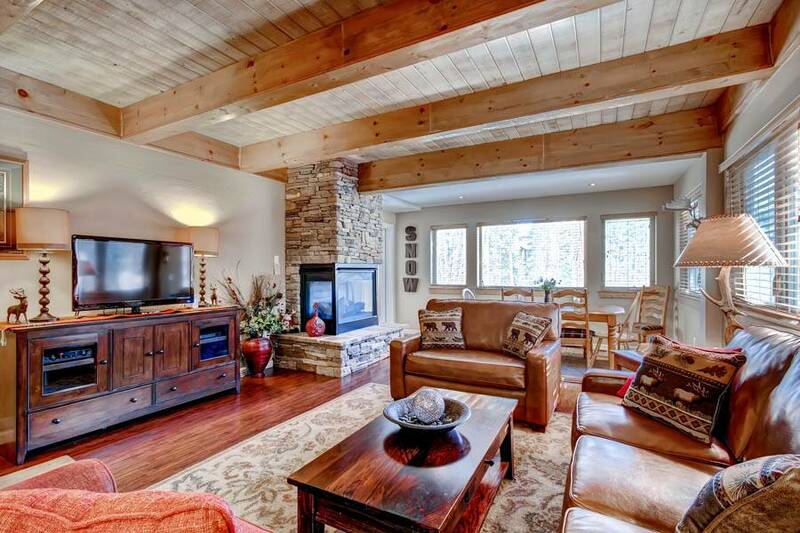 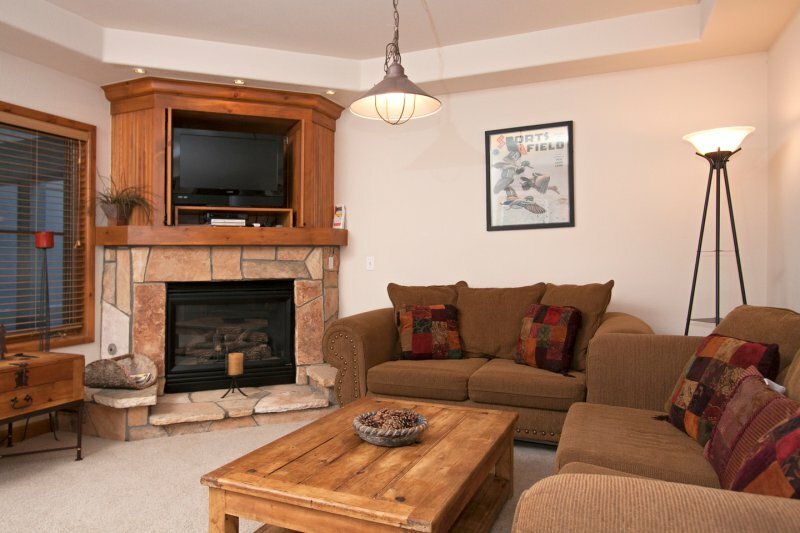 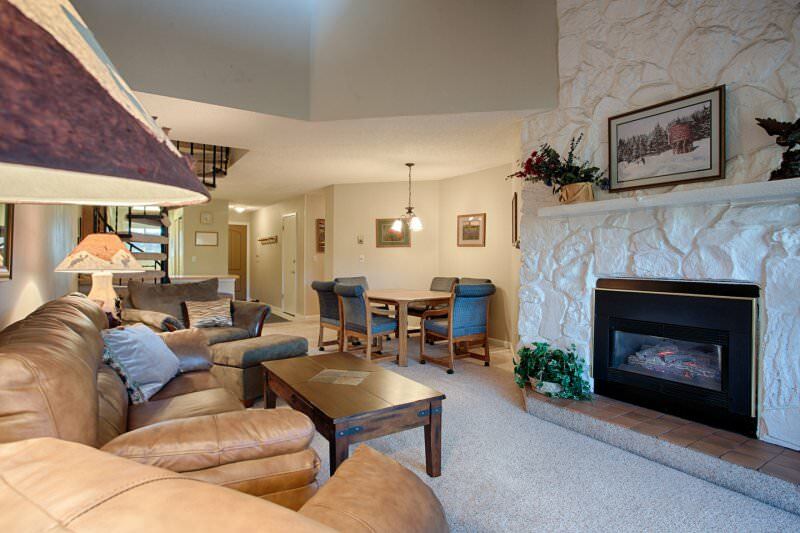 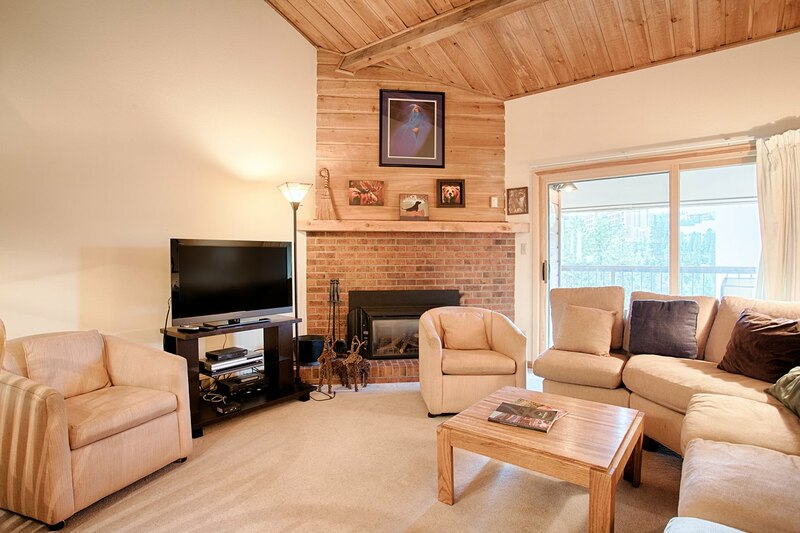 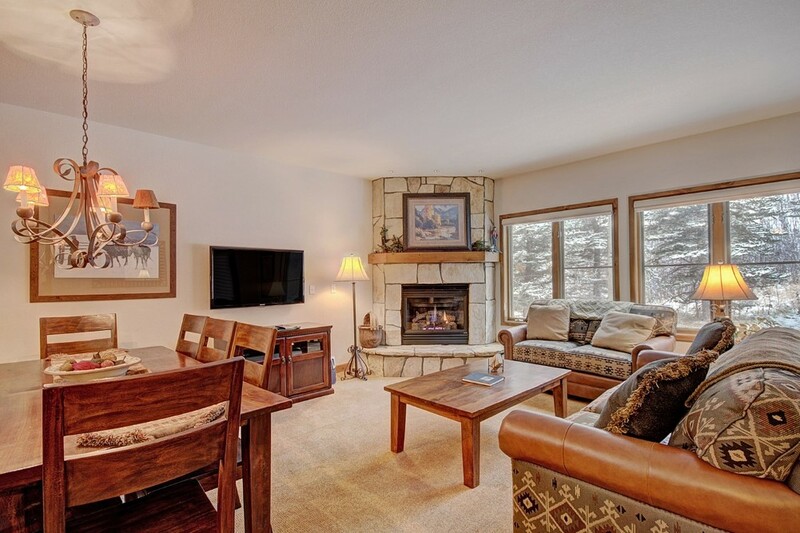 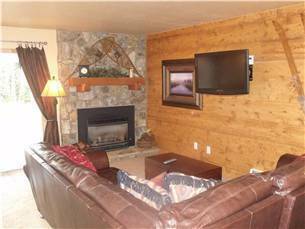 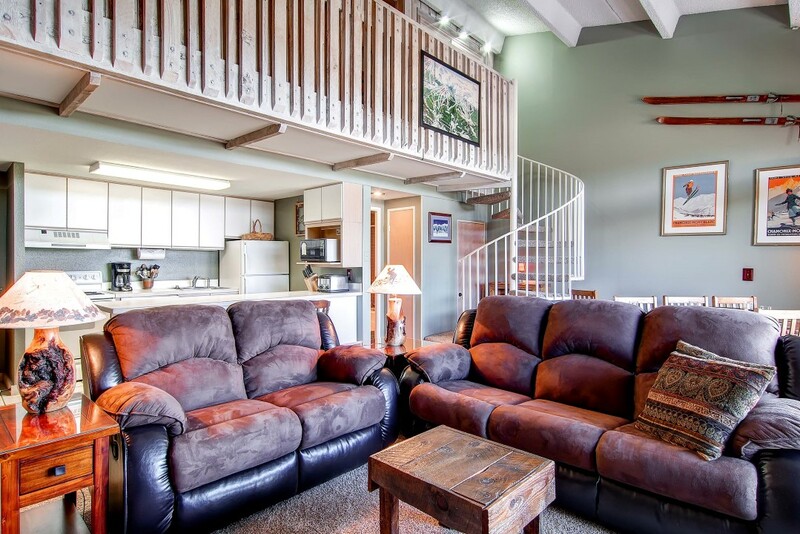 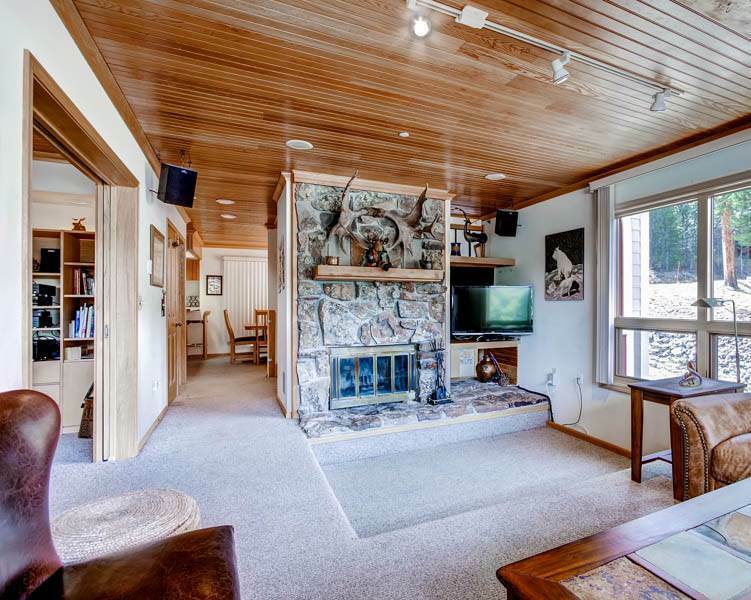 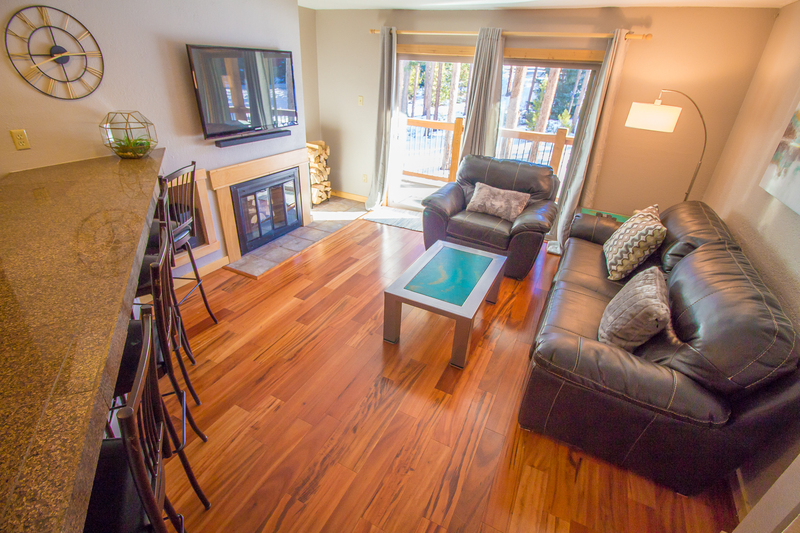 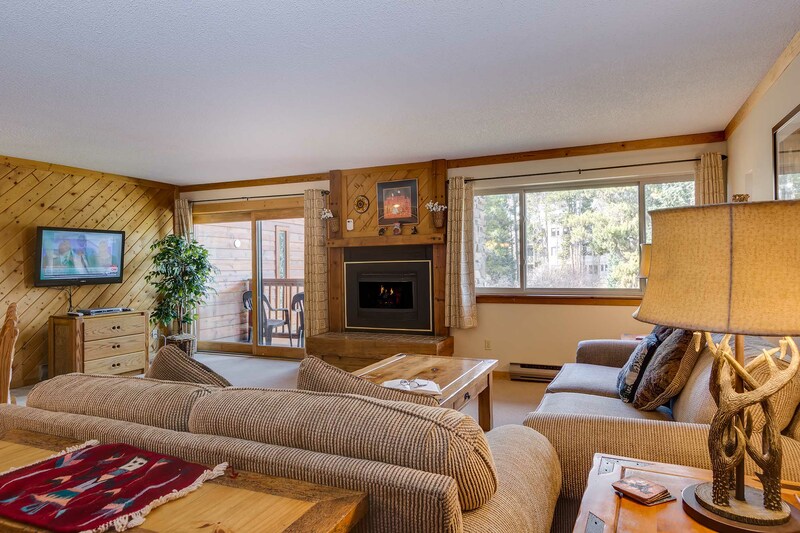 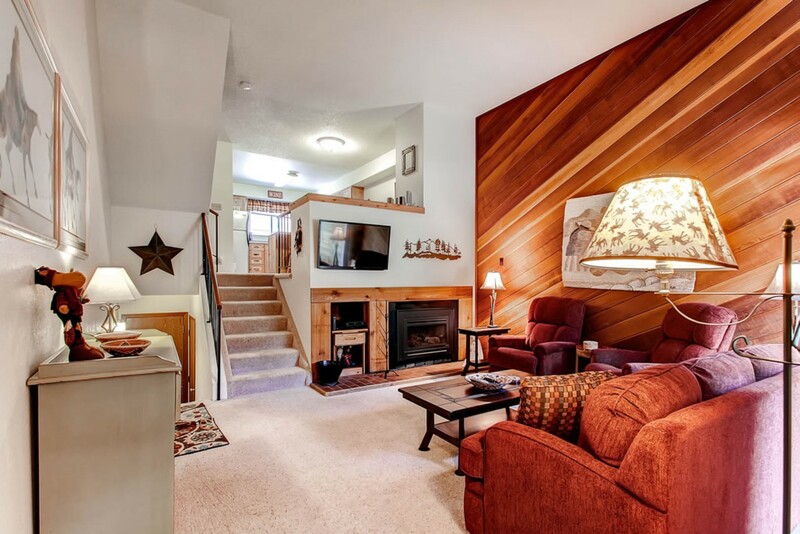 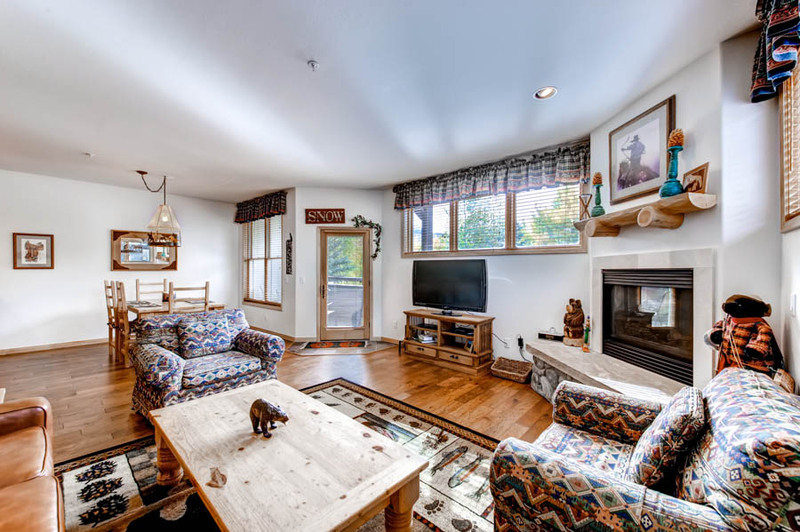 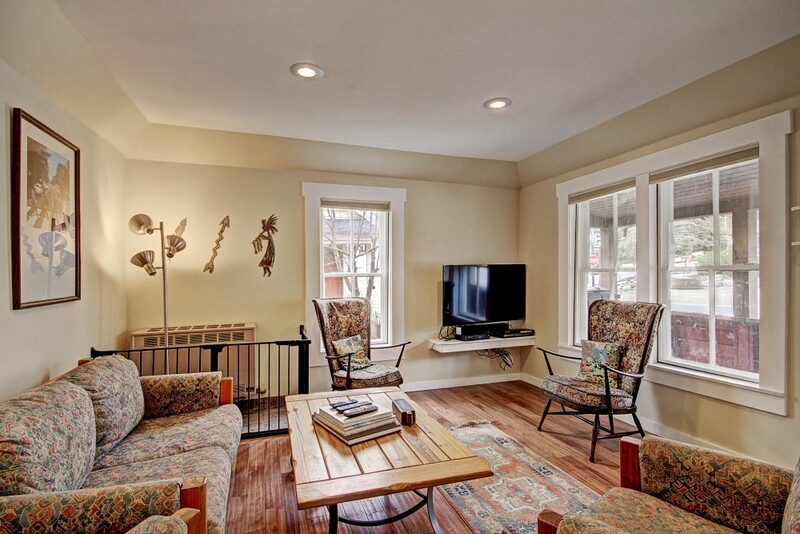 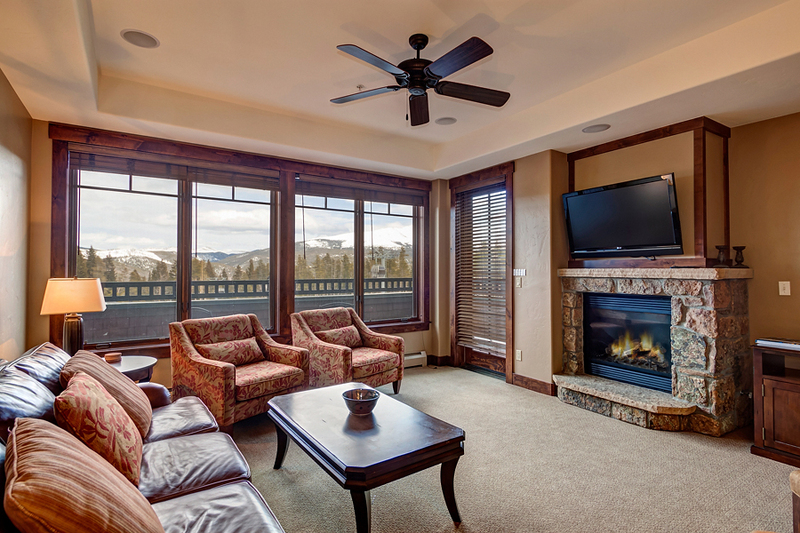 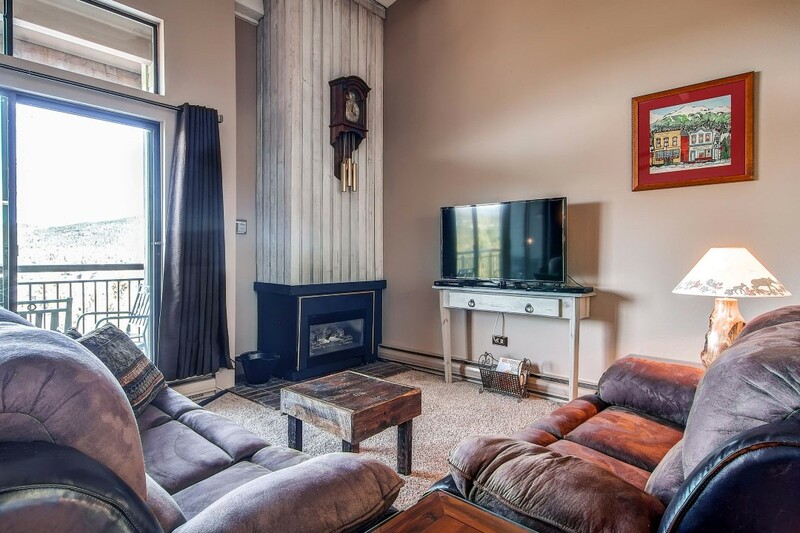 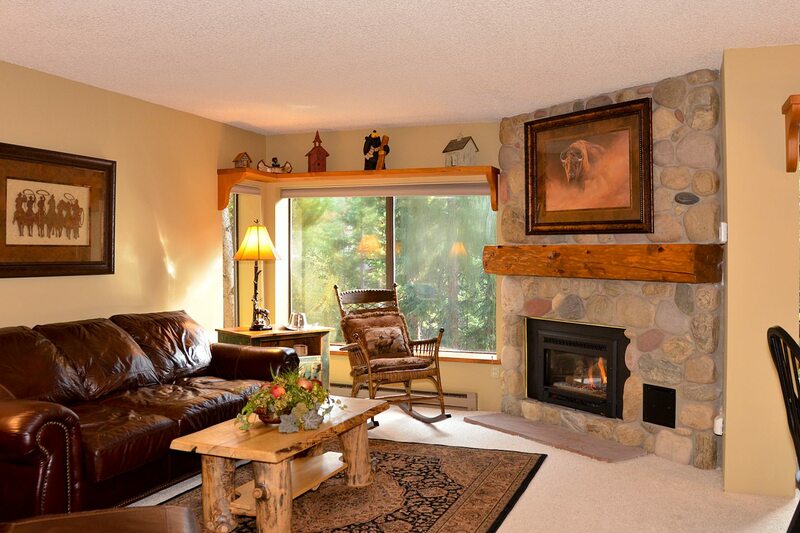 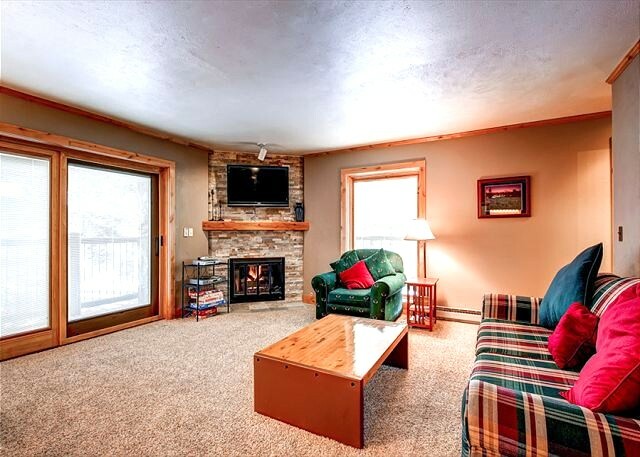 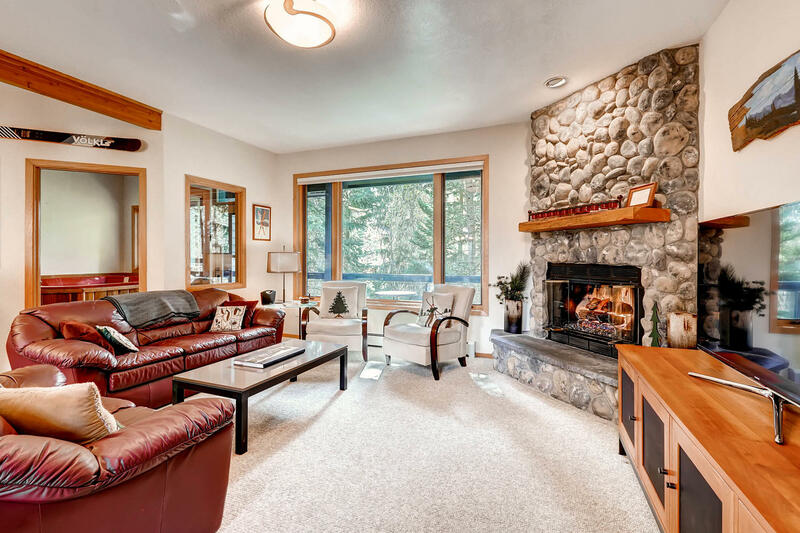 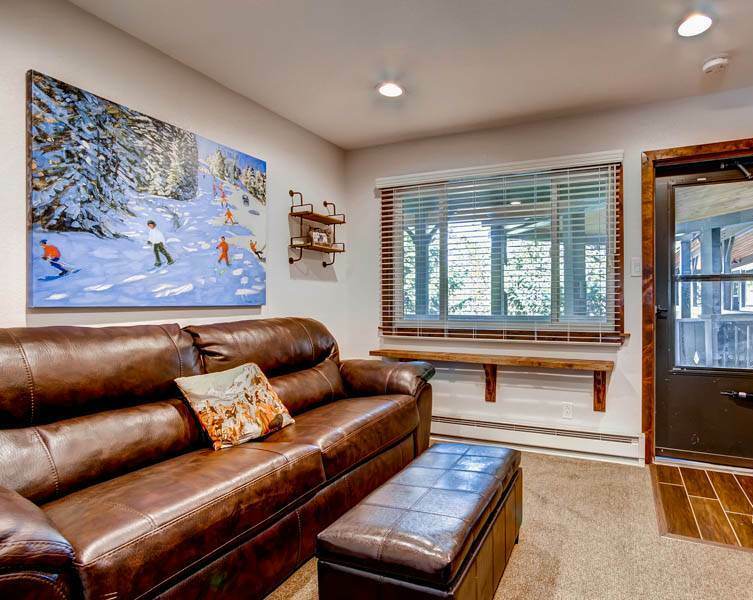 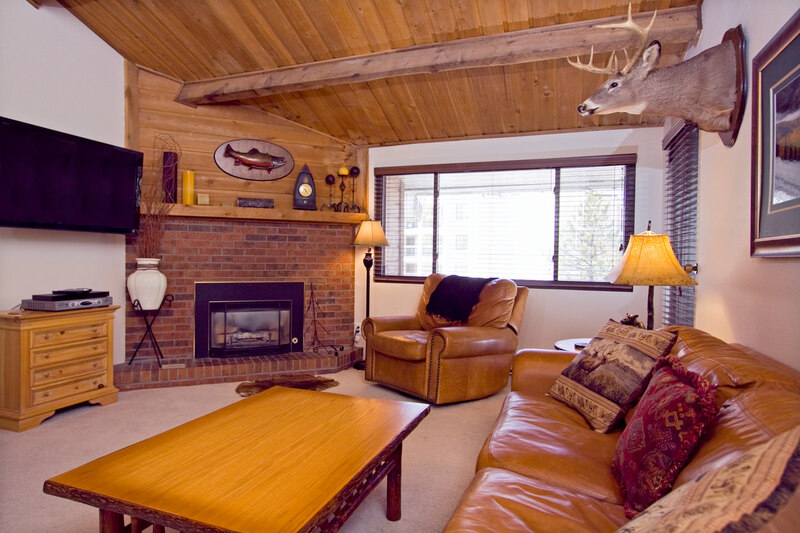 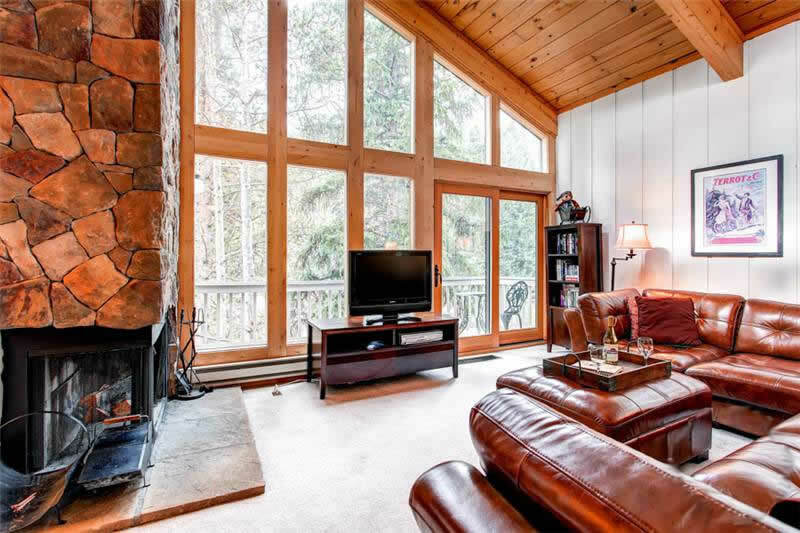 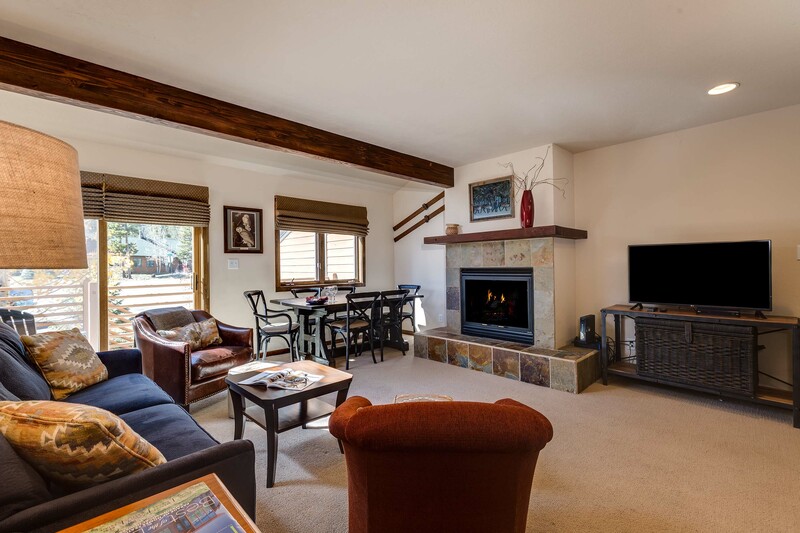 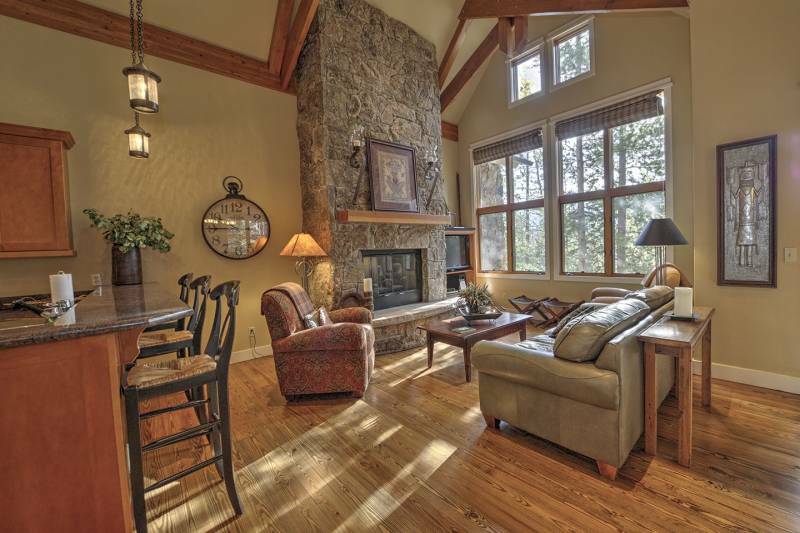 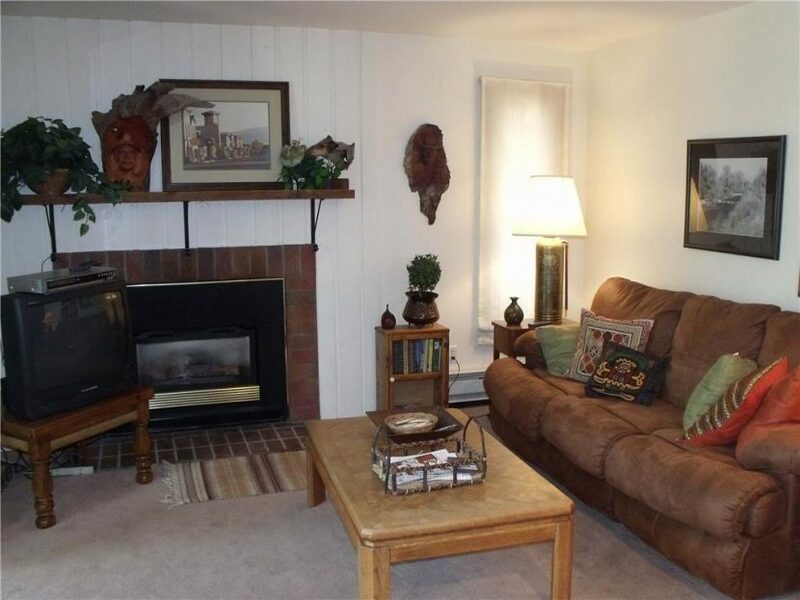 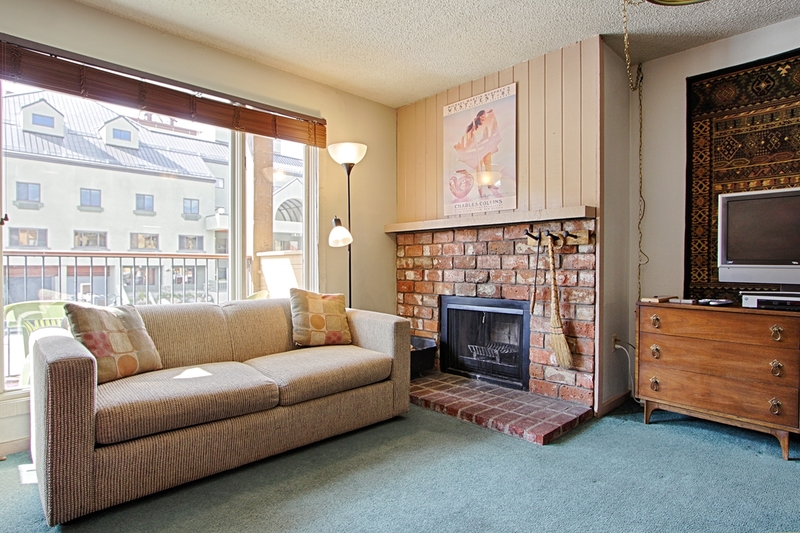 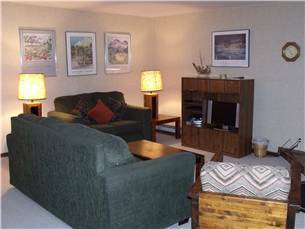 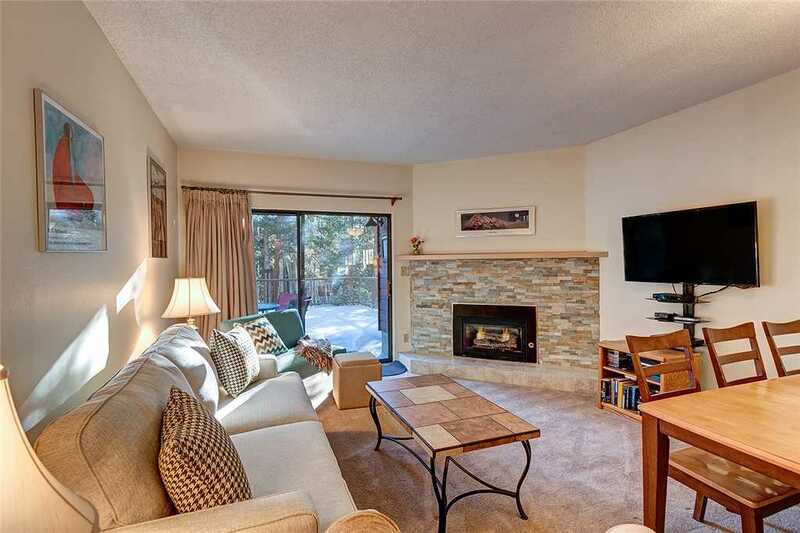 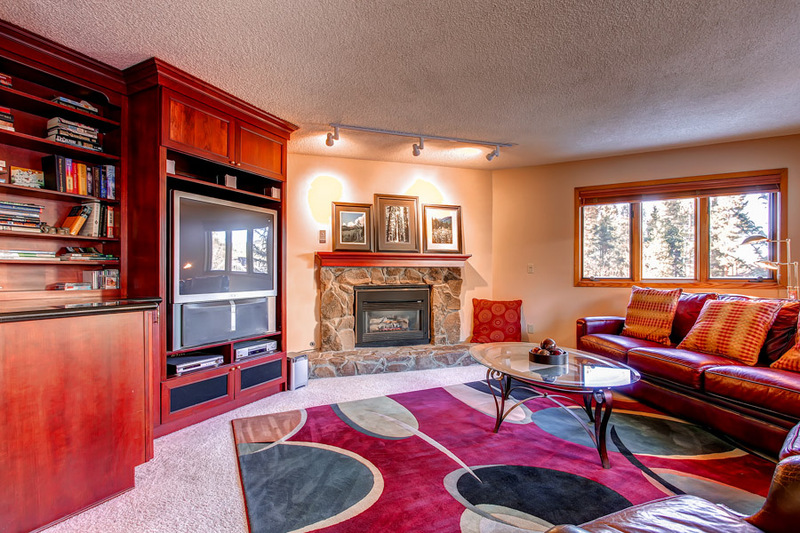 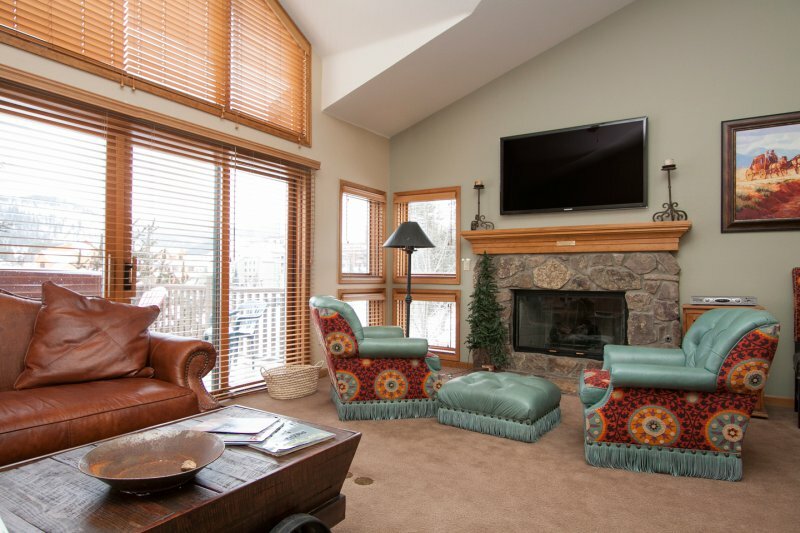 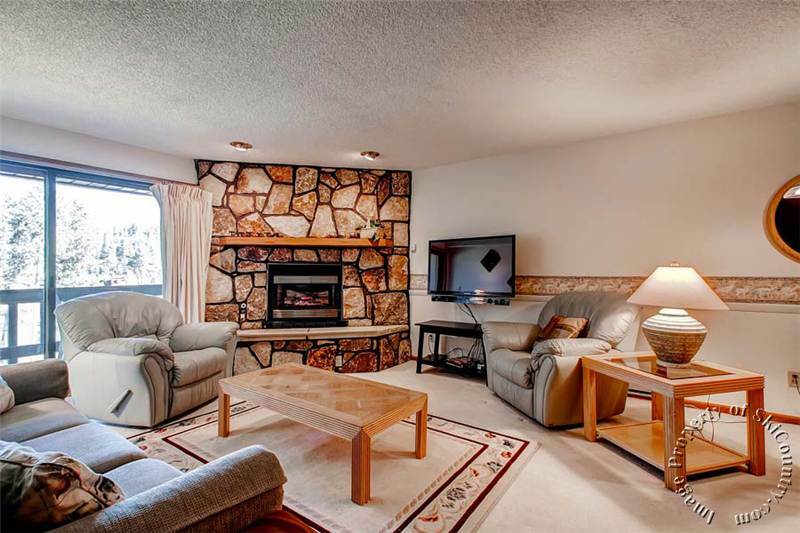 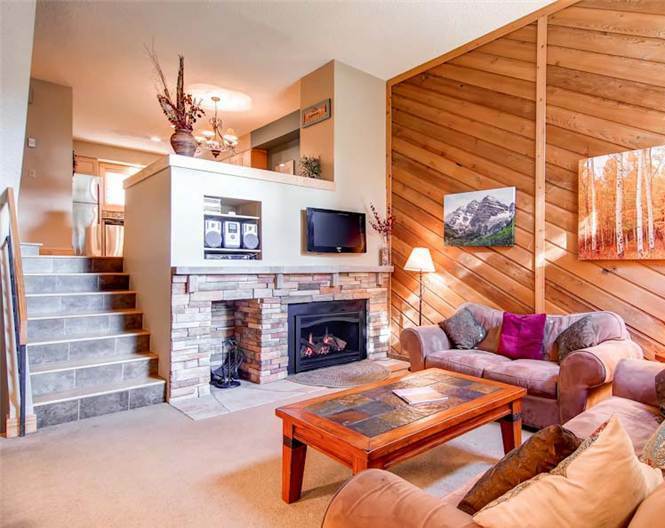 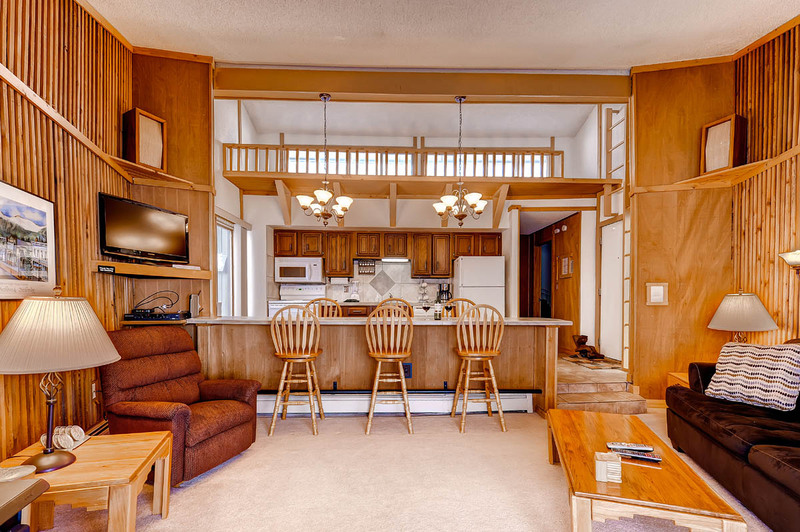 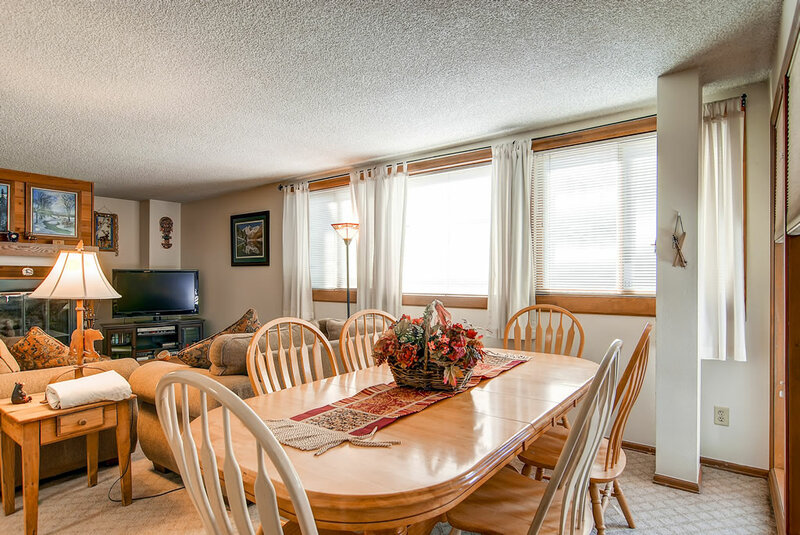 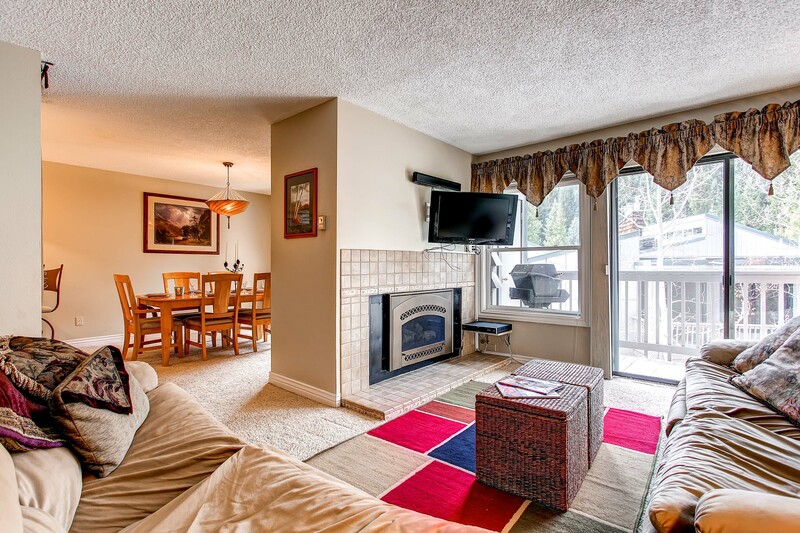 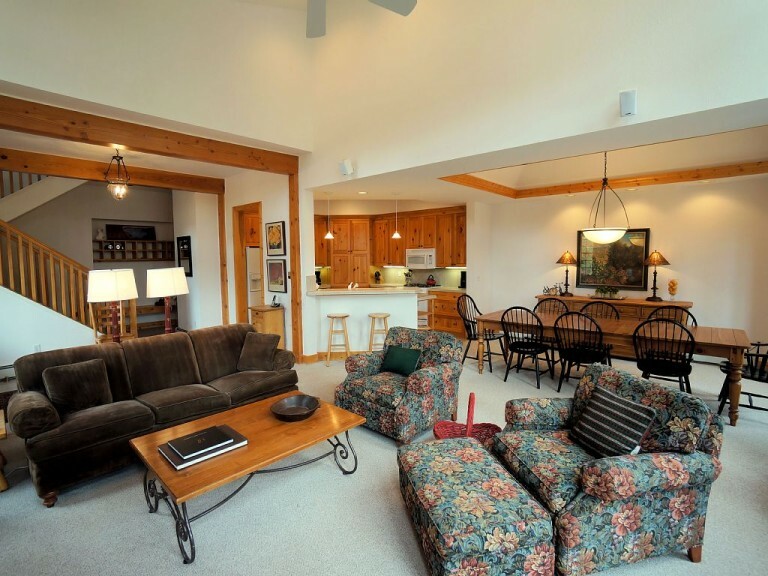 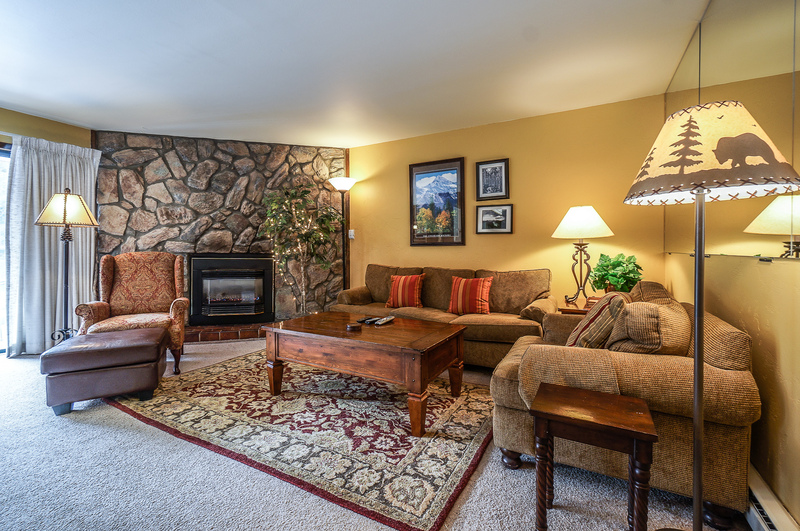 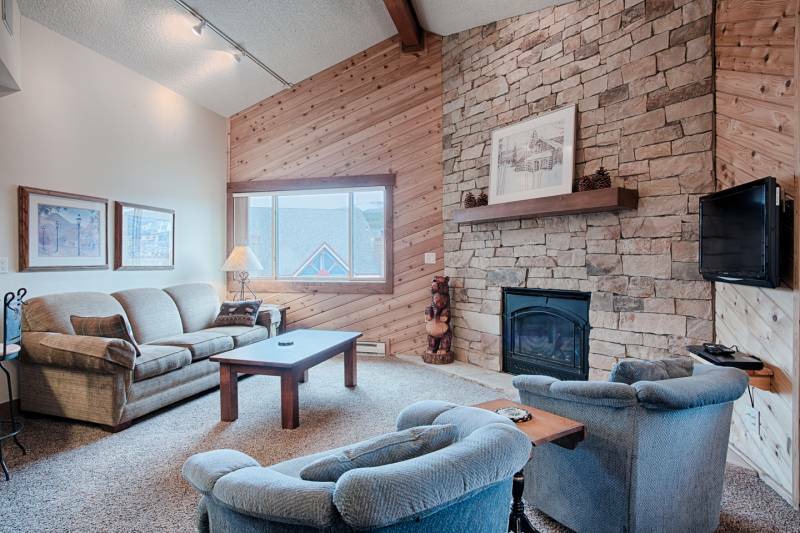 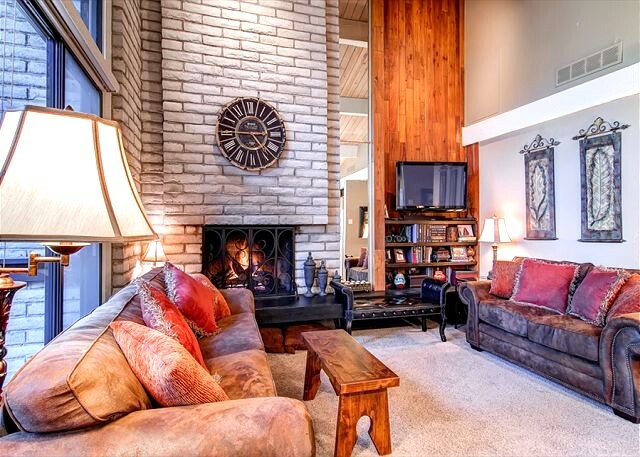 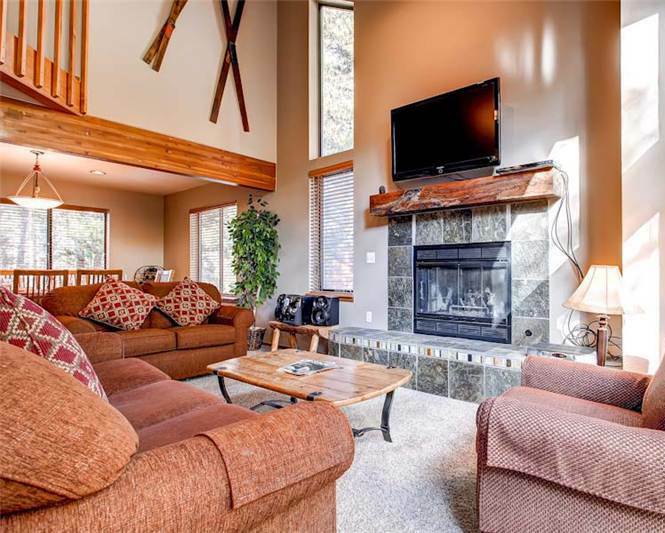 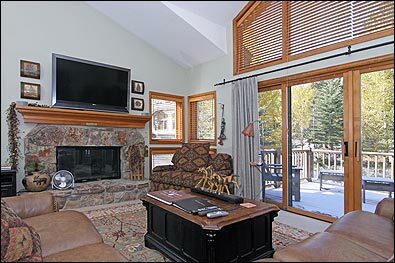 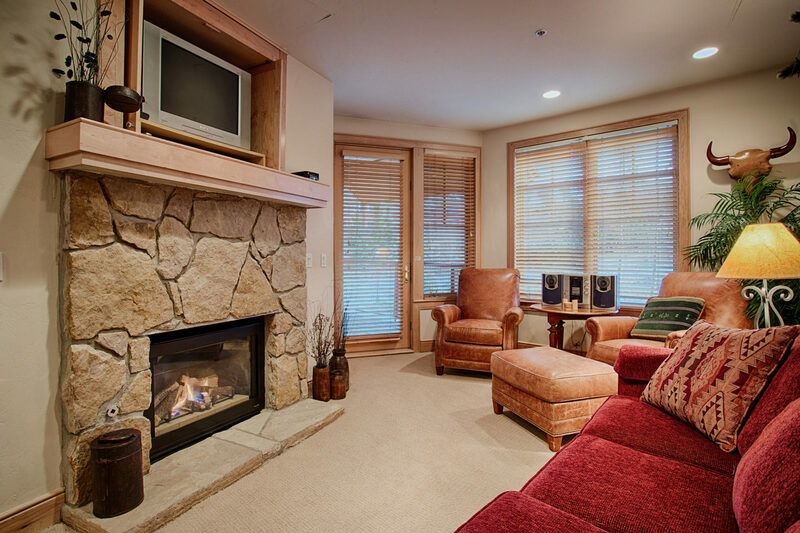 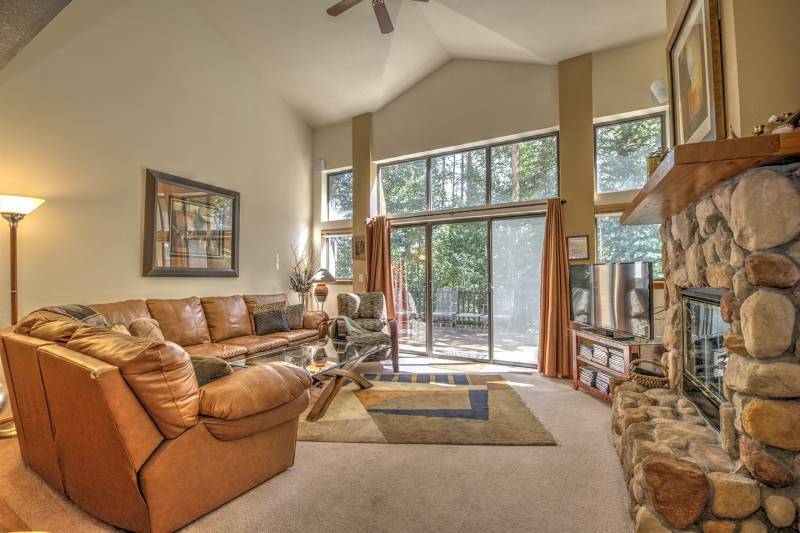 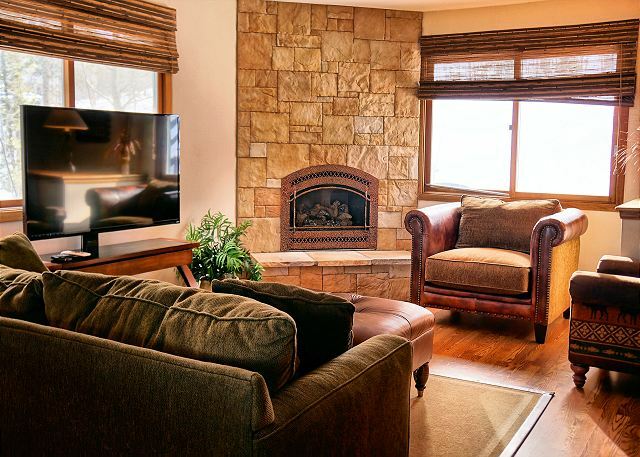 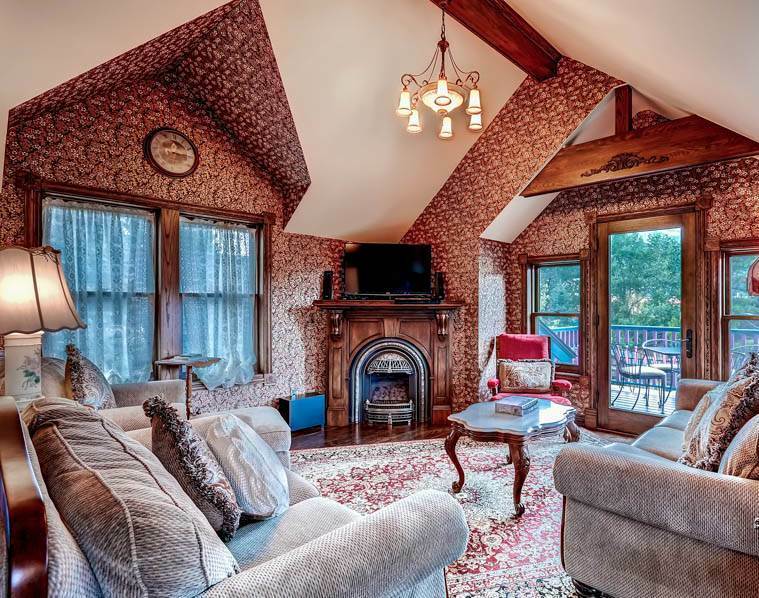 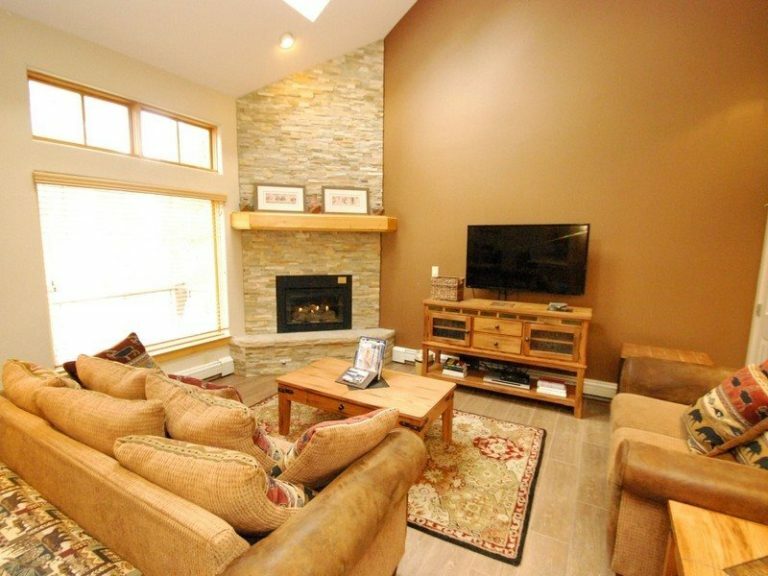 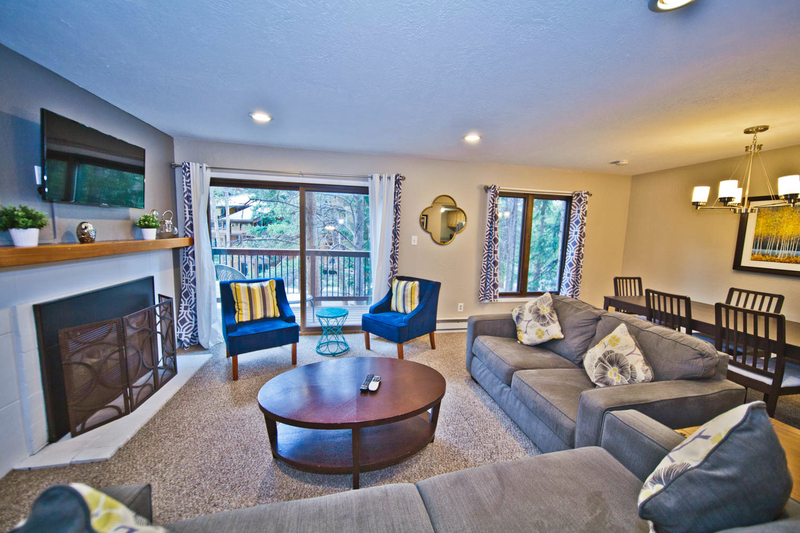 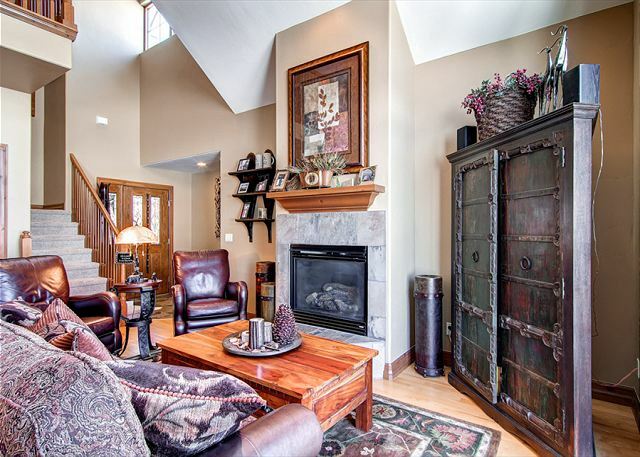 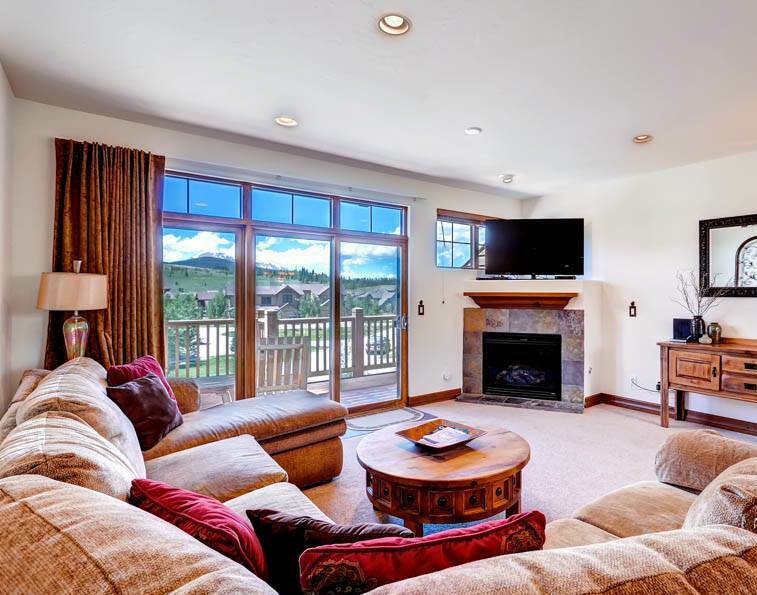 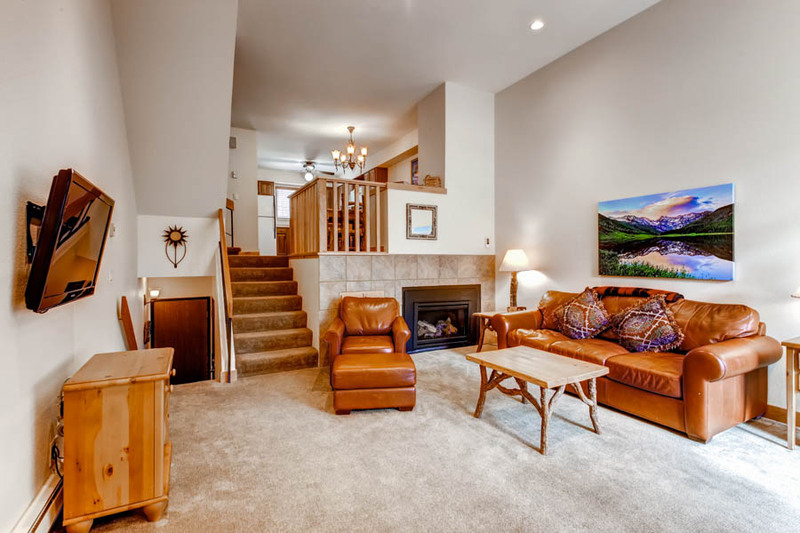 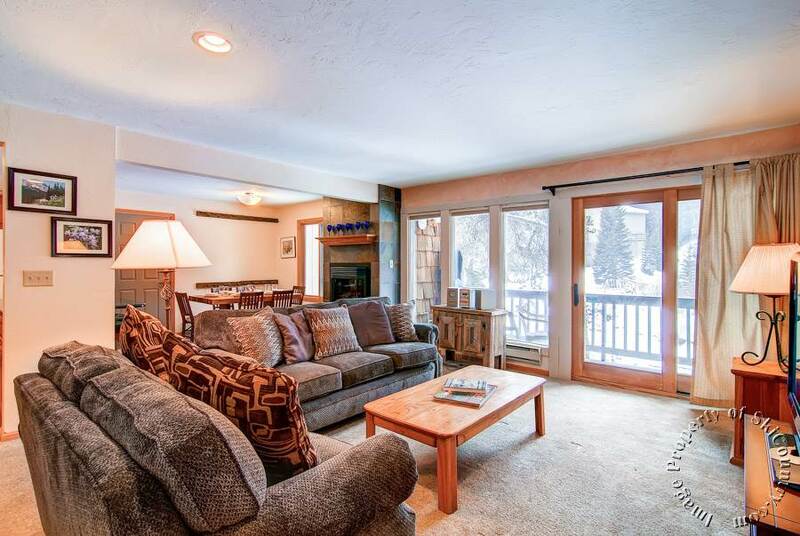 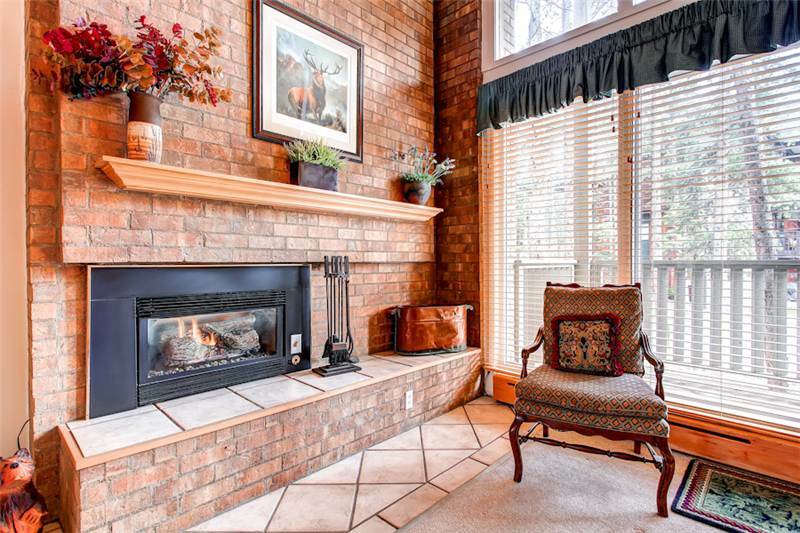 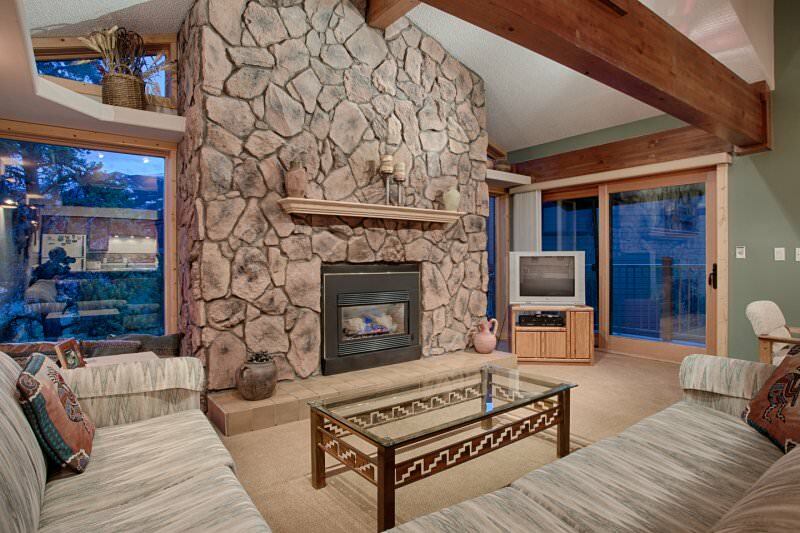 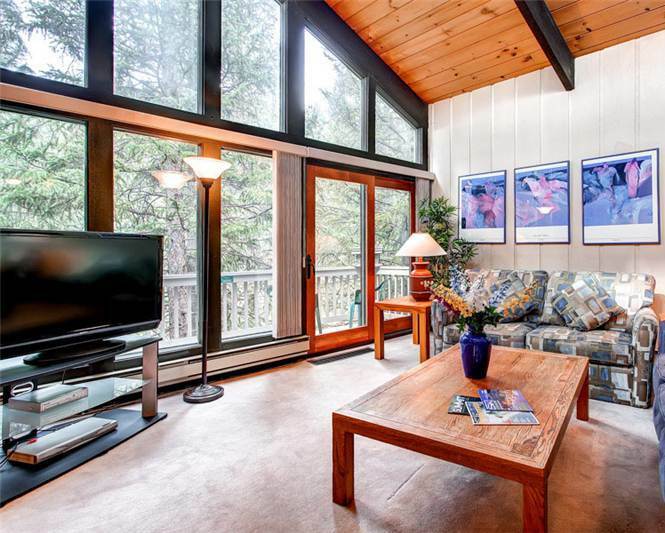 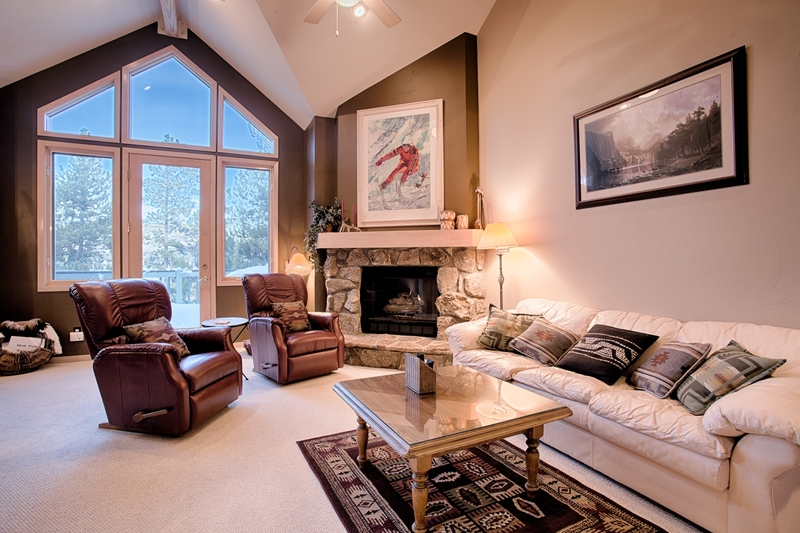 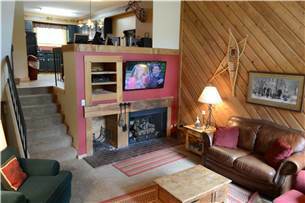 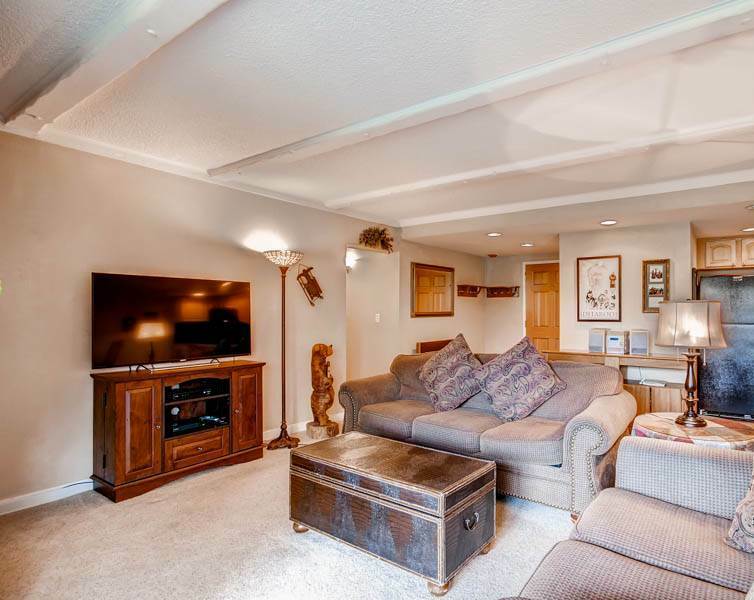 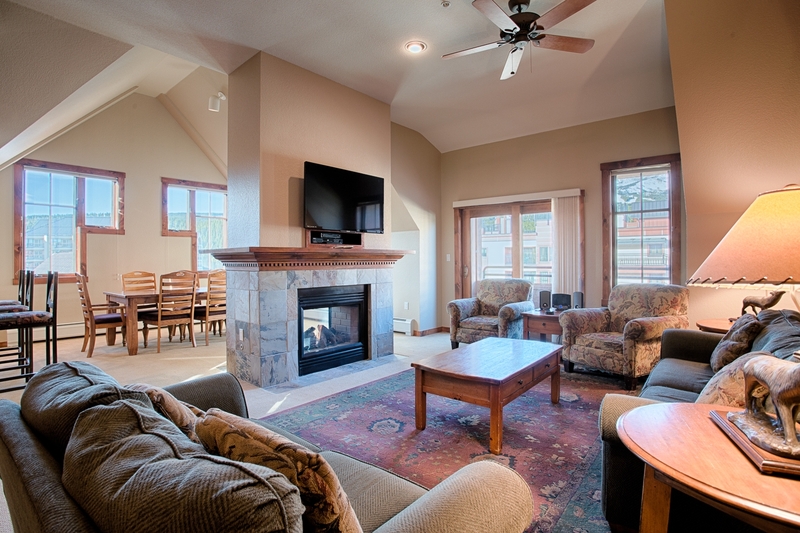 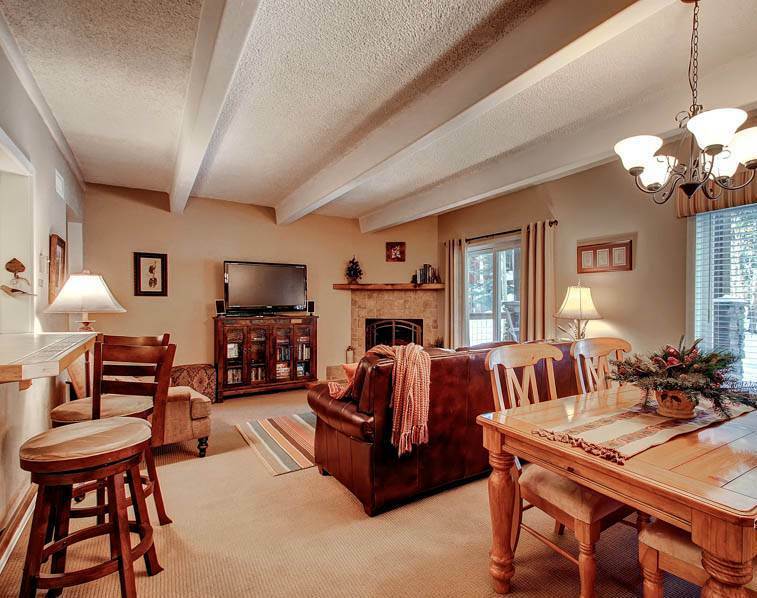 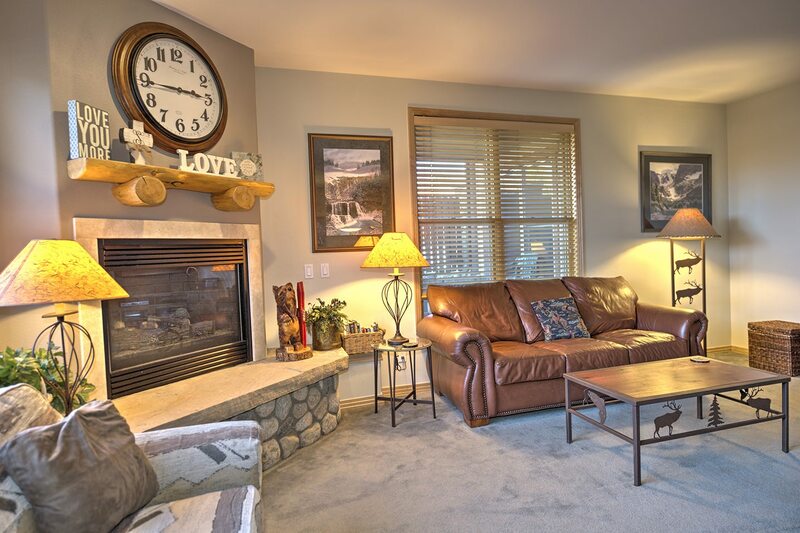 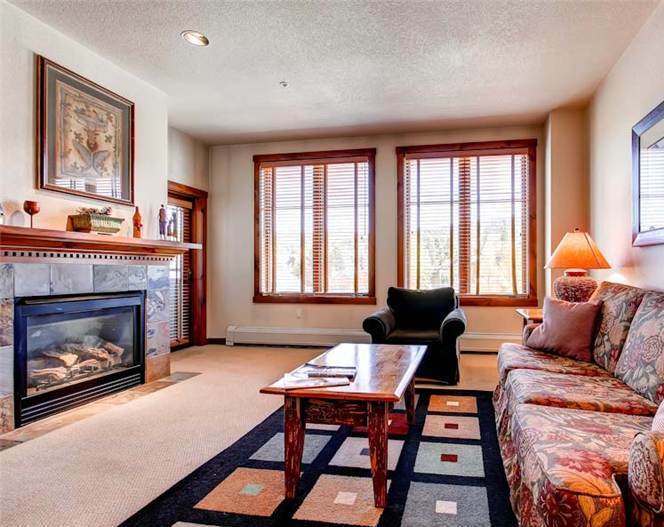 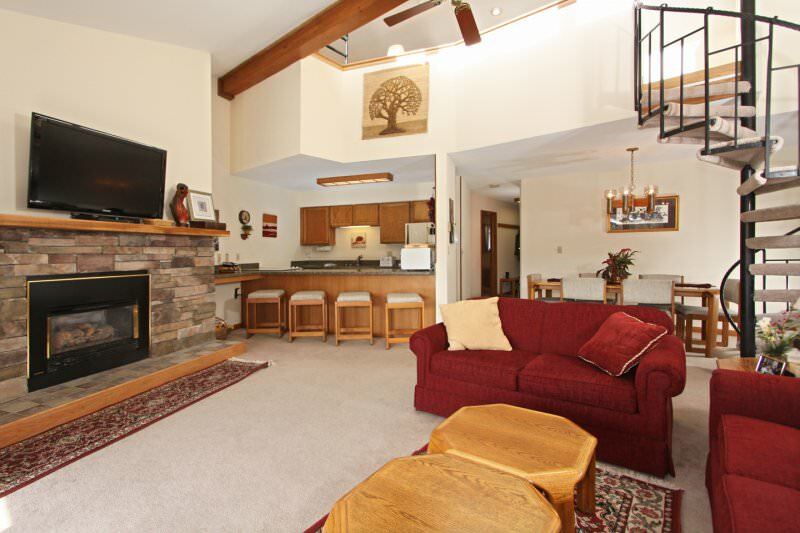 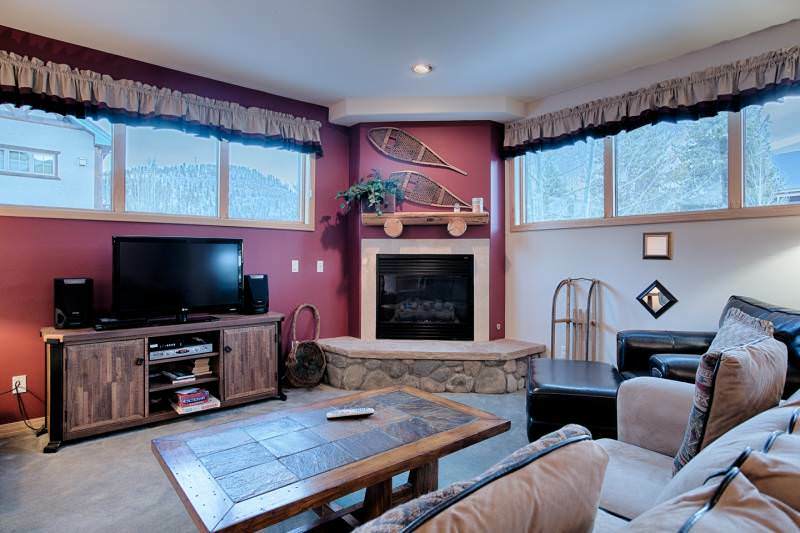 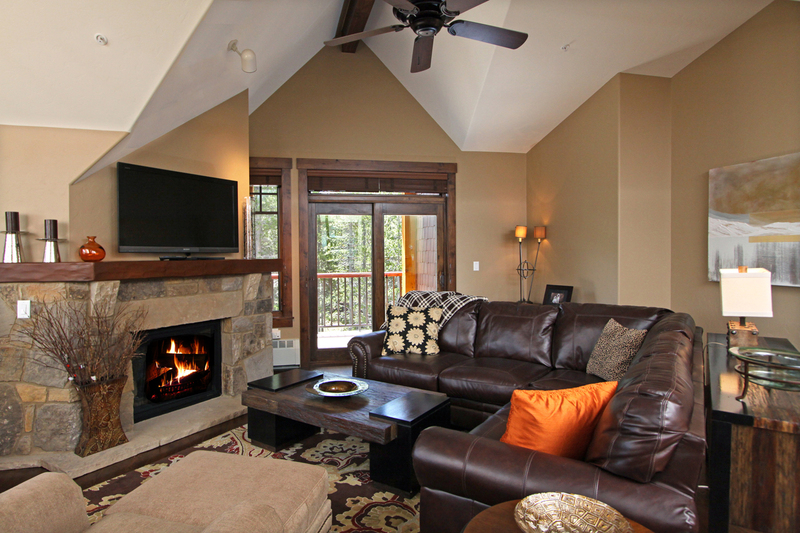 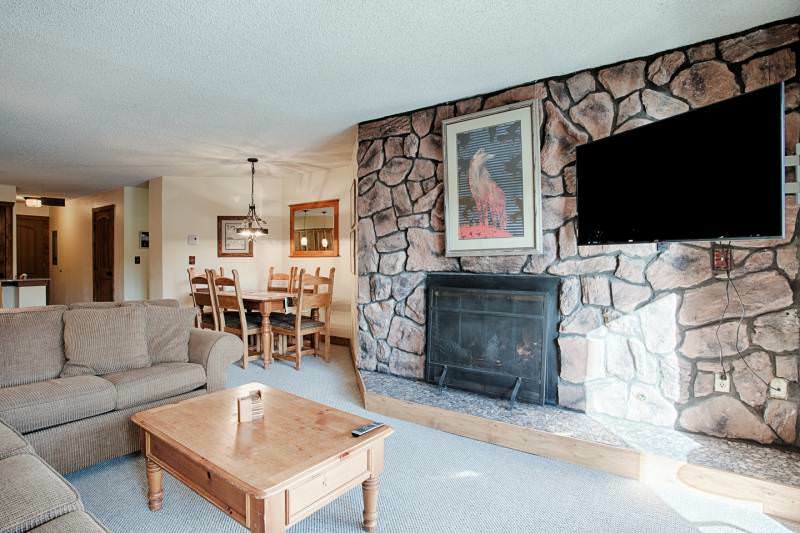 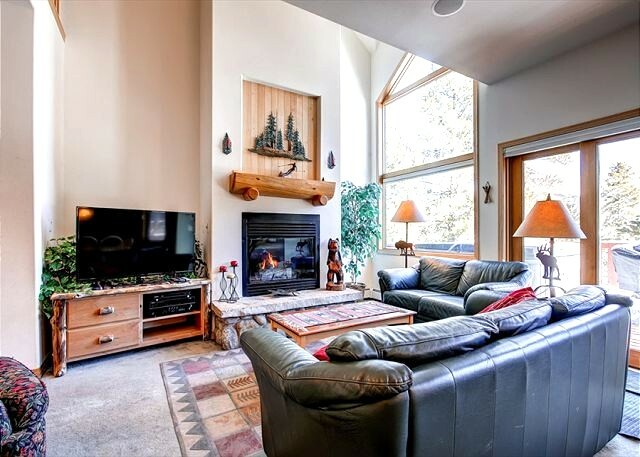 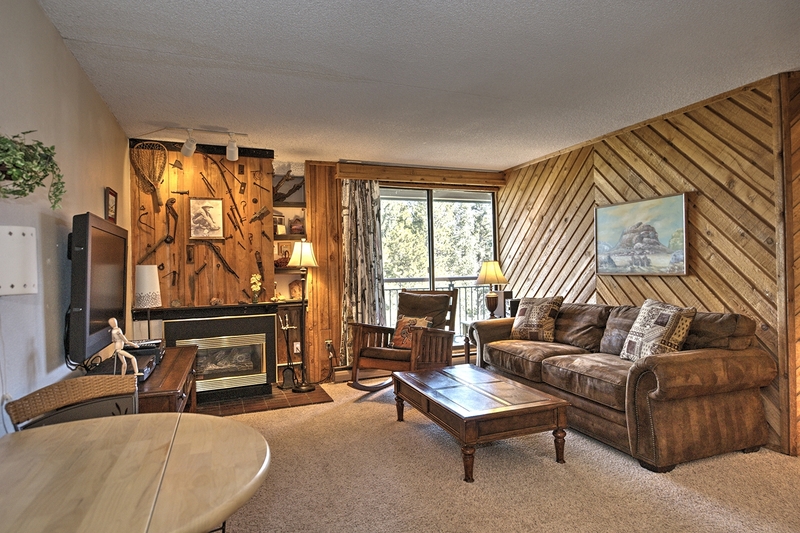 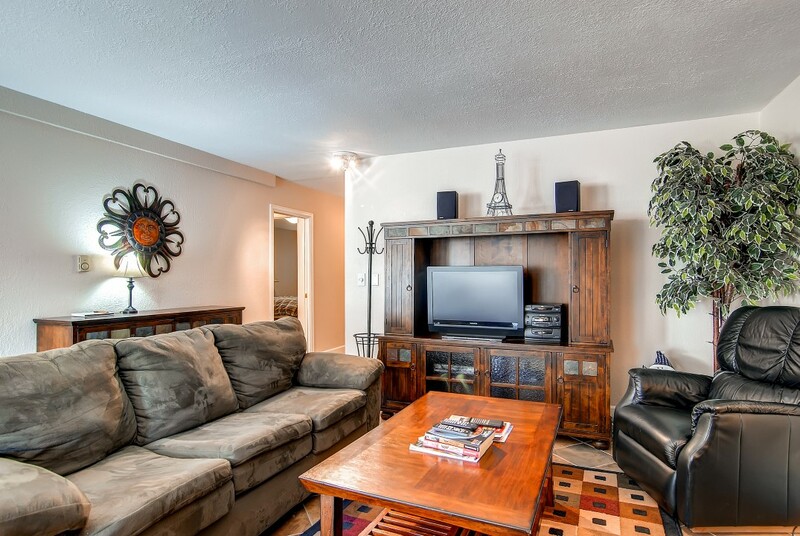 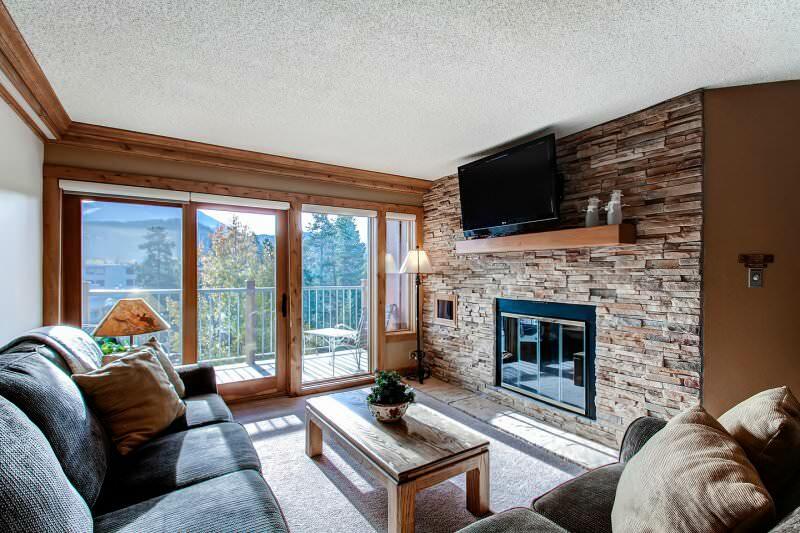 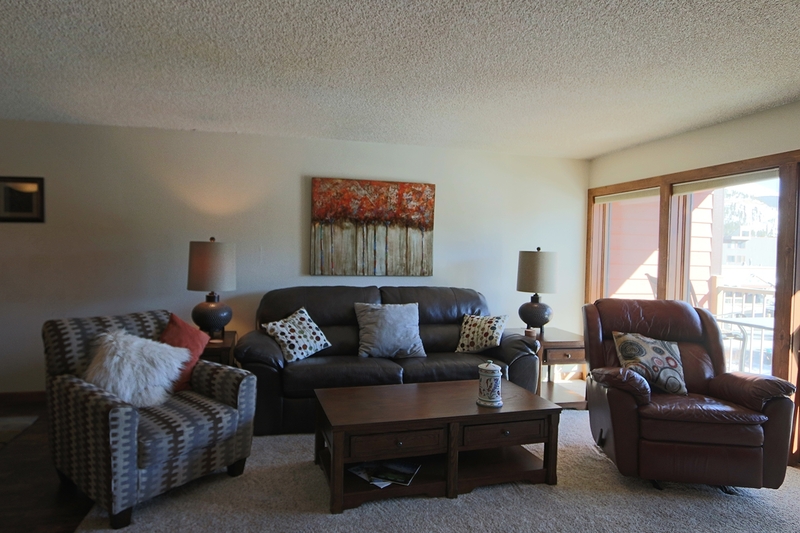 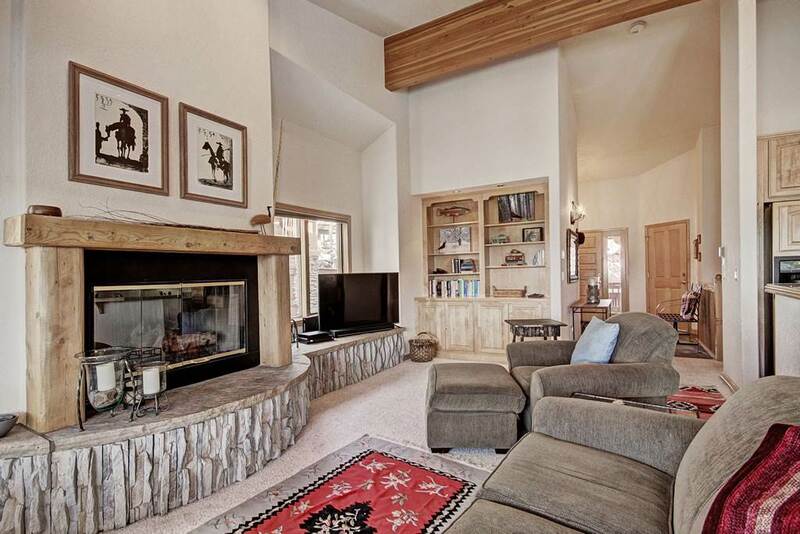 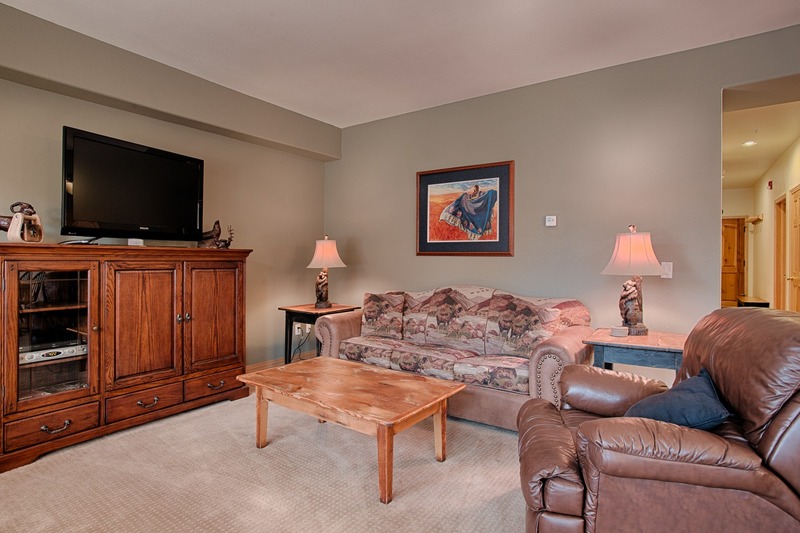 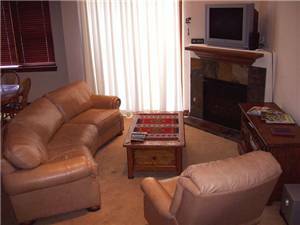 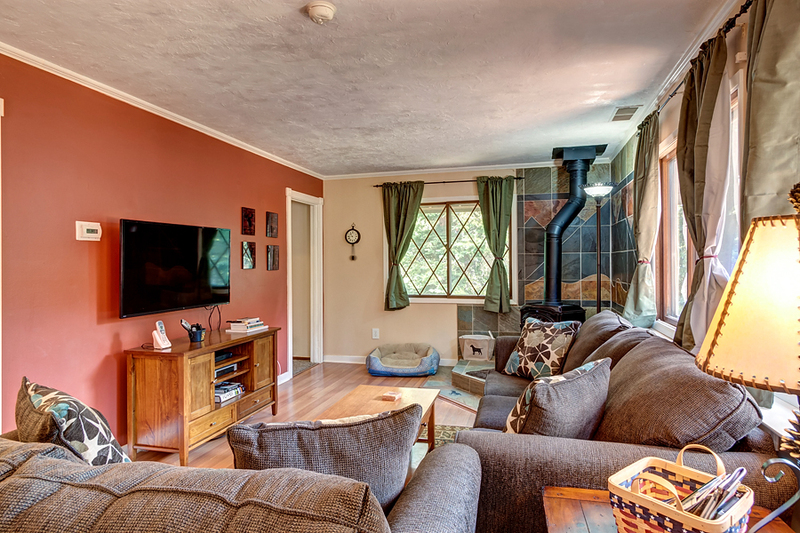 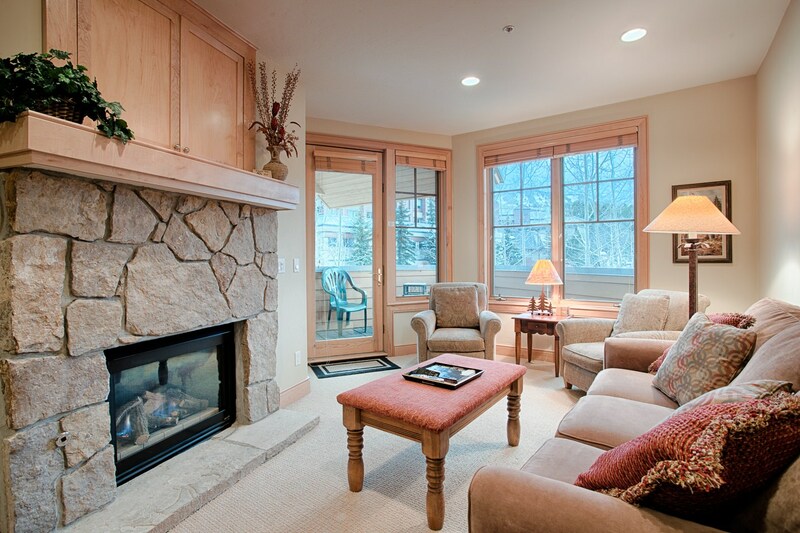 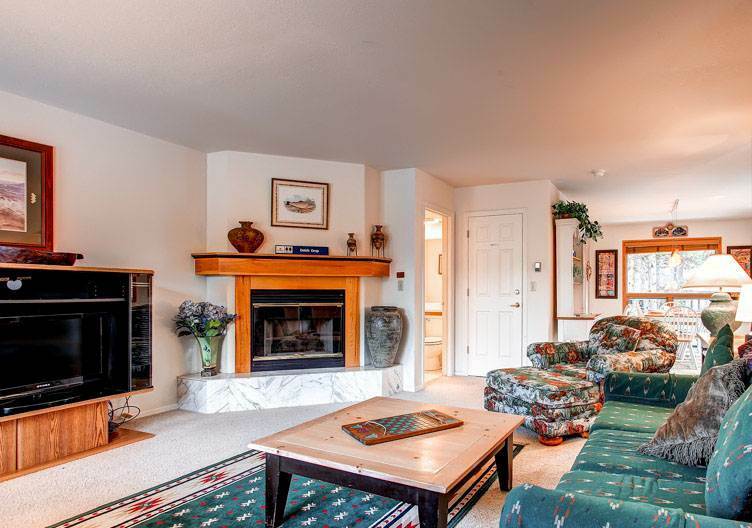 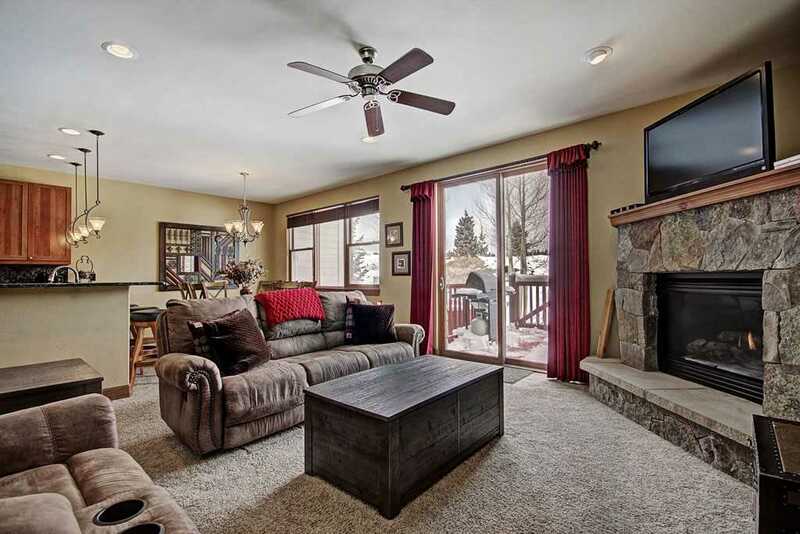 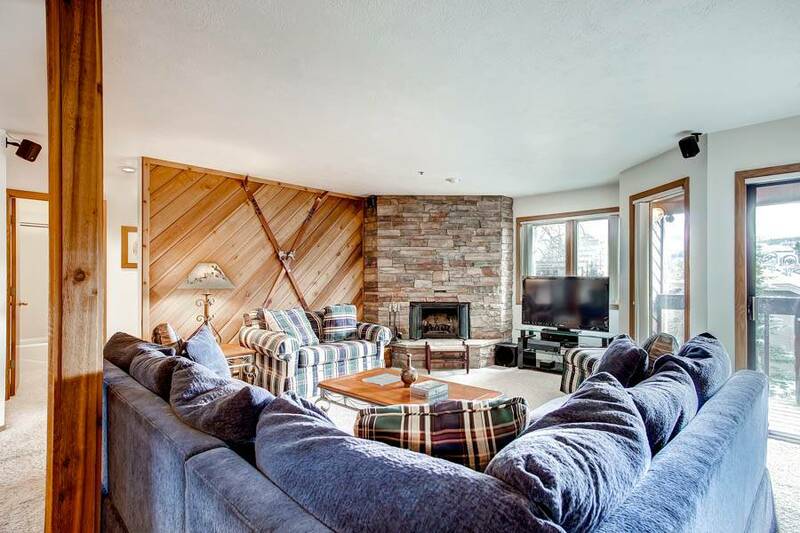 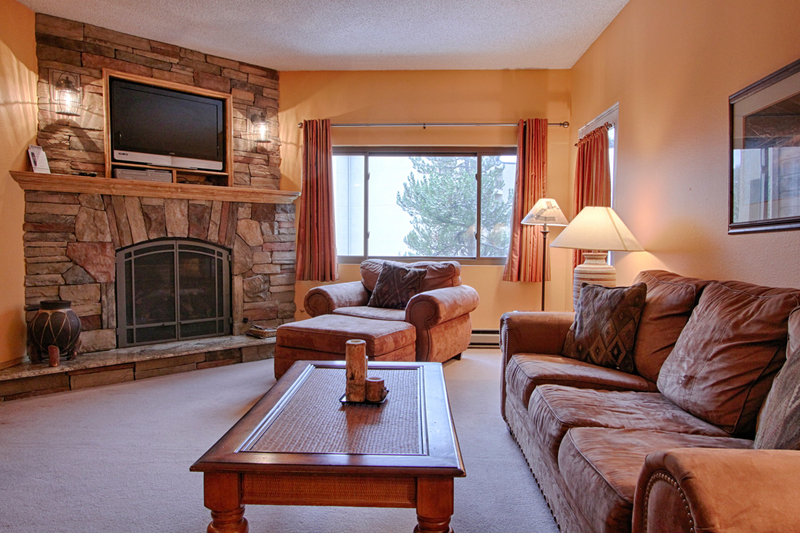 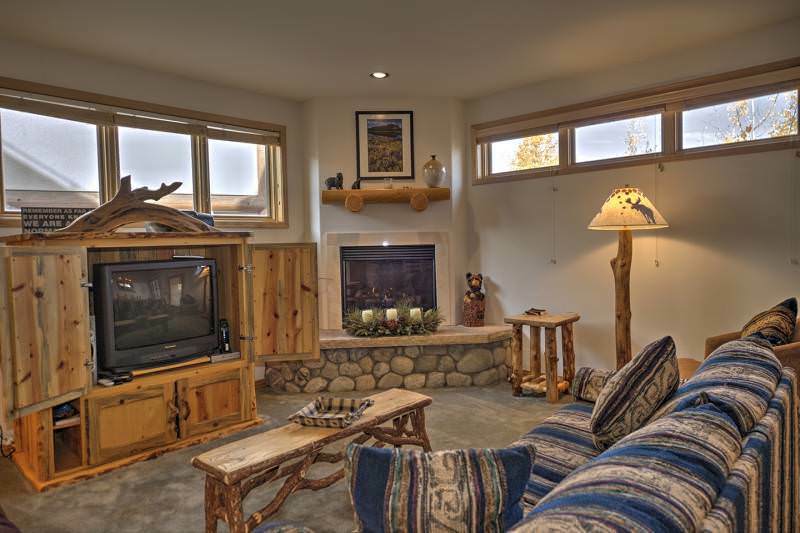 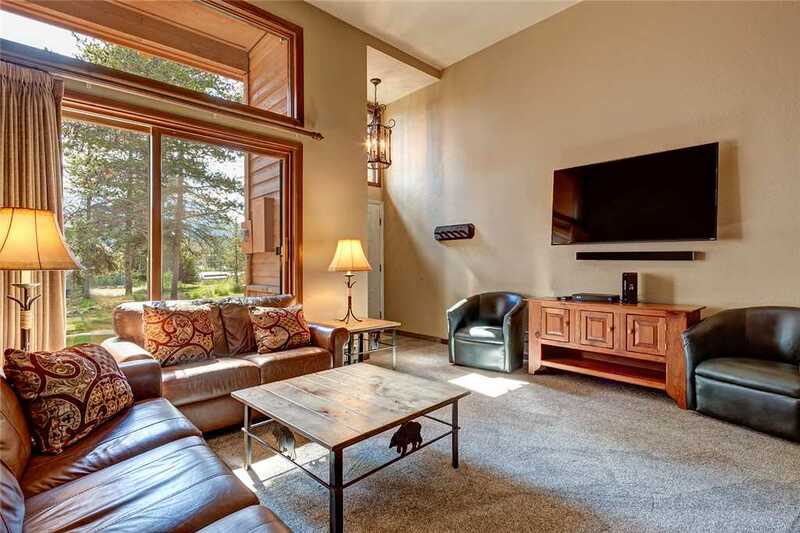 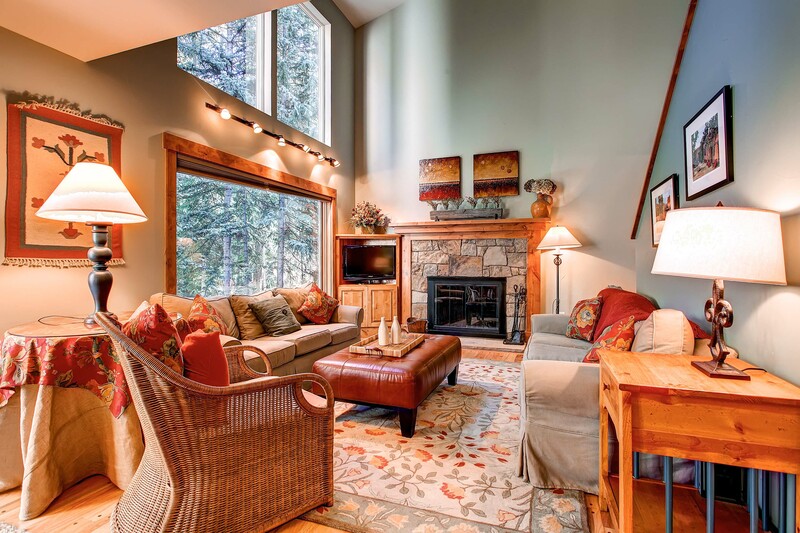 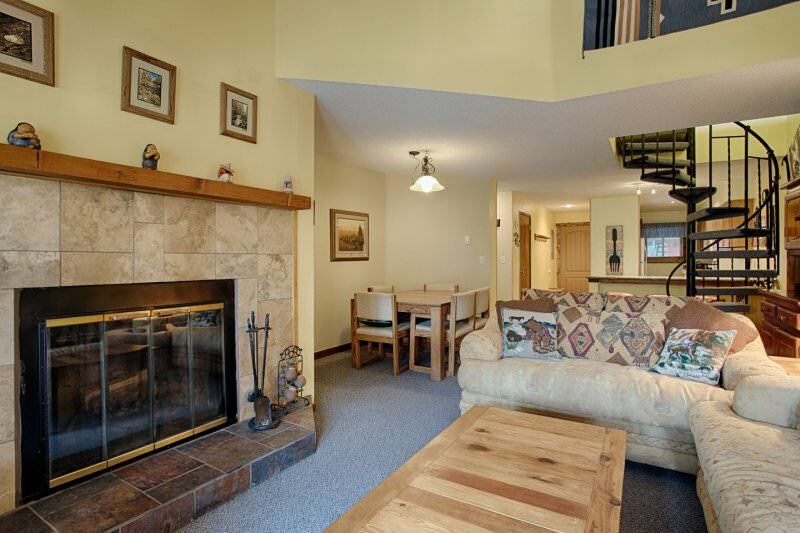 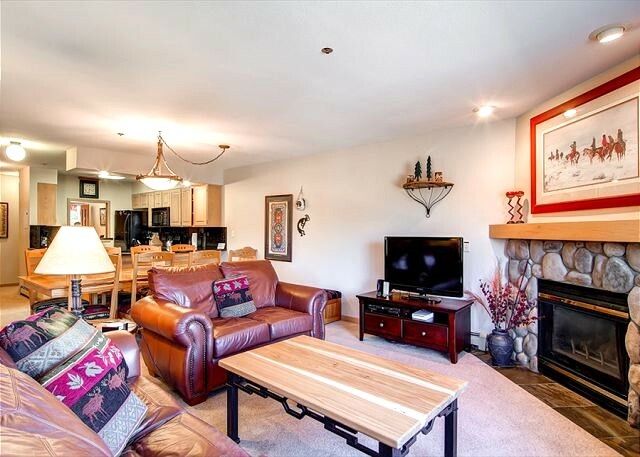 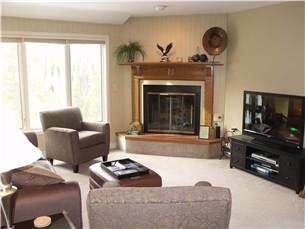 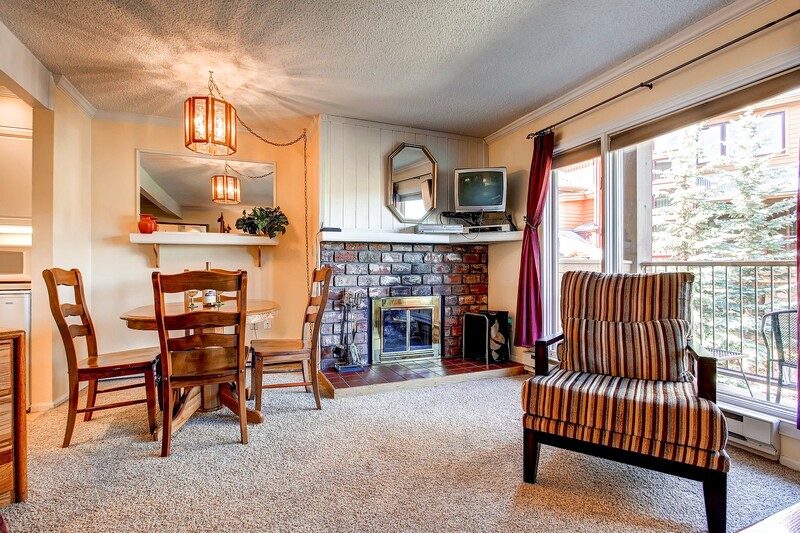 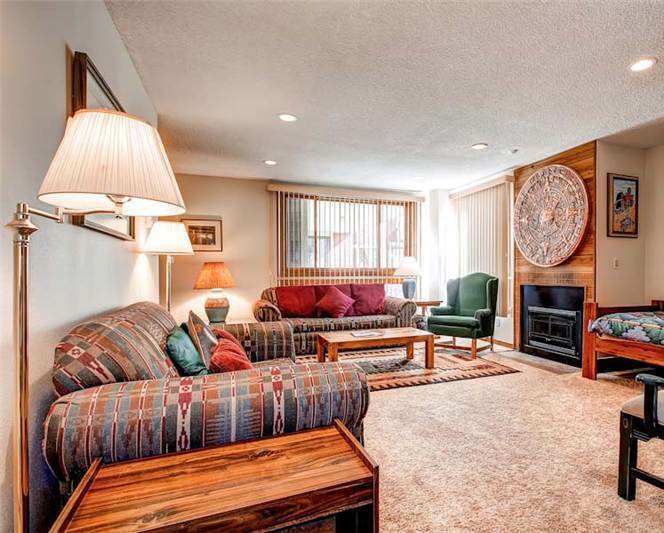 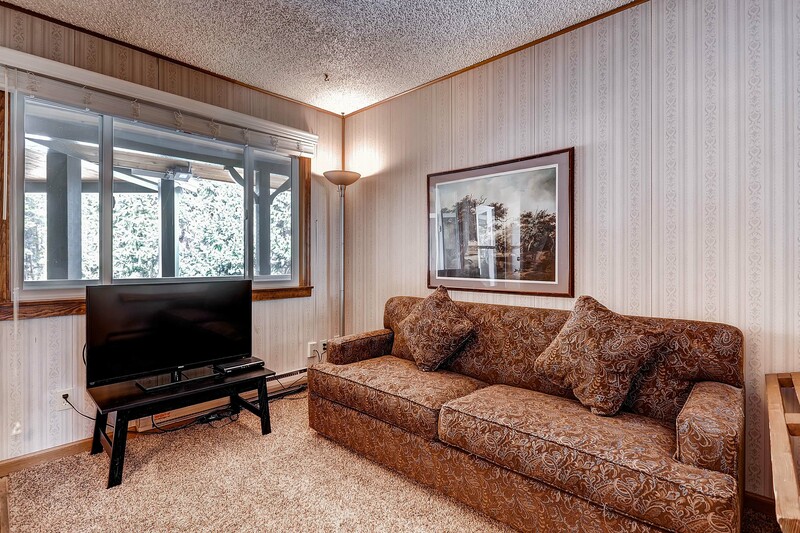 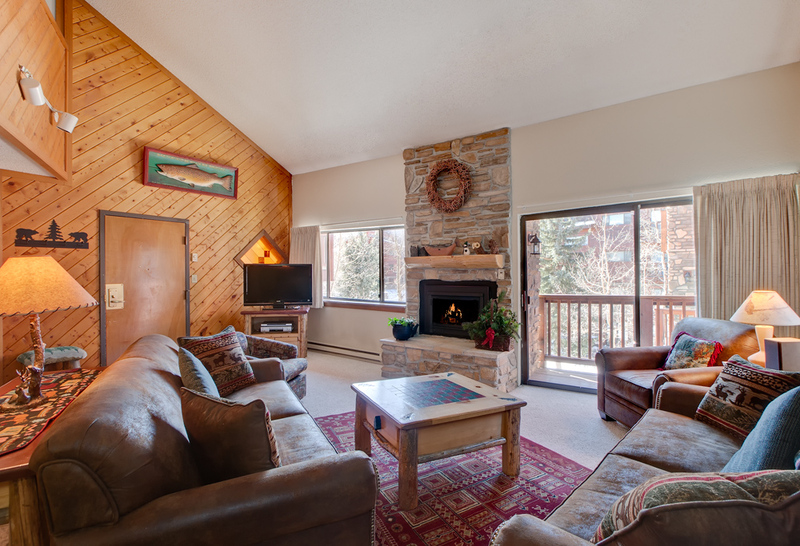 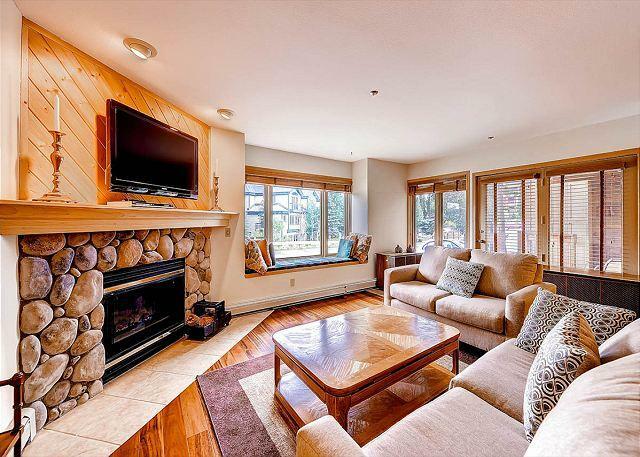 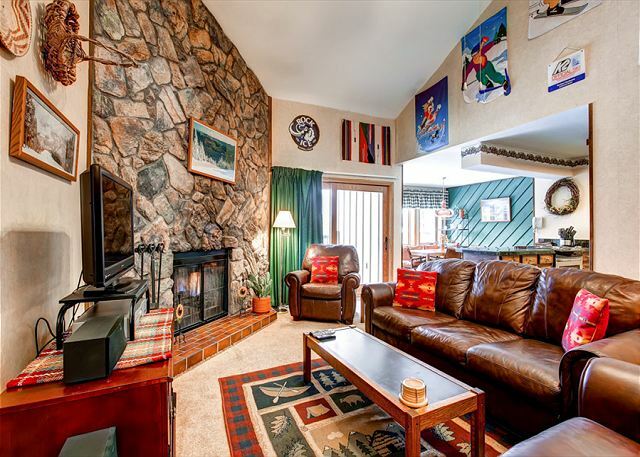 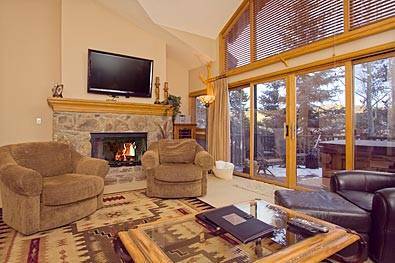 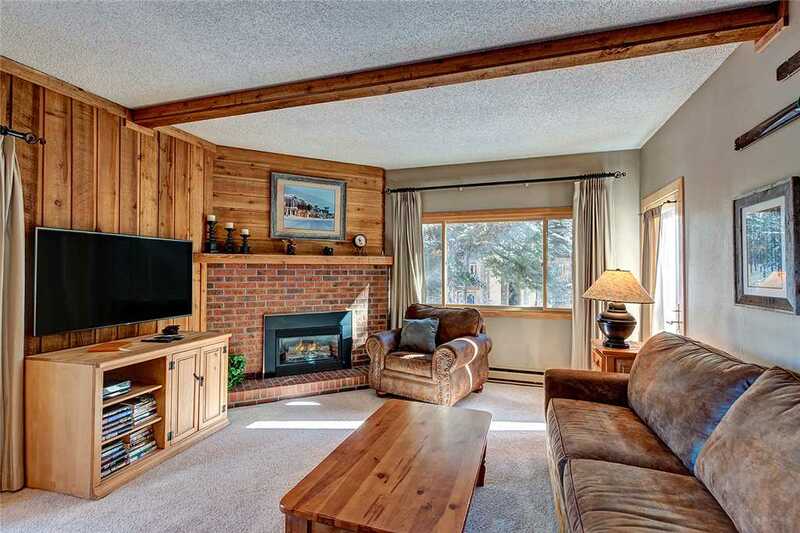 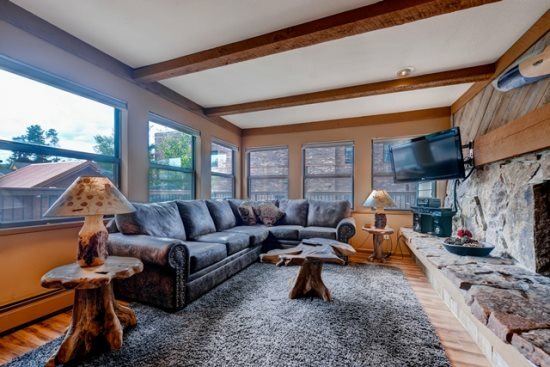 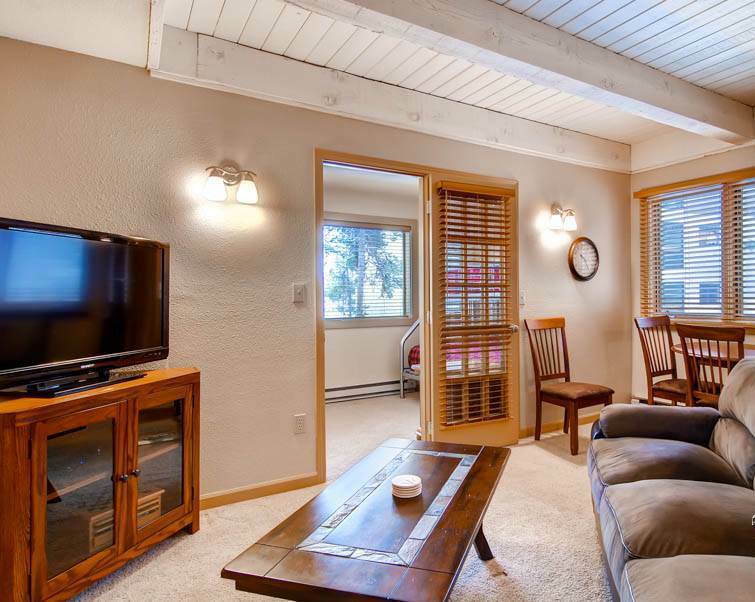 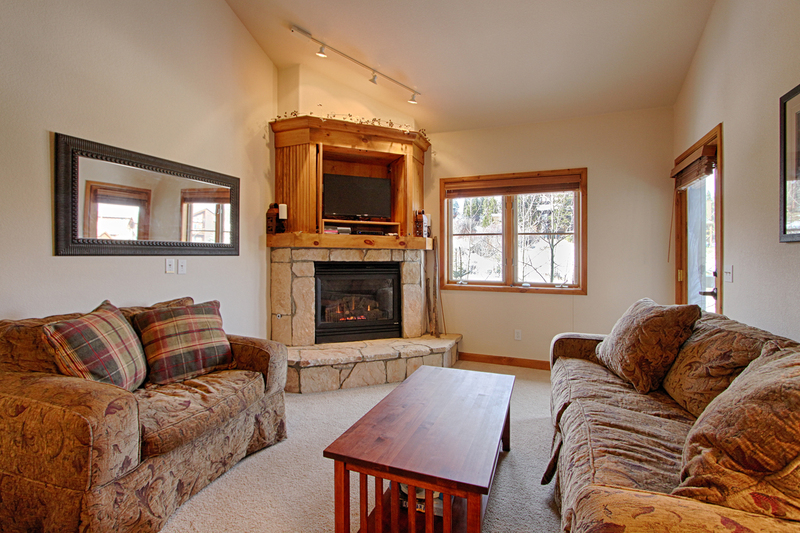 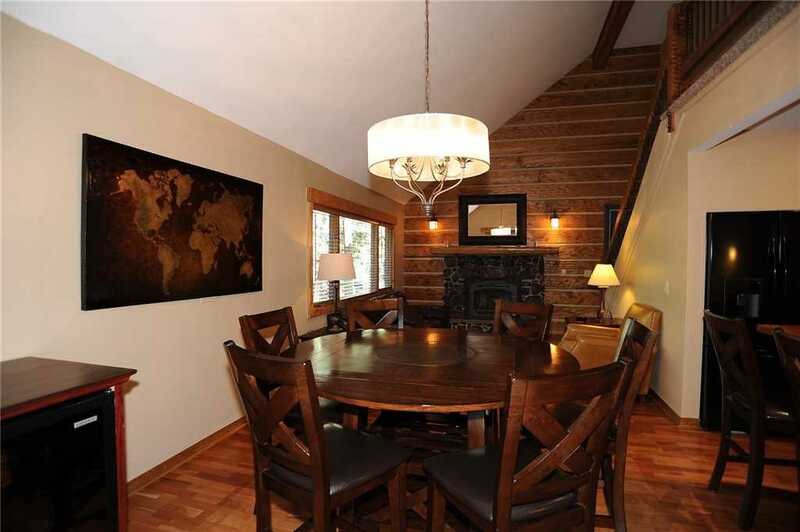 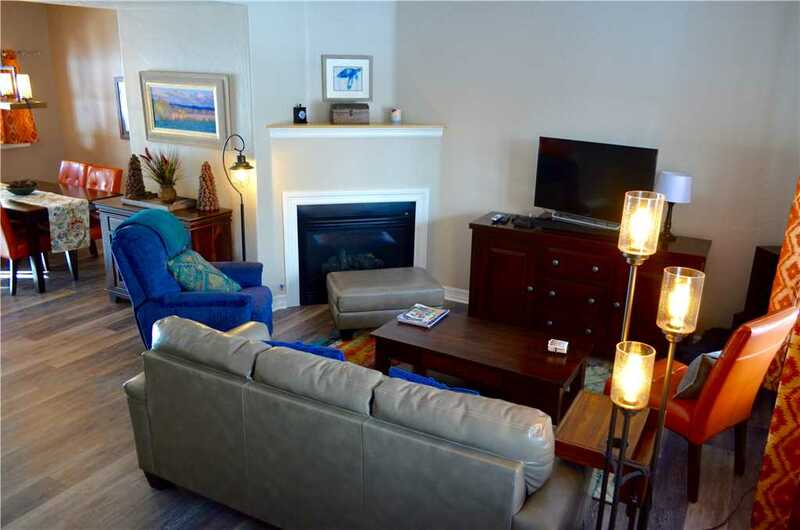 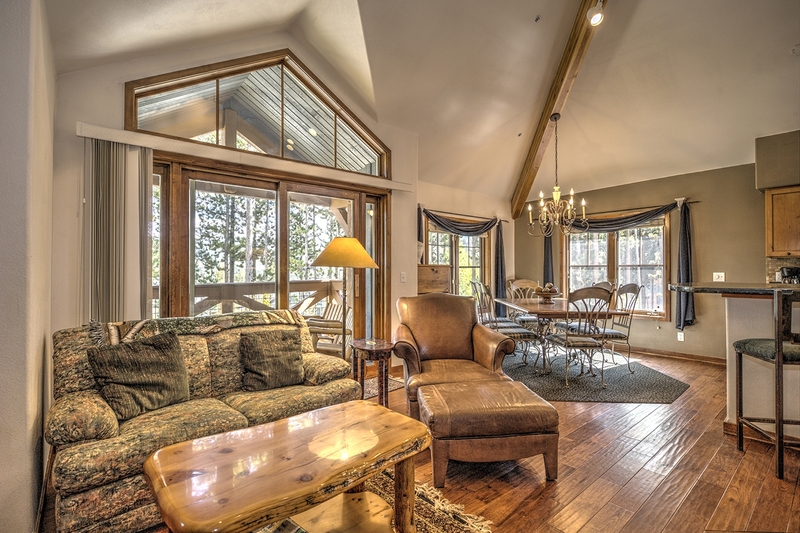 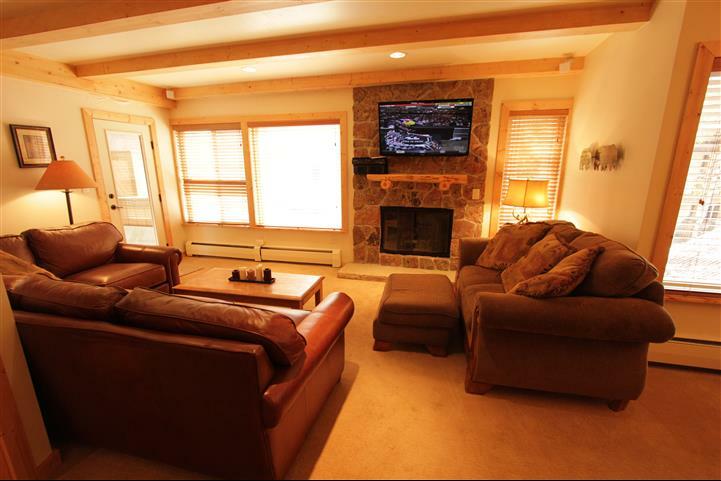 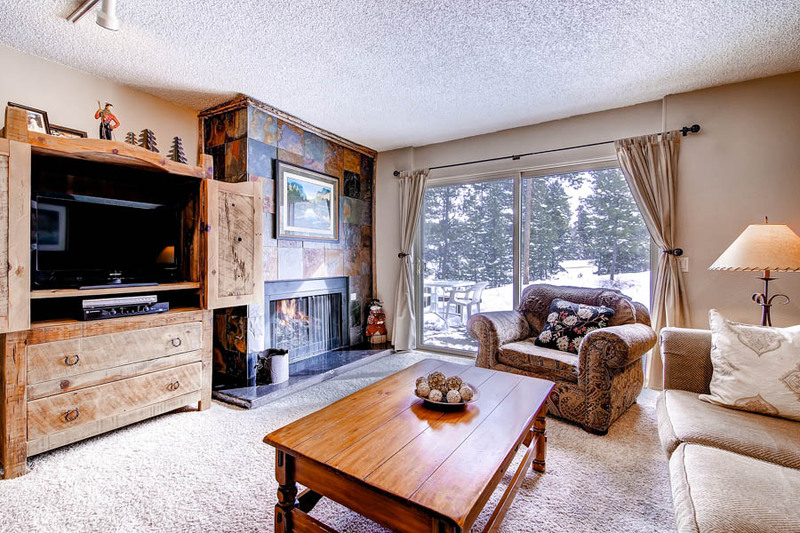 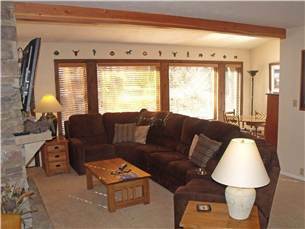 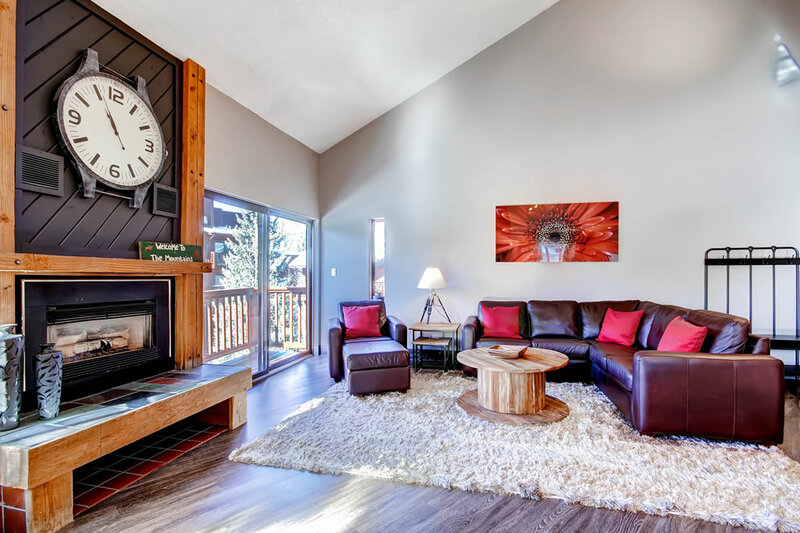 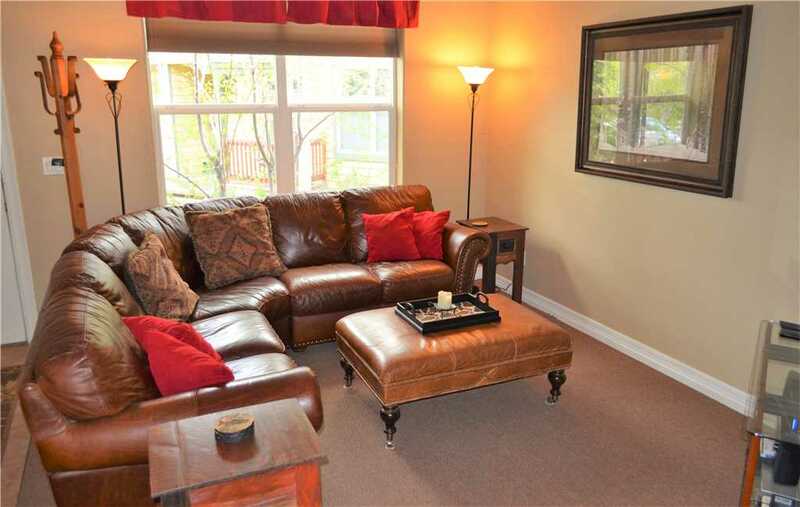 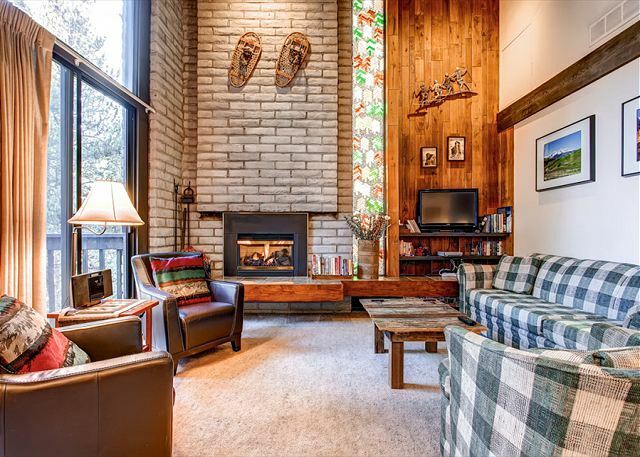 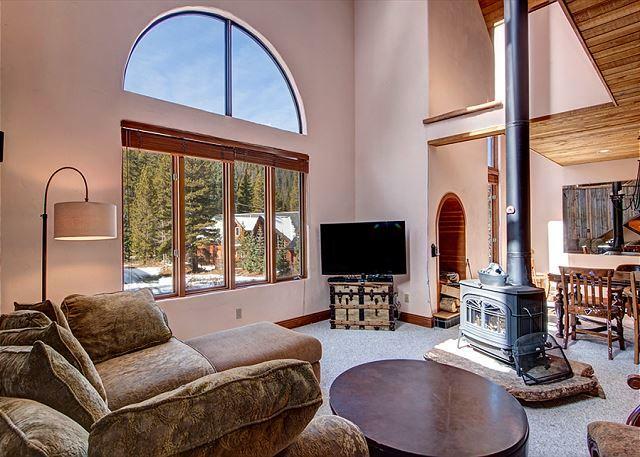 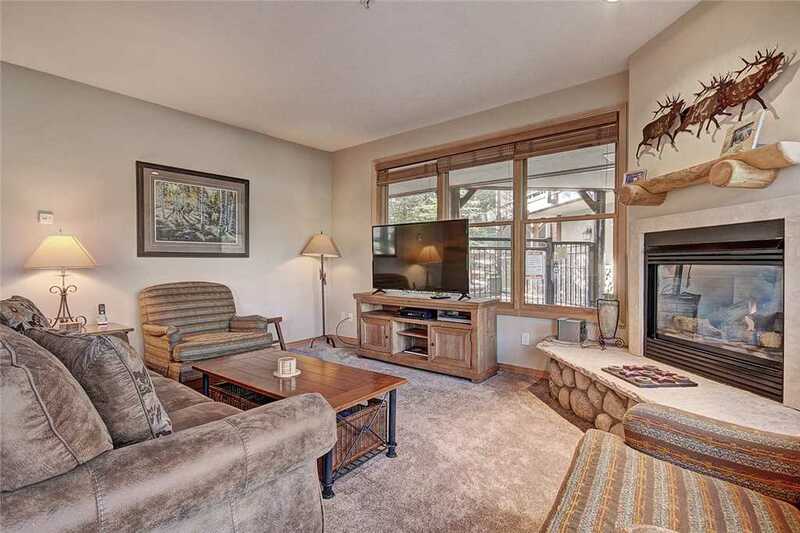 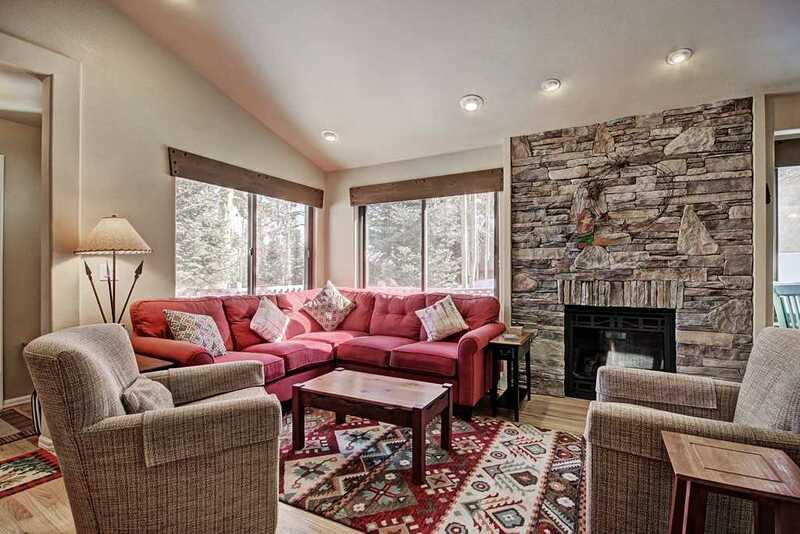 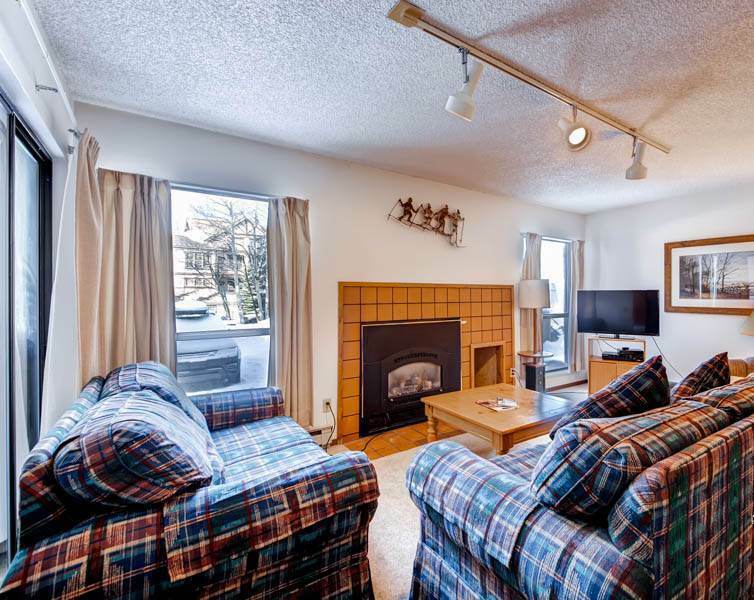 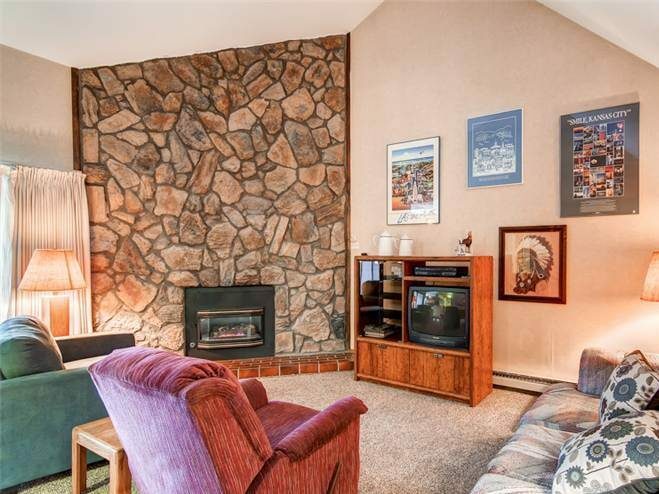 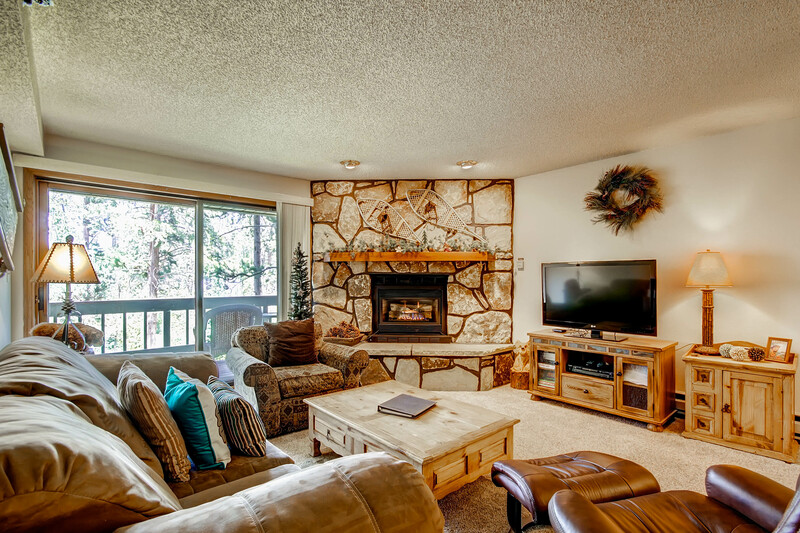 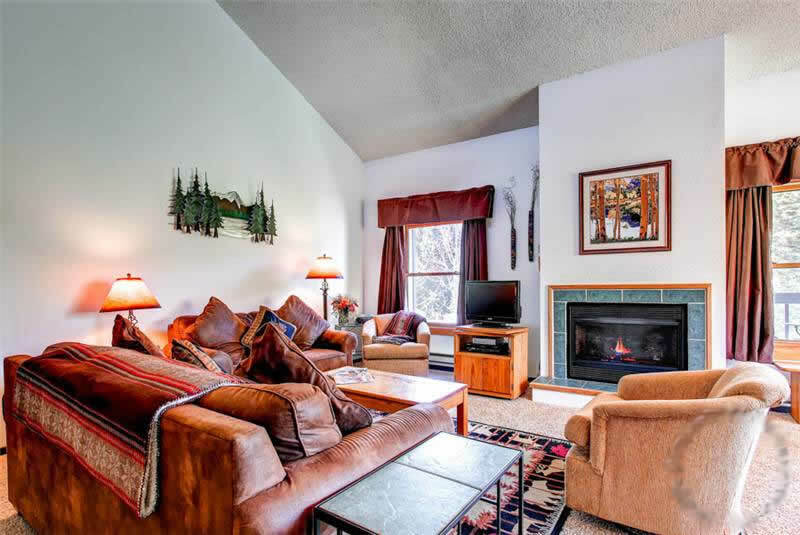 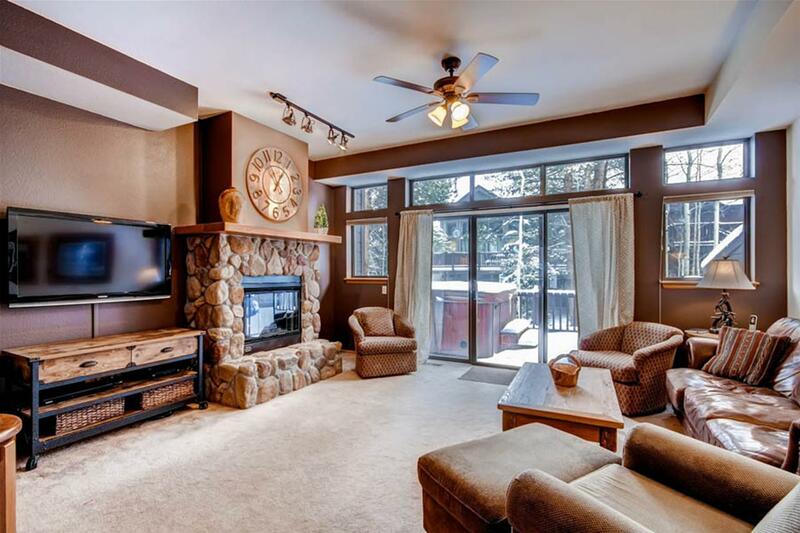 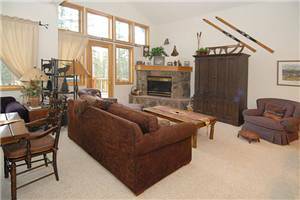 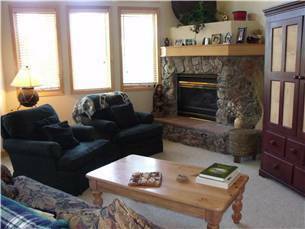 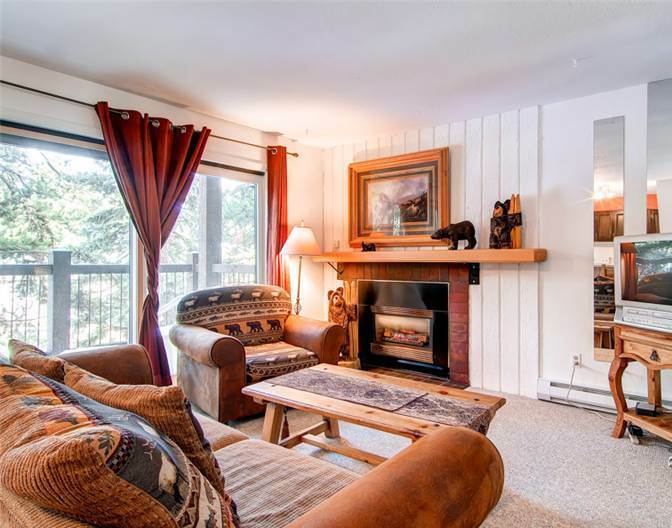 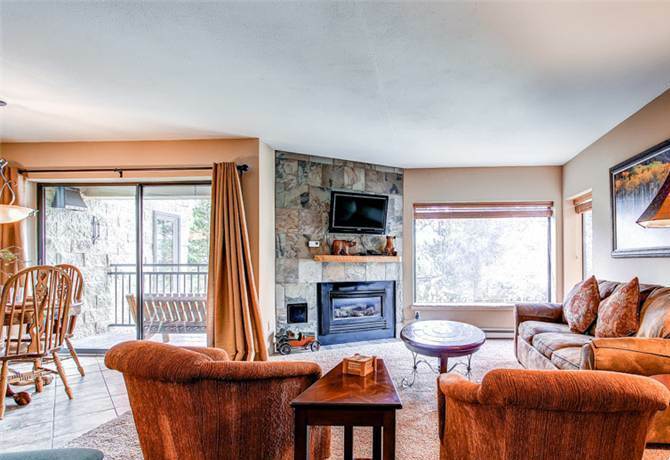 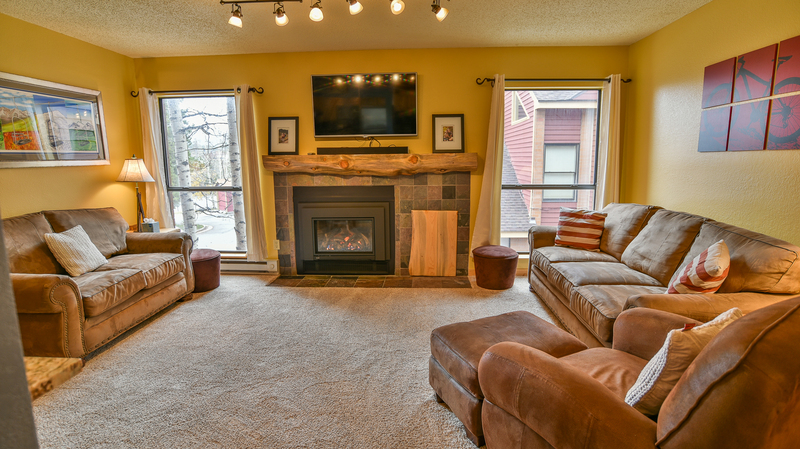 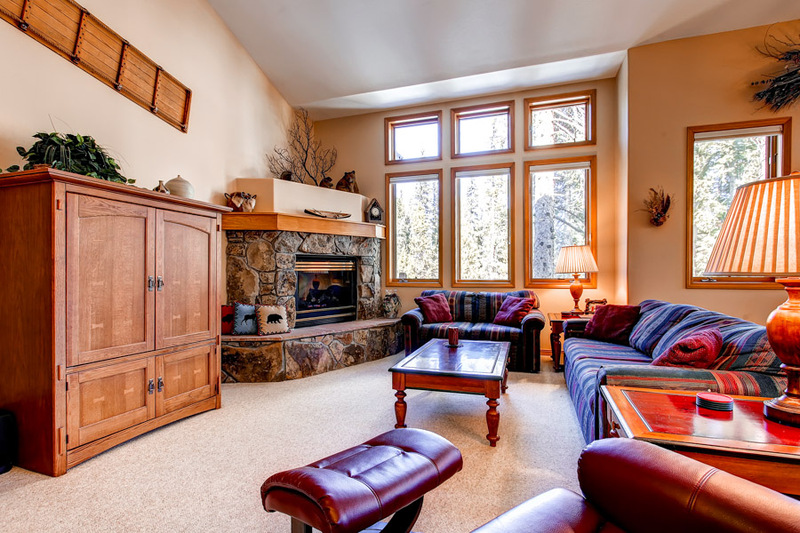 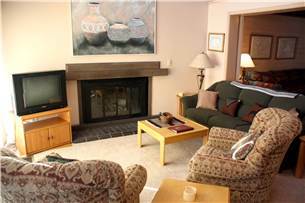 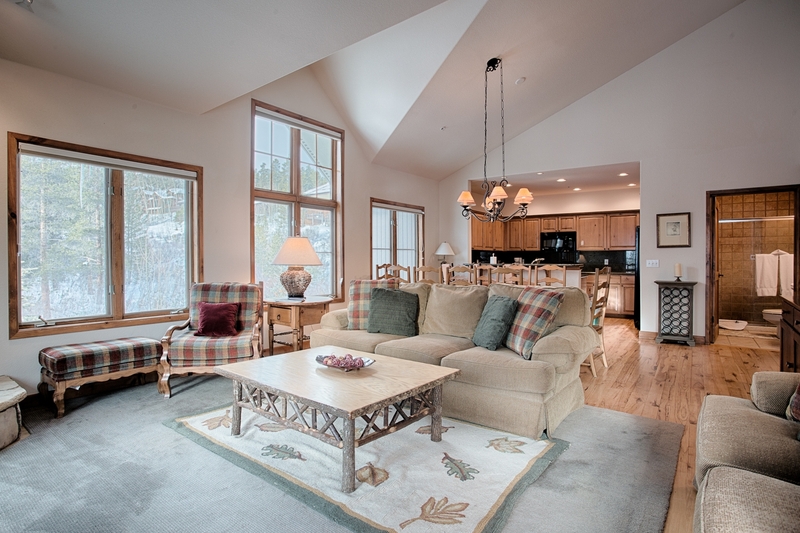 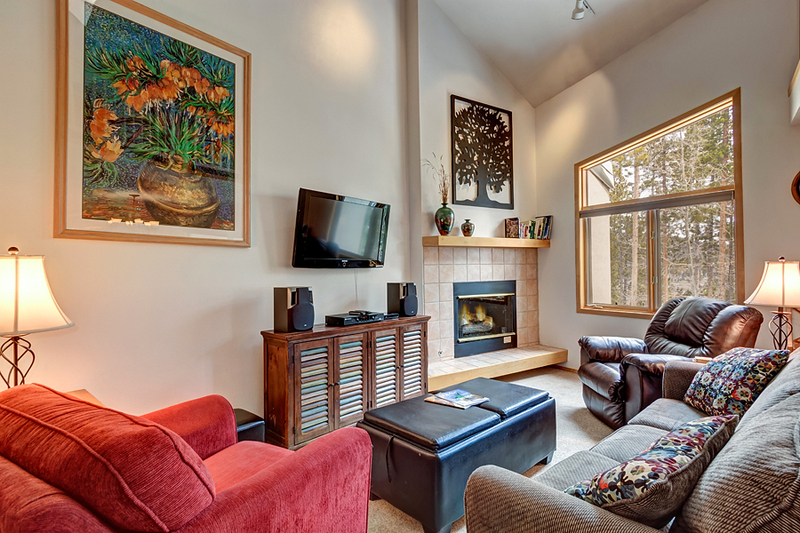 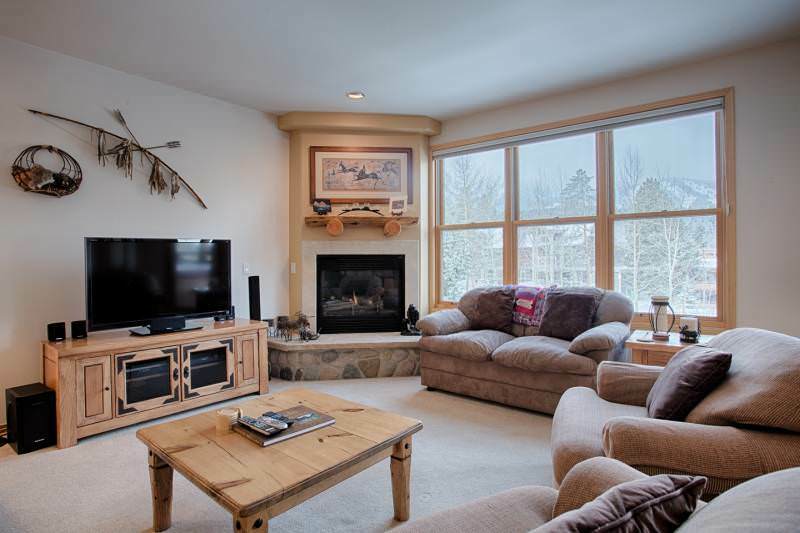 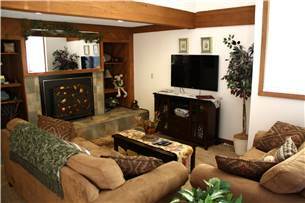 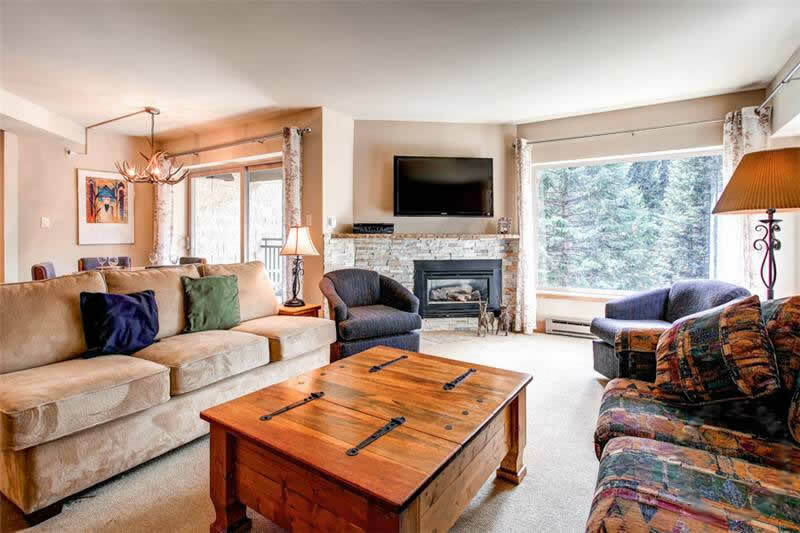 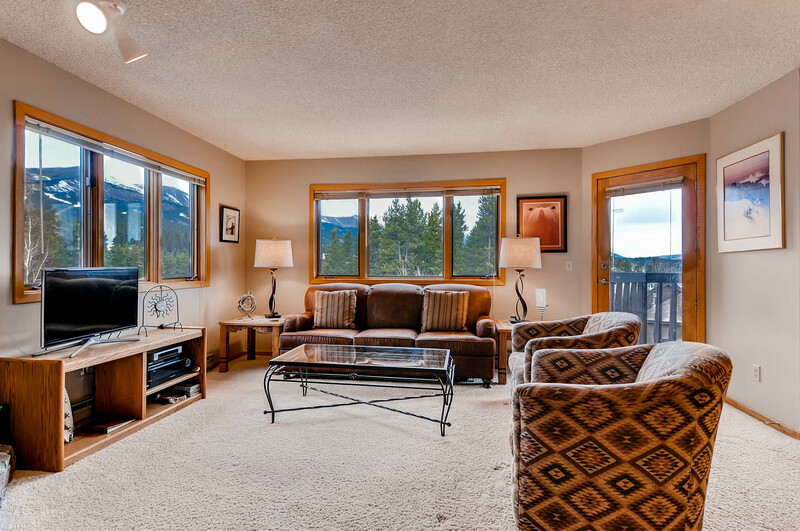 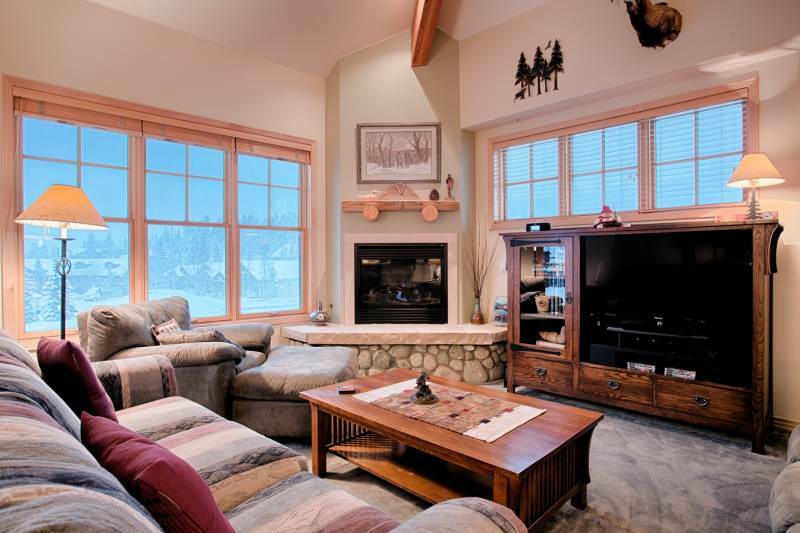 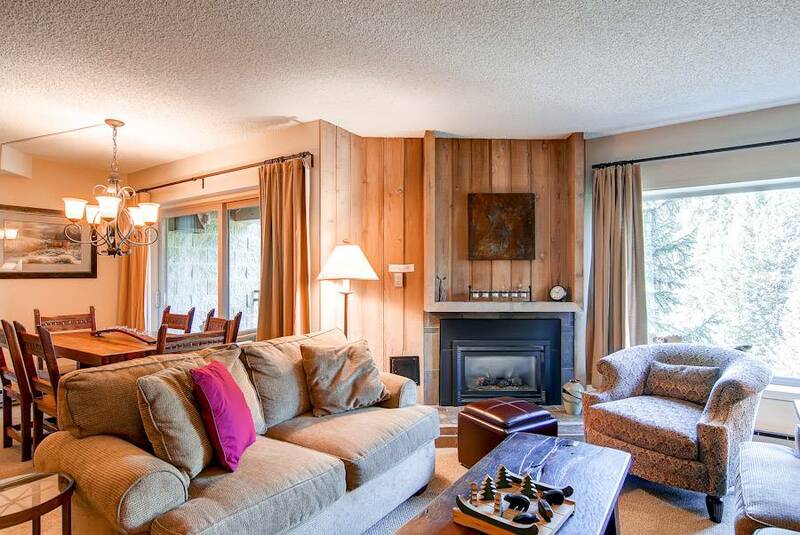 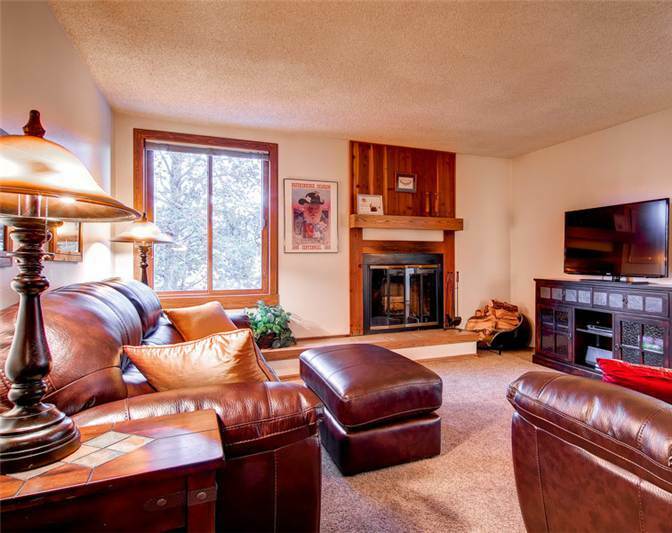 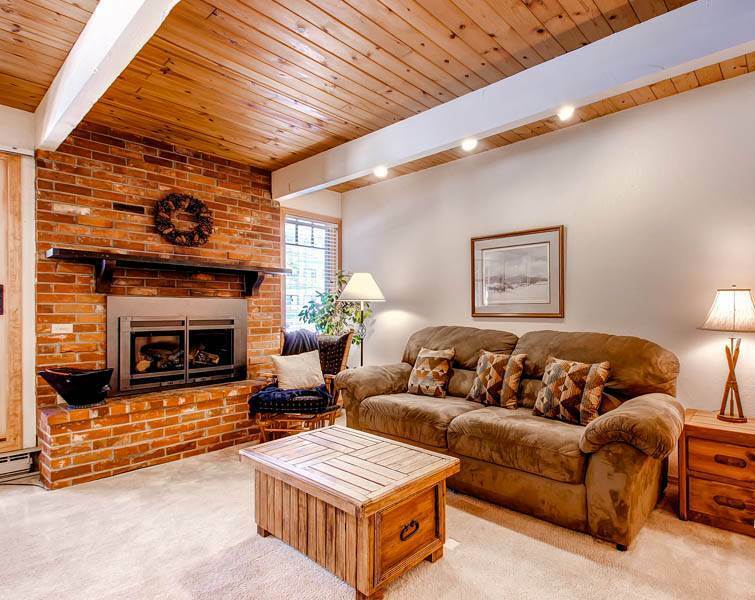 The living area has vaulted ceilings, plenty of seating, an LCD TV and a gas fireplace. 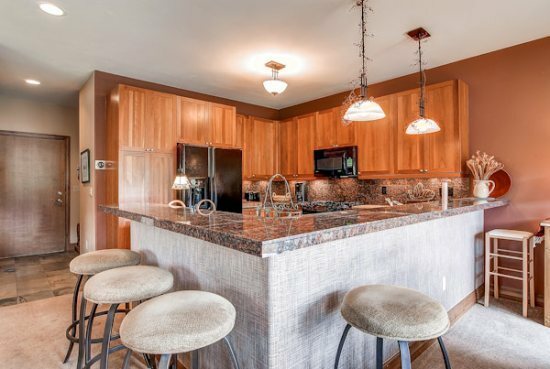 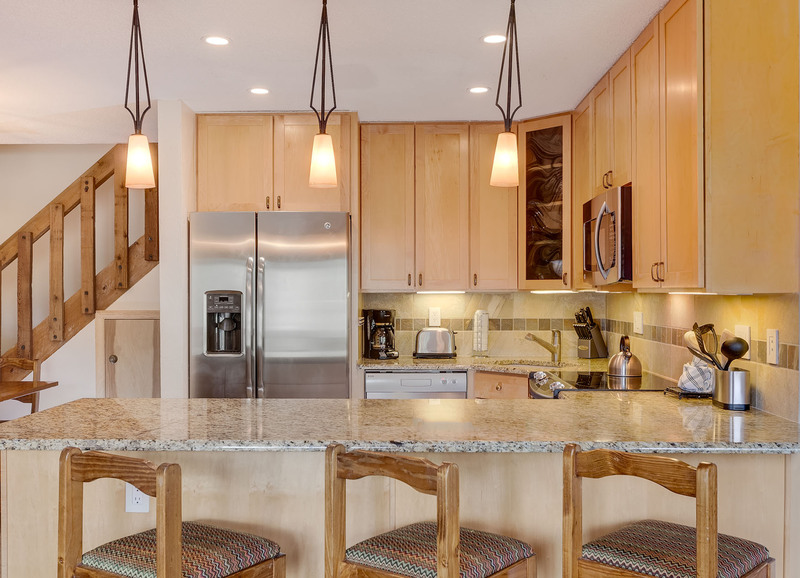 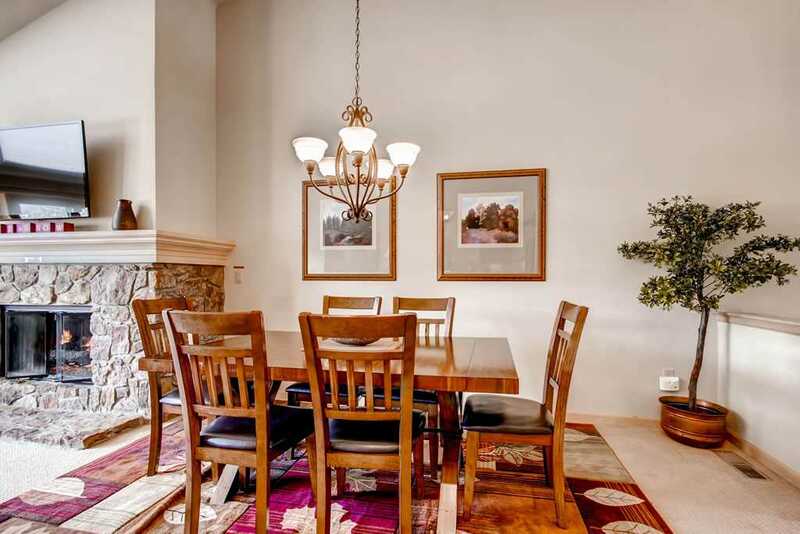 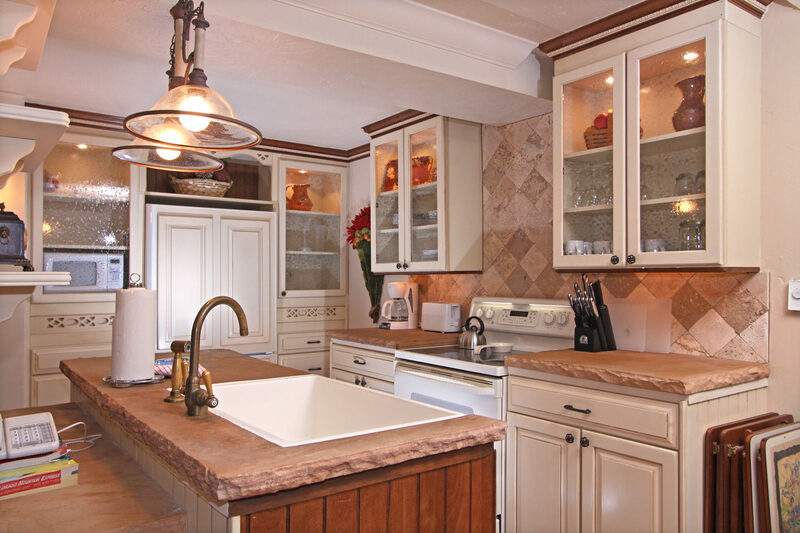 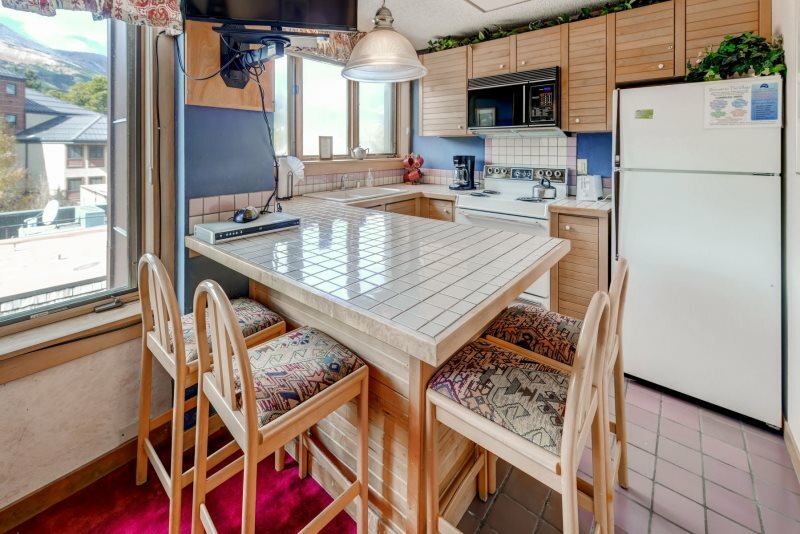 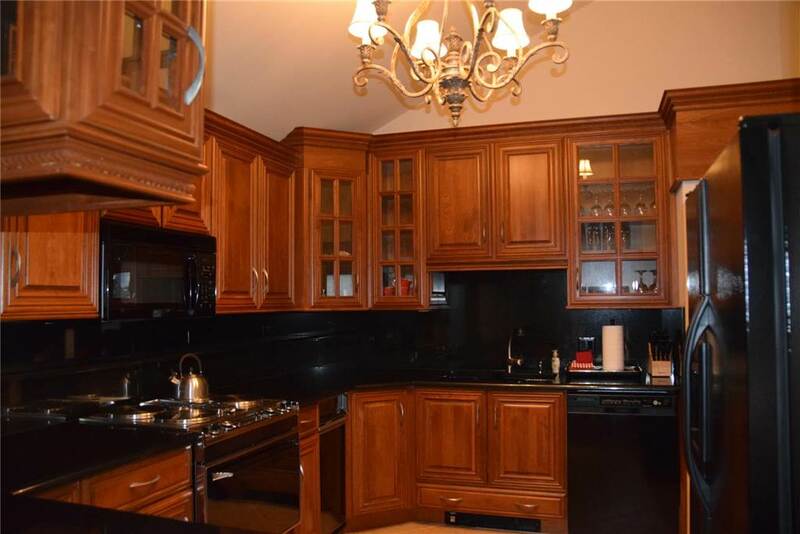 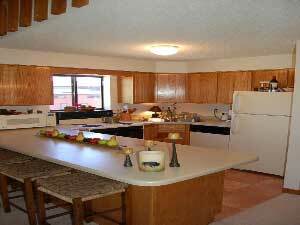 The fully equipped kitchen has a breakfast nook that has seating for up to eight people, and there is a formal dining area that seats another six people adjacent to the living room. 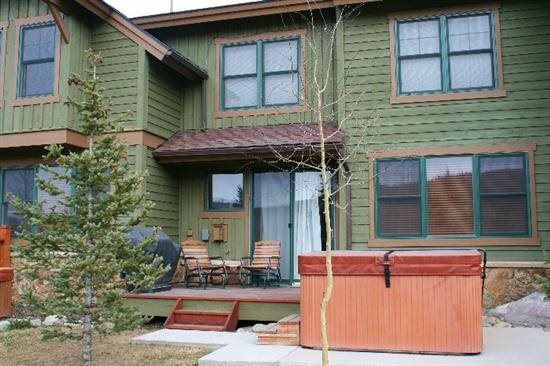 There is a deck with a gas grill, private hot tub and great views. 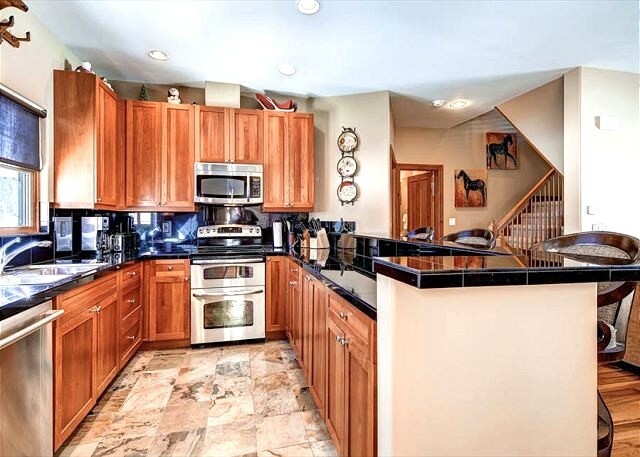 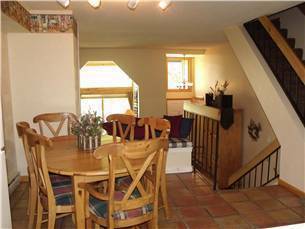 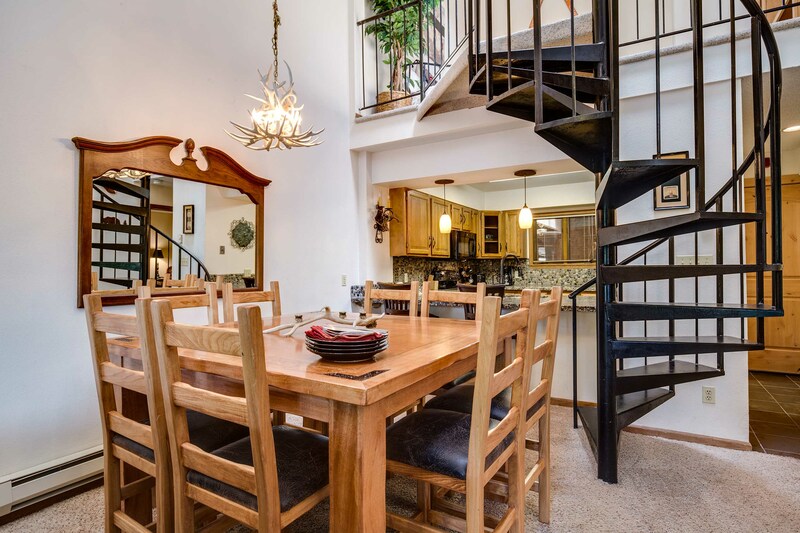 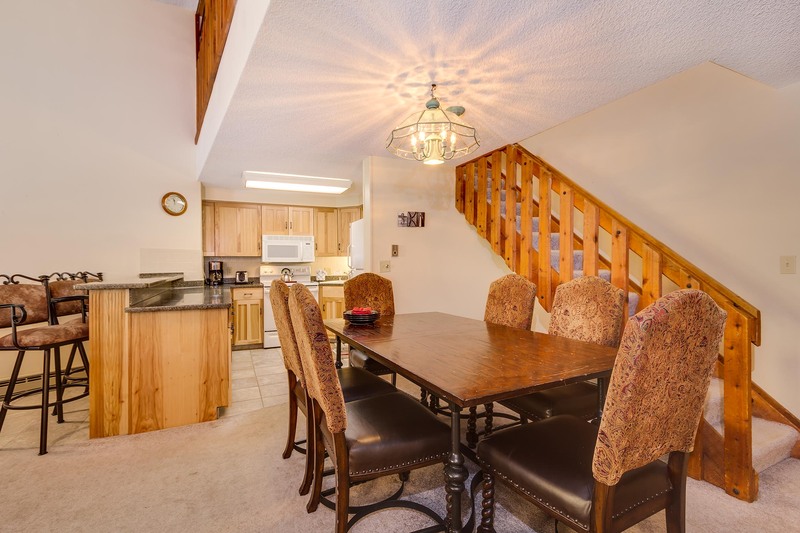 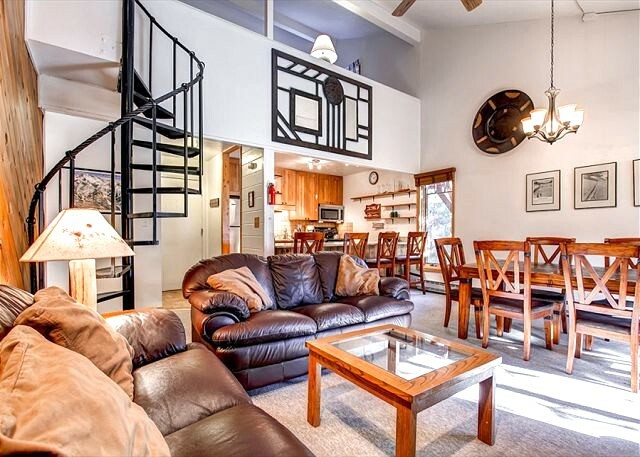 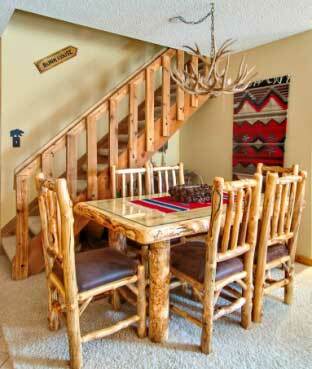 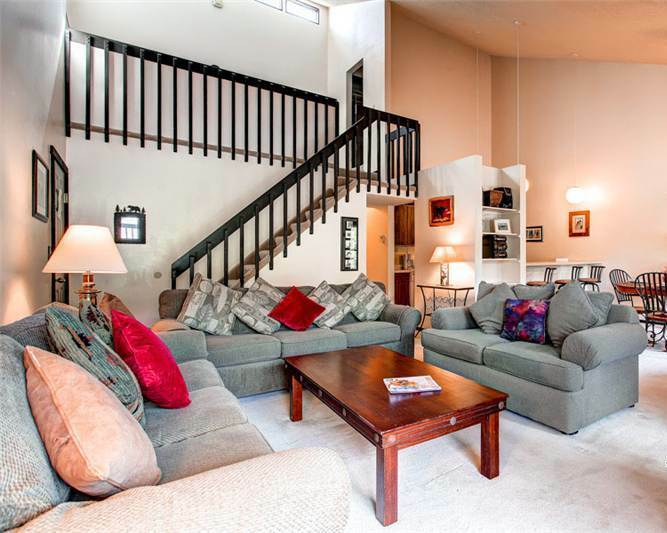 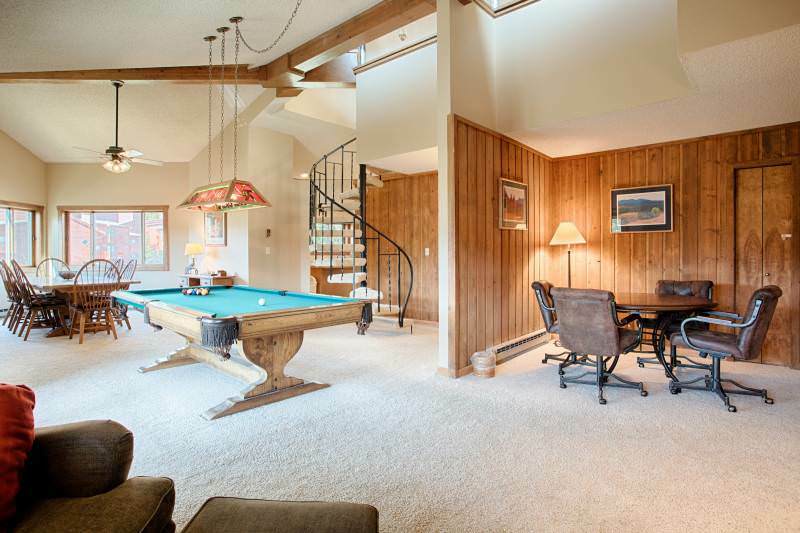 You’ll also love relaxing and entertaining downstairs. 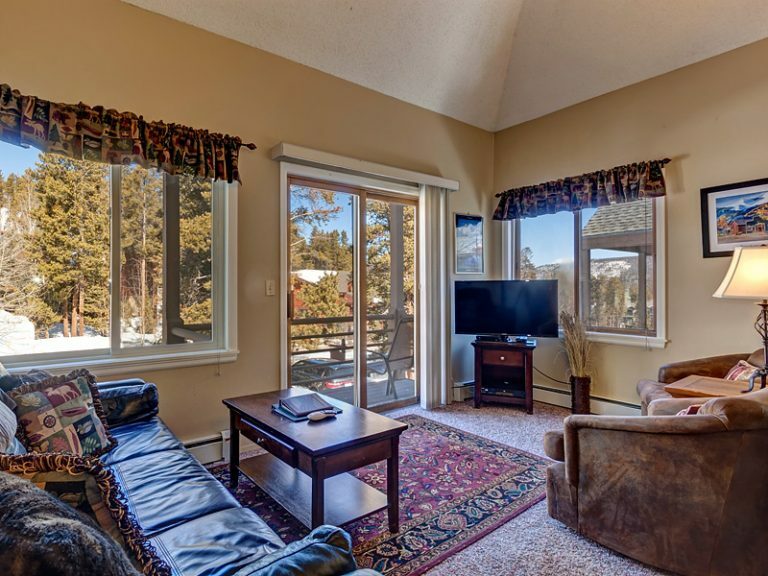 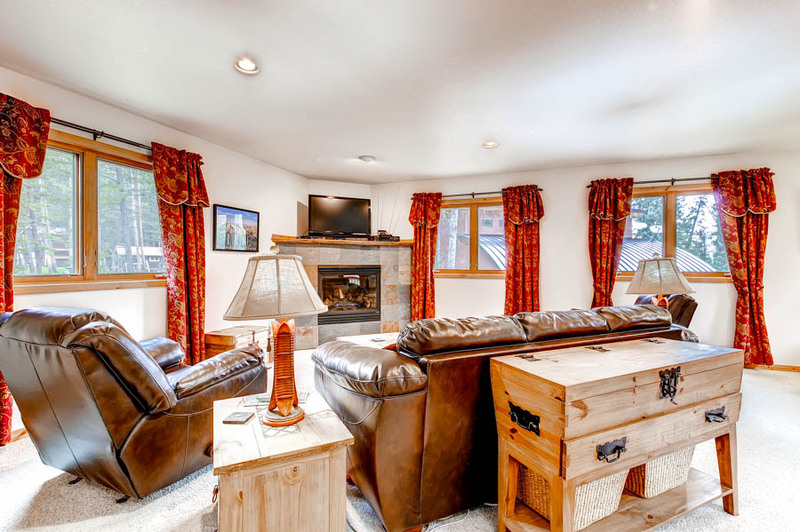 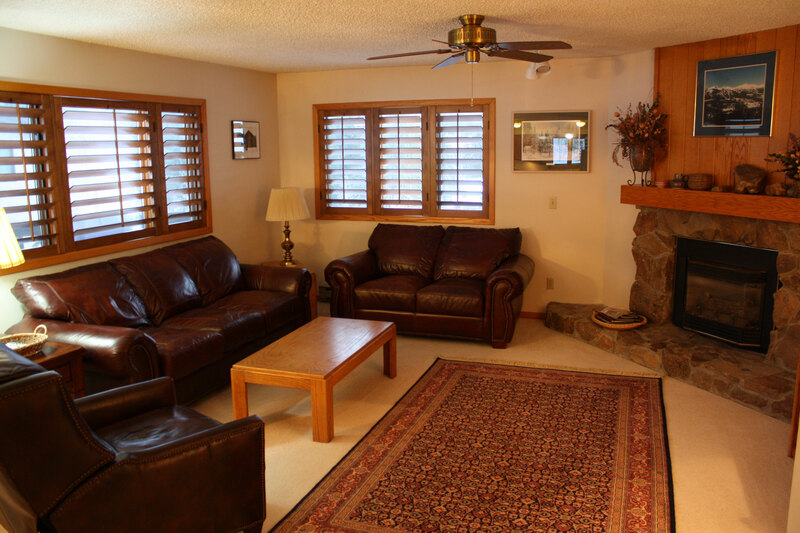 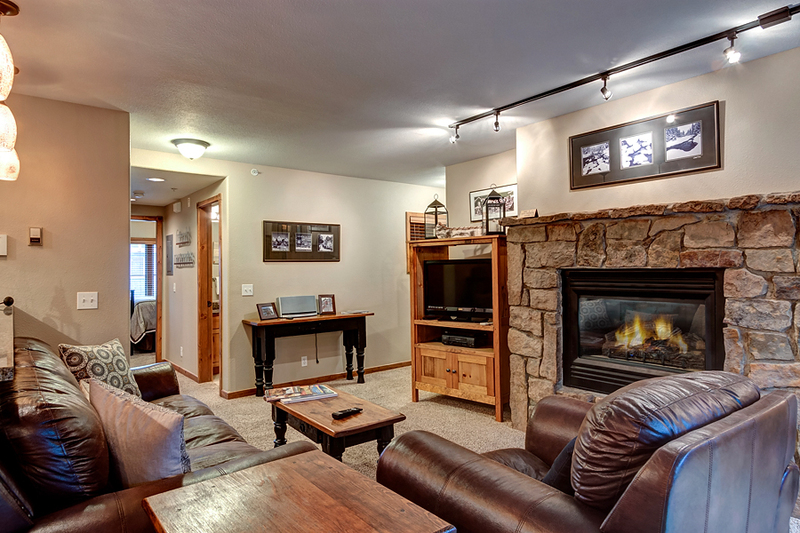 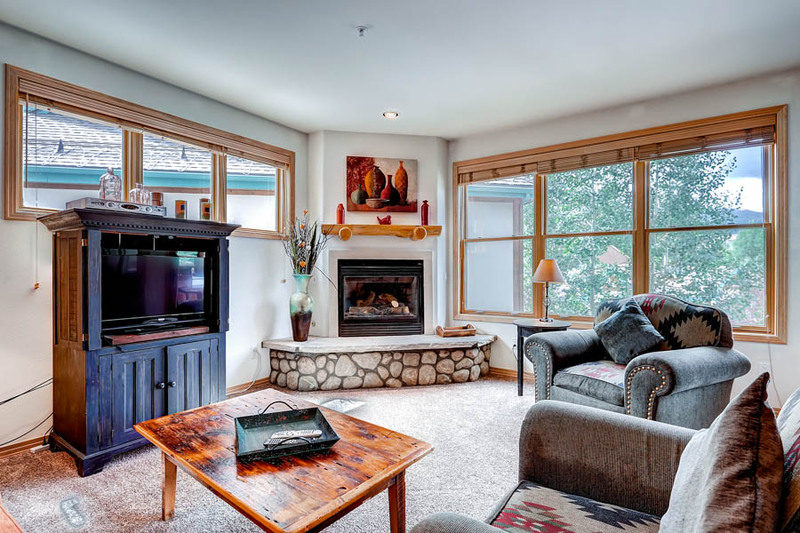 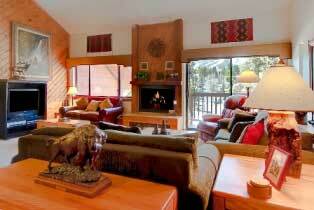 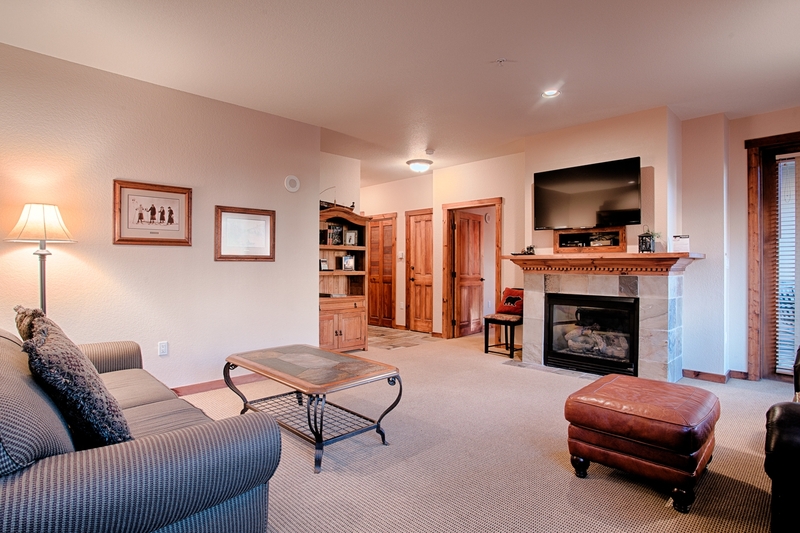 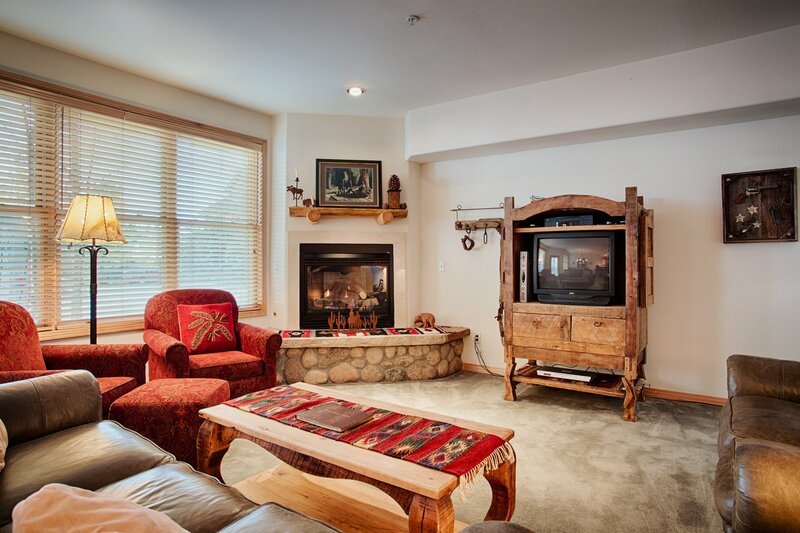 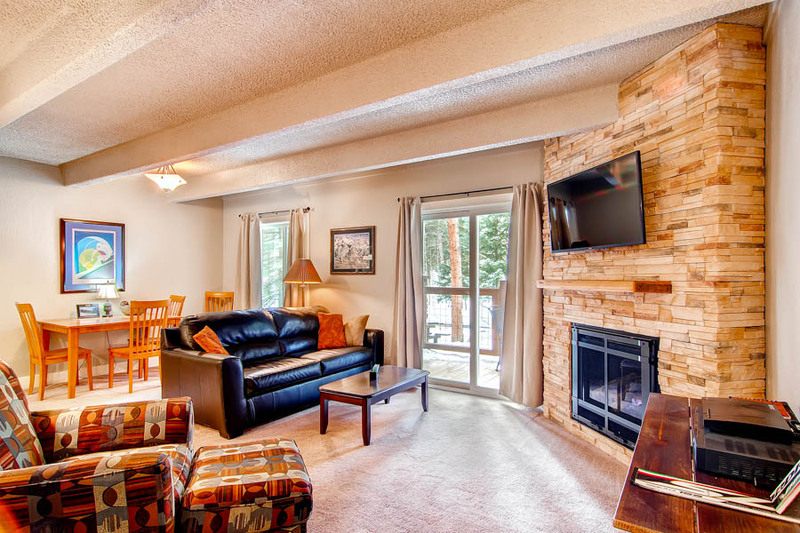 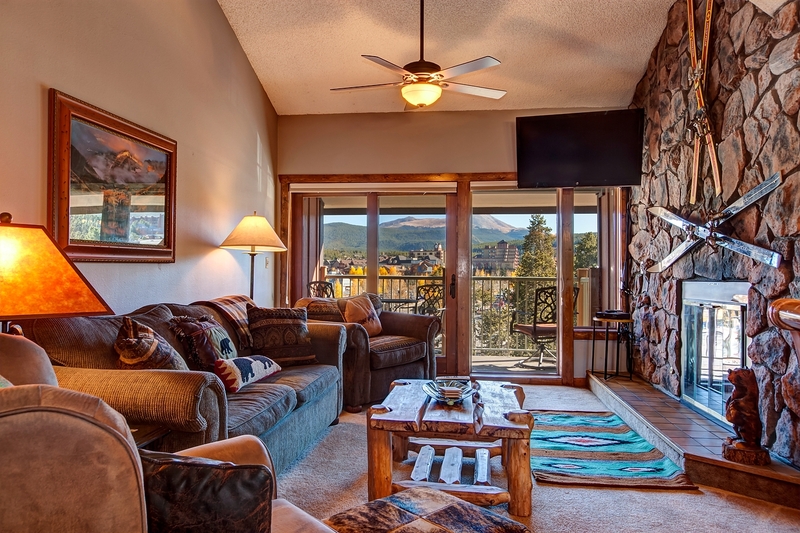 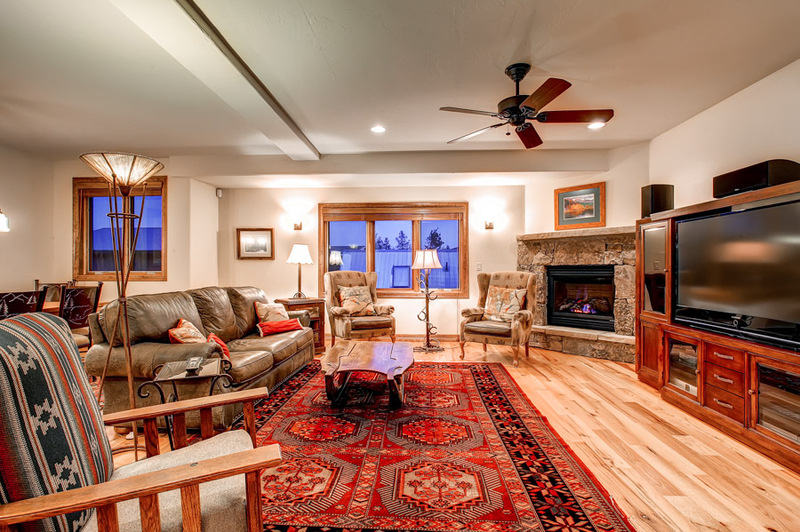 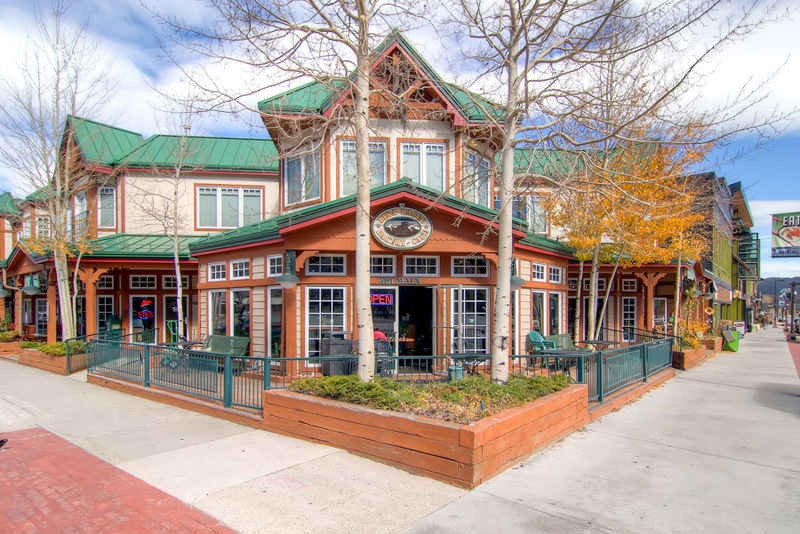 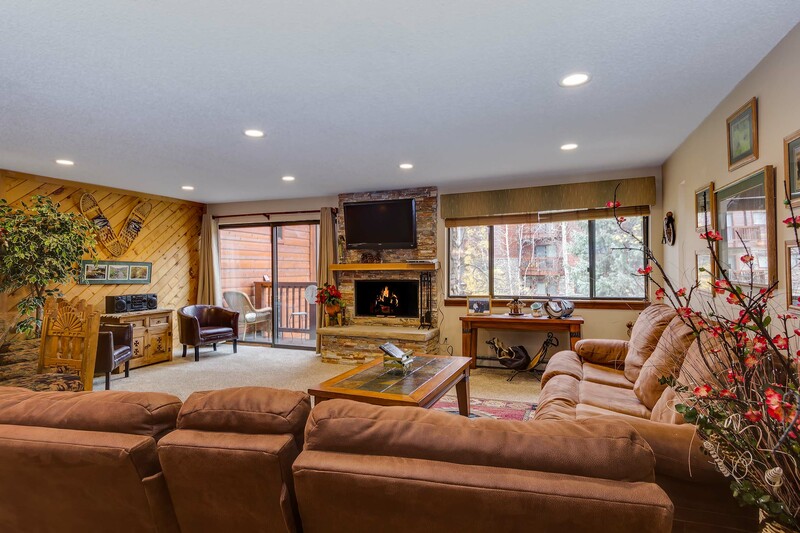 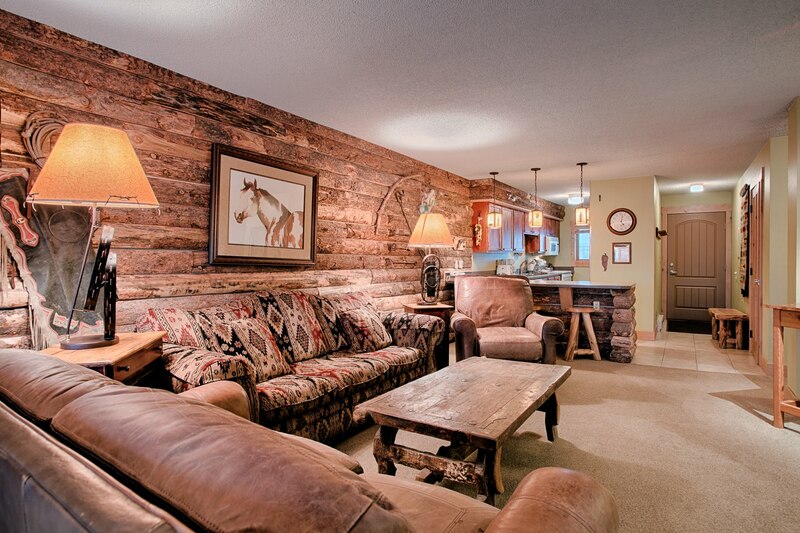 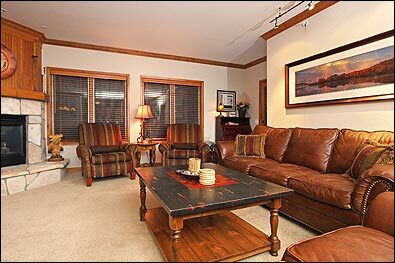 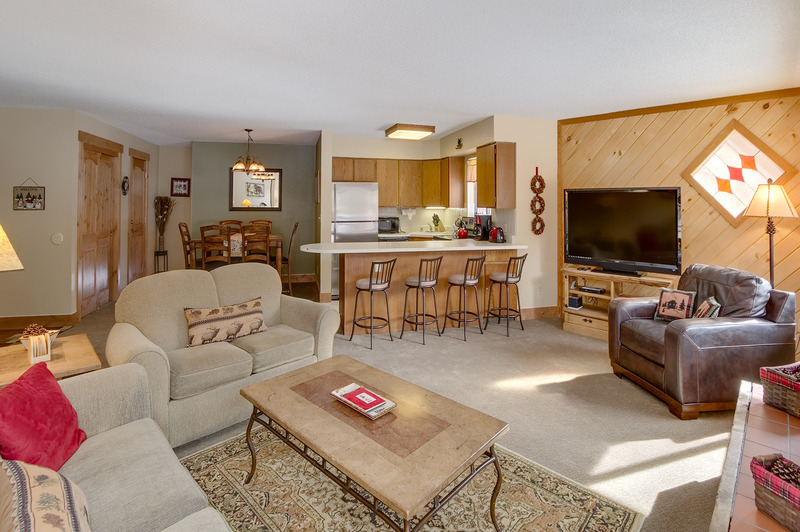 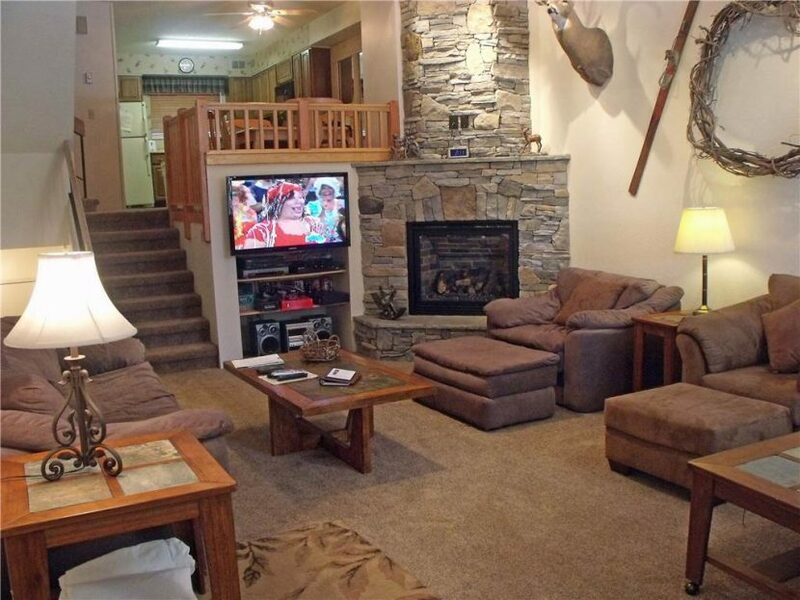 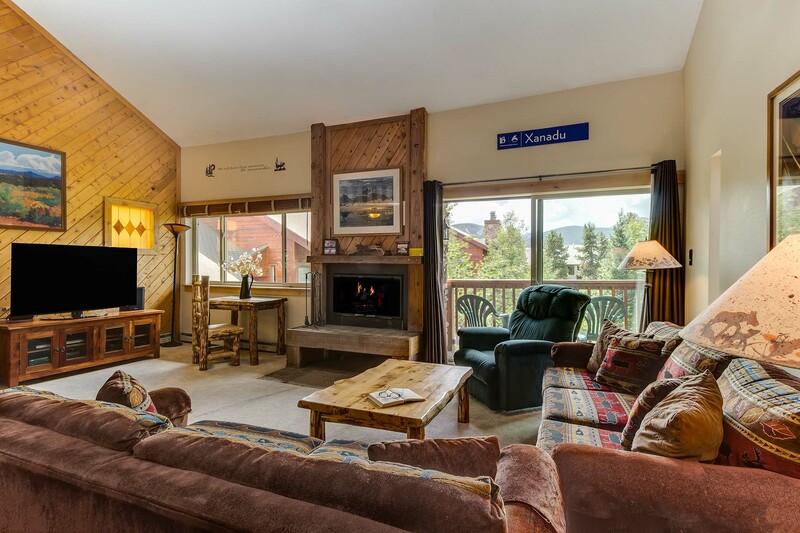 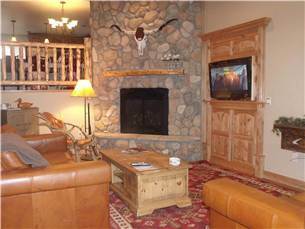 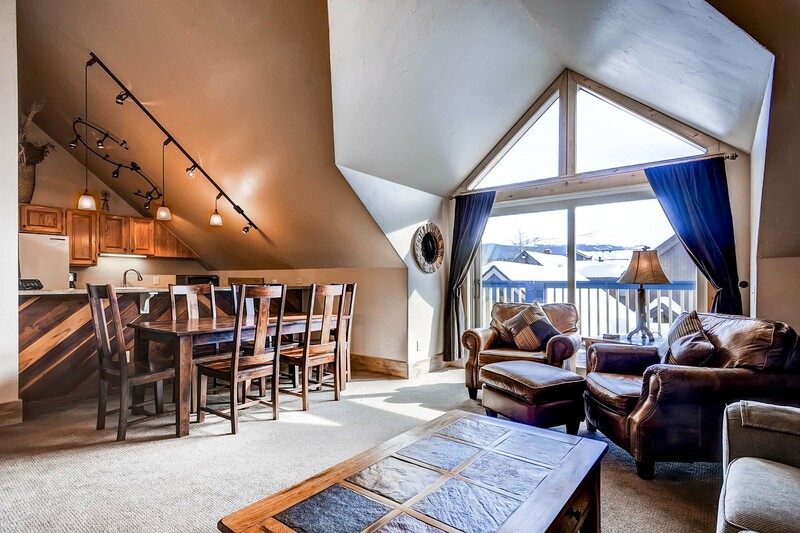 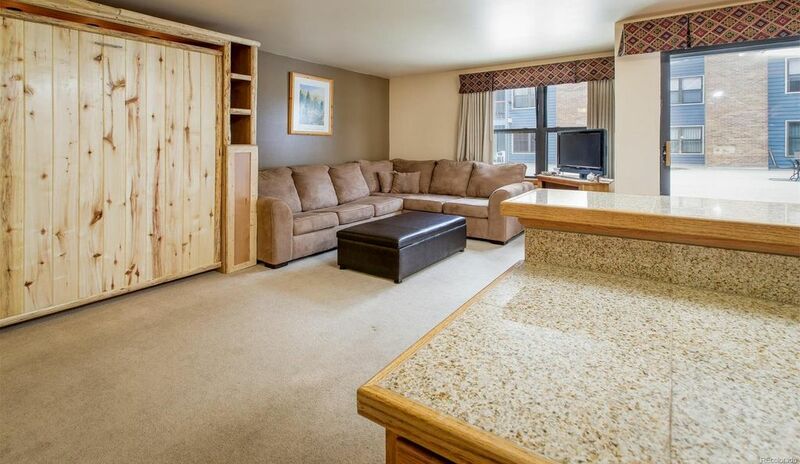 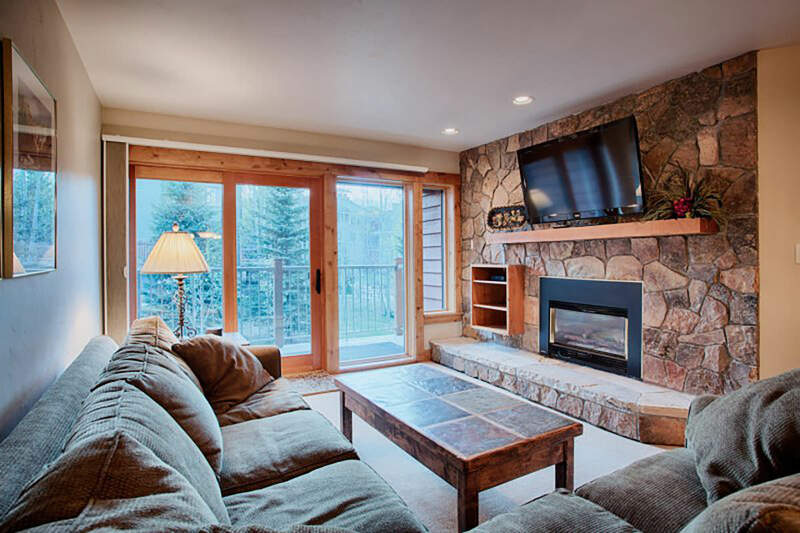 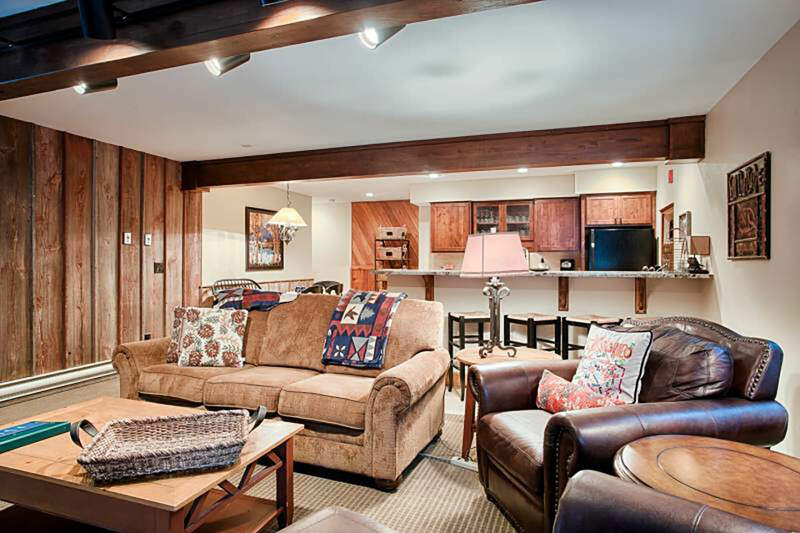 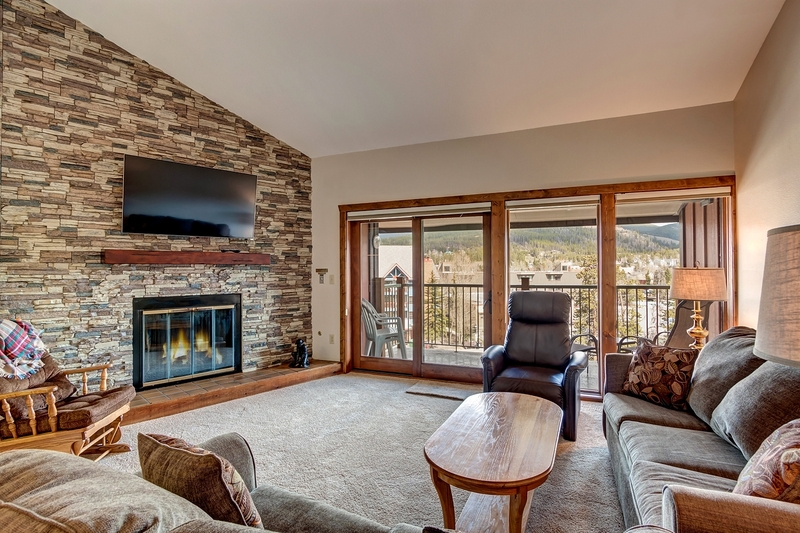 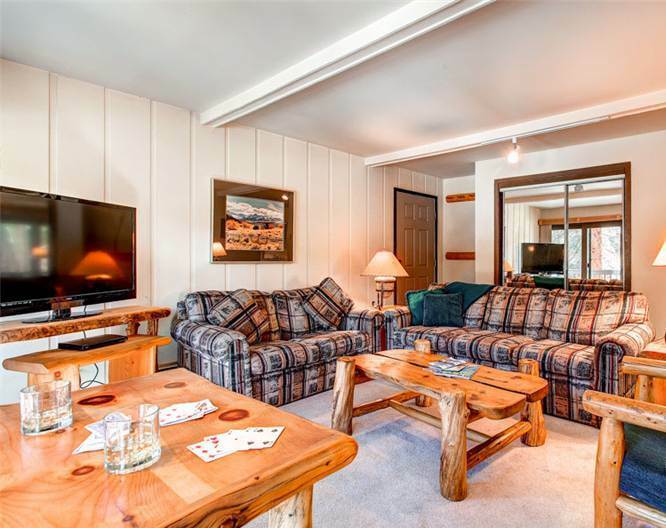 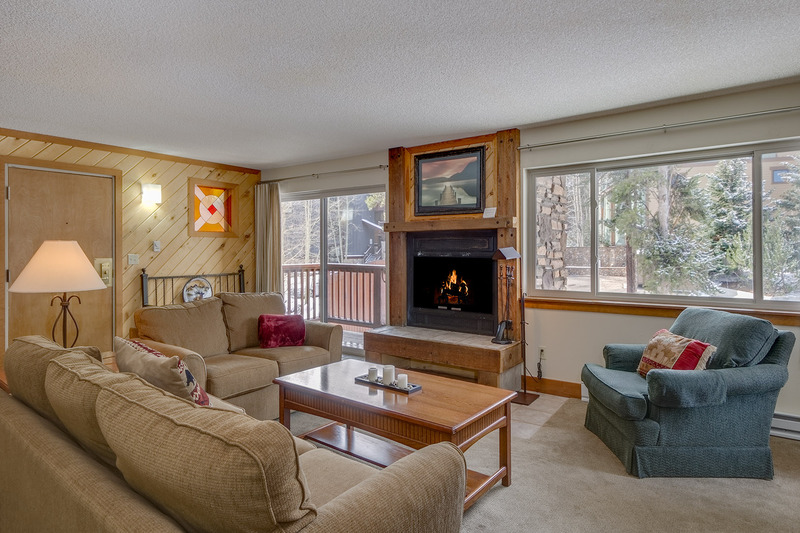 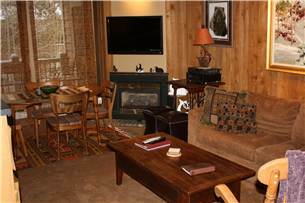 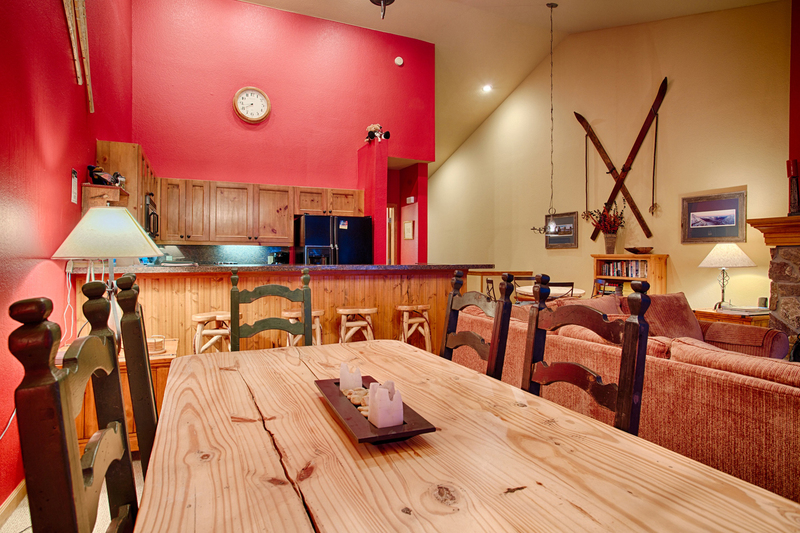 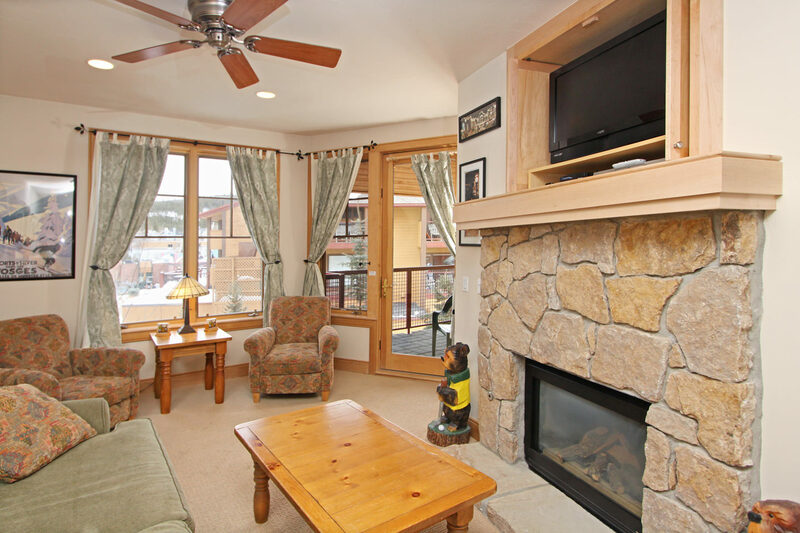 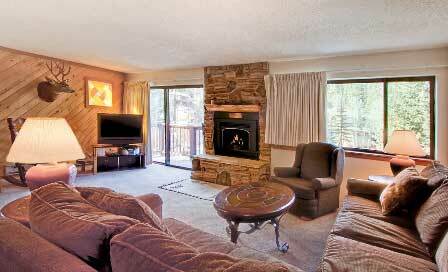 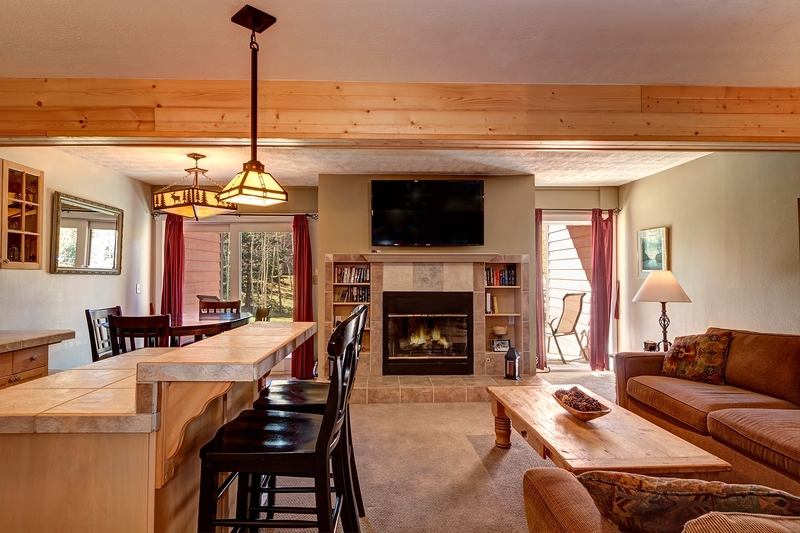 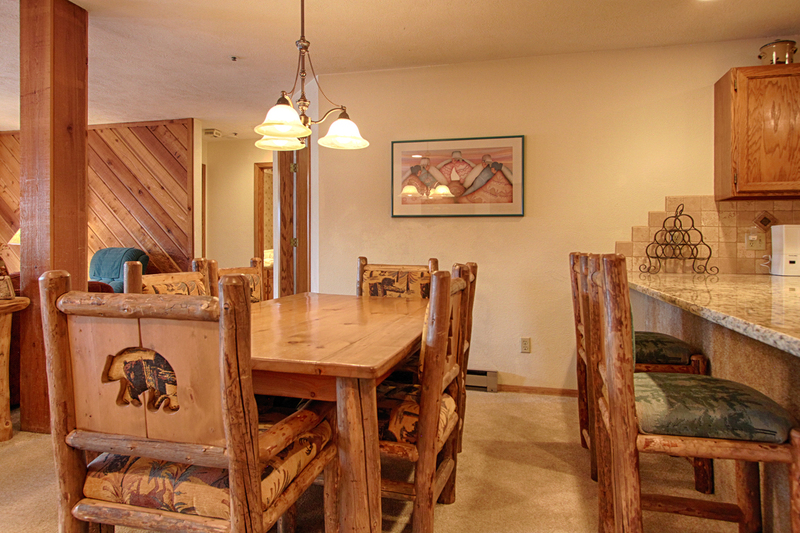 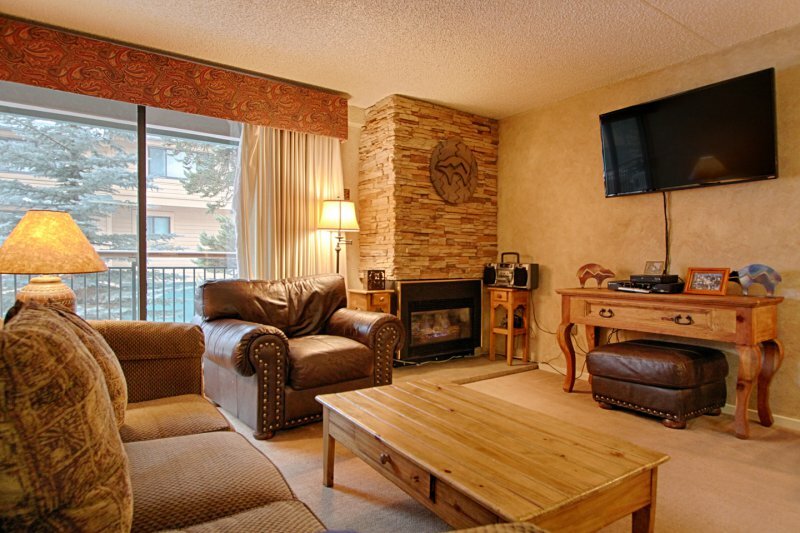 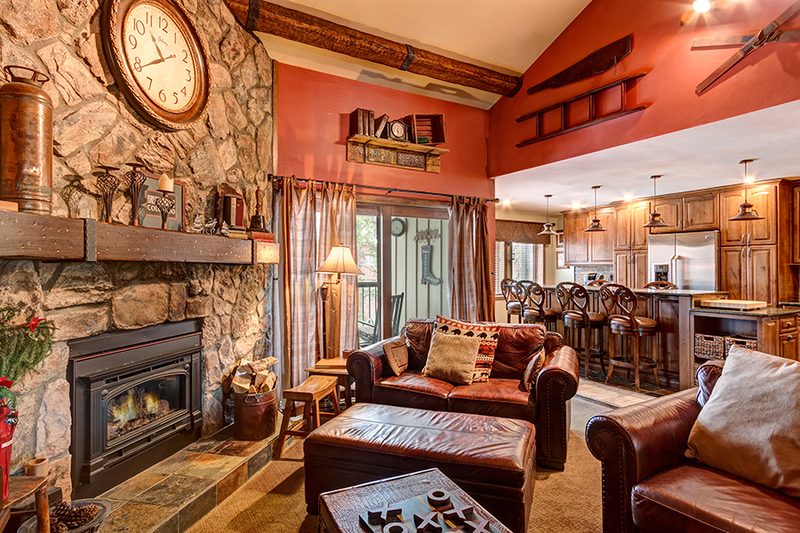 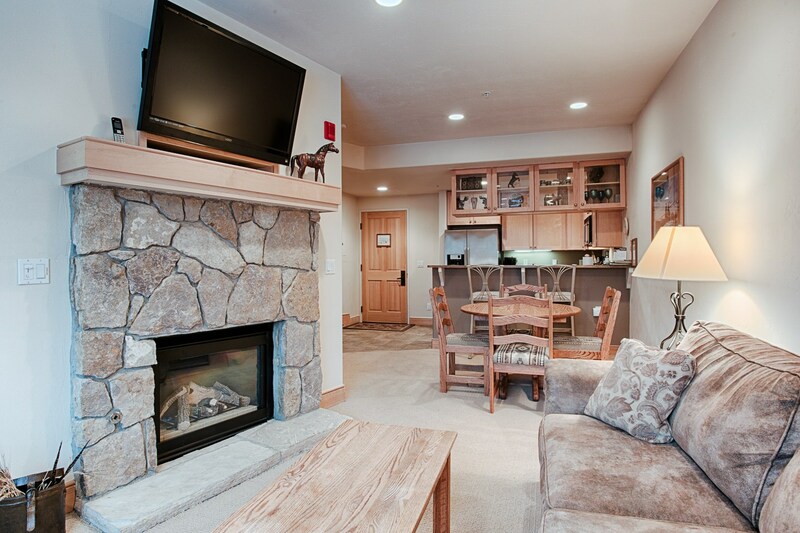 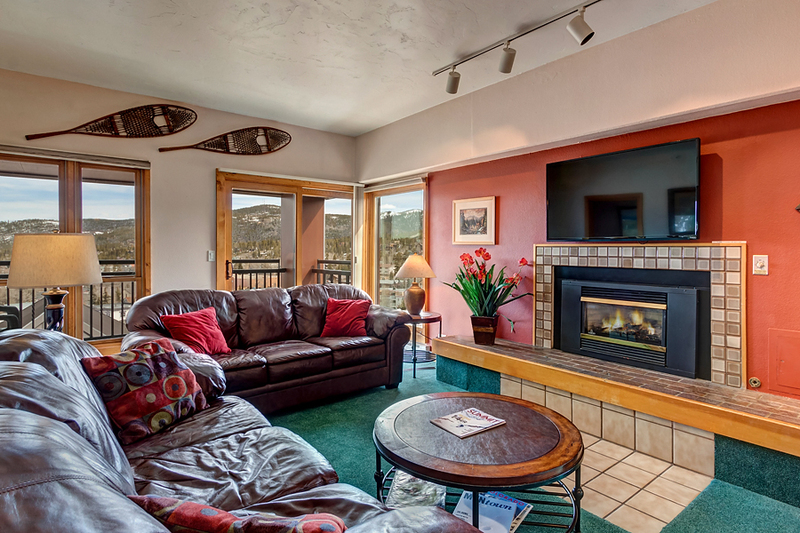 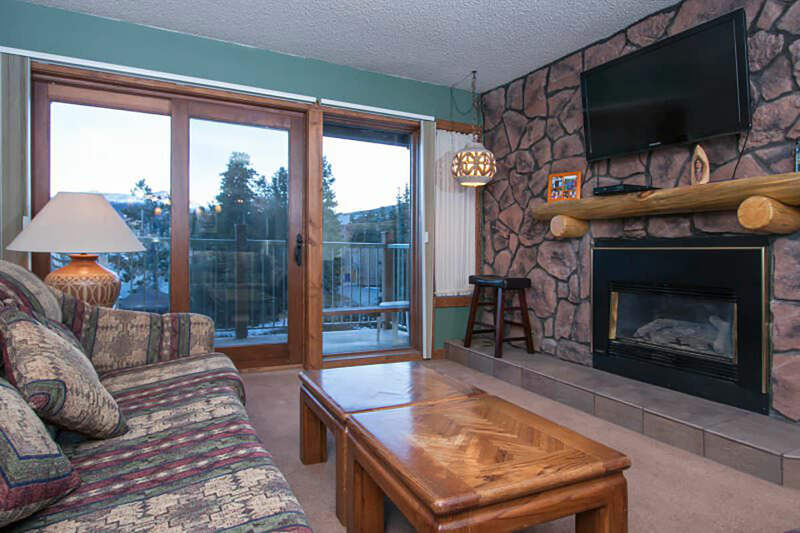 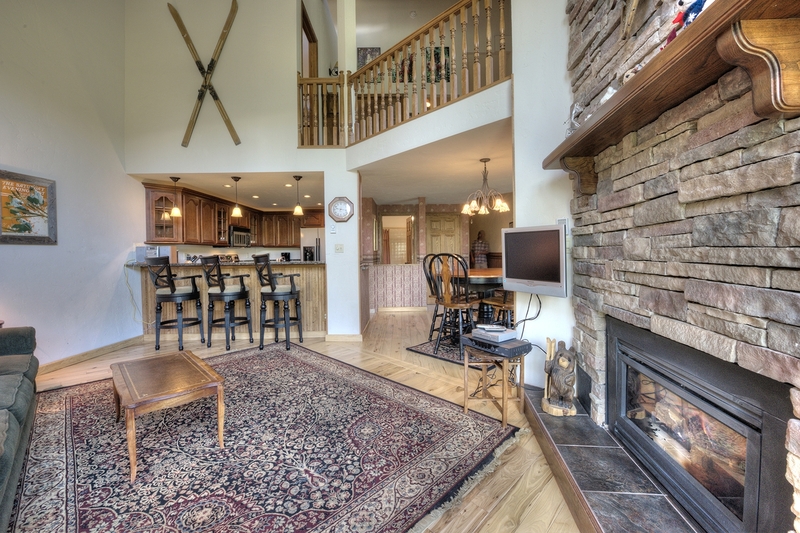 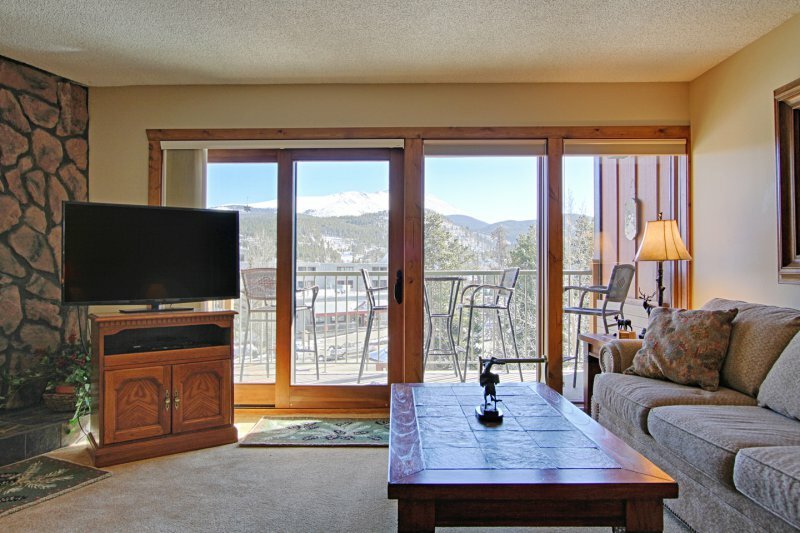 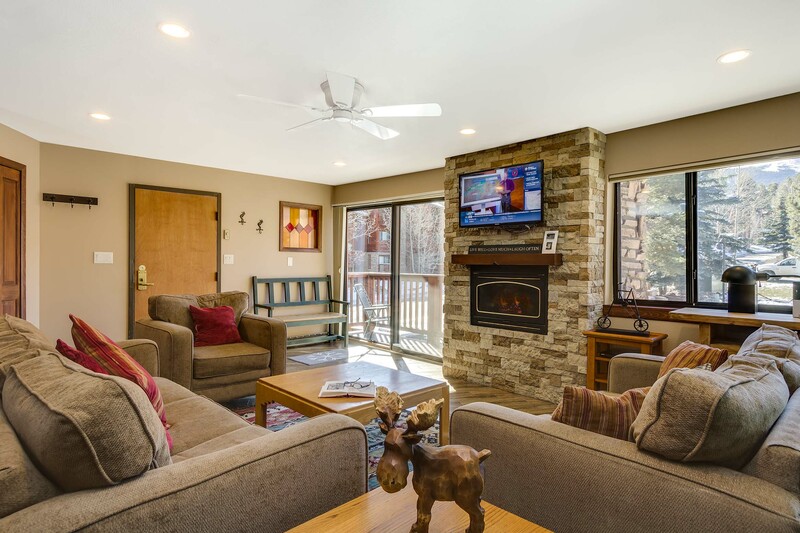 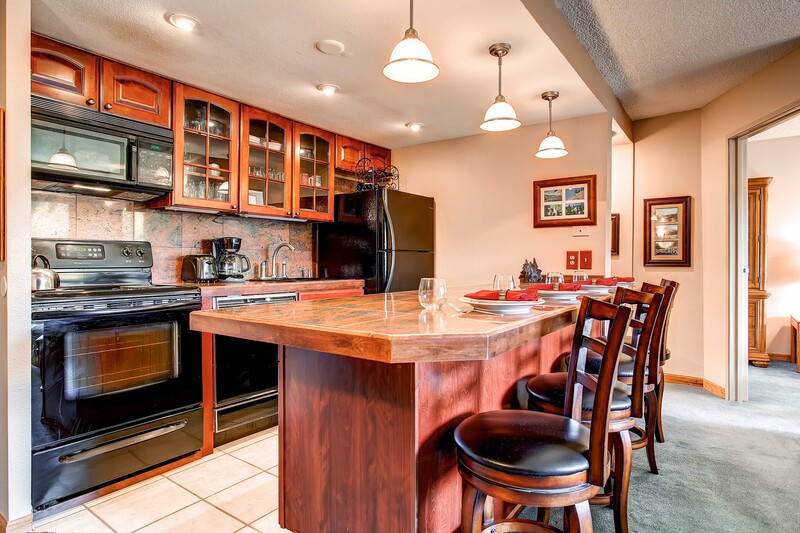 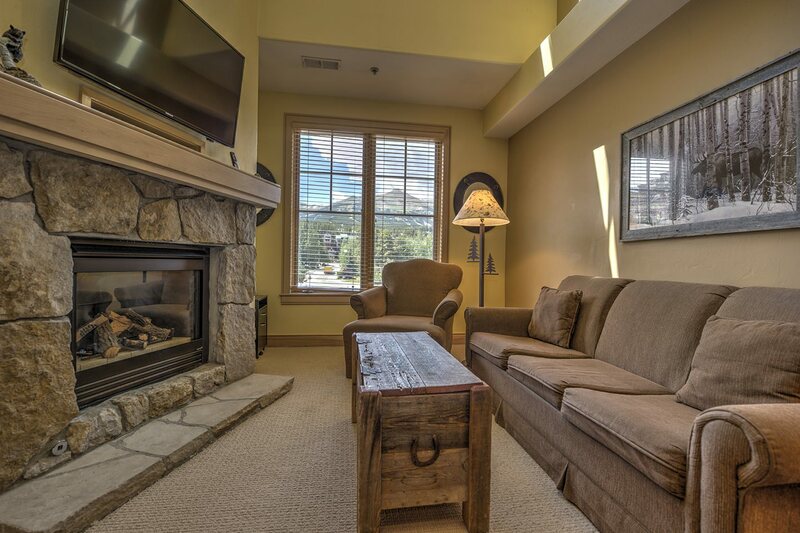 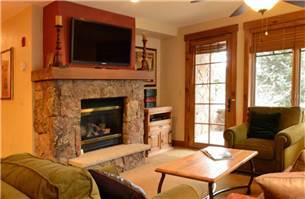 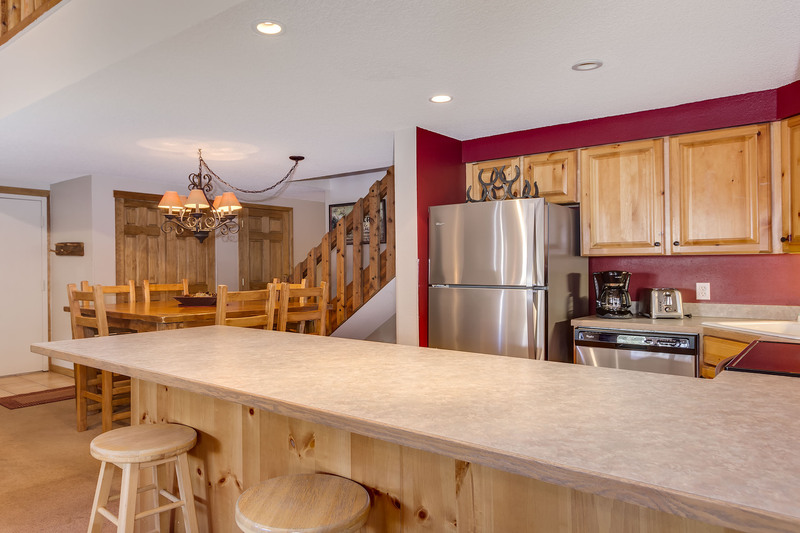 There is a pool table and wet bar for a great evening of fun after a great day in the mountains! 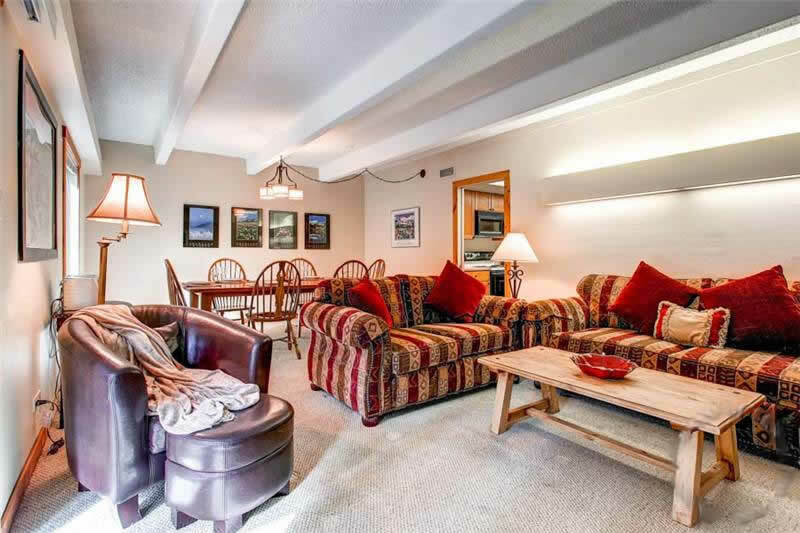 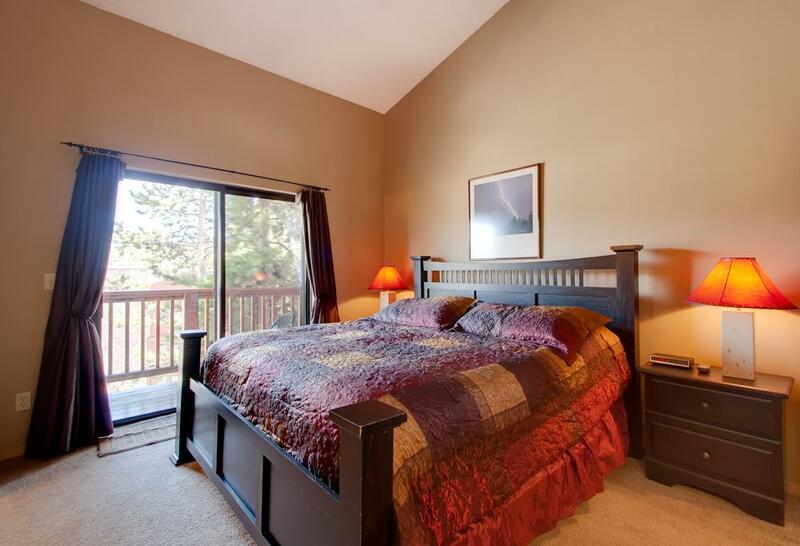 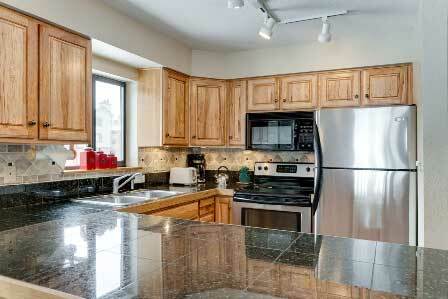 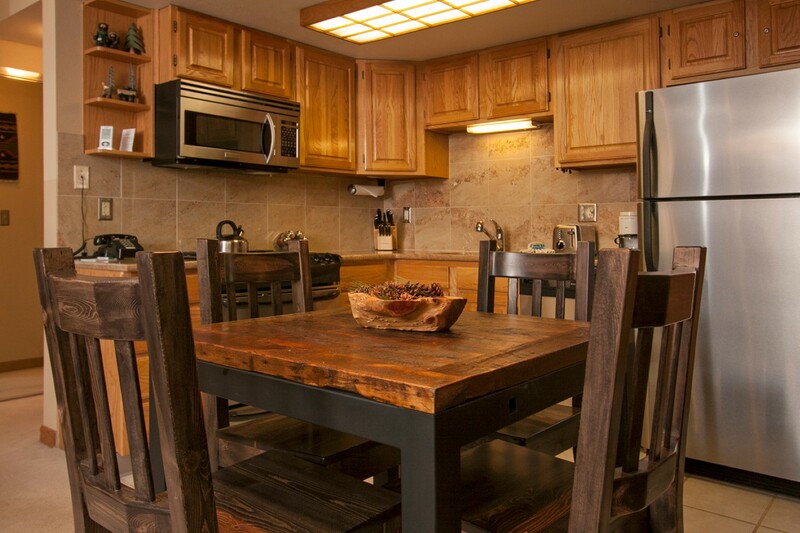 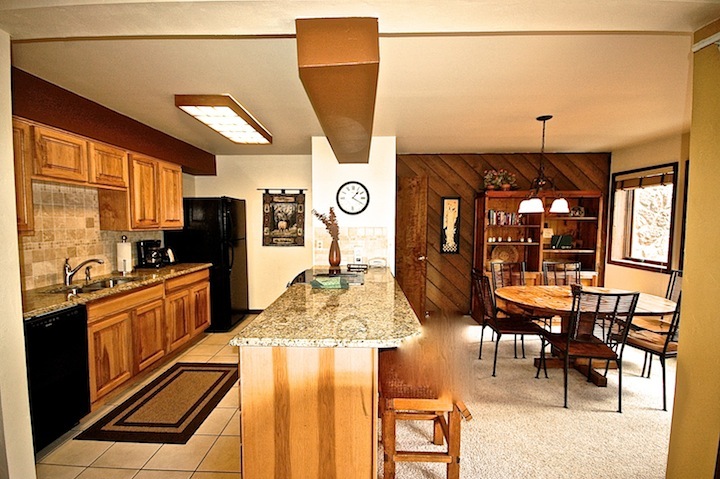 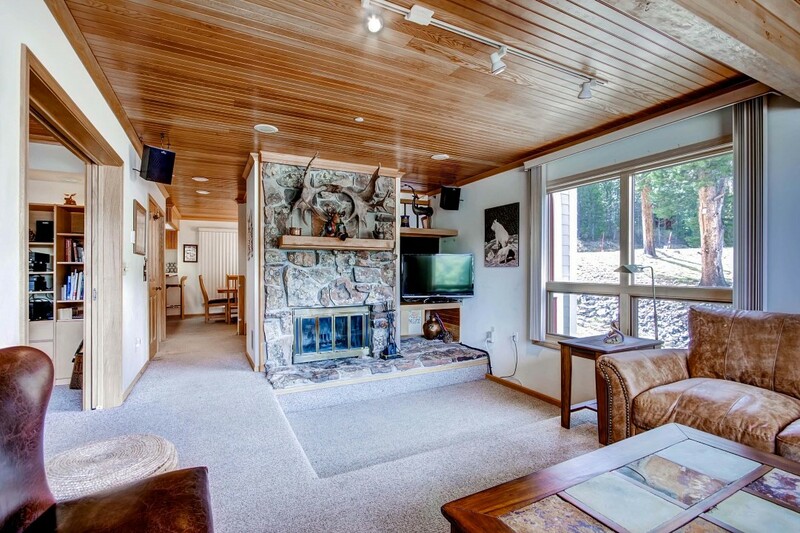 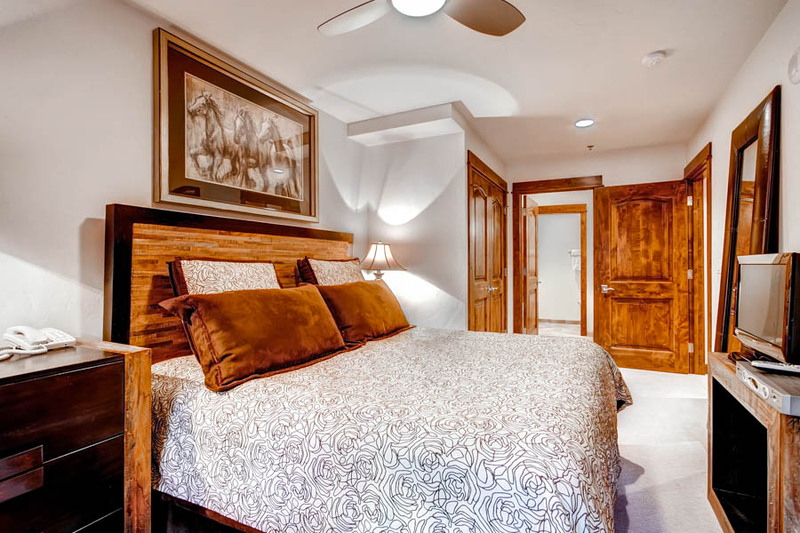 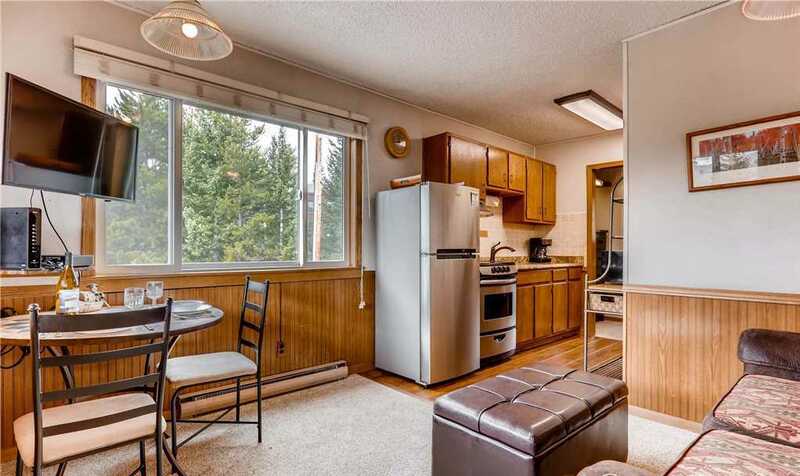 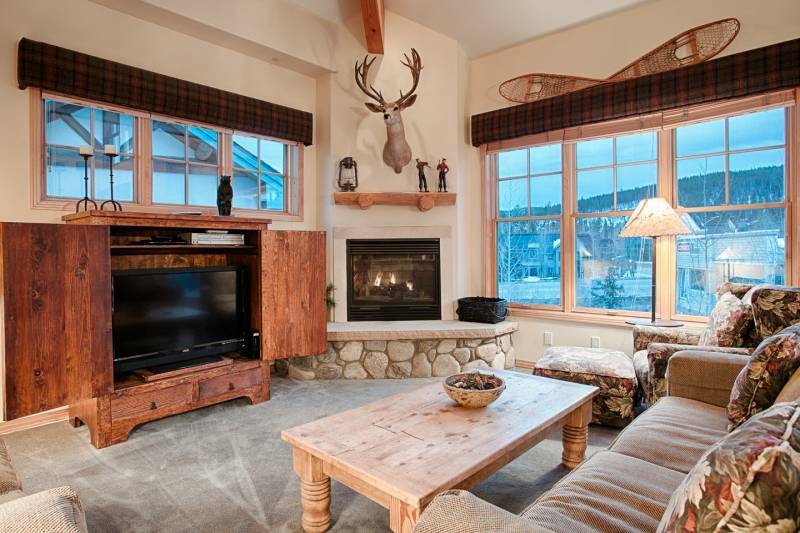 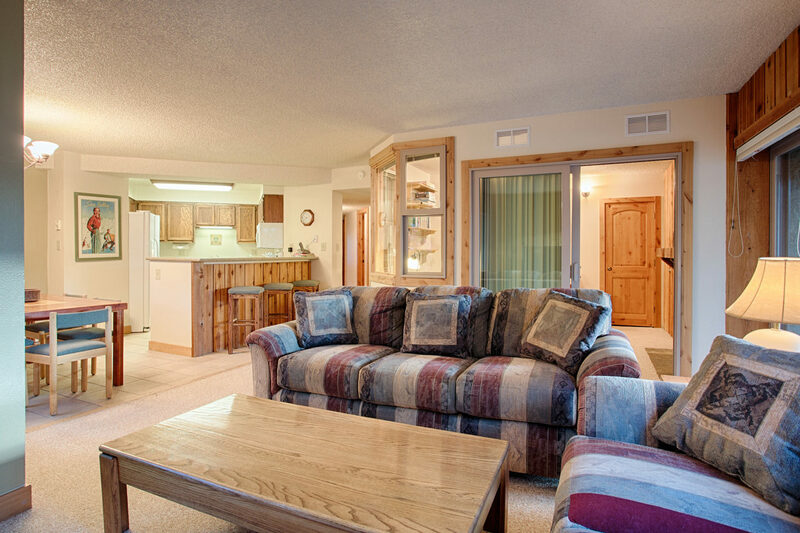 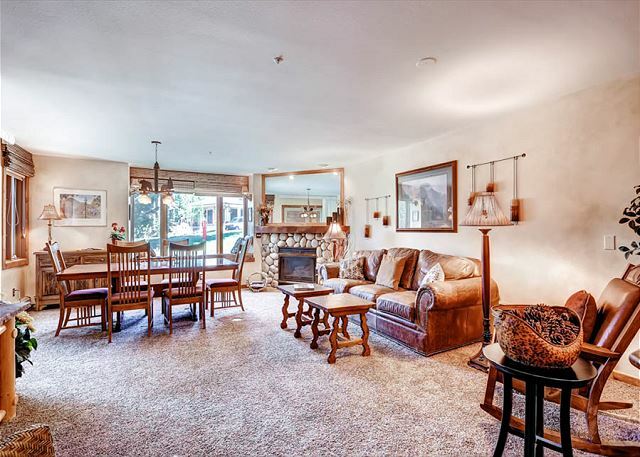 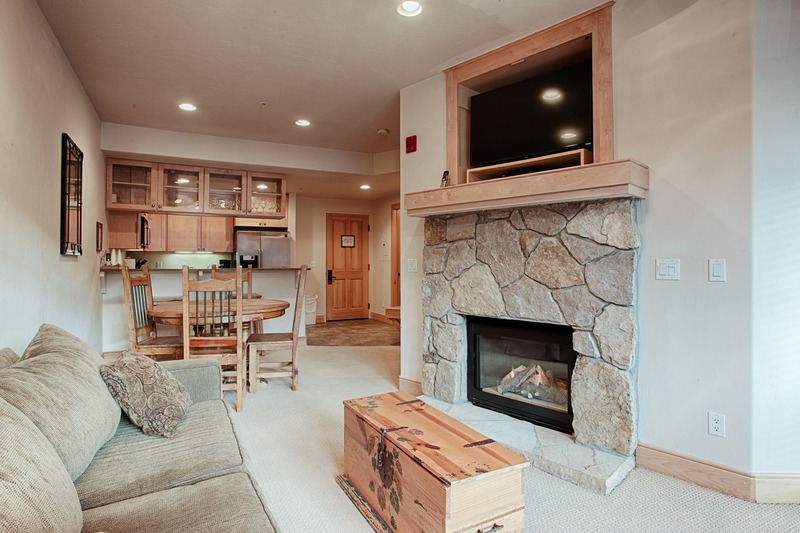 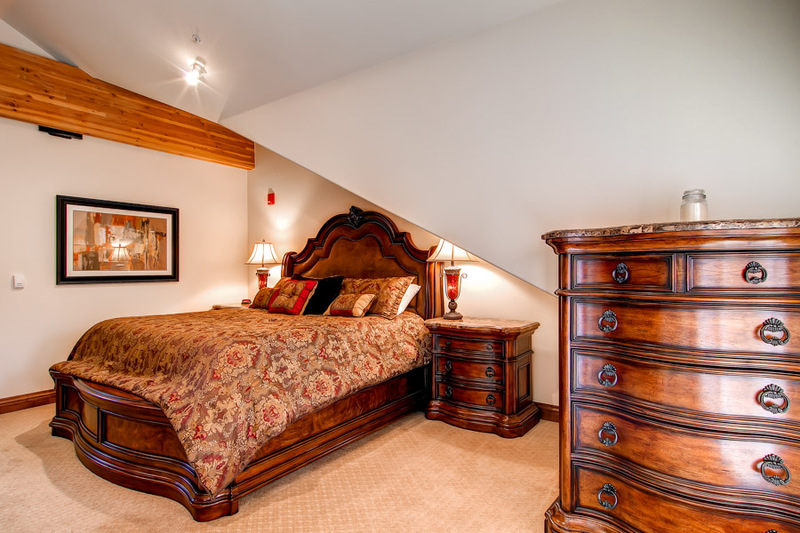 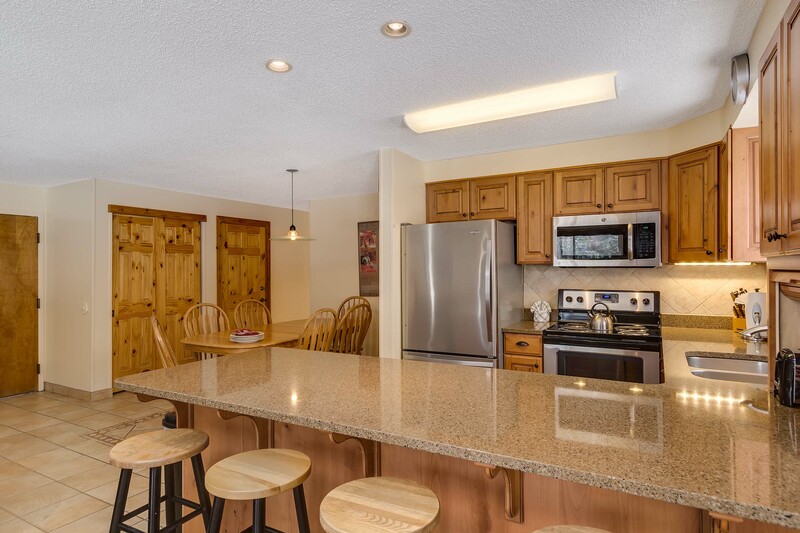 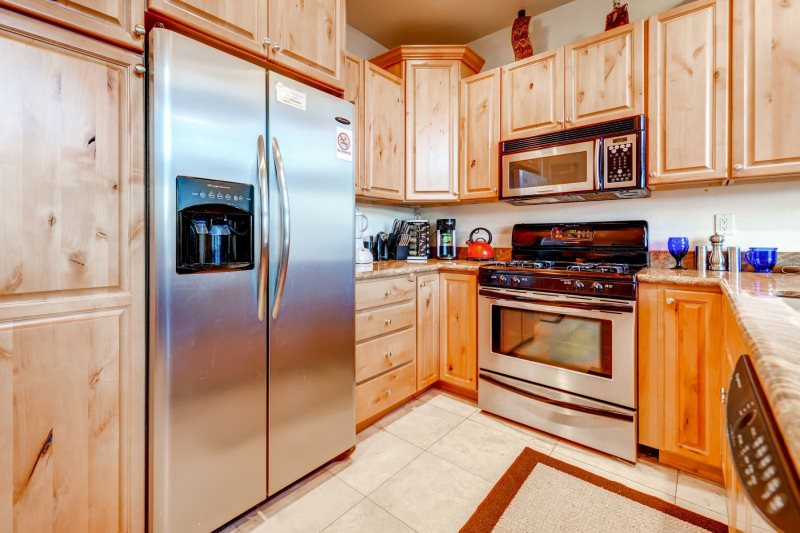 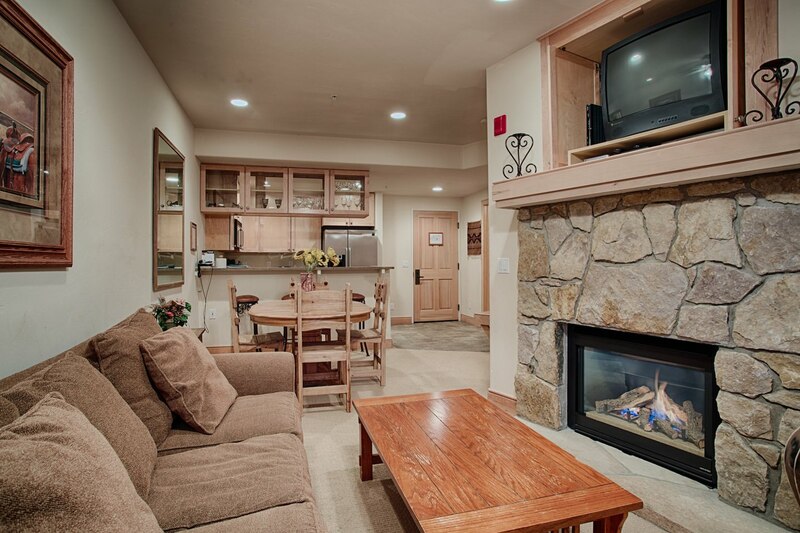 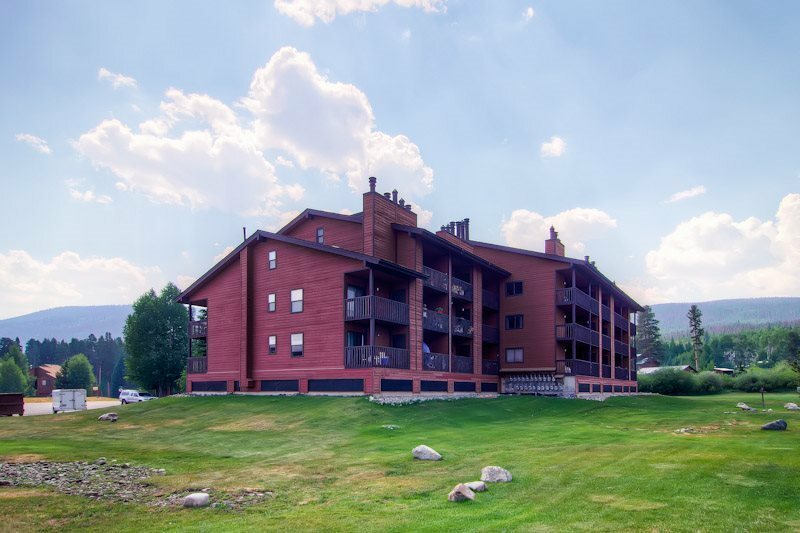 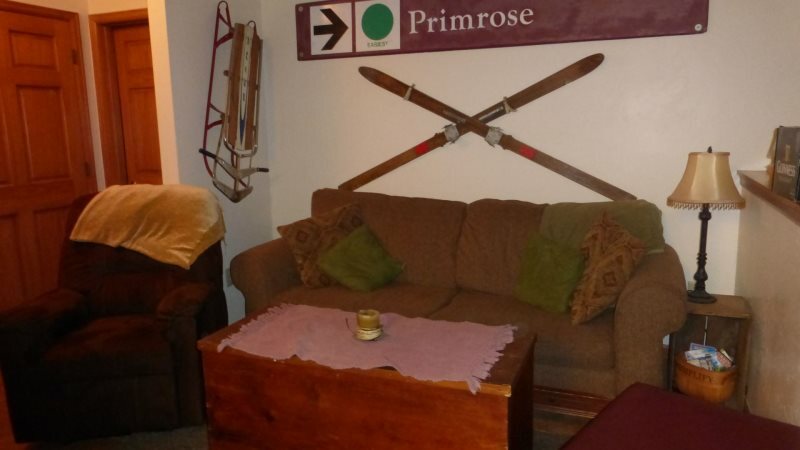 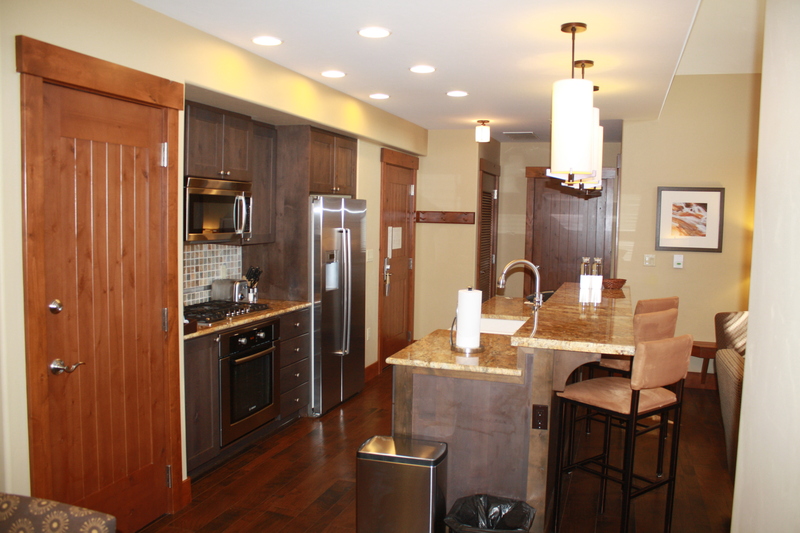 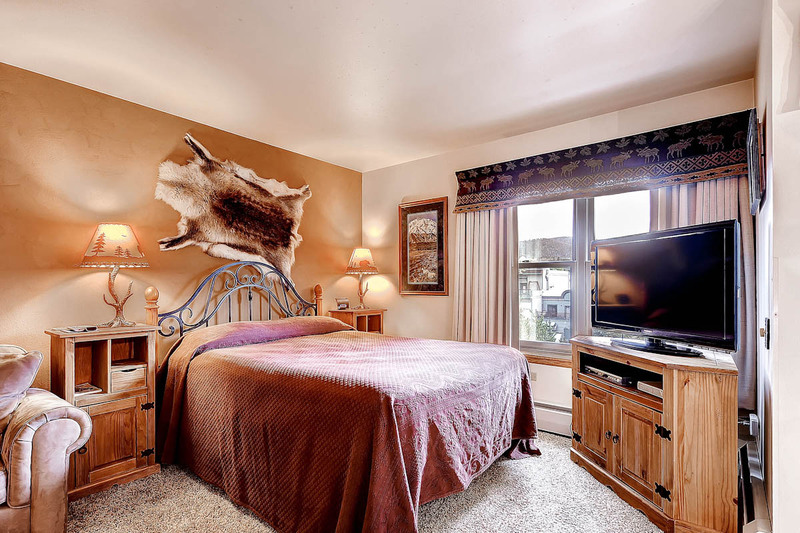 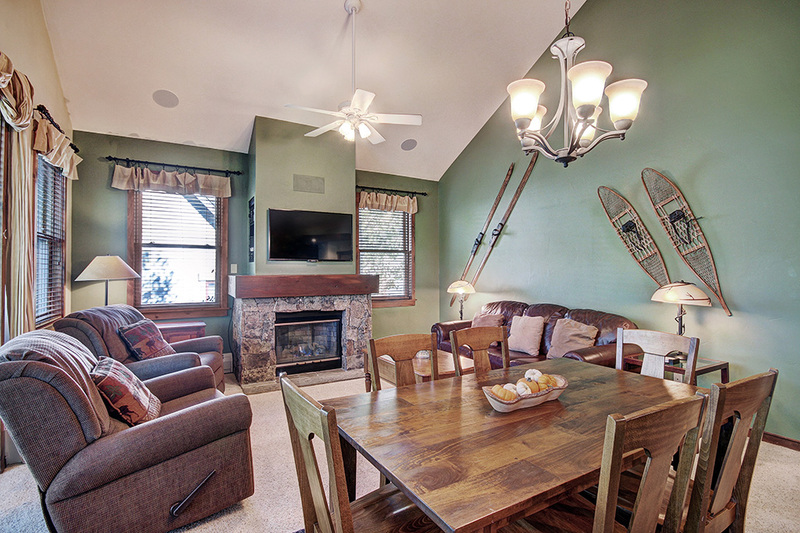 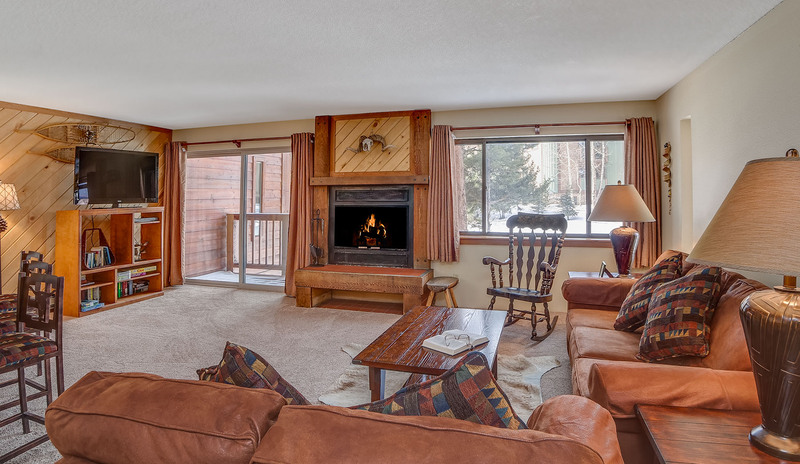 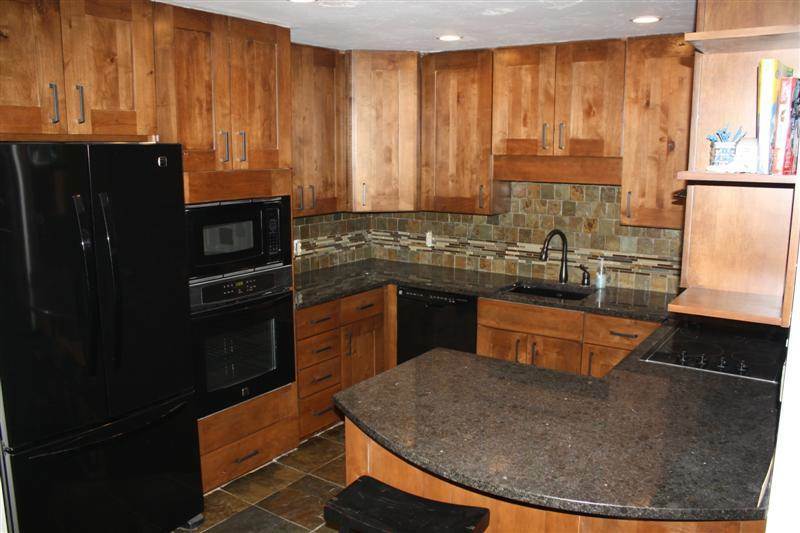 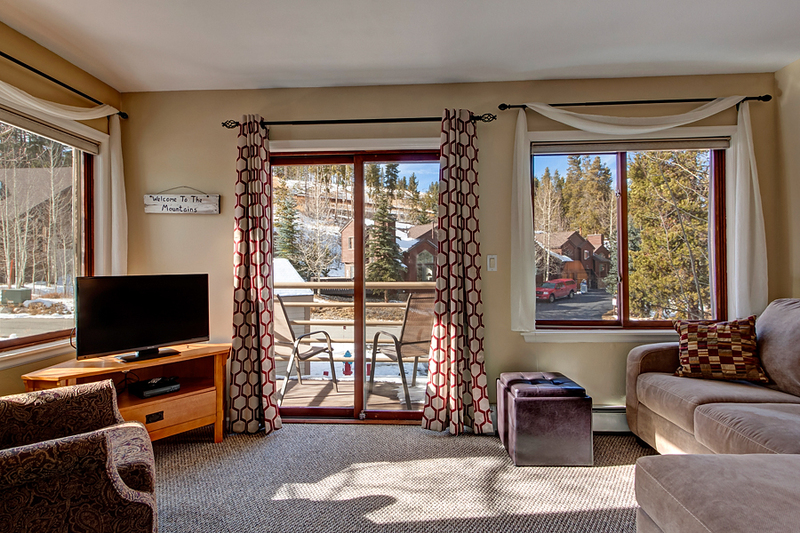 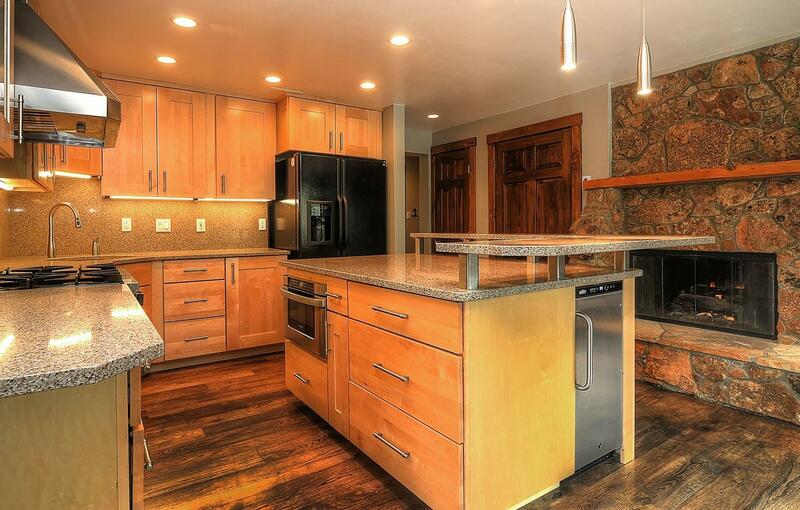 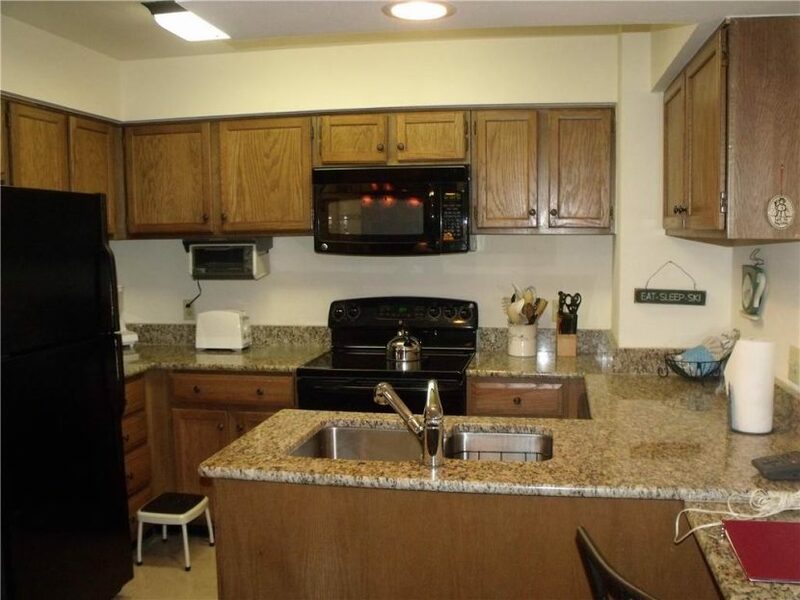 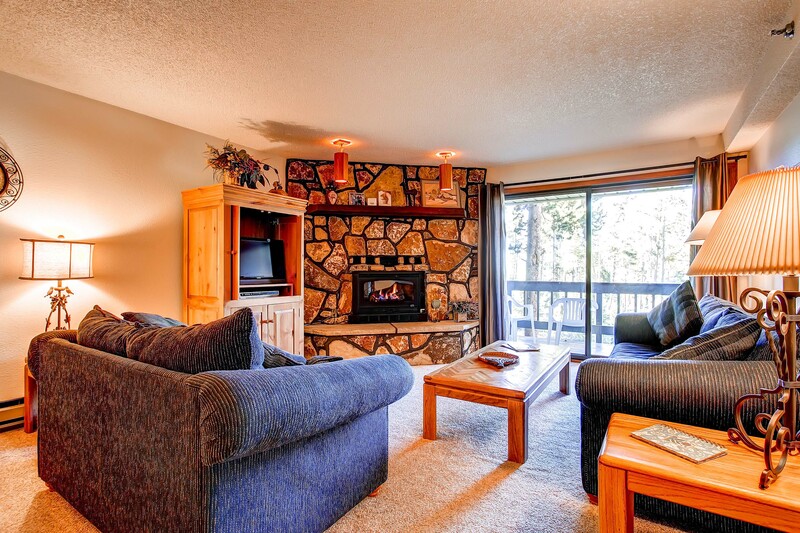 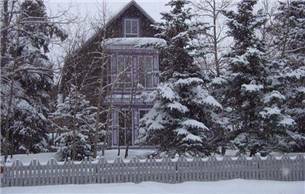 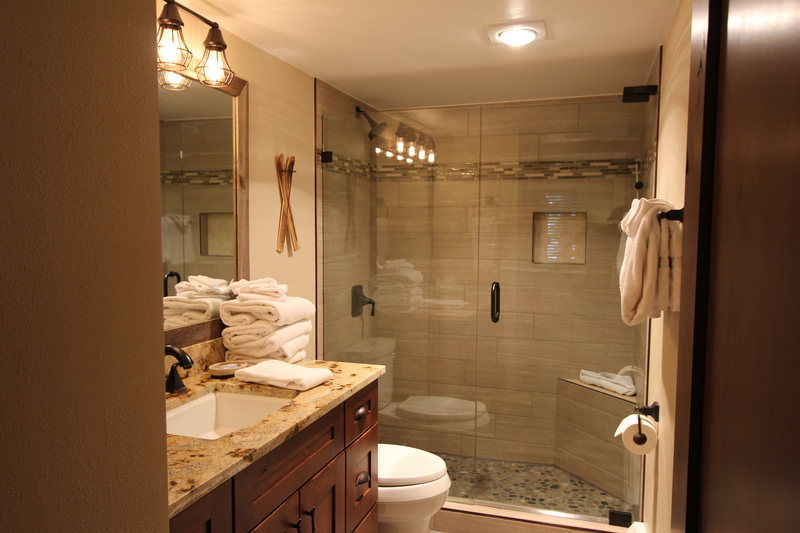 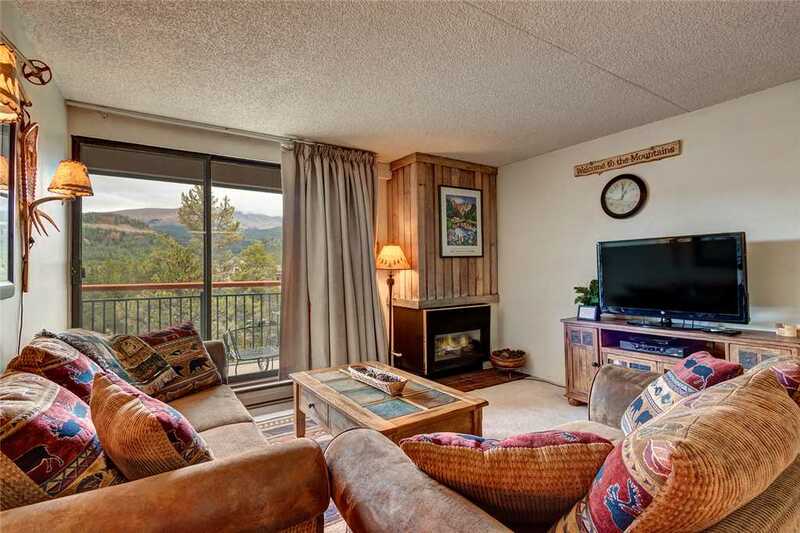 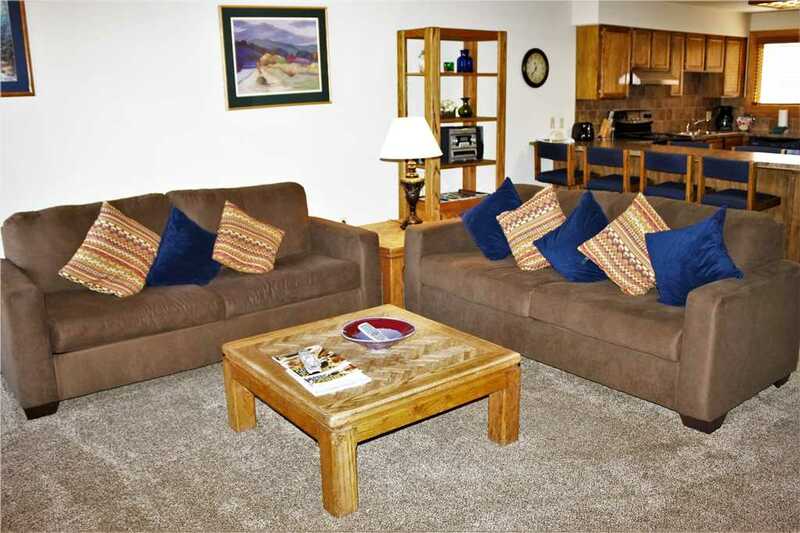 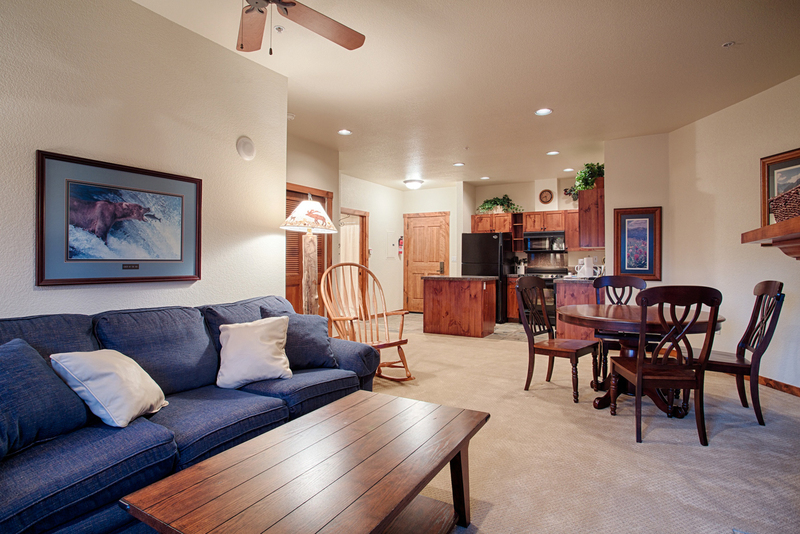 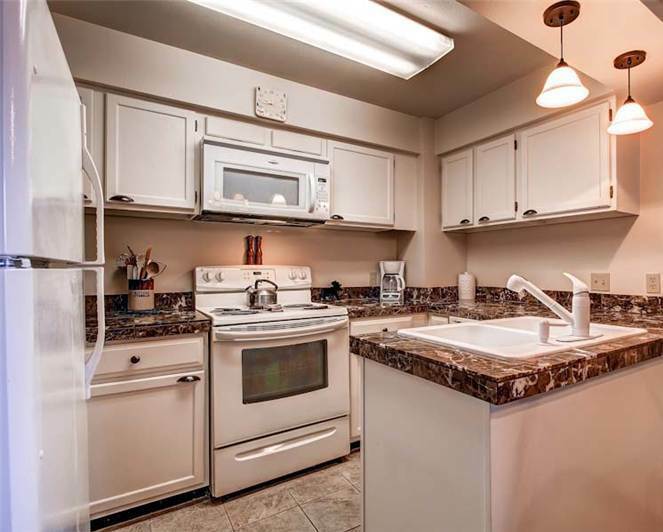 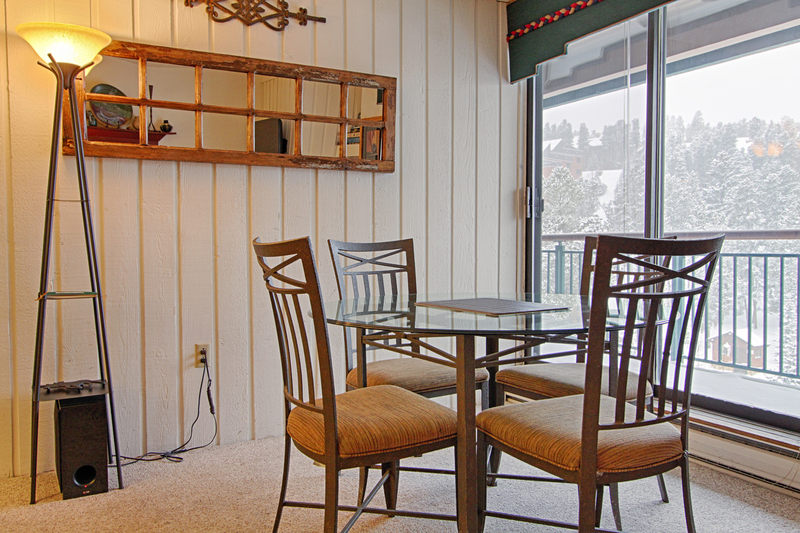 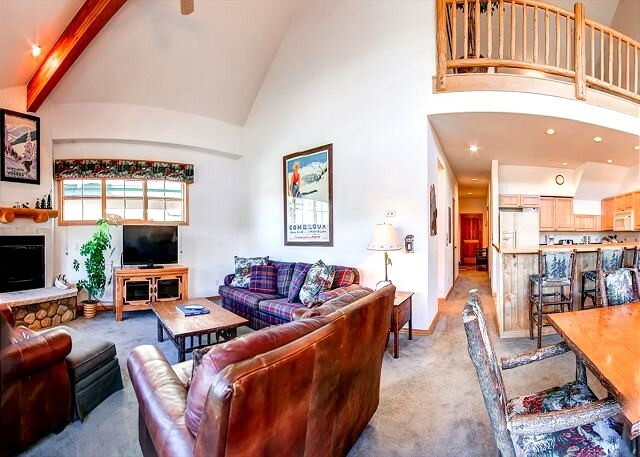 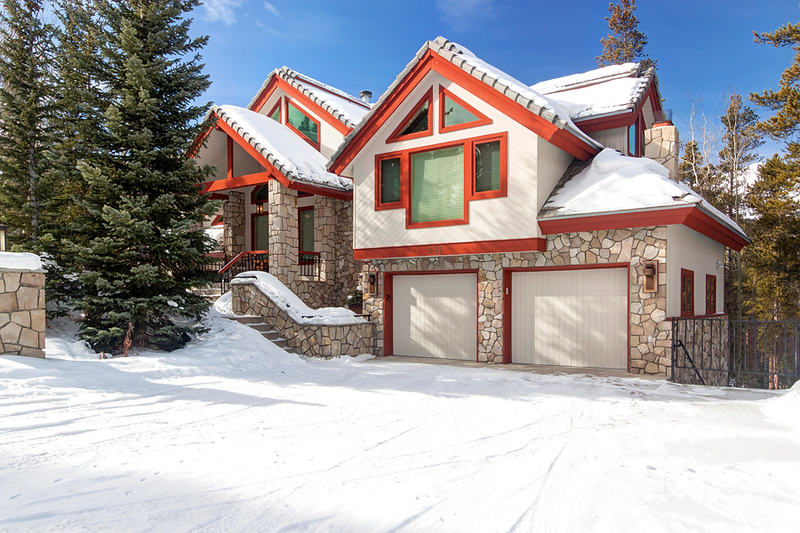 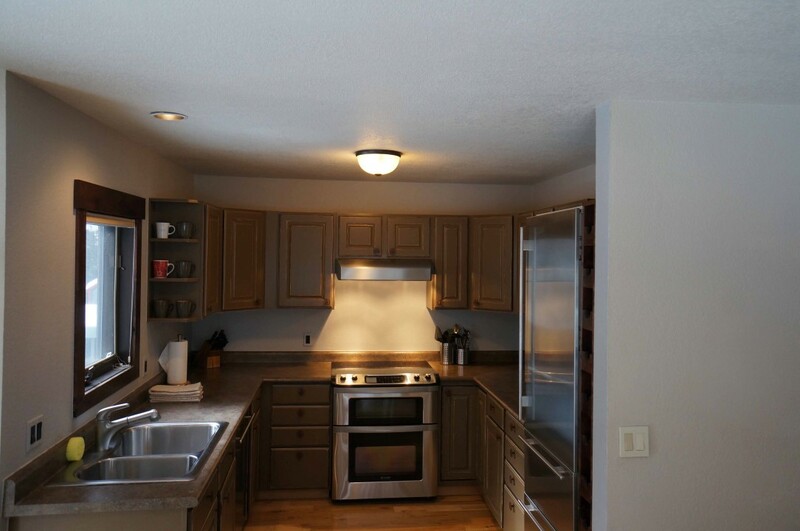 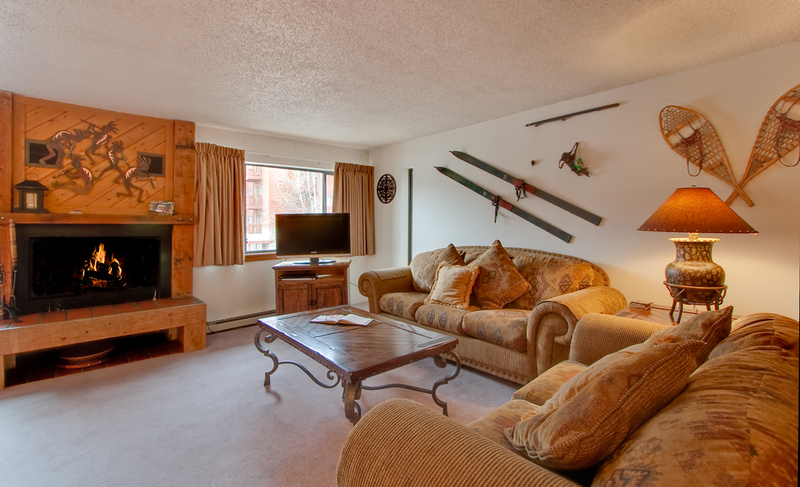 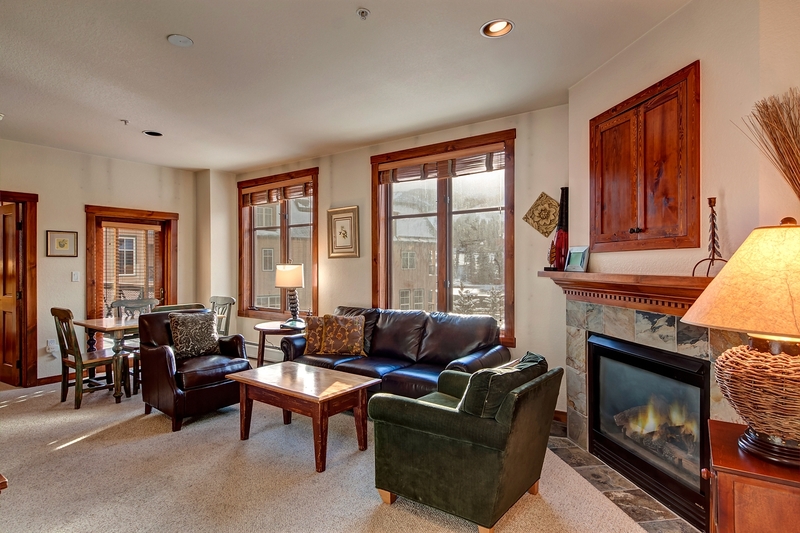 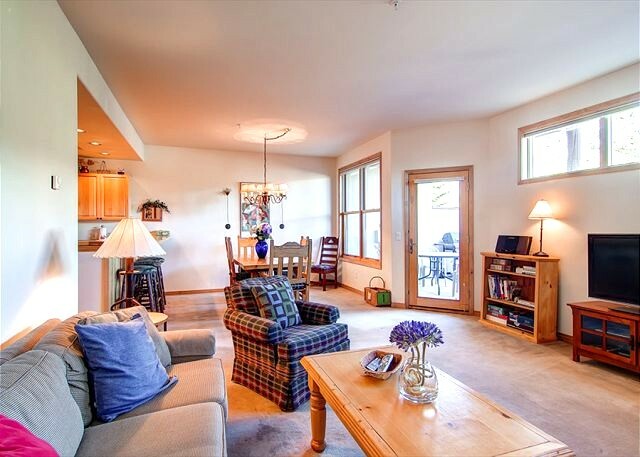 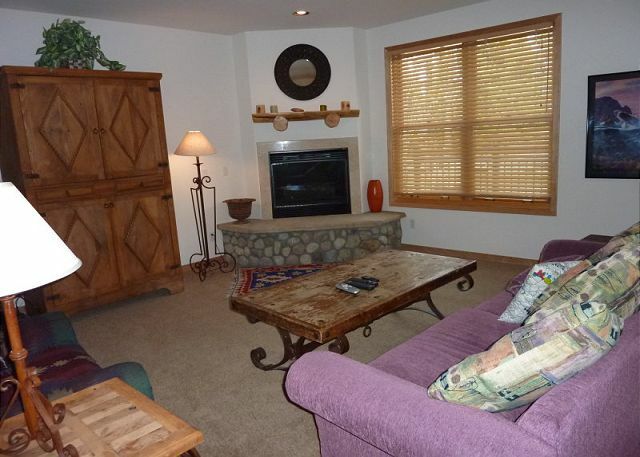 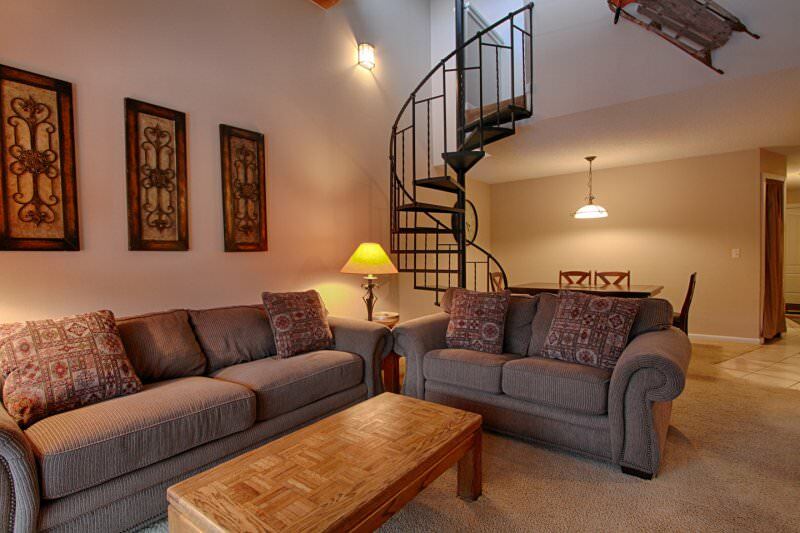 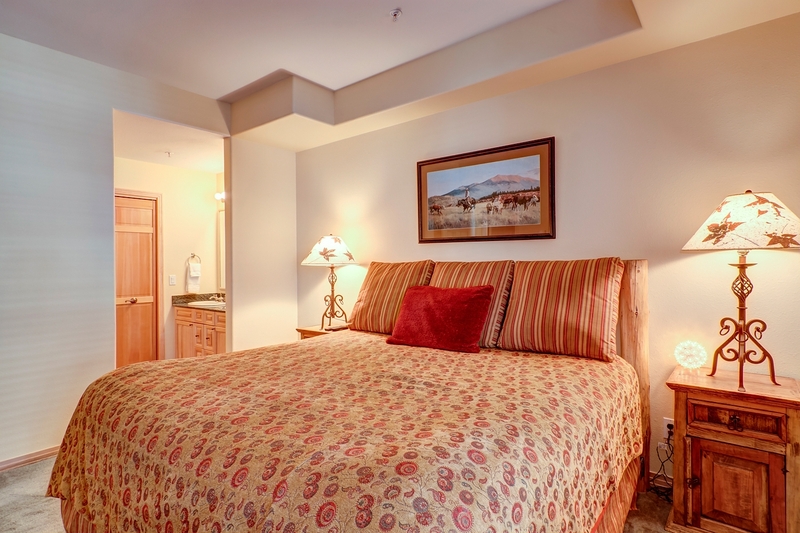 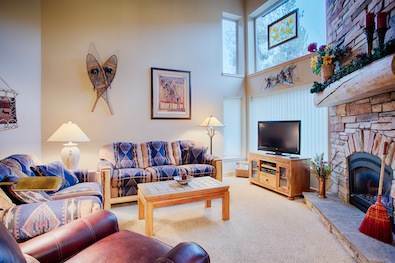 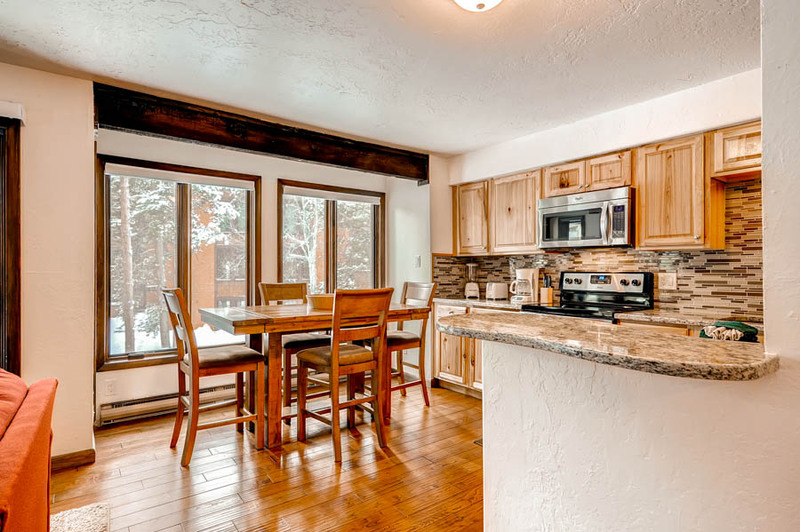 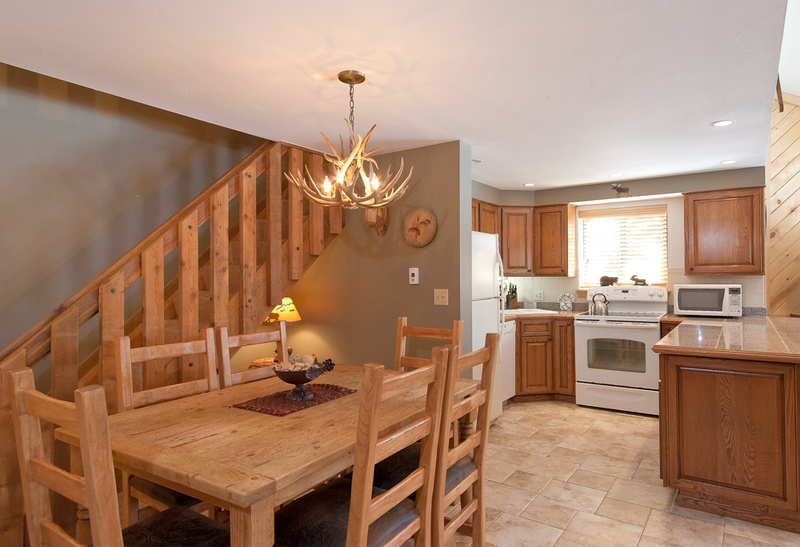 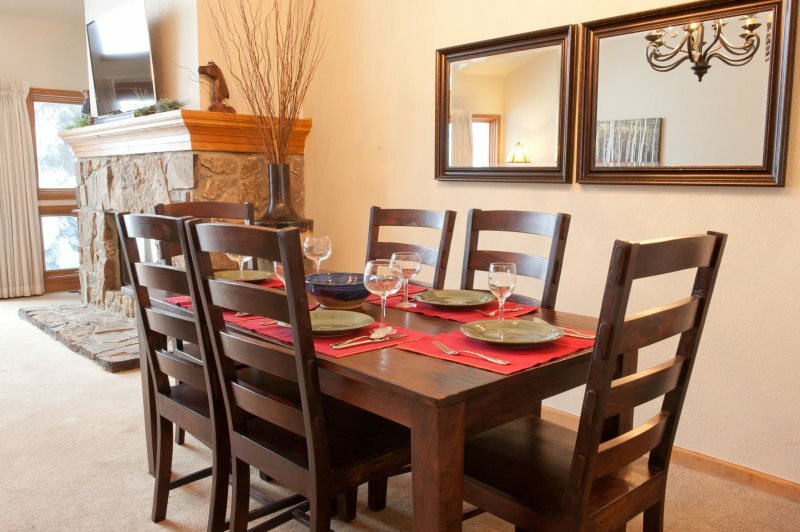 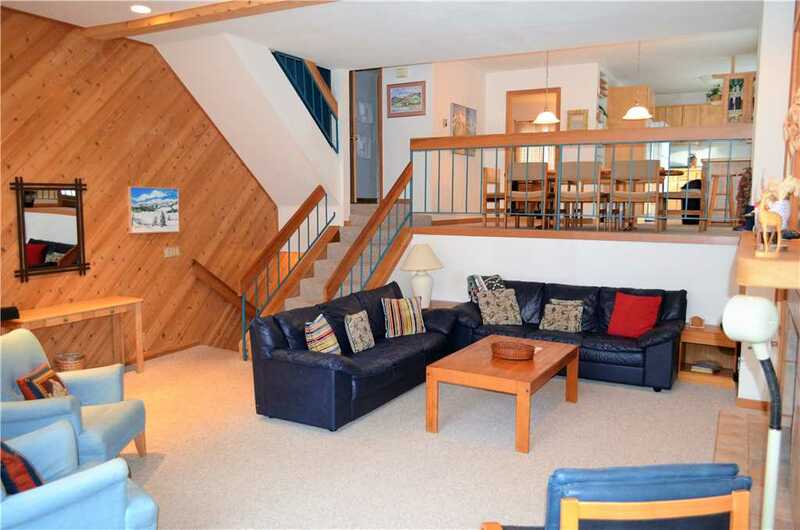 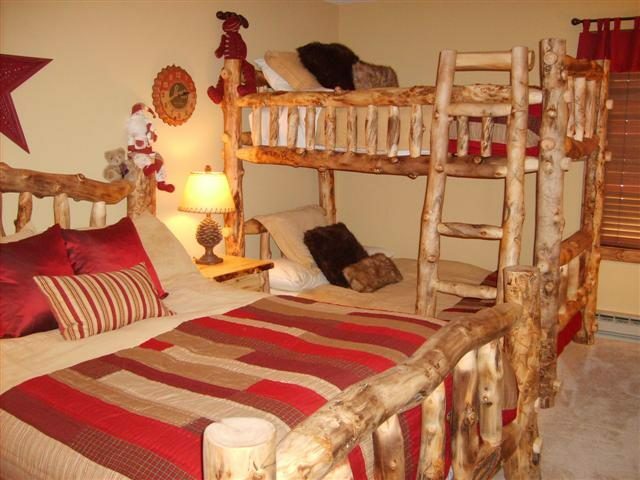 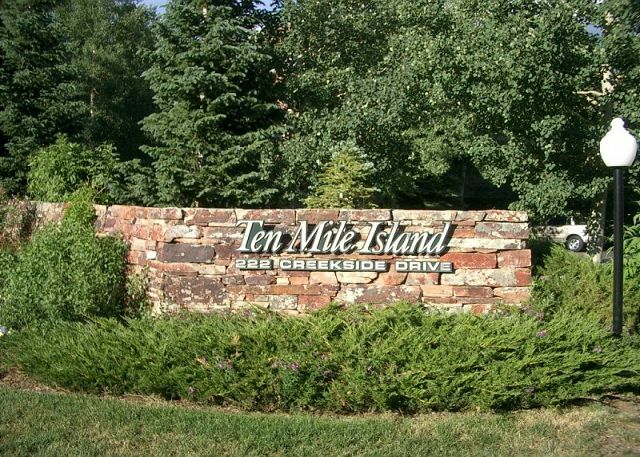 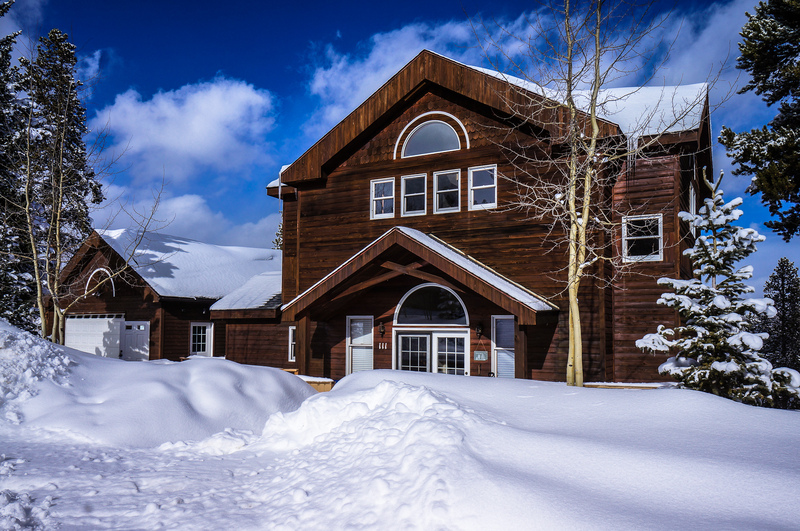 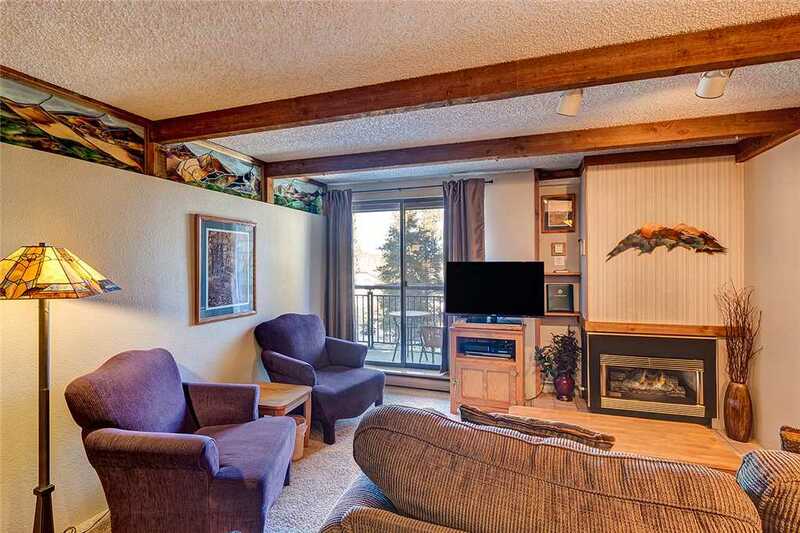 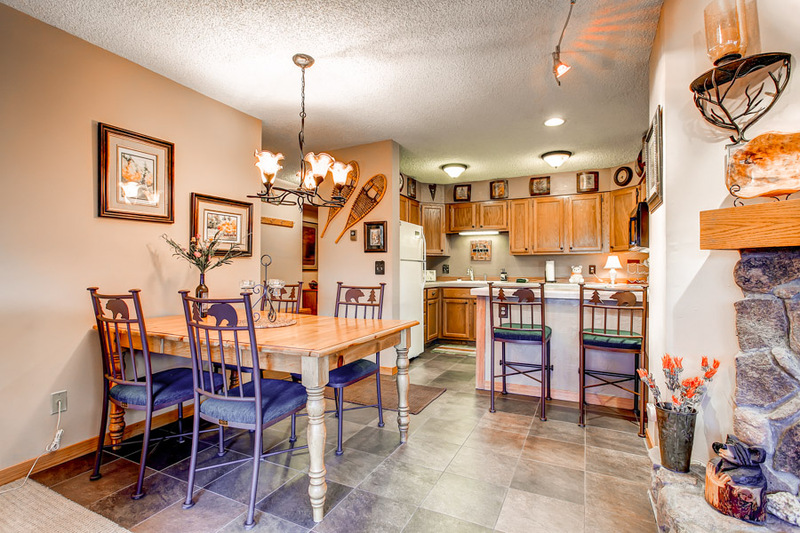 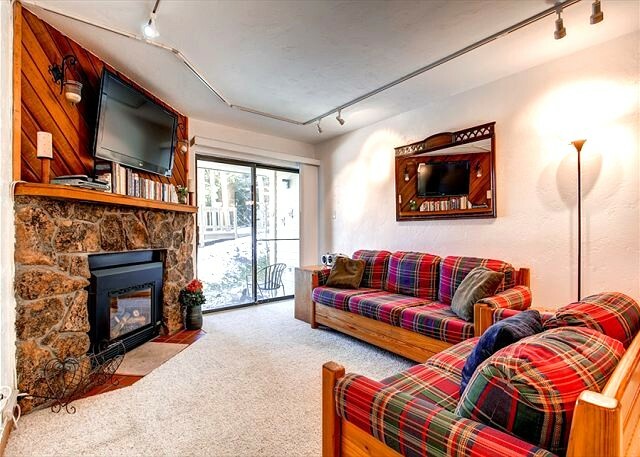 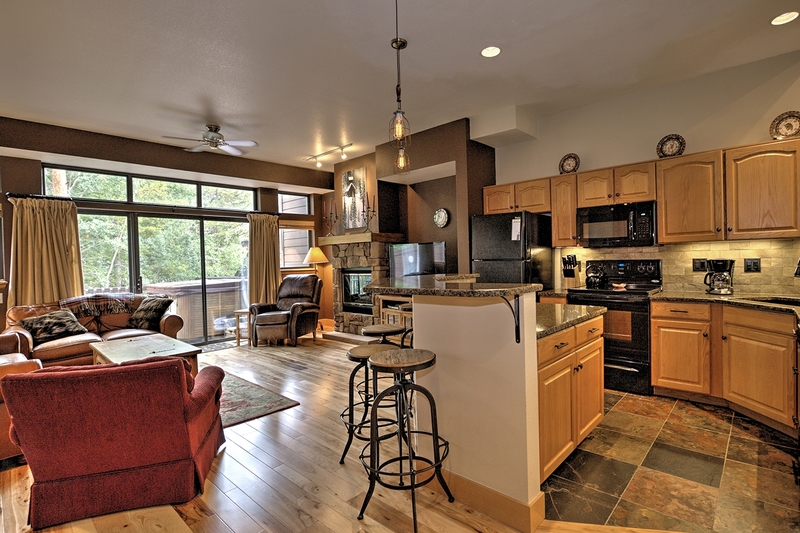 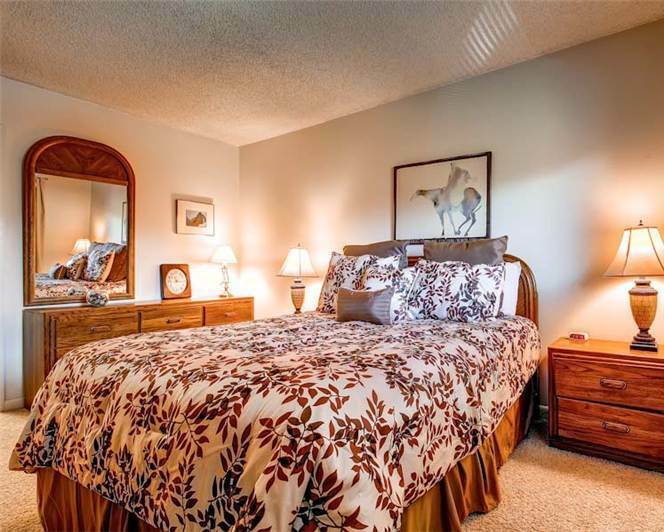 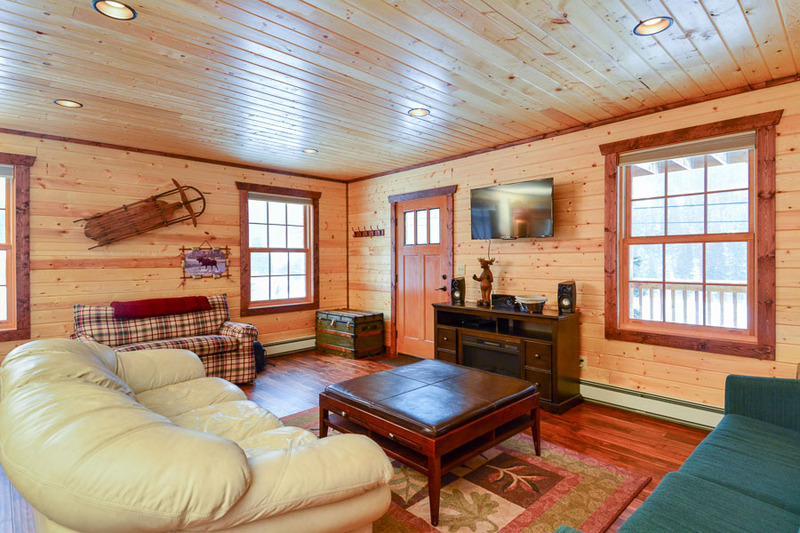 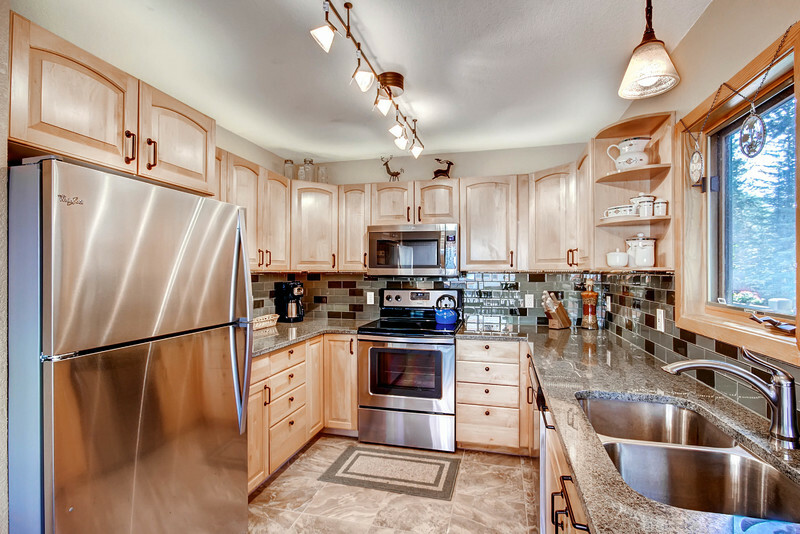 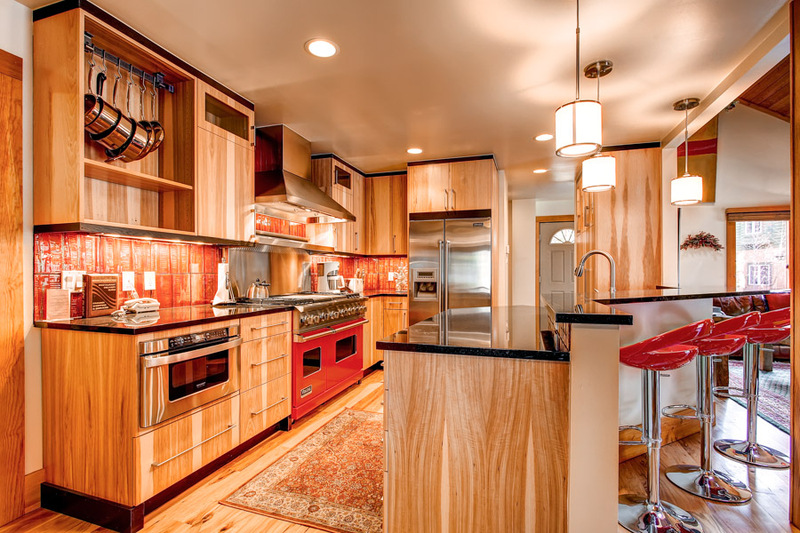 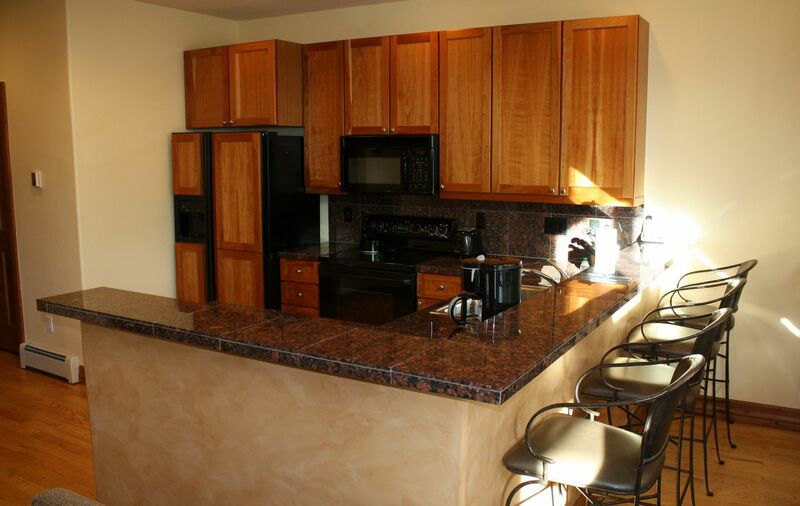 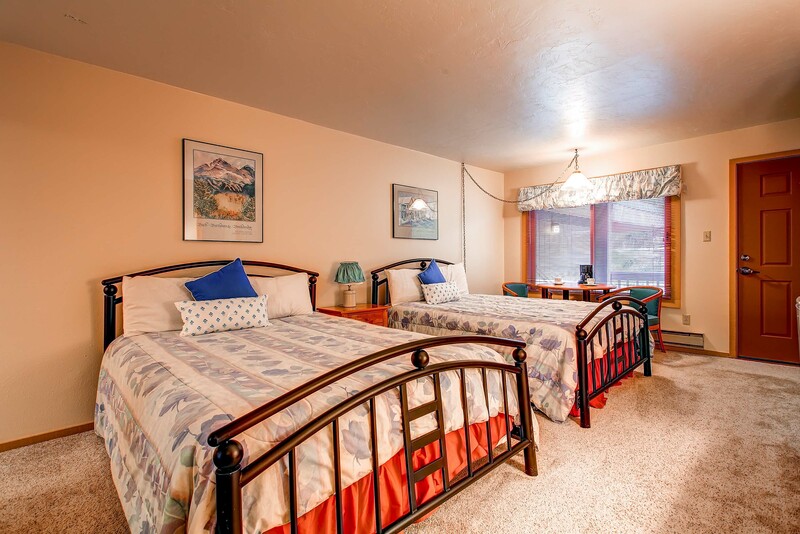 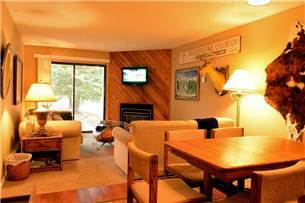 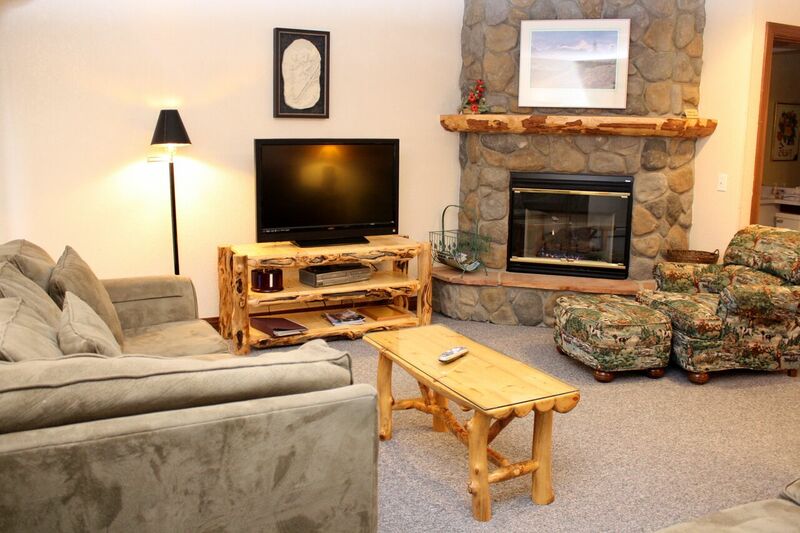 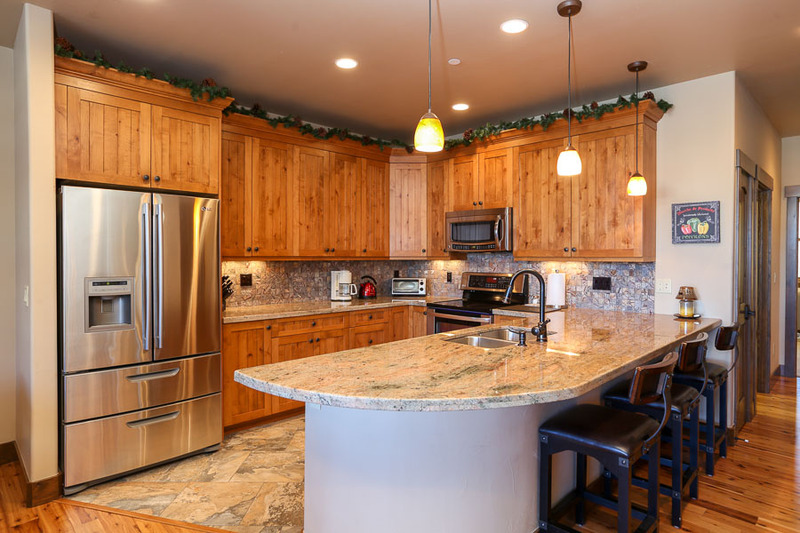 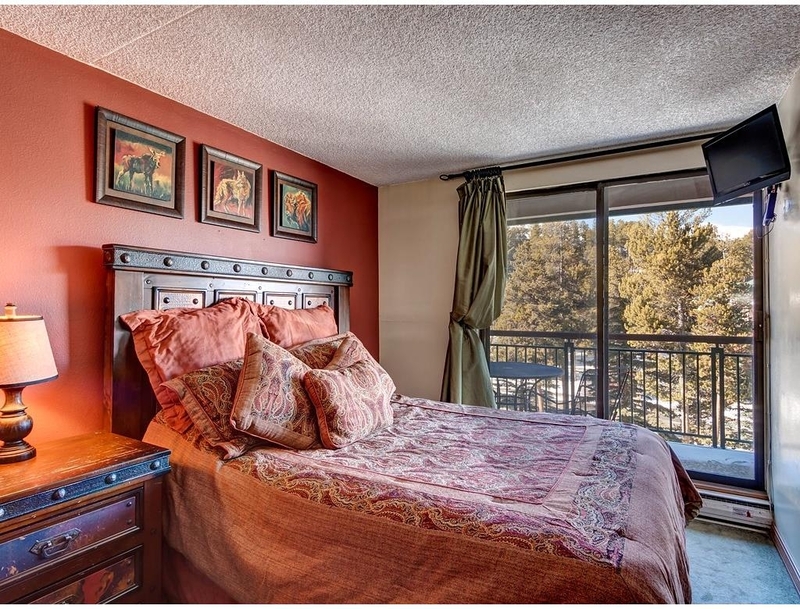 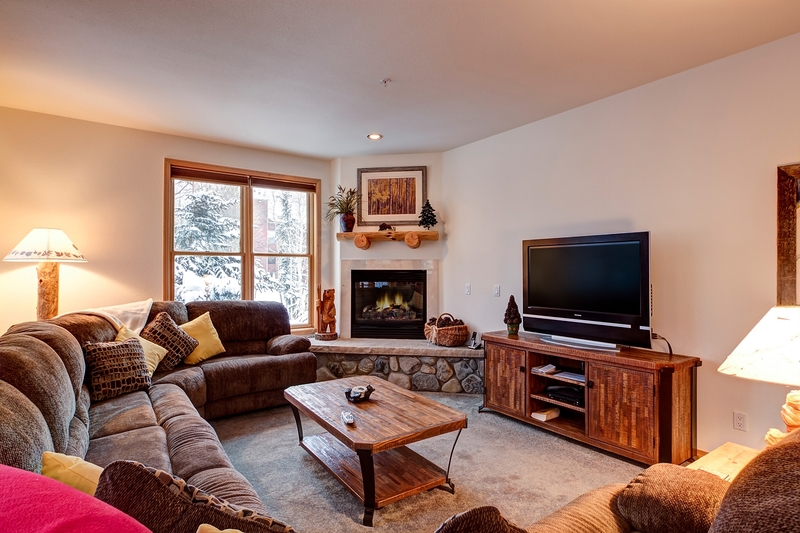 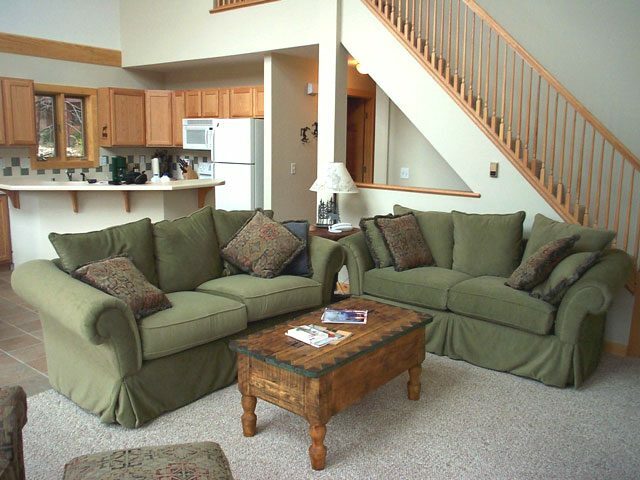 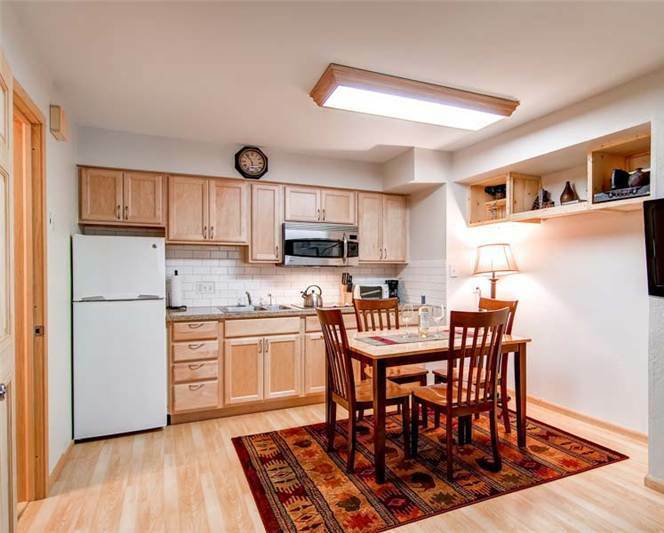 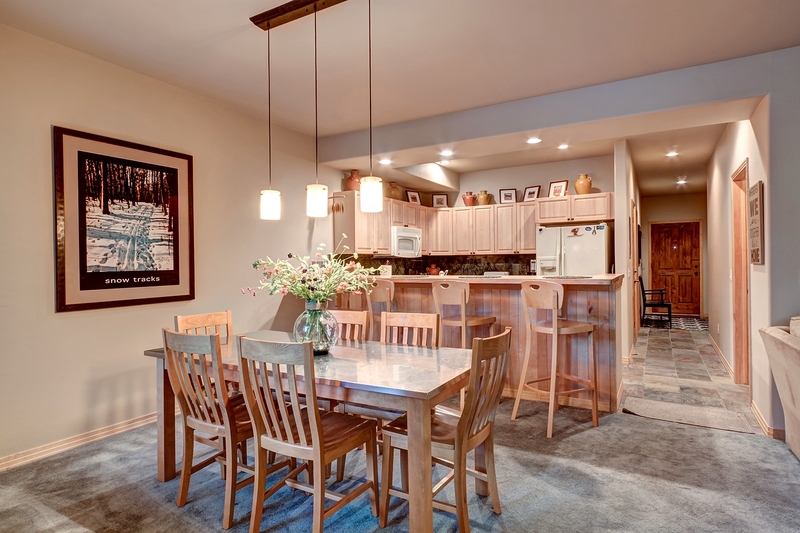 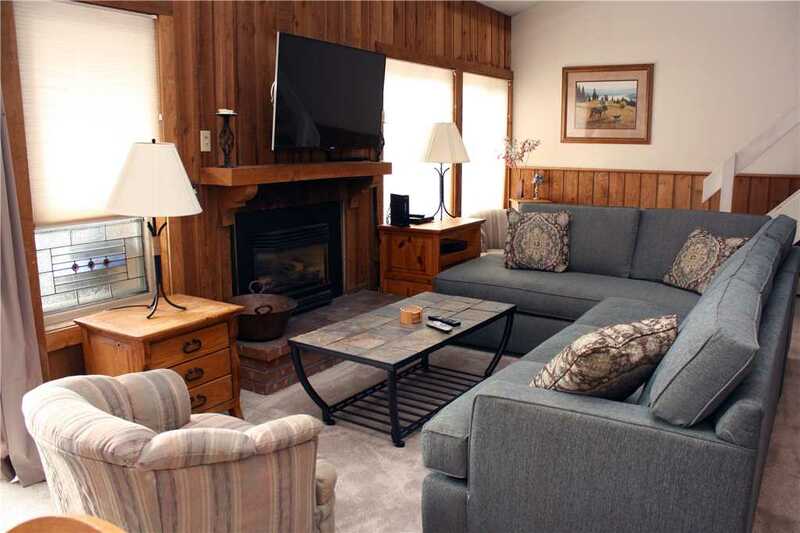 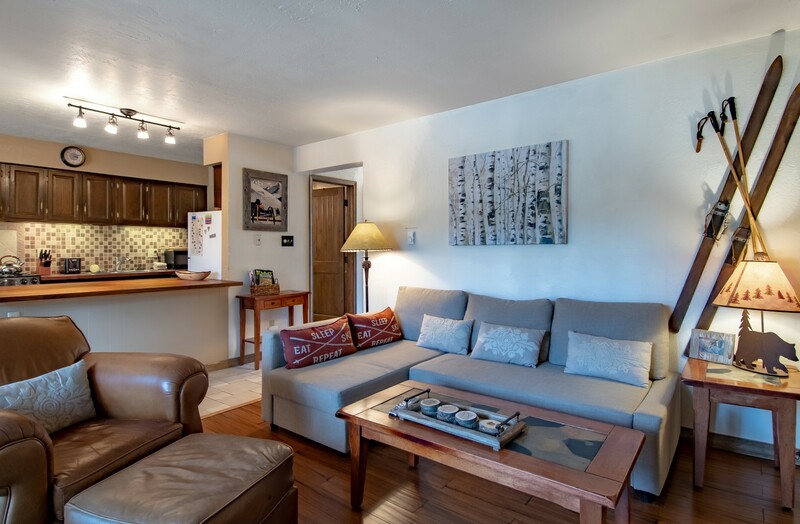 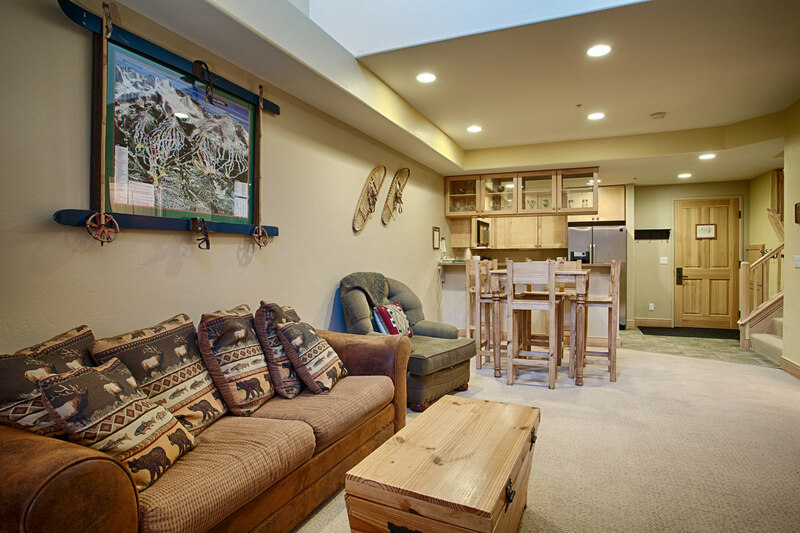 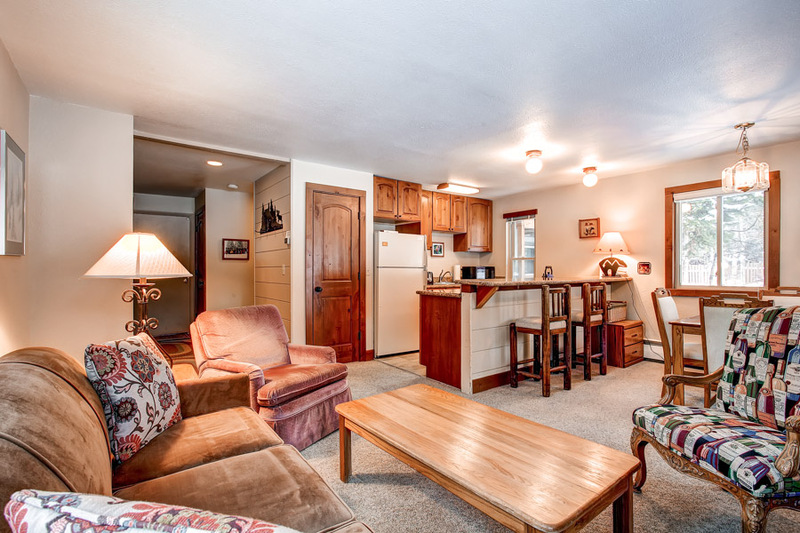 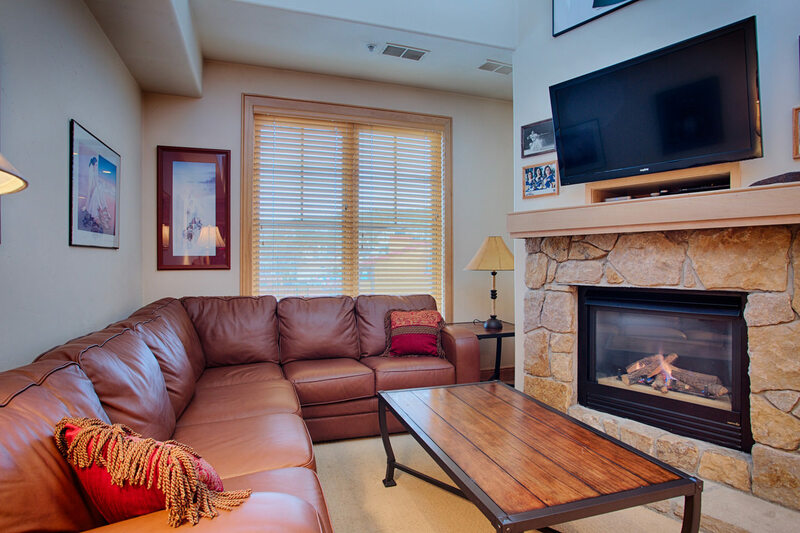 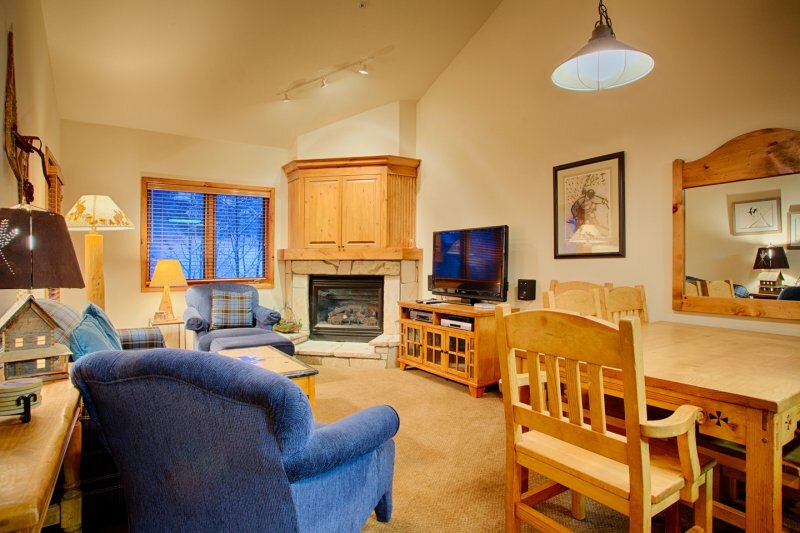 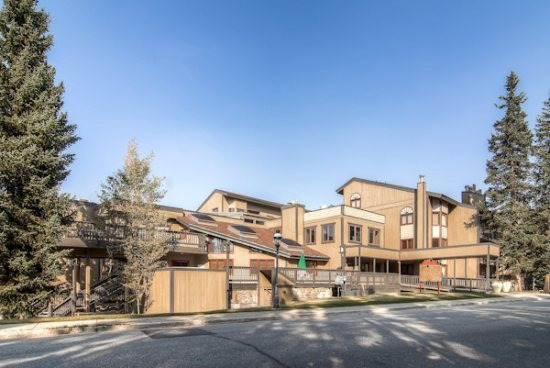 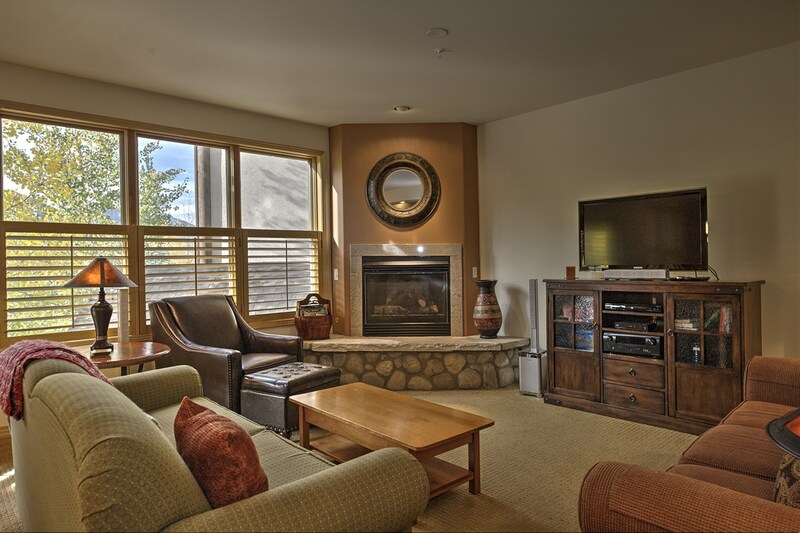 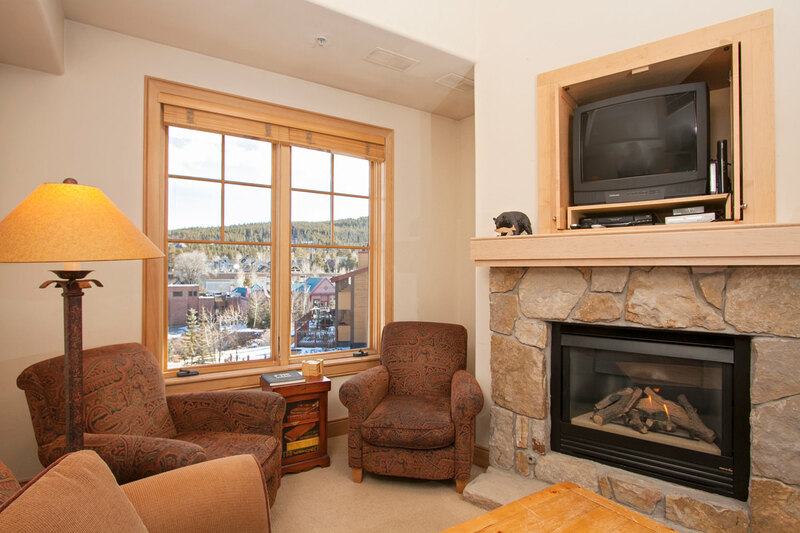 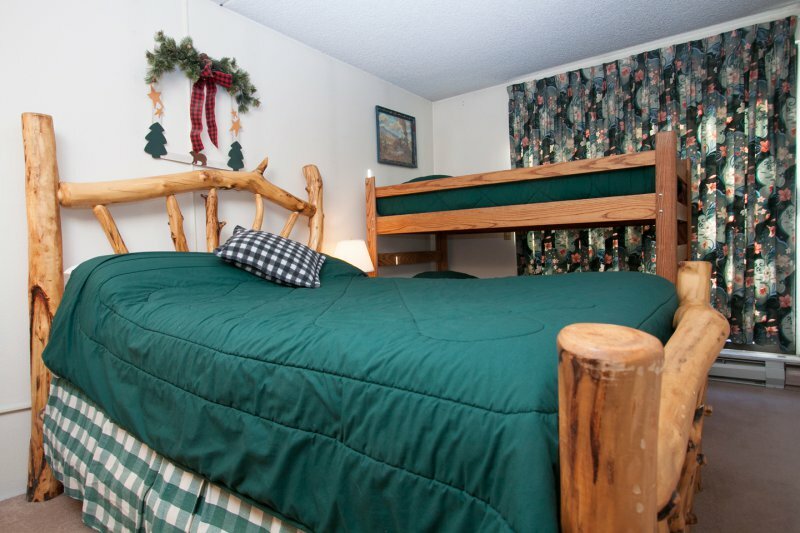 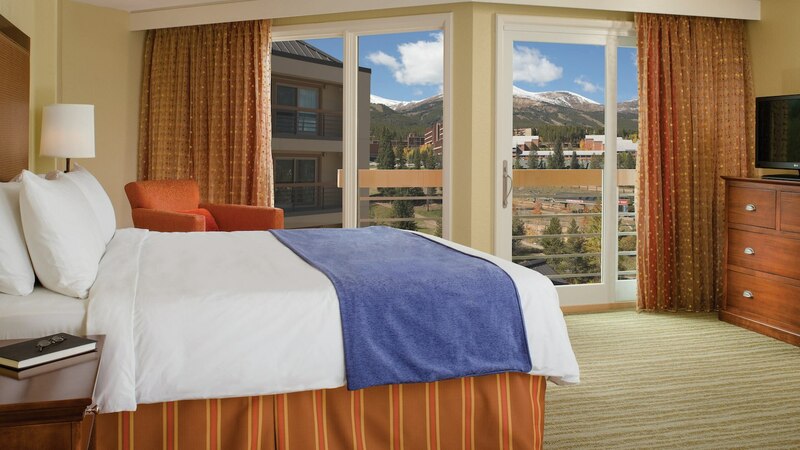 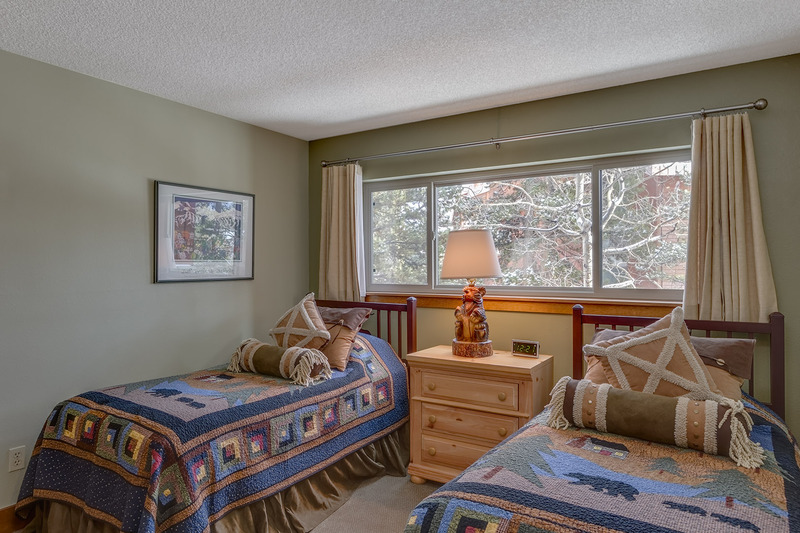 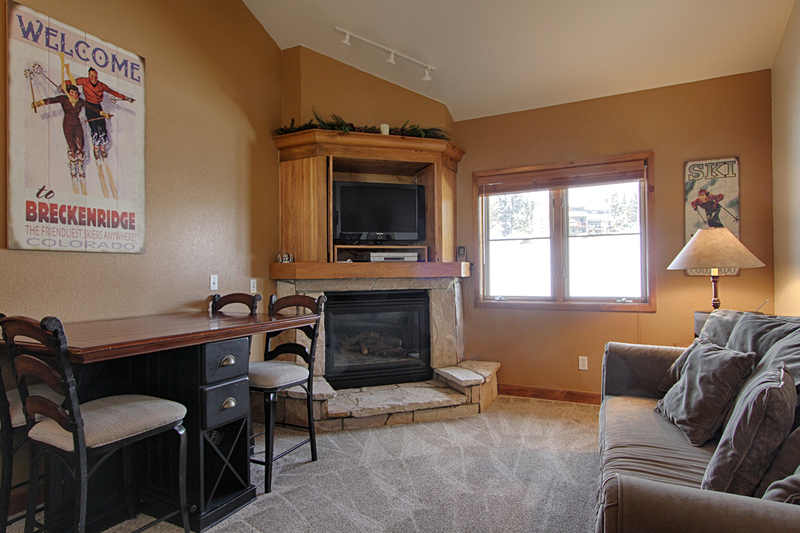 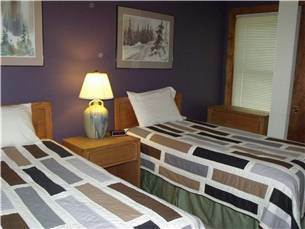 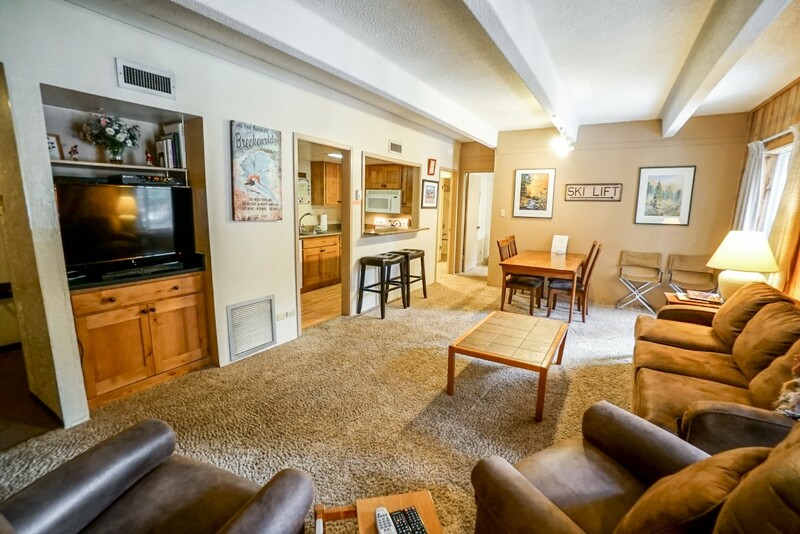 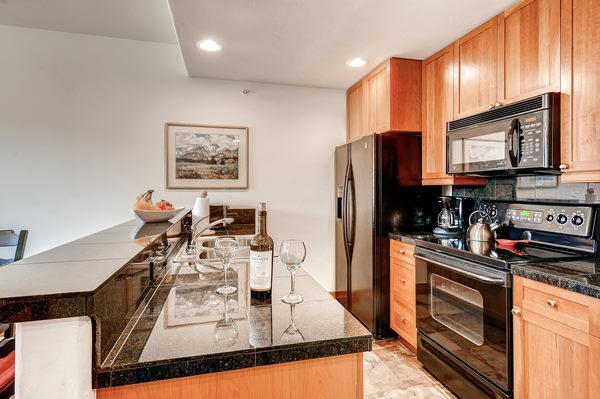 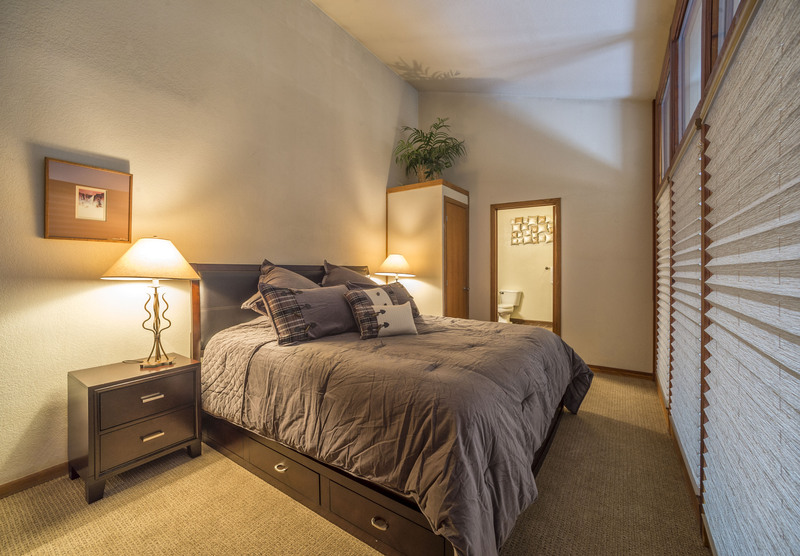 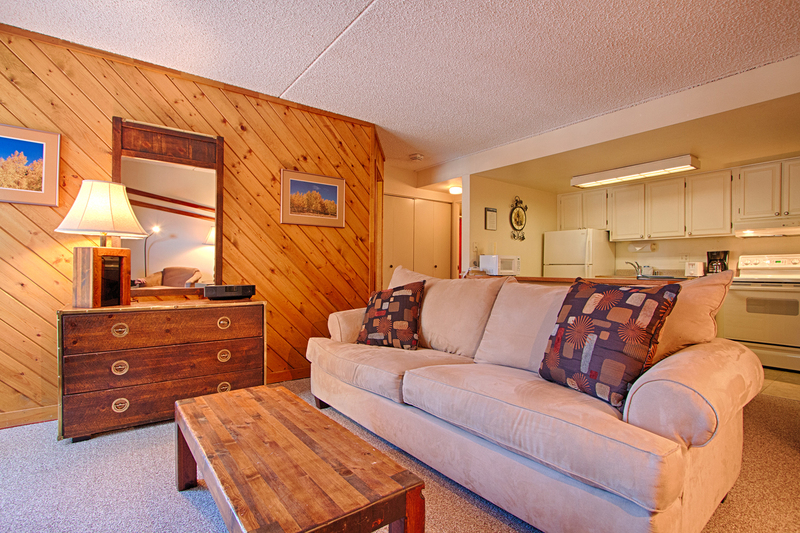 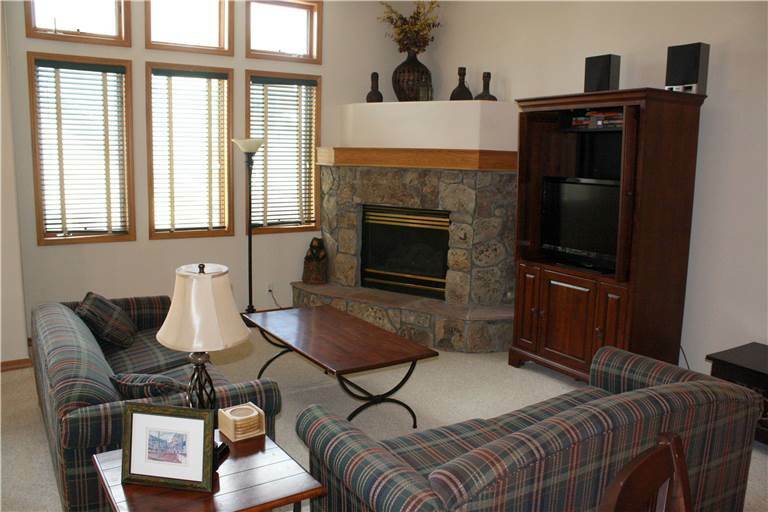 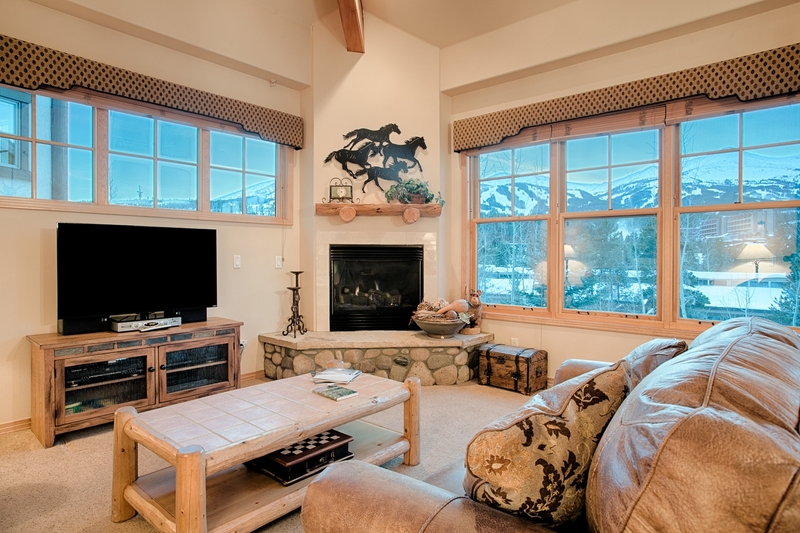 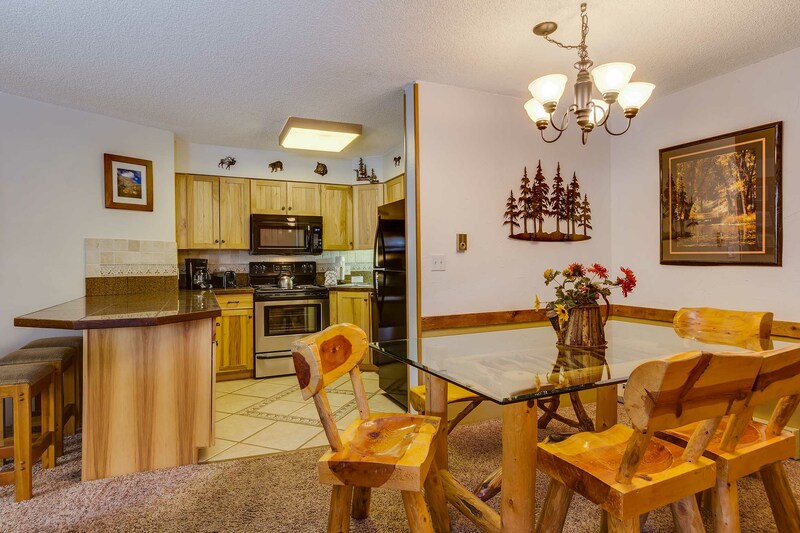 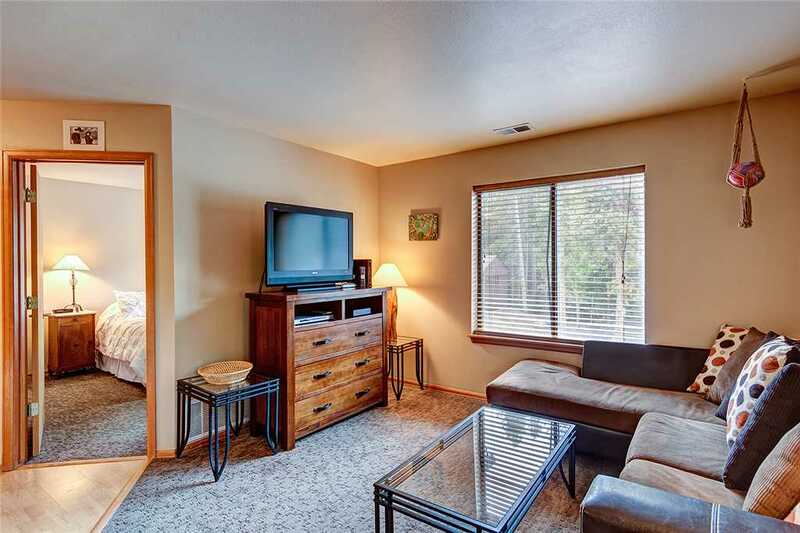 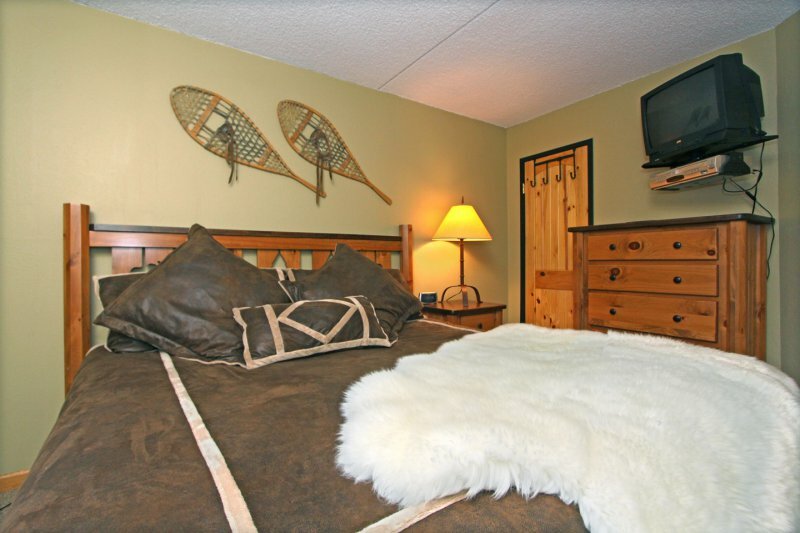 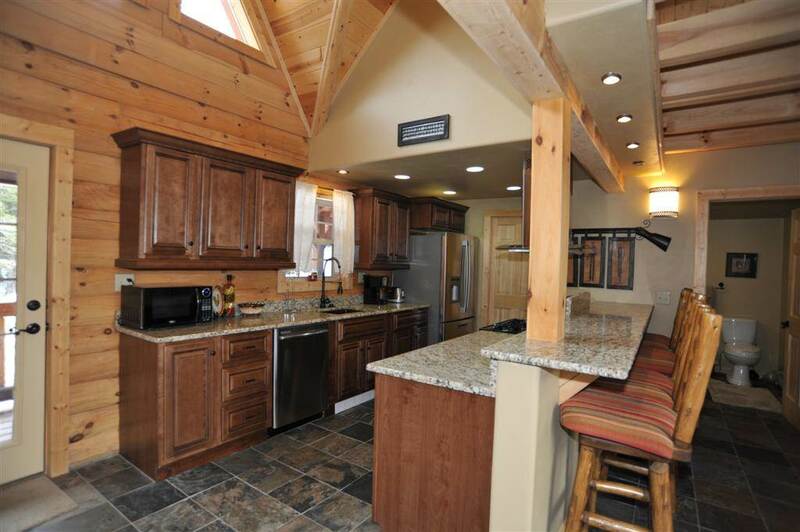 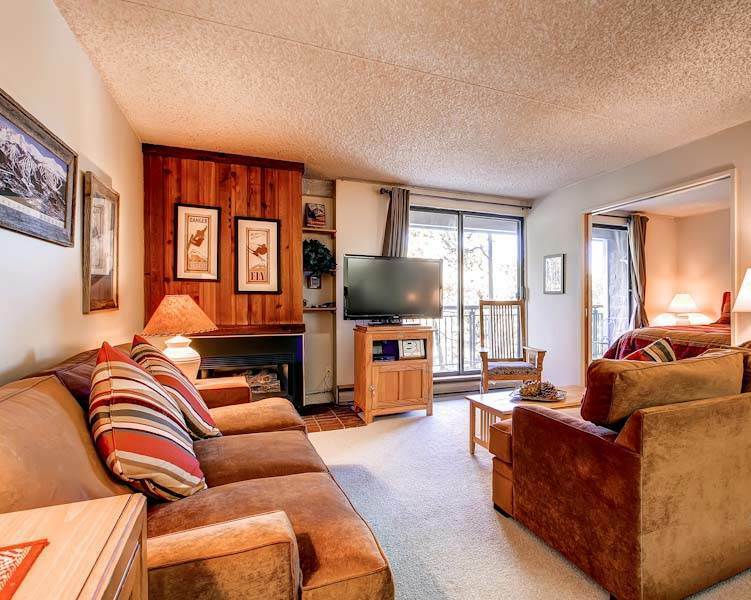 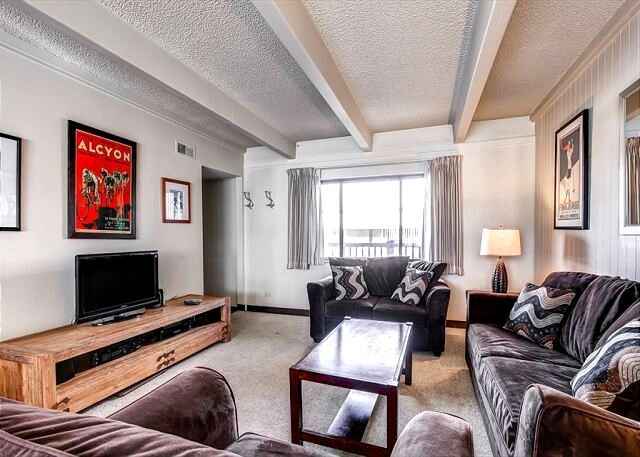 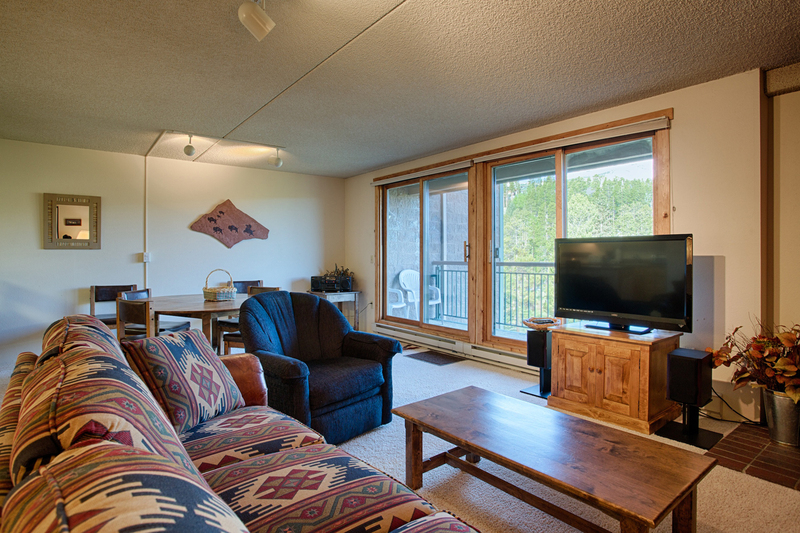 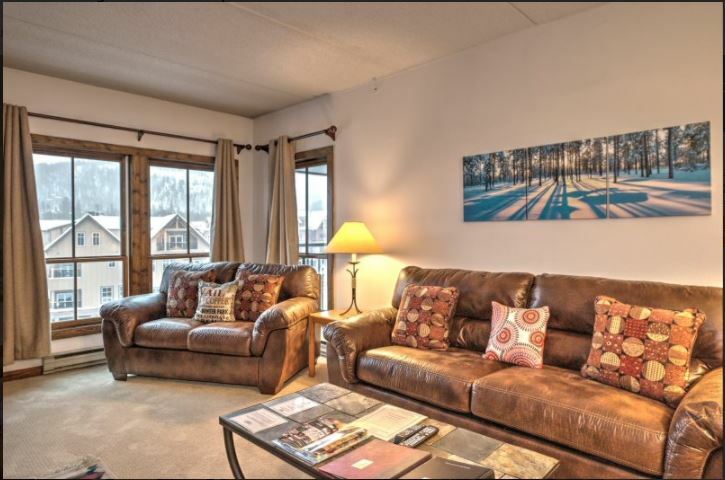 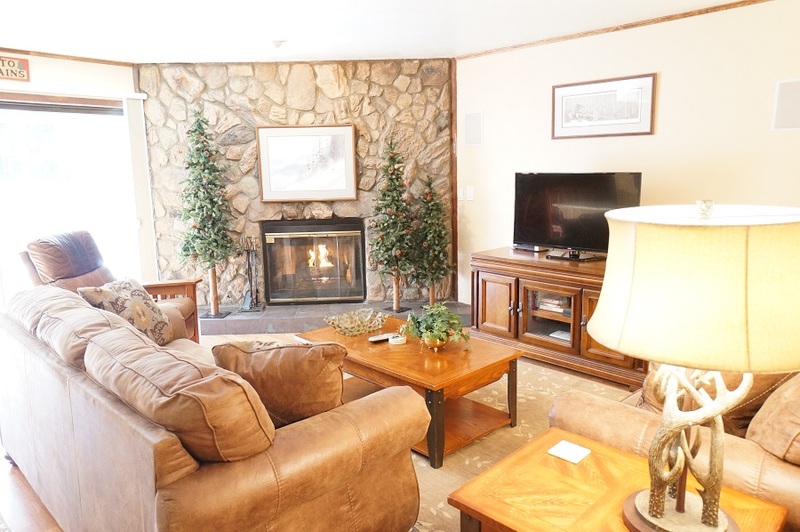 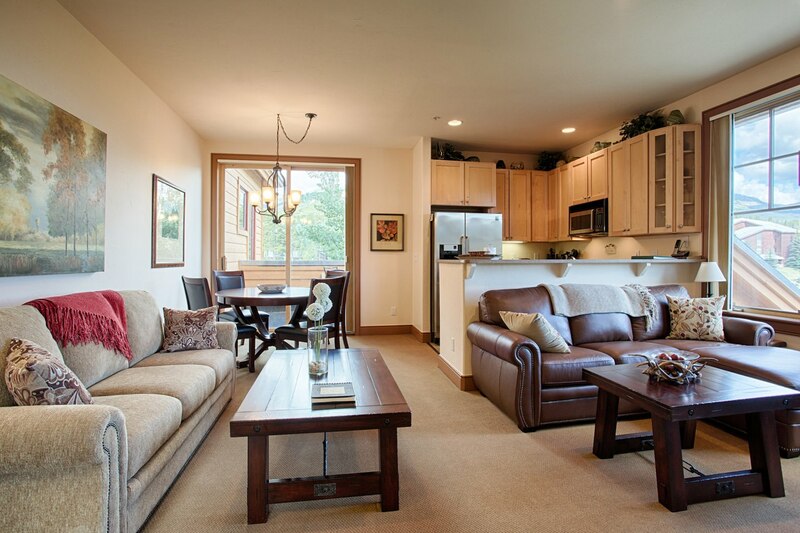 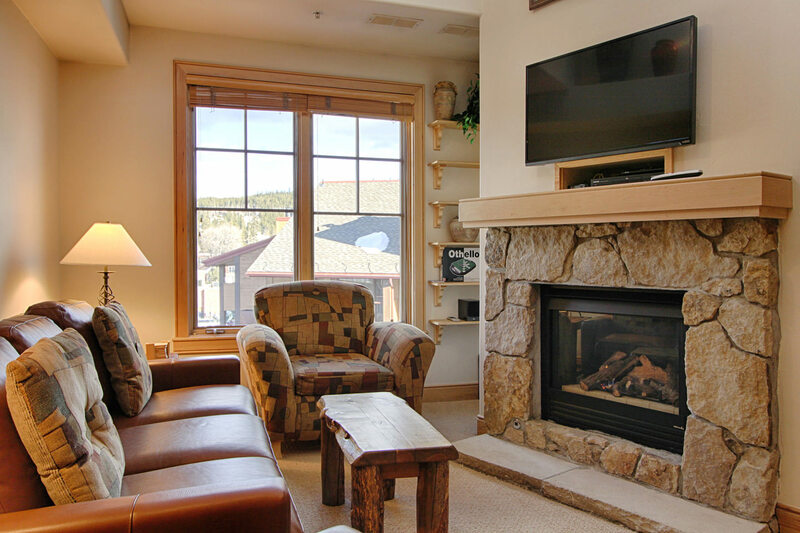 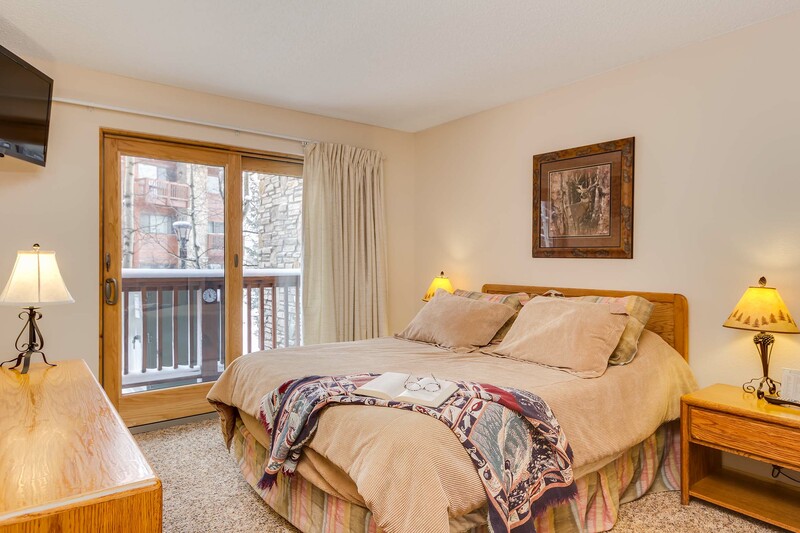 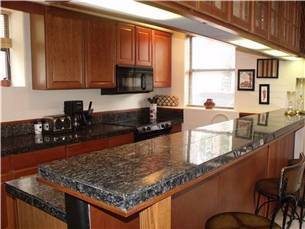 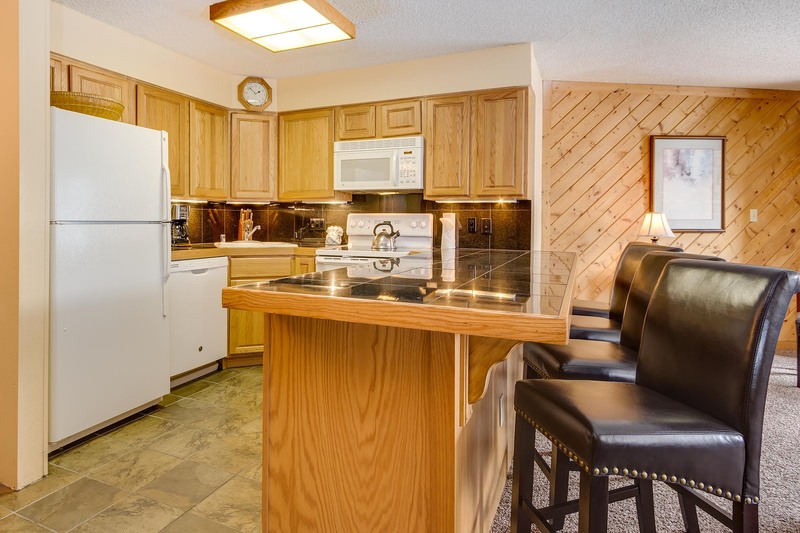 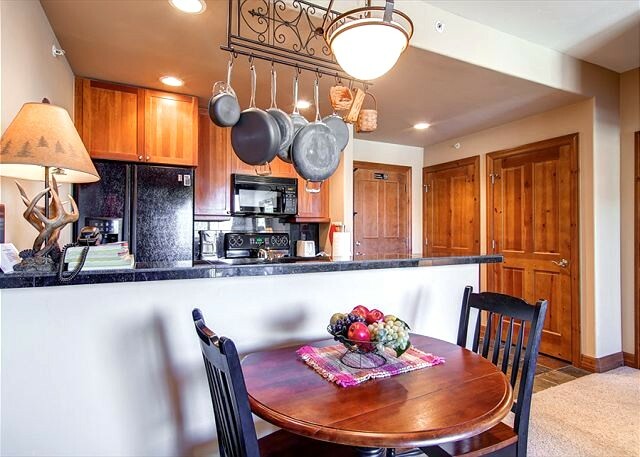 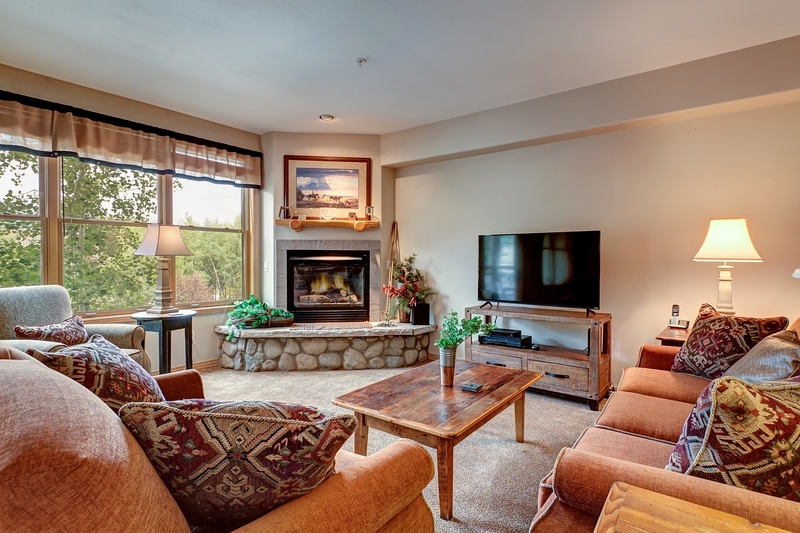 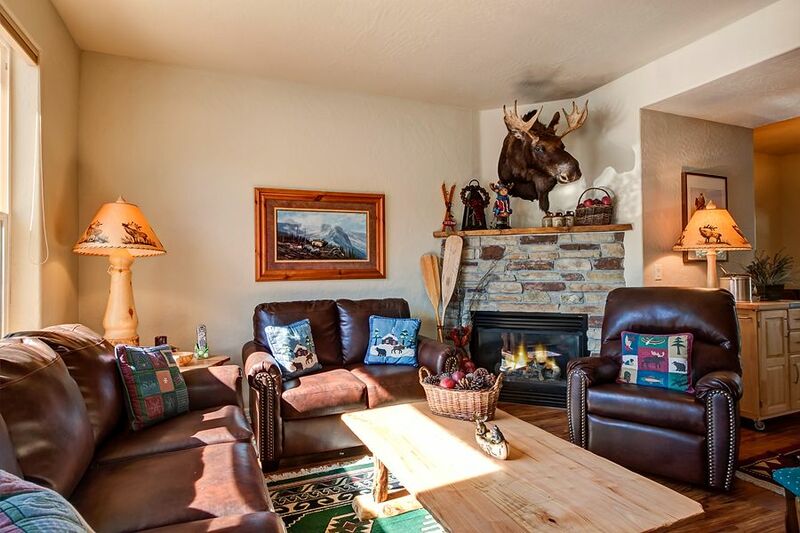 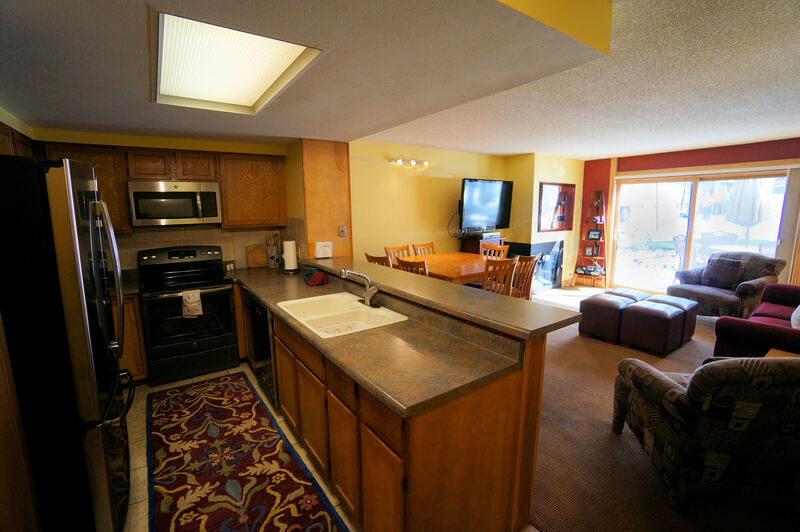 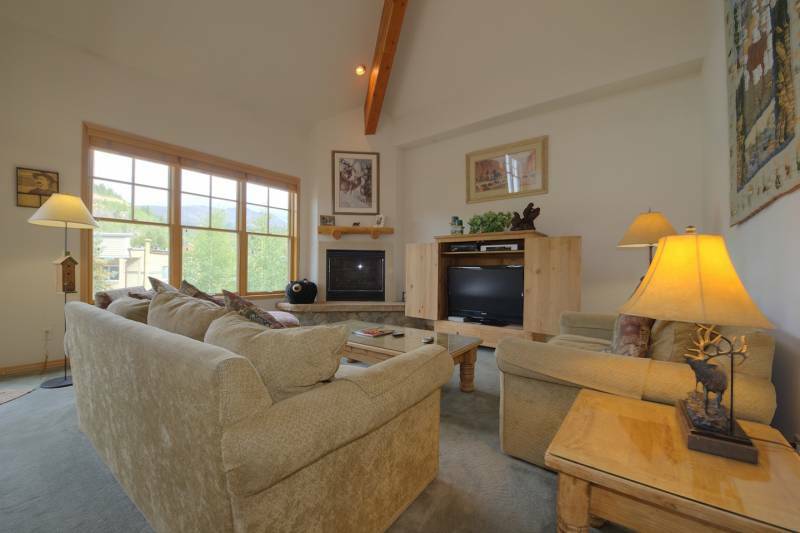 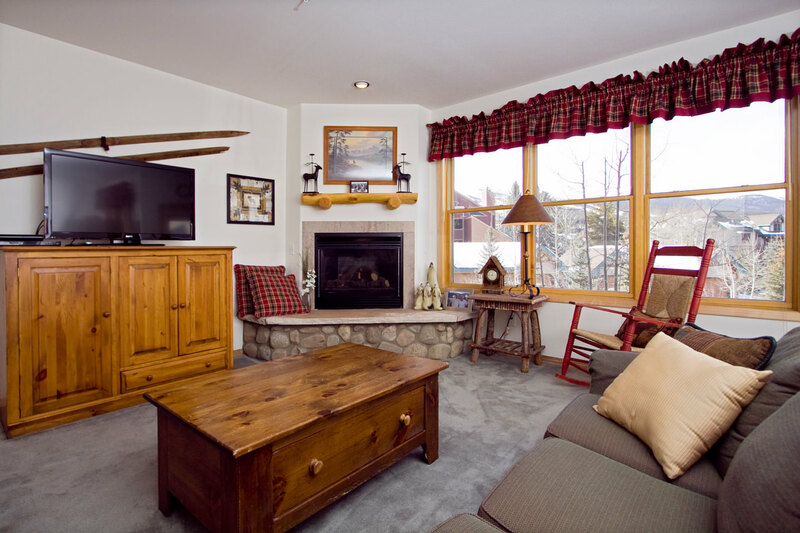 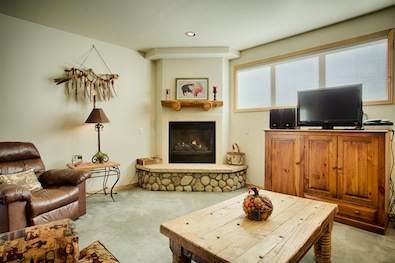 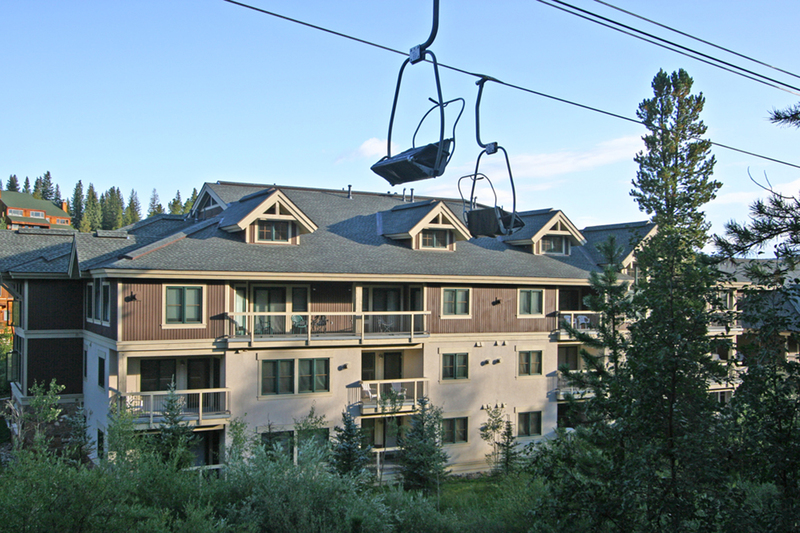 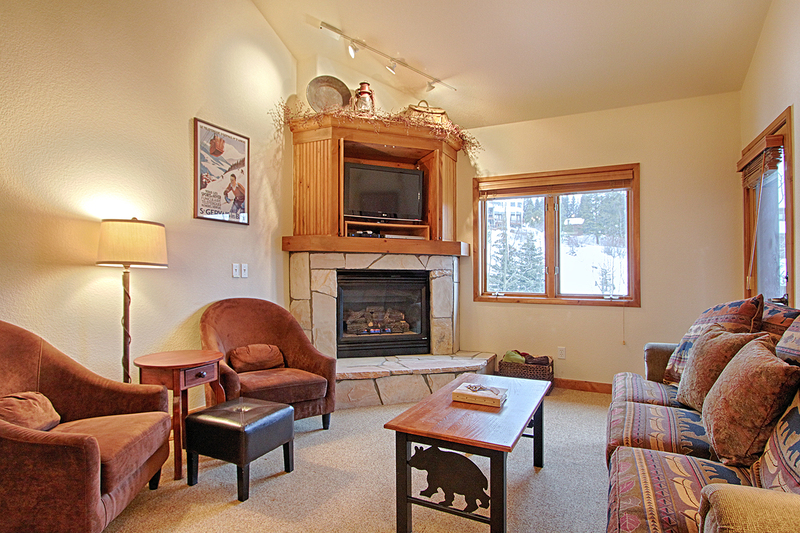 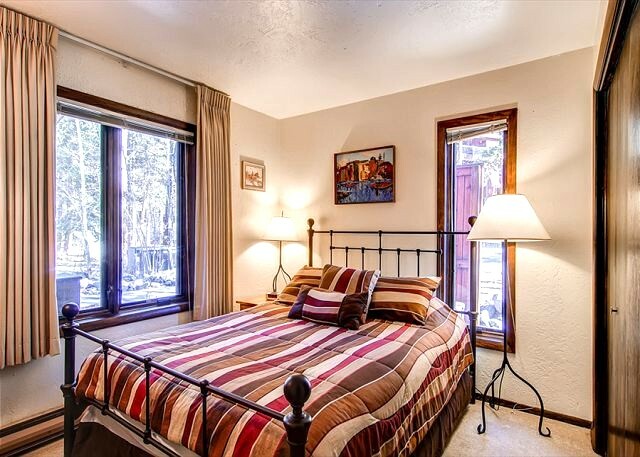 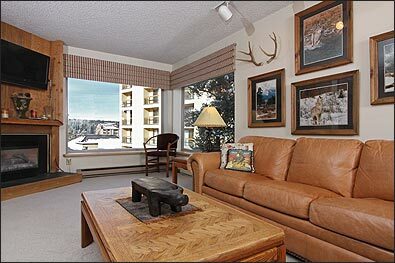 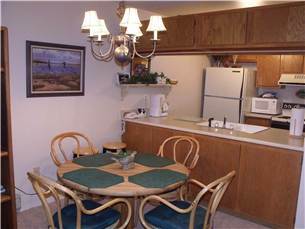 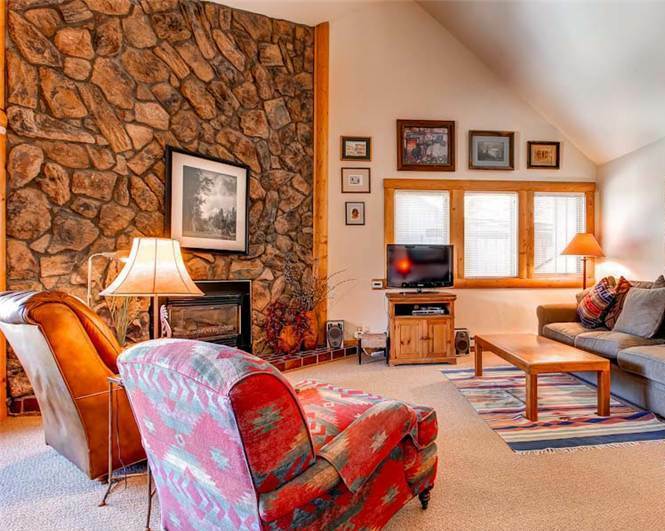 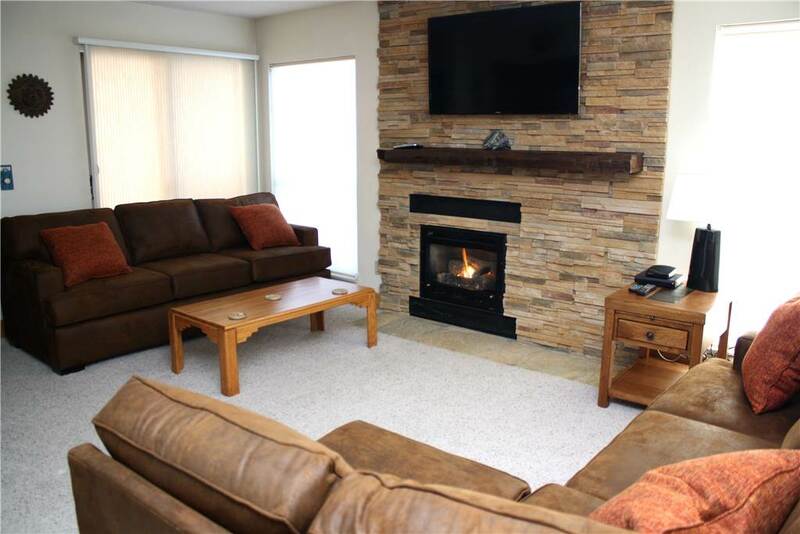 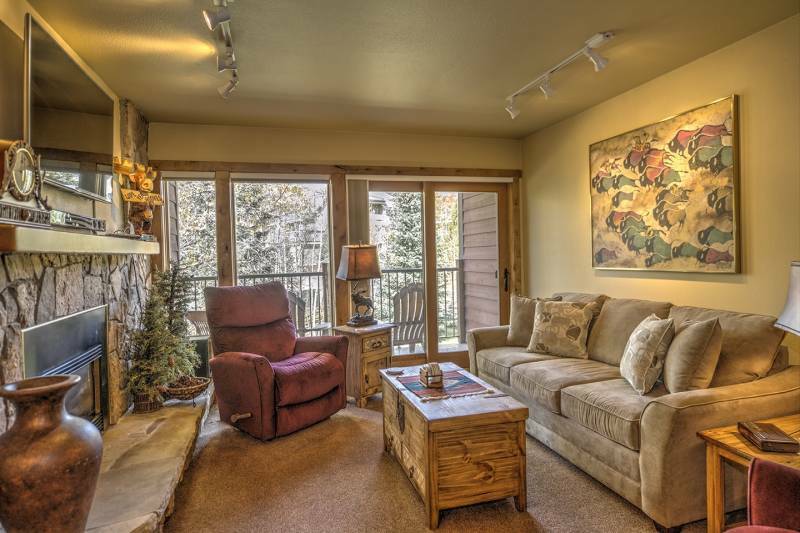 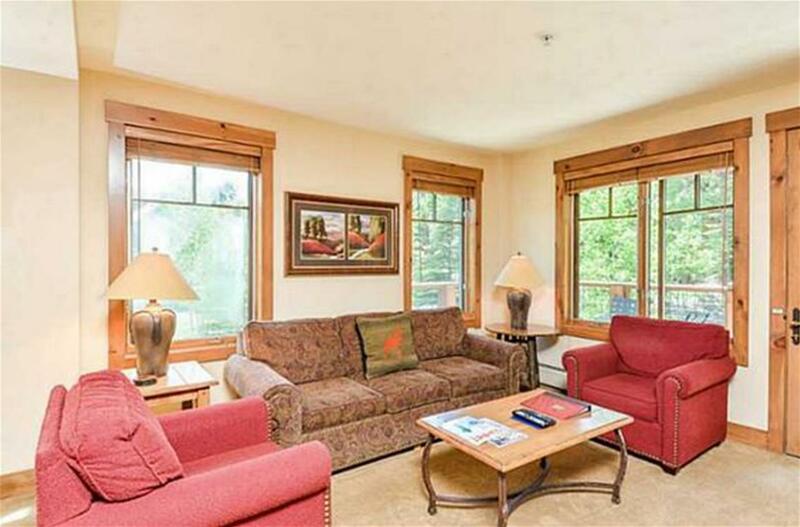 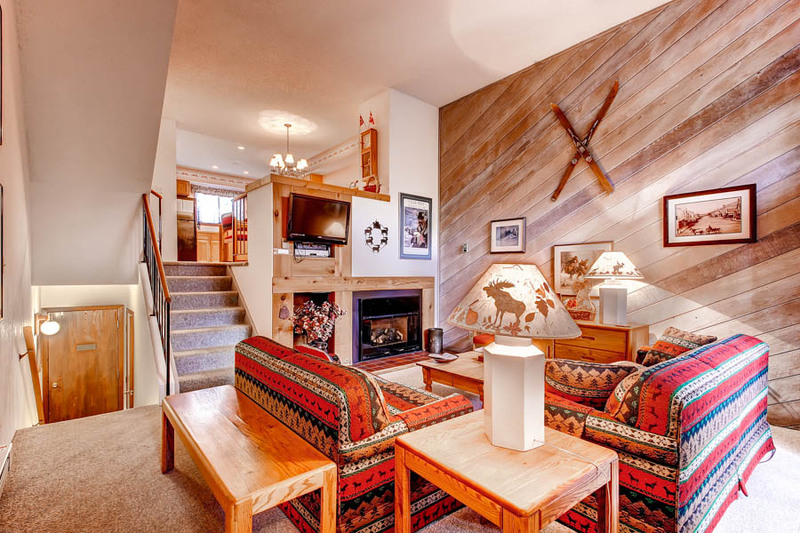 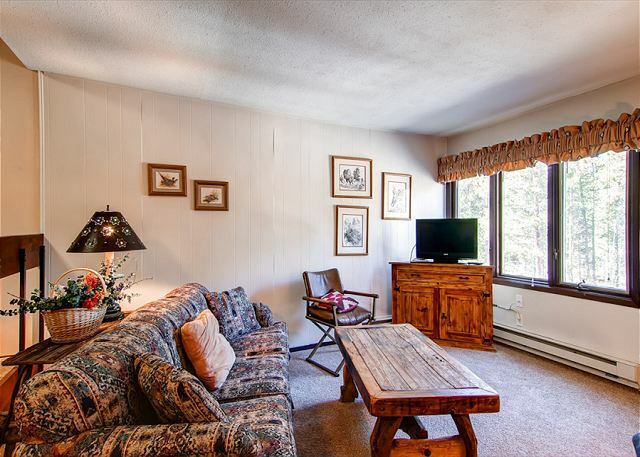 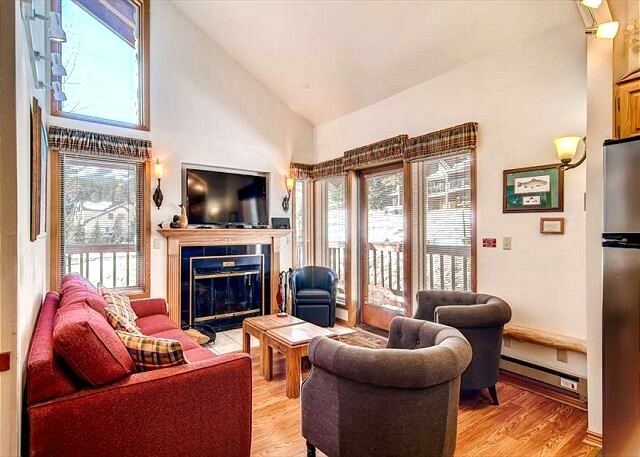 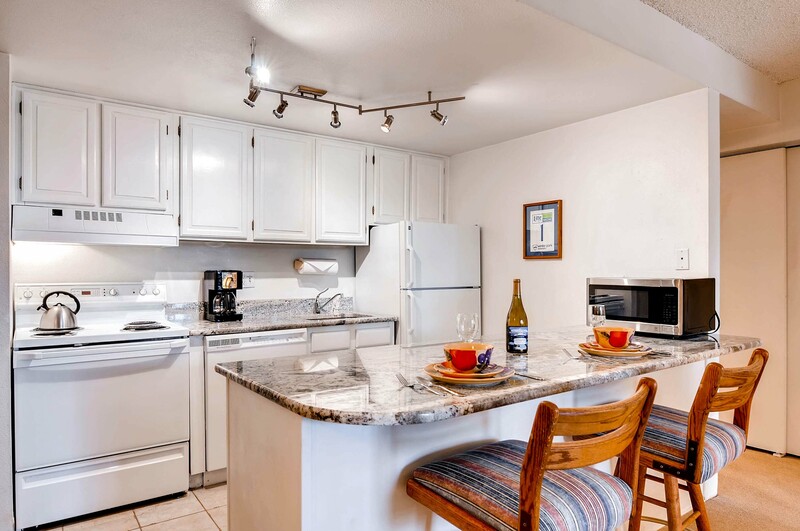 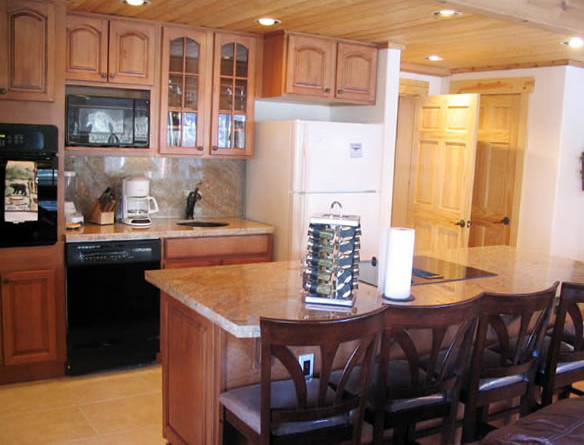 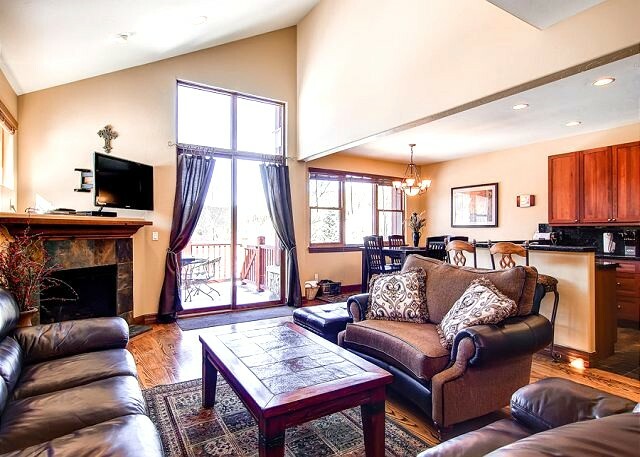 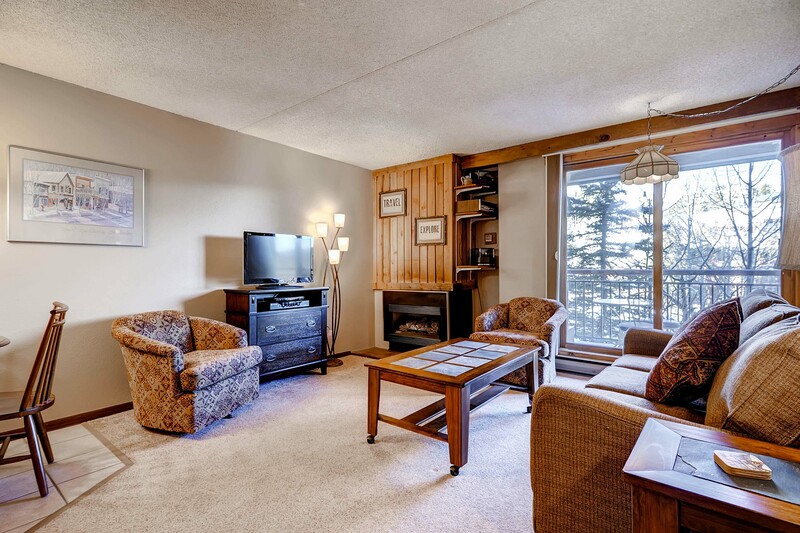 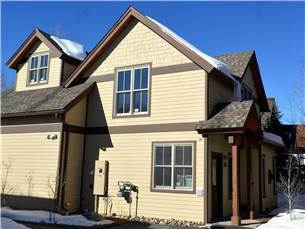 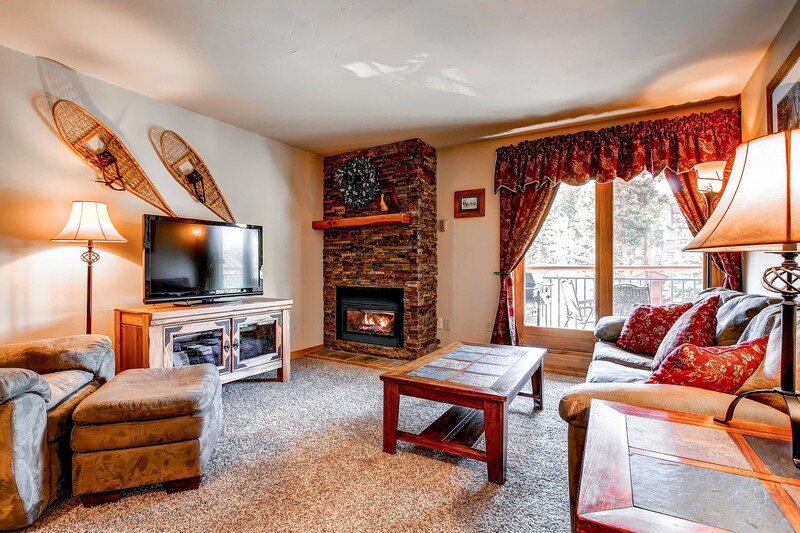 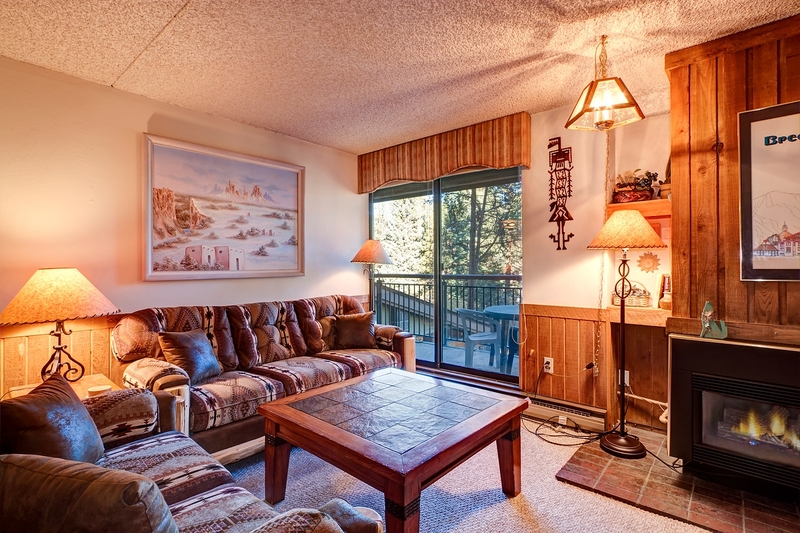 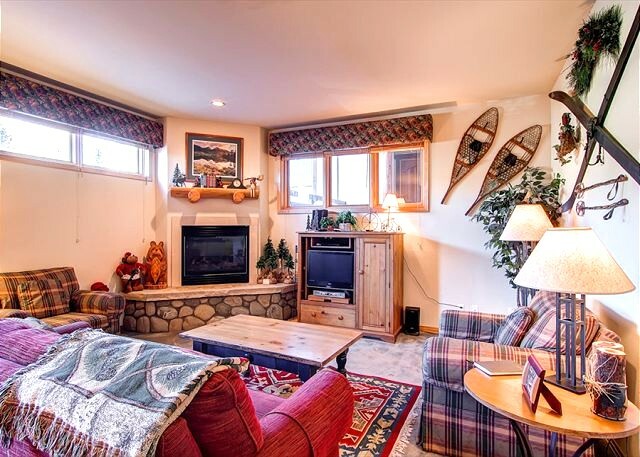 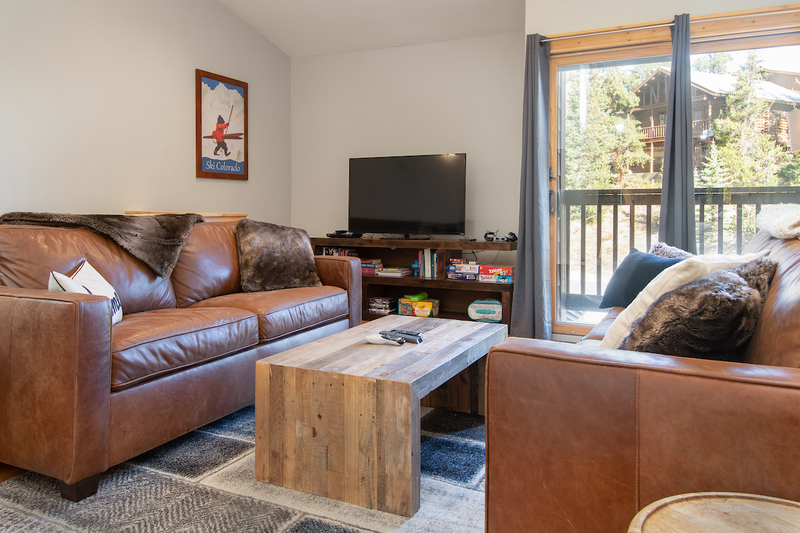 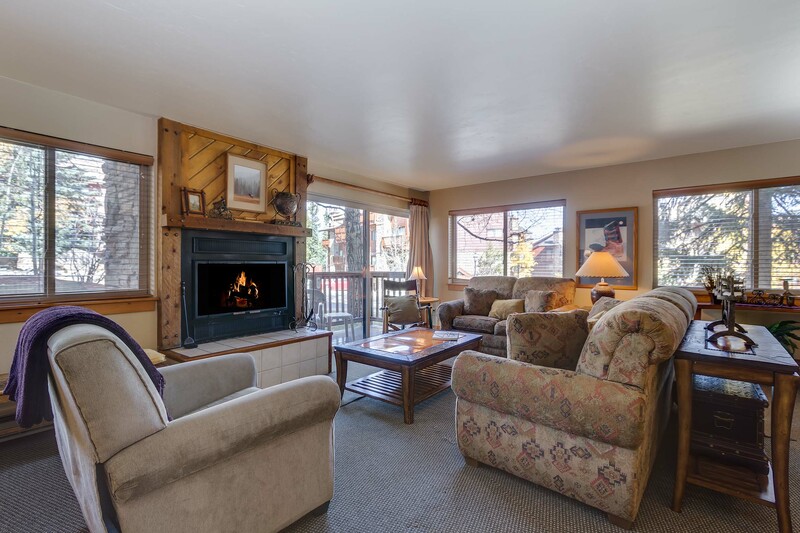 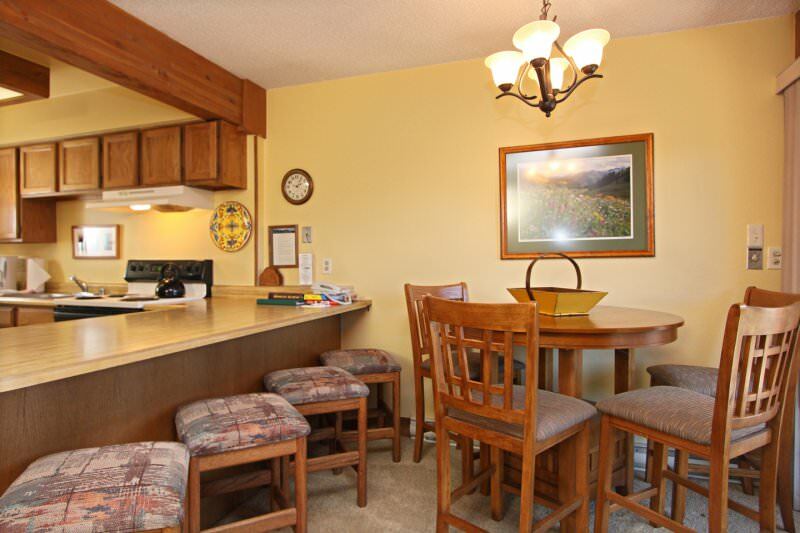 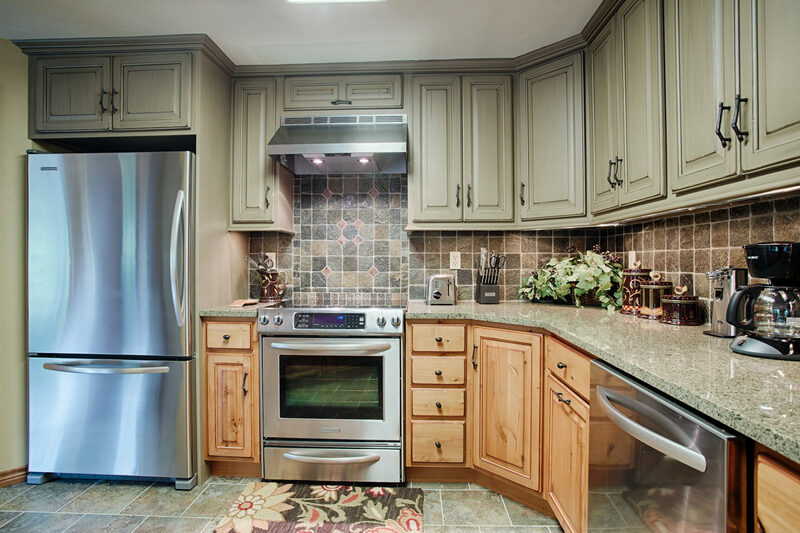 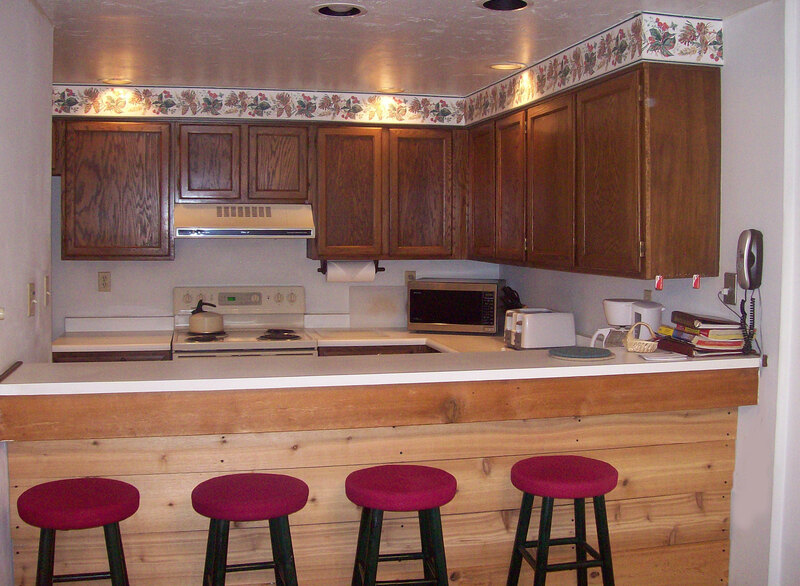 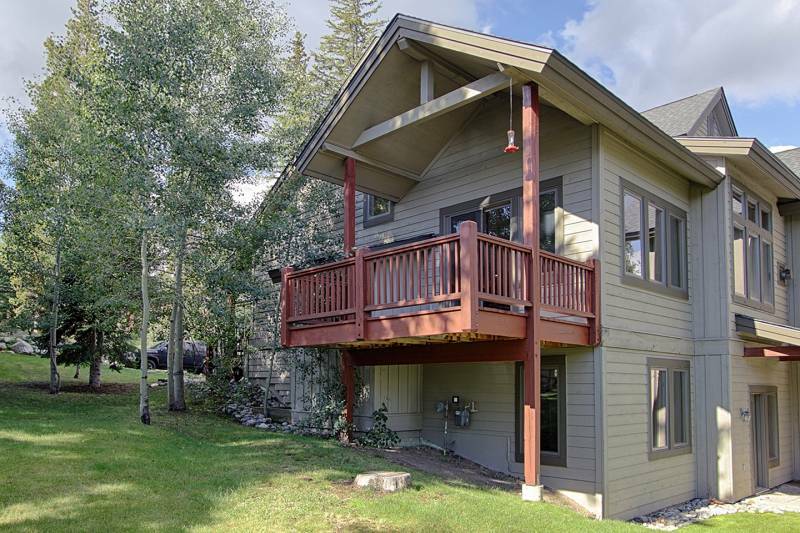 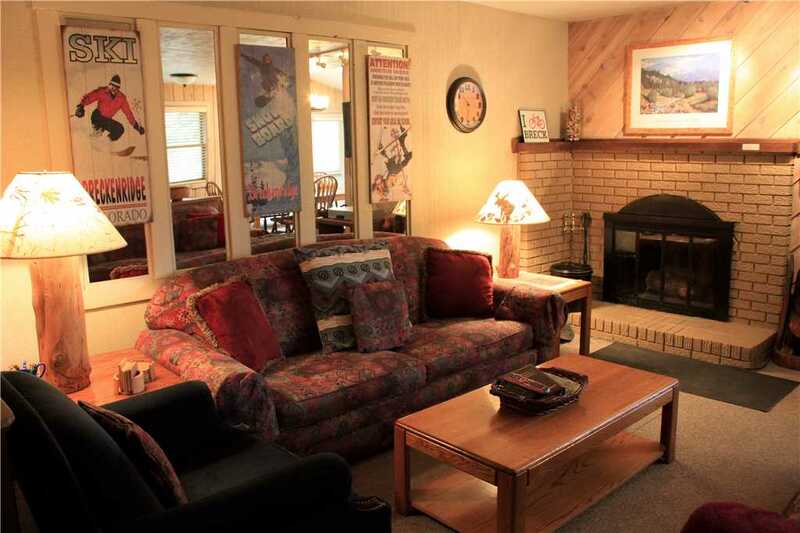 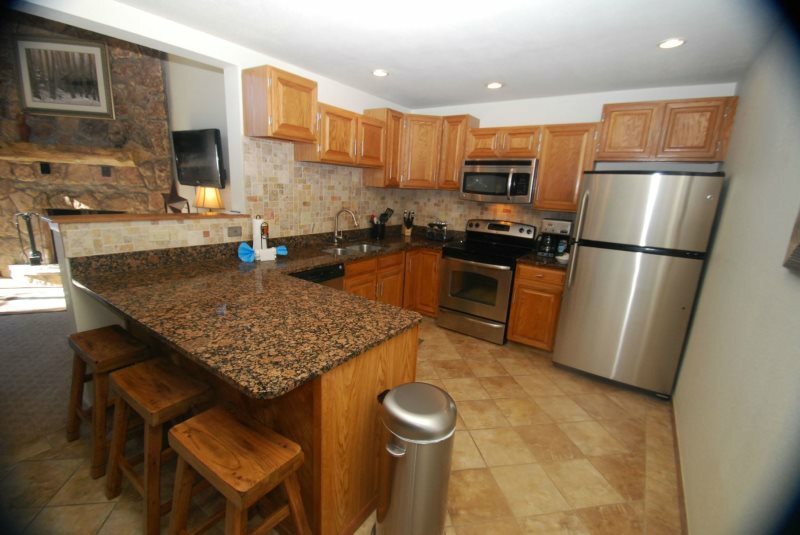 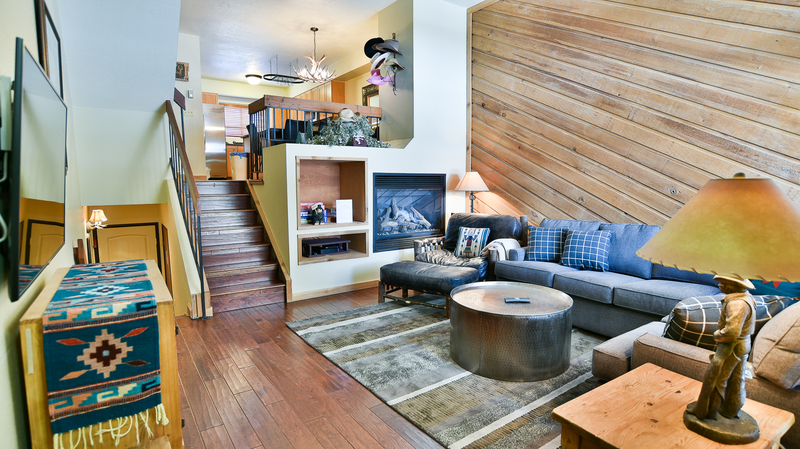 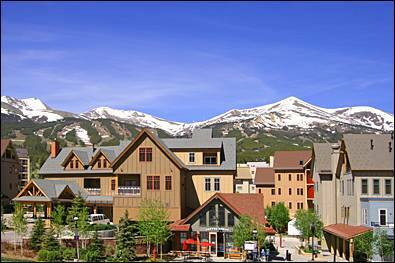 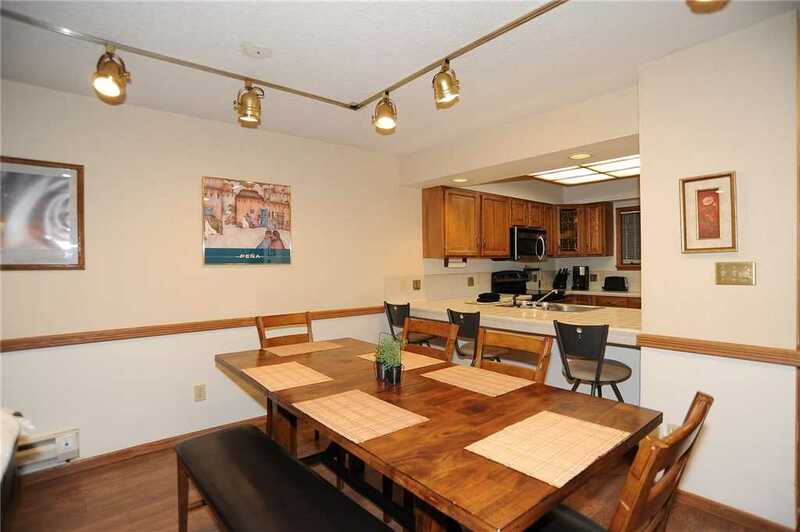 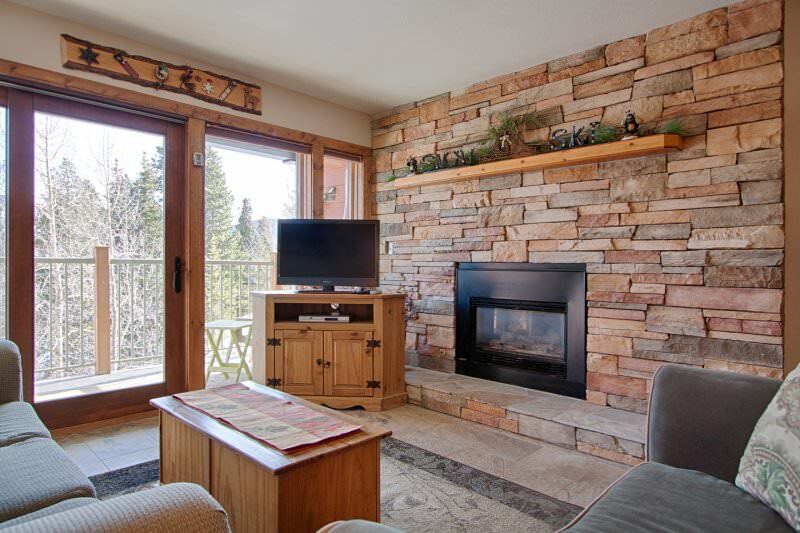 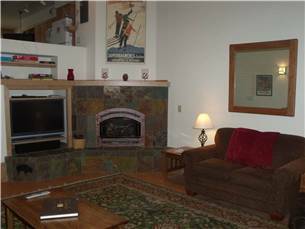 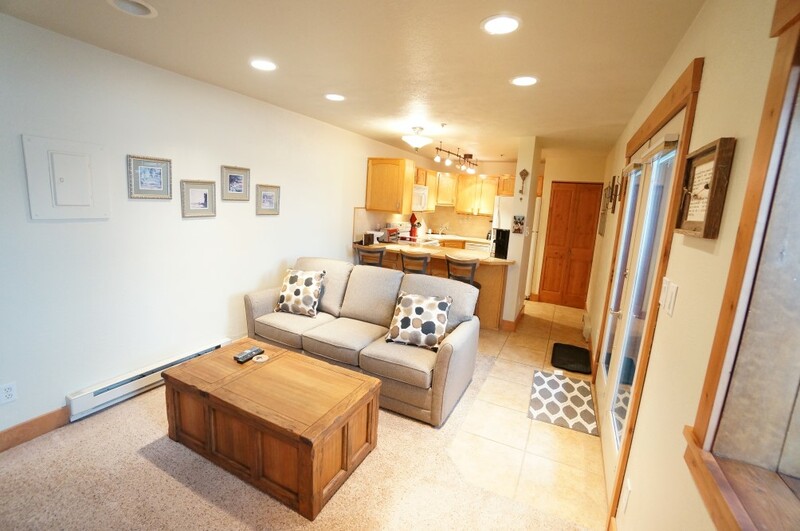 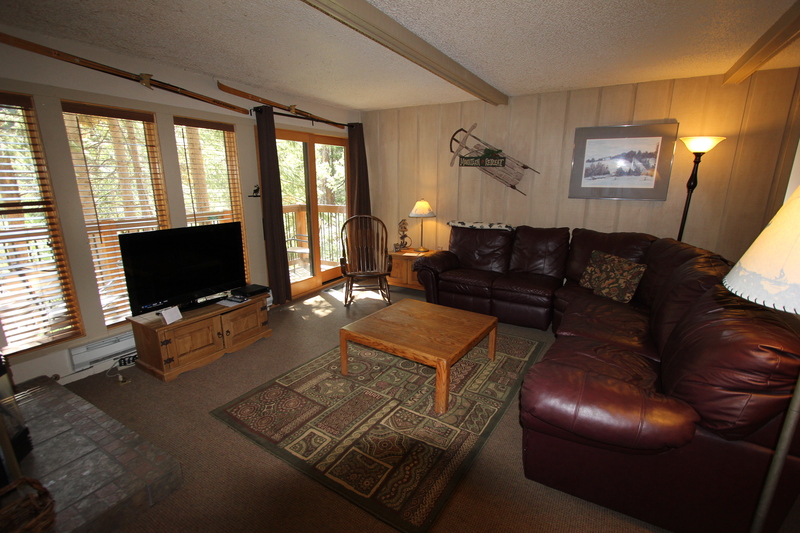 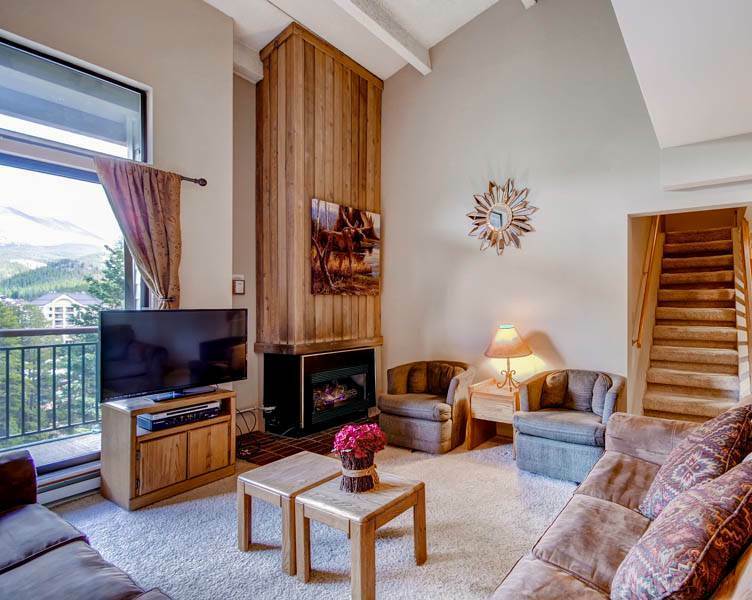 Other amenities include a two-car garage with racks for ski and boot storage, a washer/dryer and complimentary Wi-Fi. 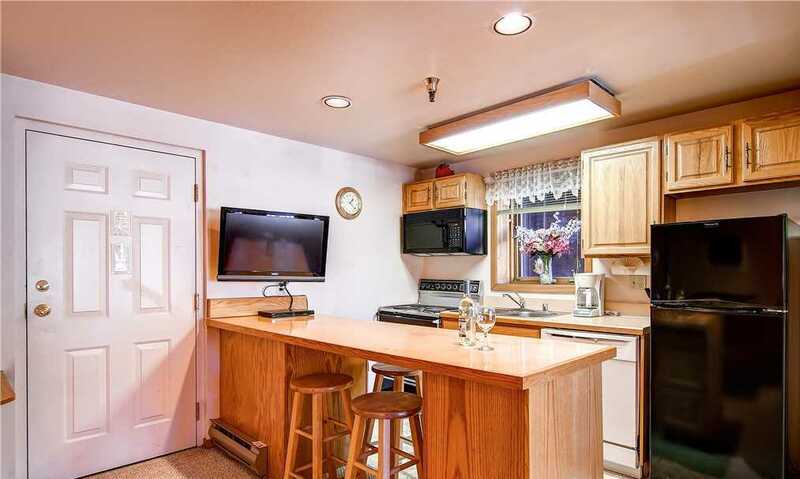 There is room for a total of 4 vehicles.